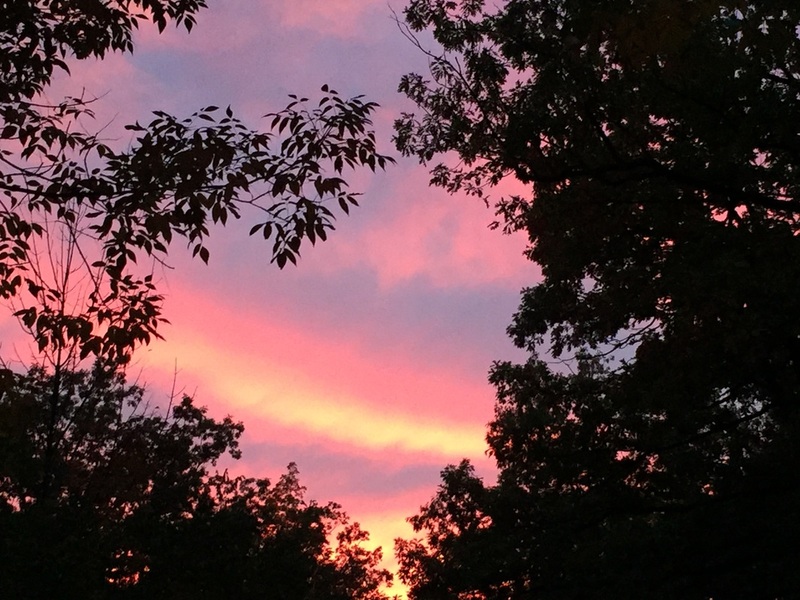 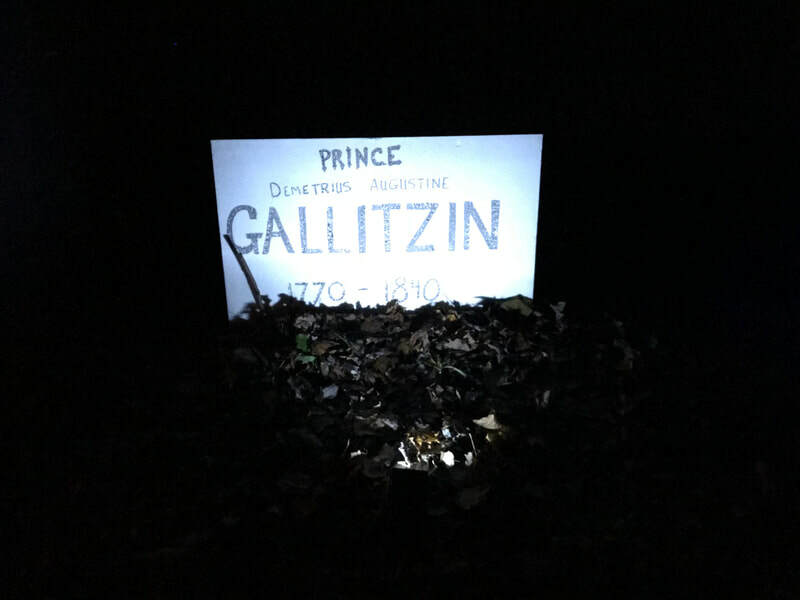 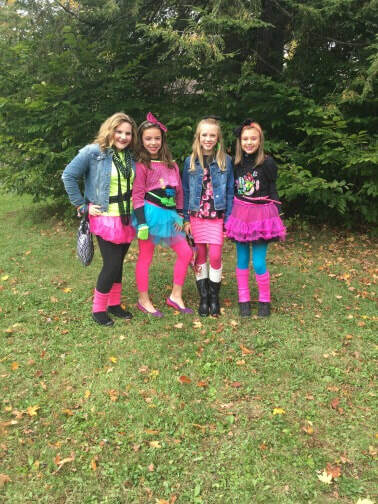 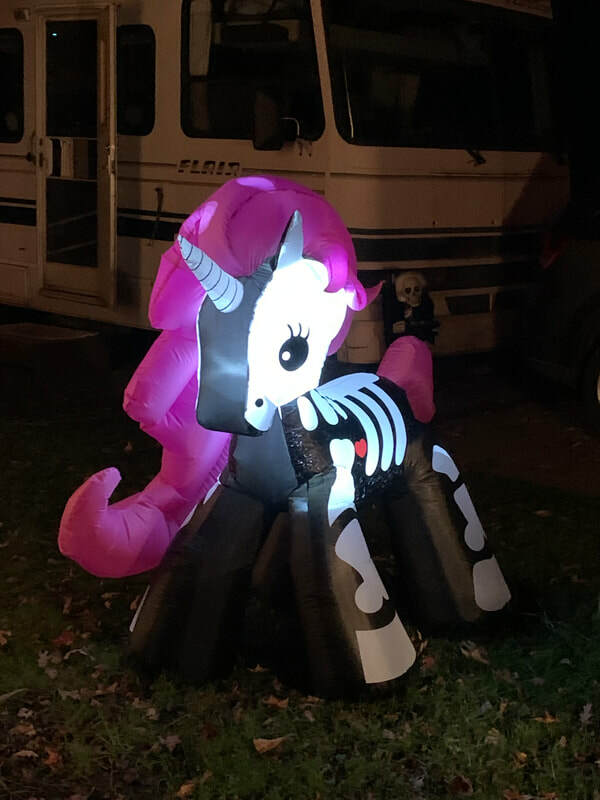 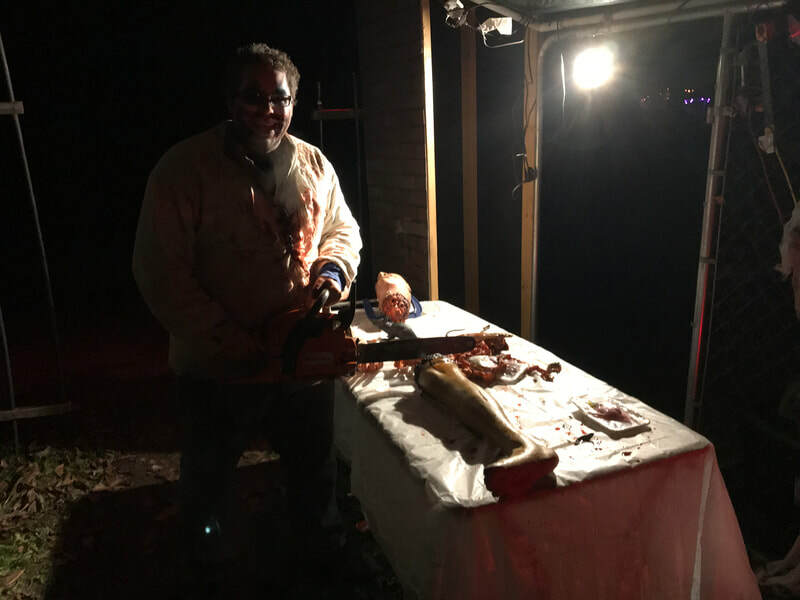 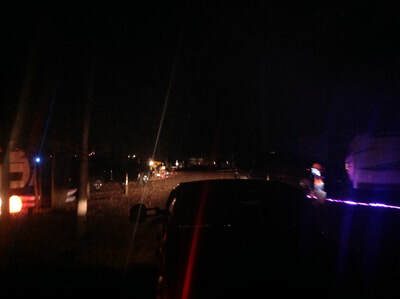 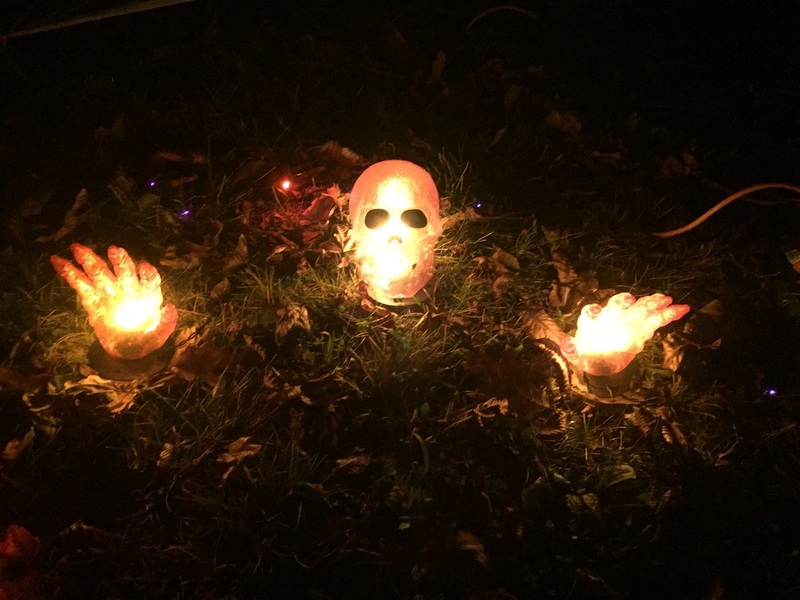 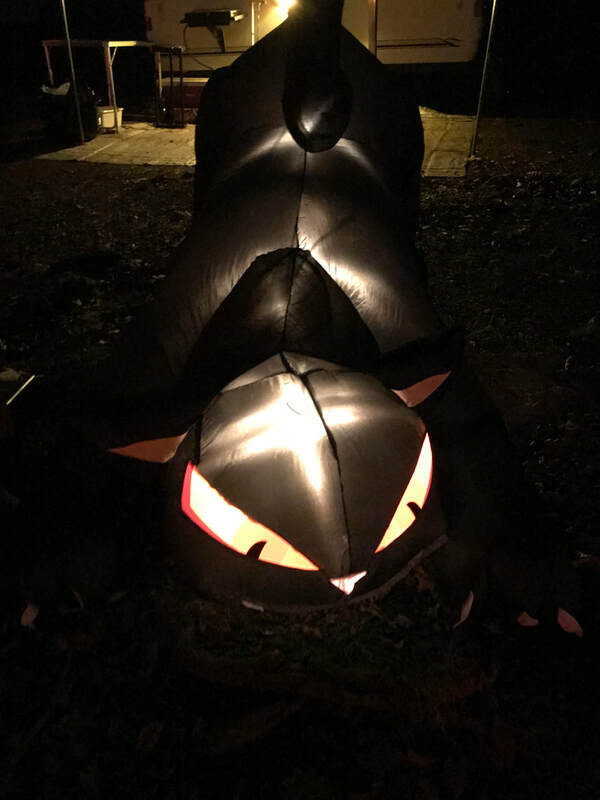 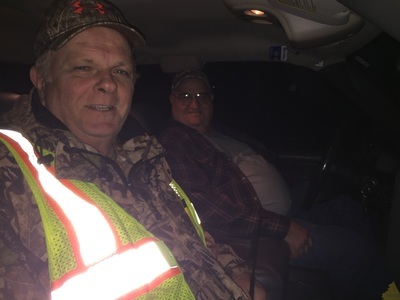 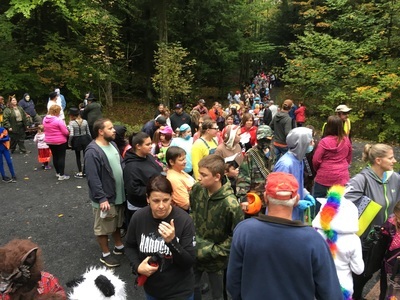 Click on pictures below for a larger image. 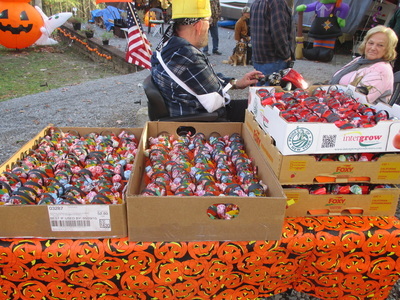 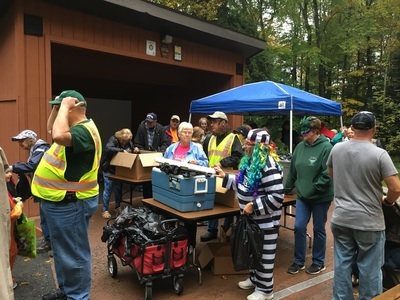 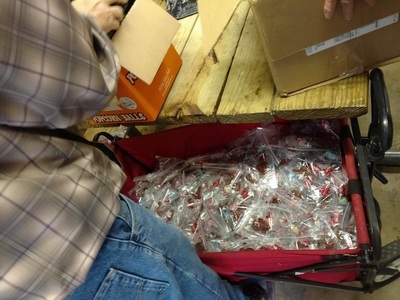 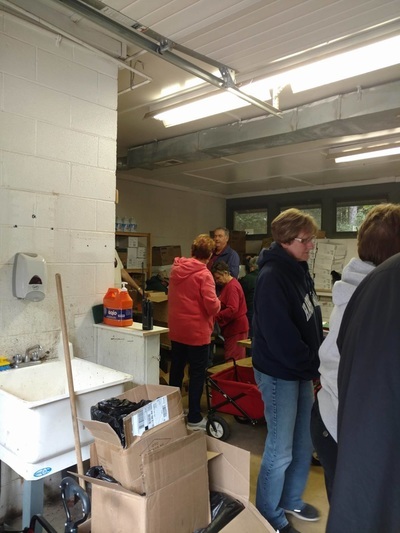 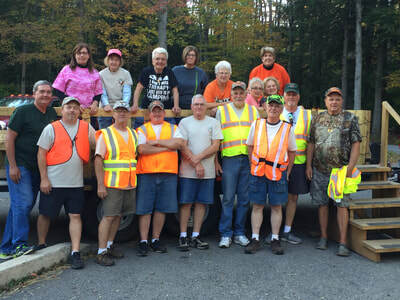 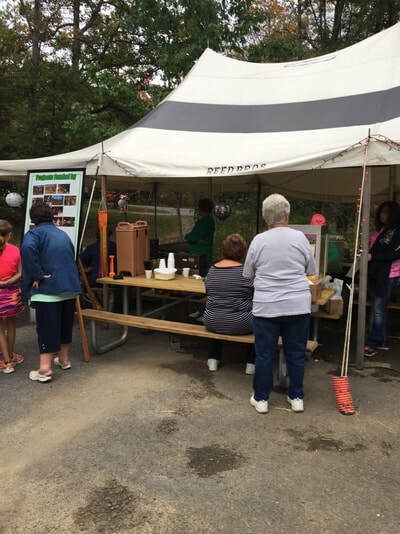 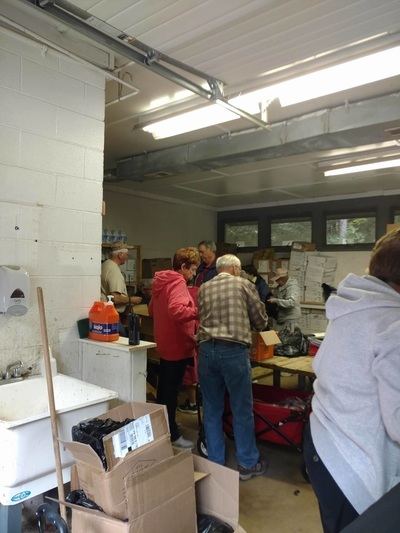 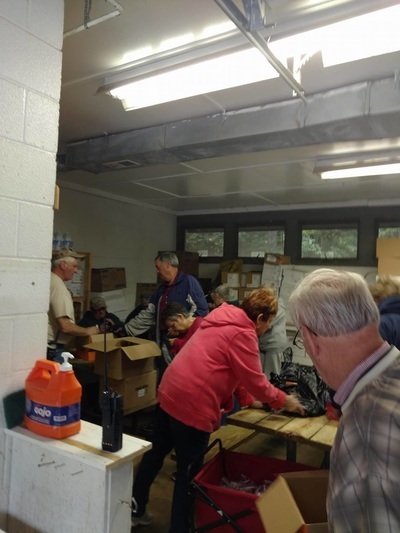 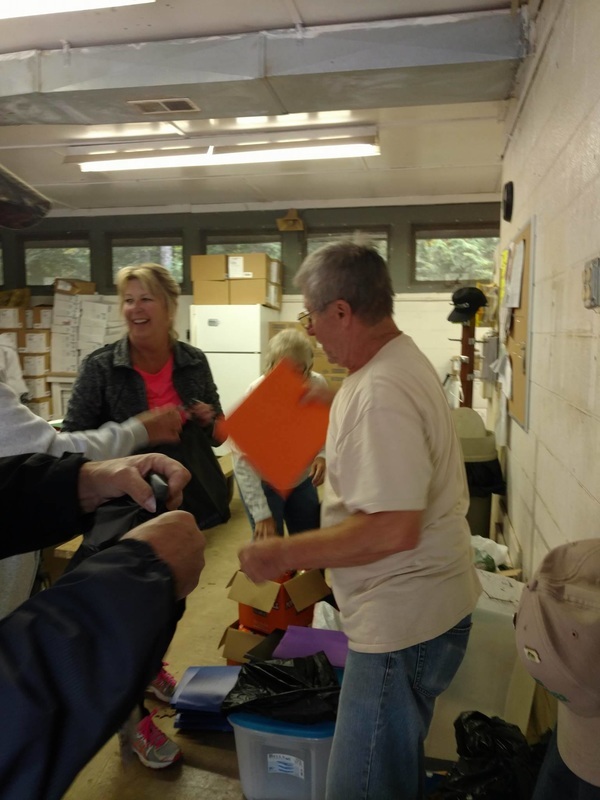 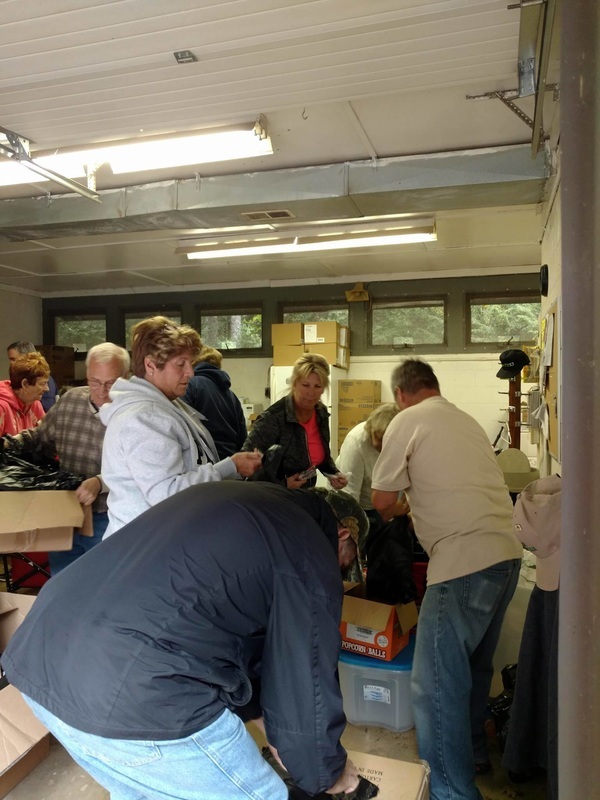 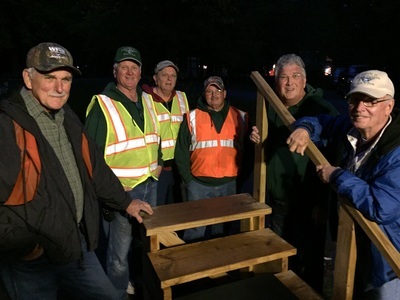 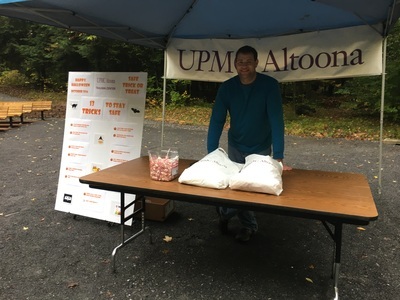 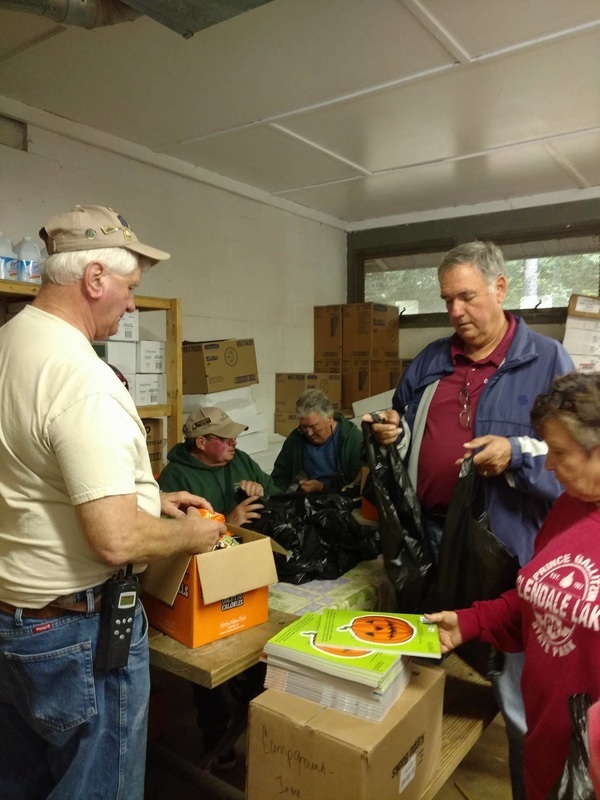 Our Friends Volunteers assembling bags of treats to hand out after the parade. 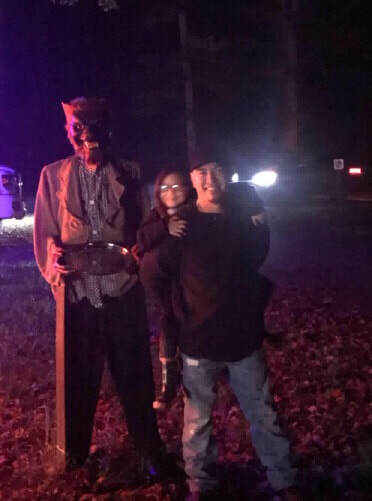 Click on pictures below for a larger image. 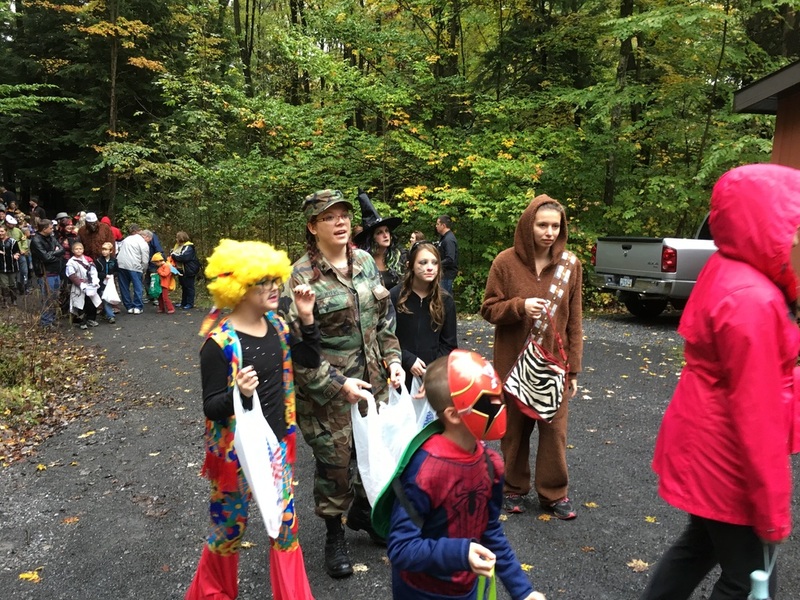 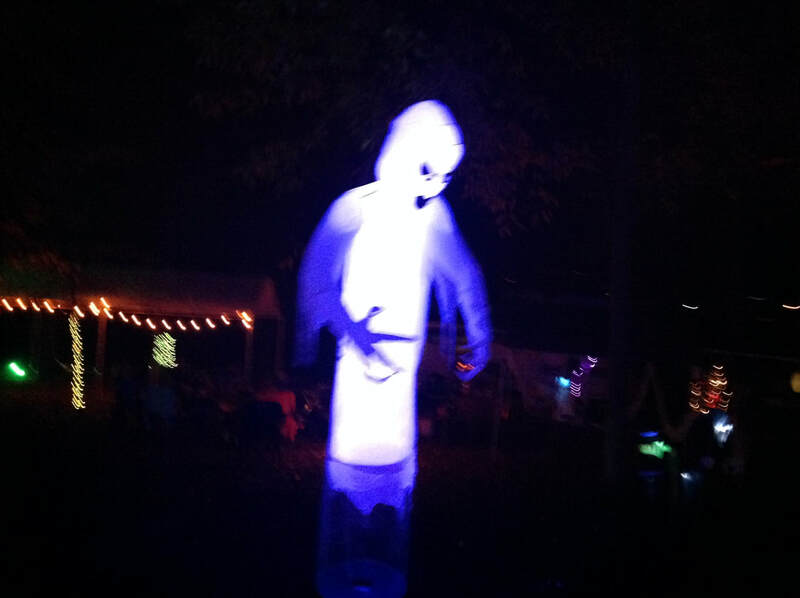 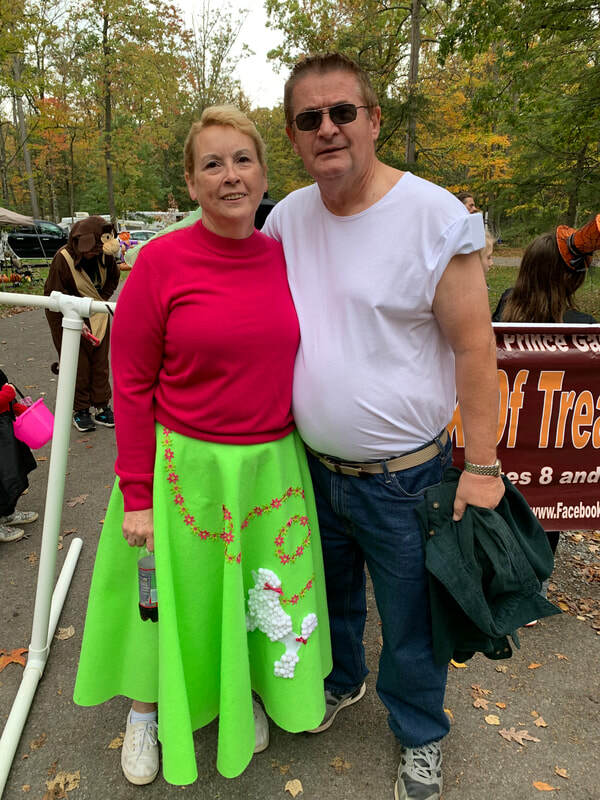 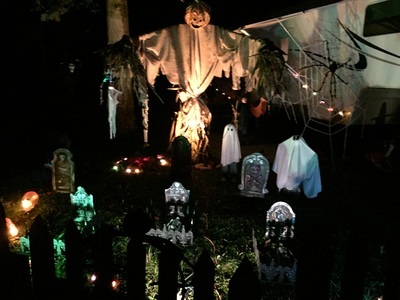 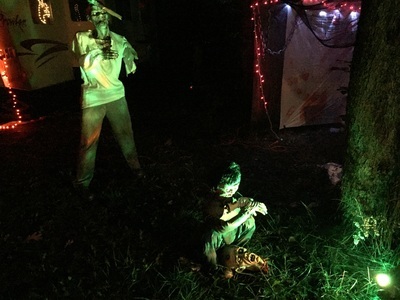 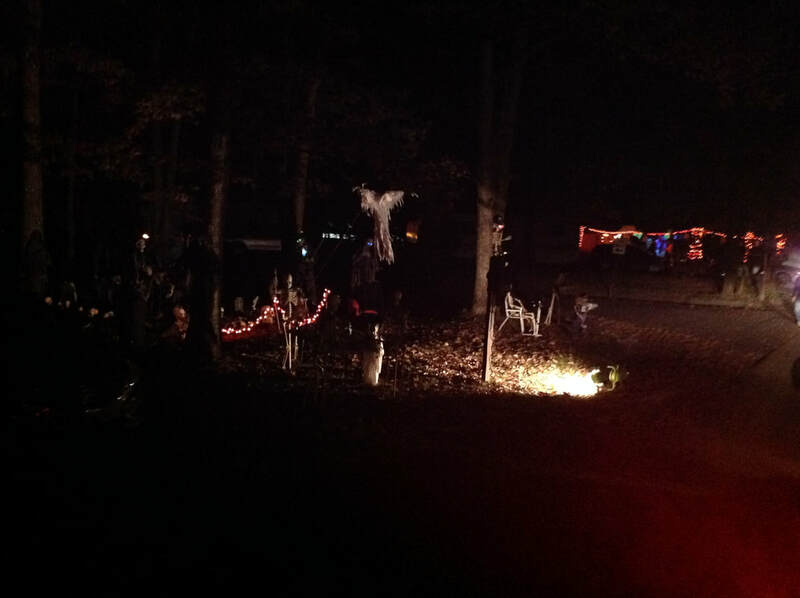 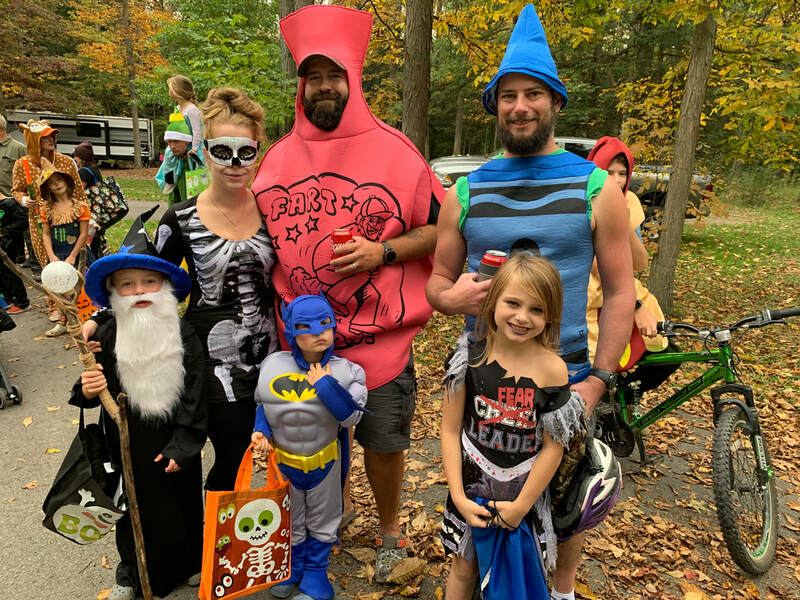 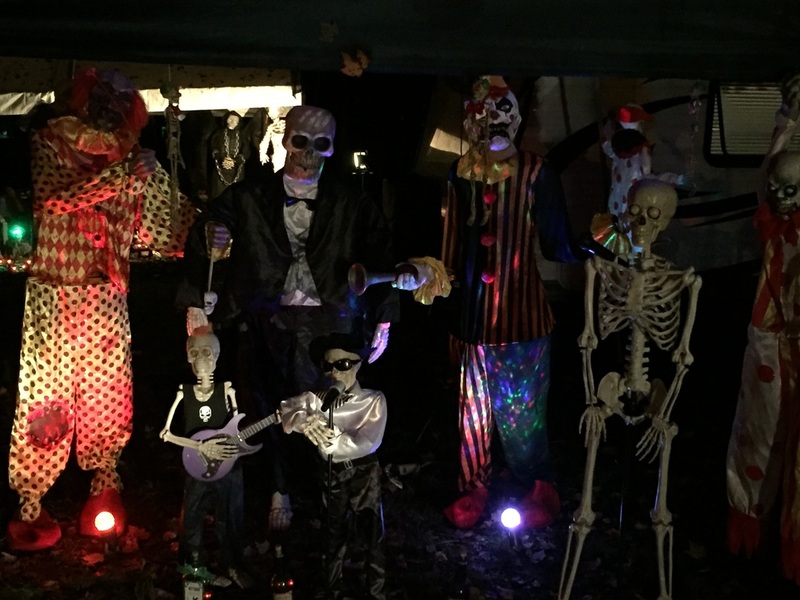 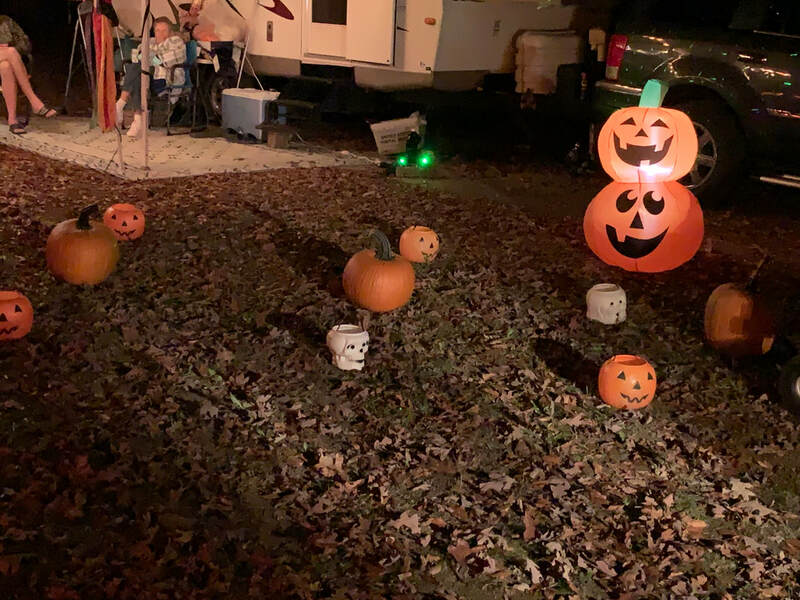 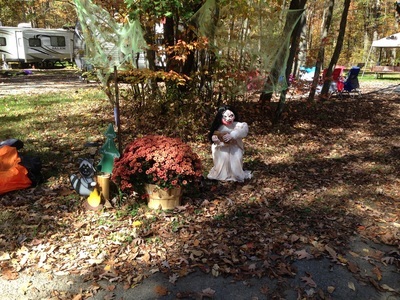 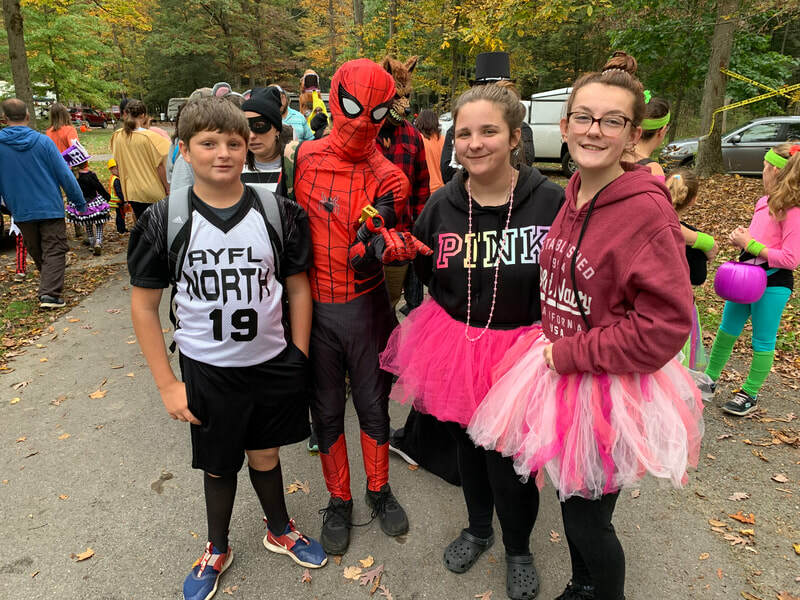 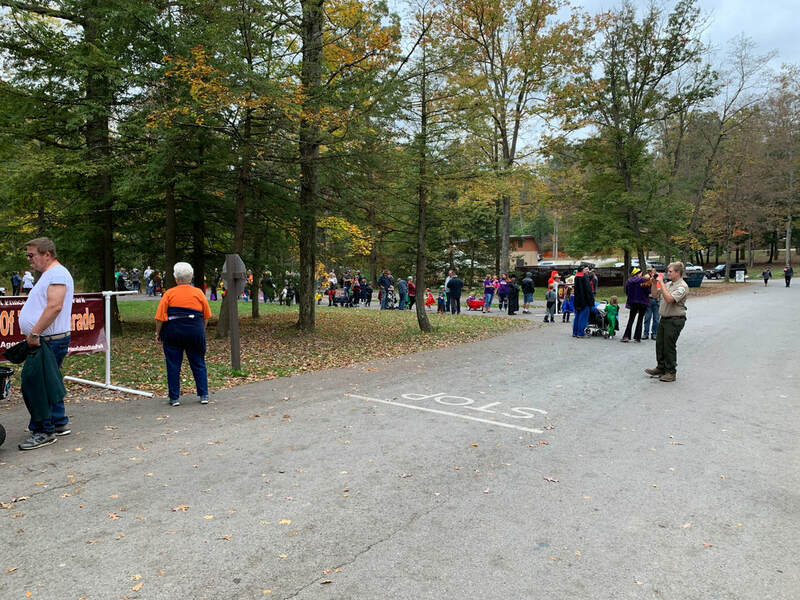 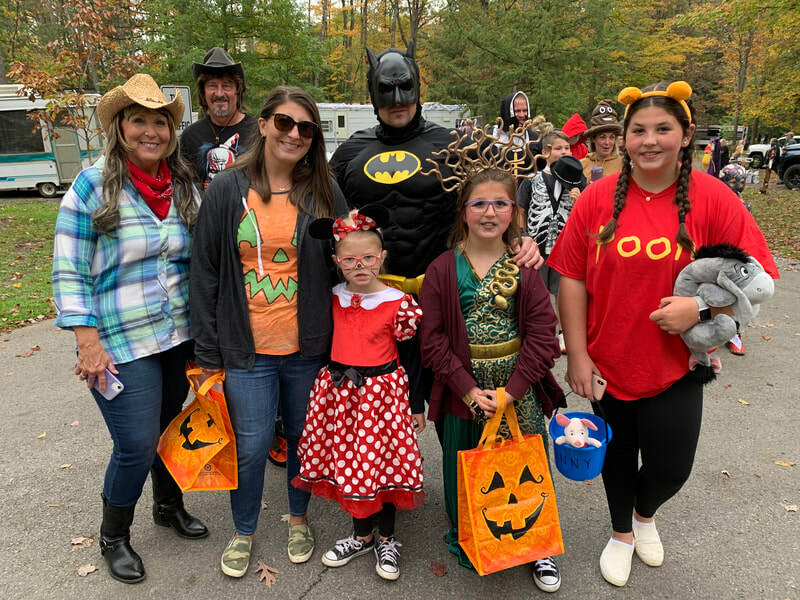 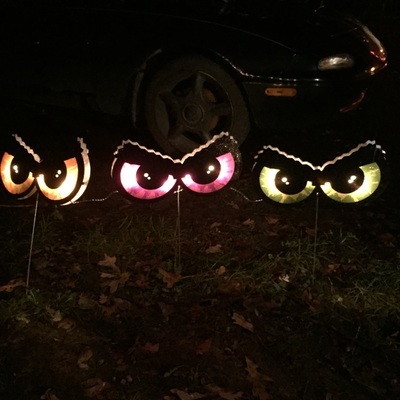 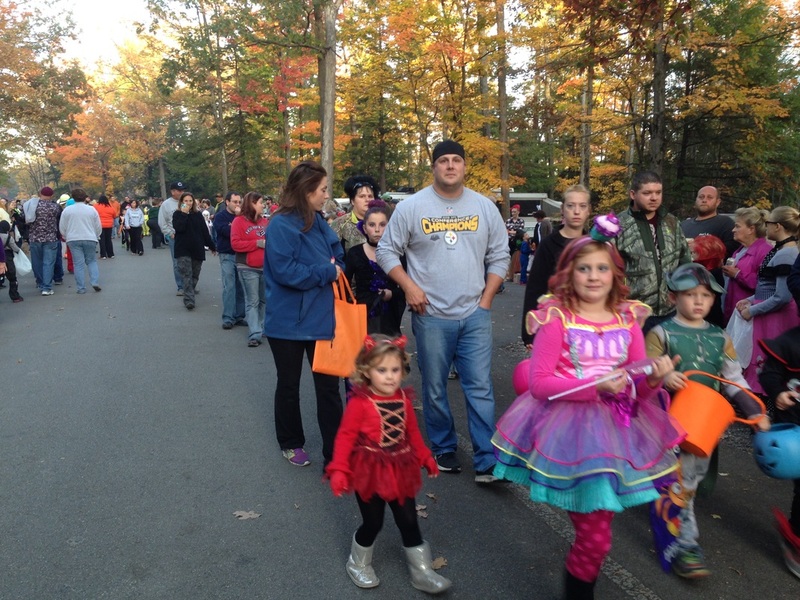 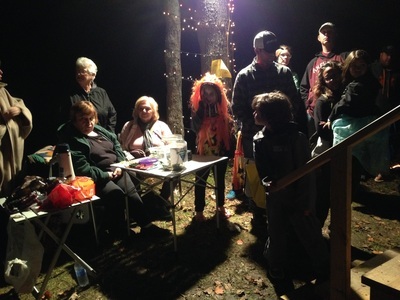 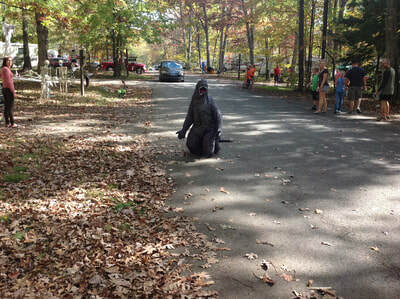 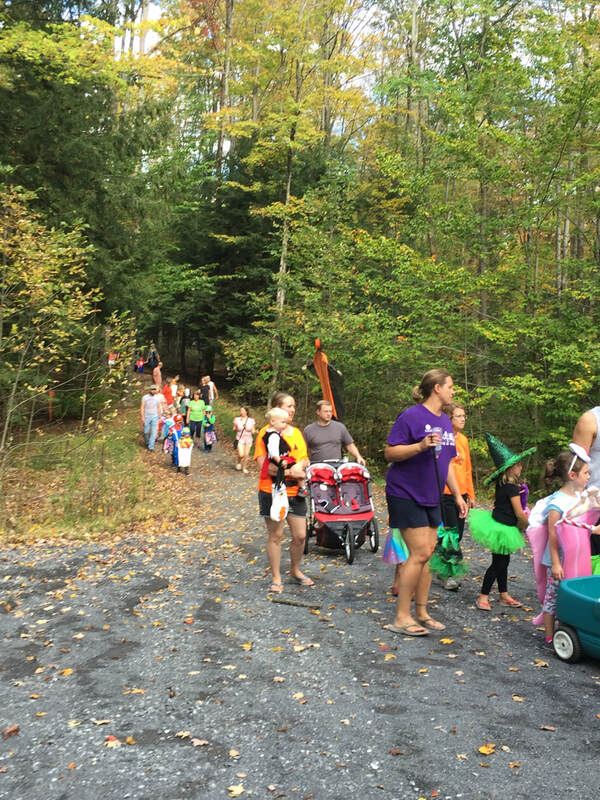 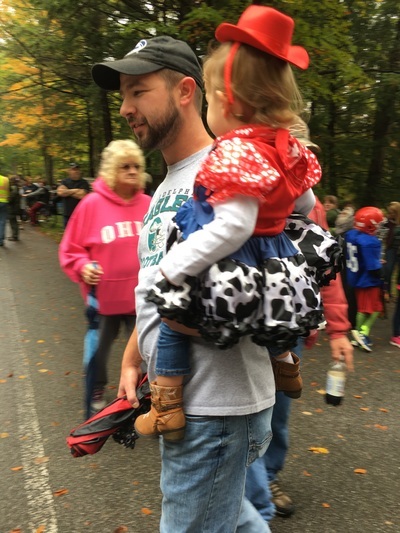 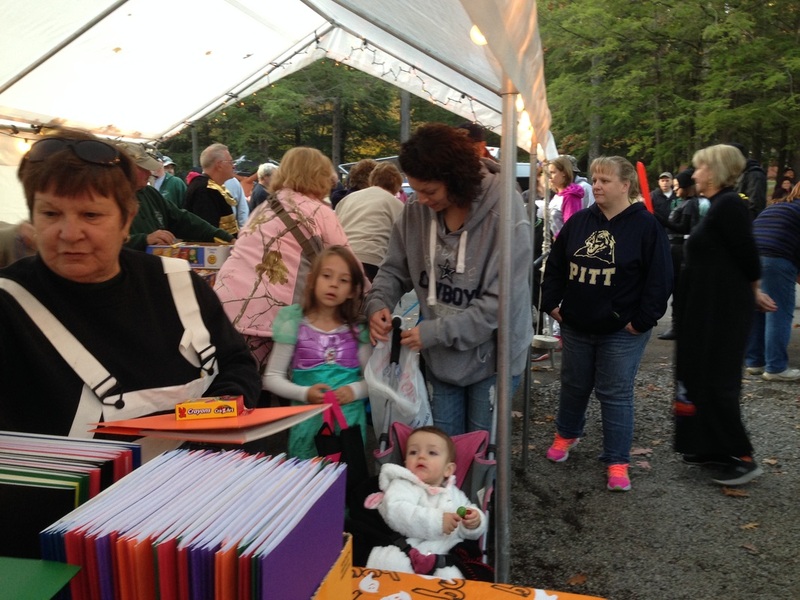 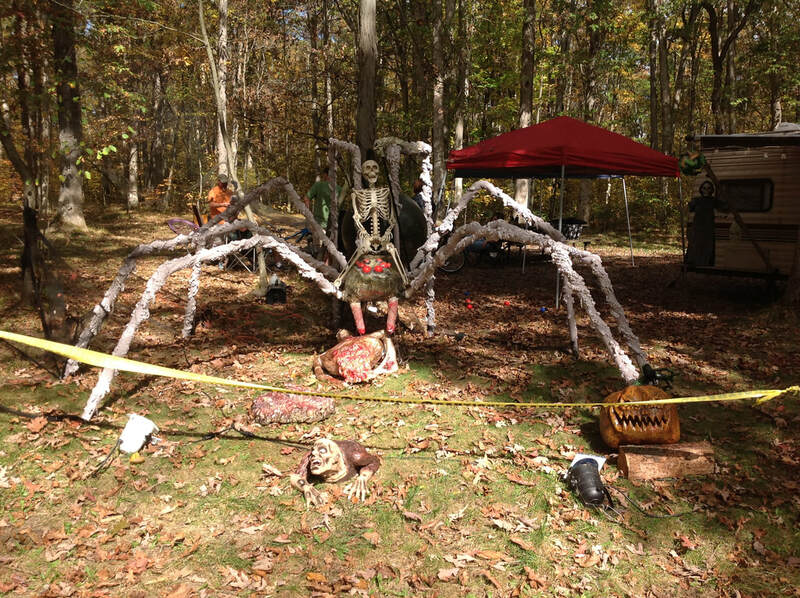 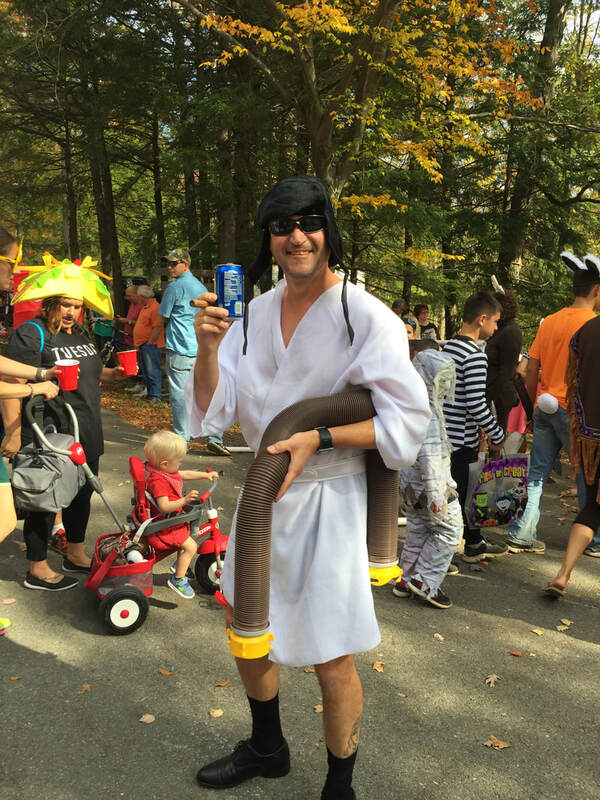 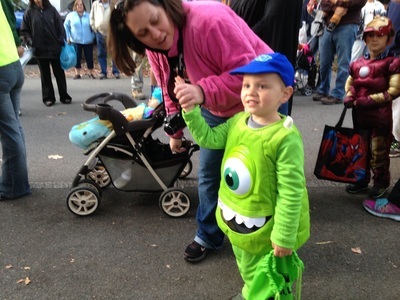 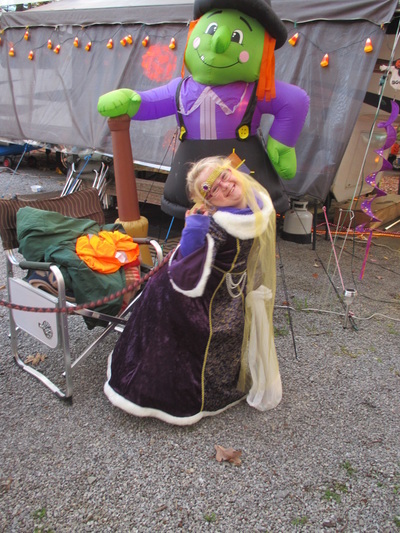 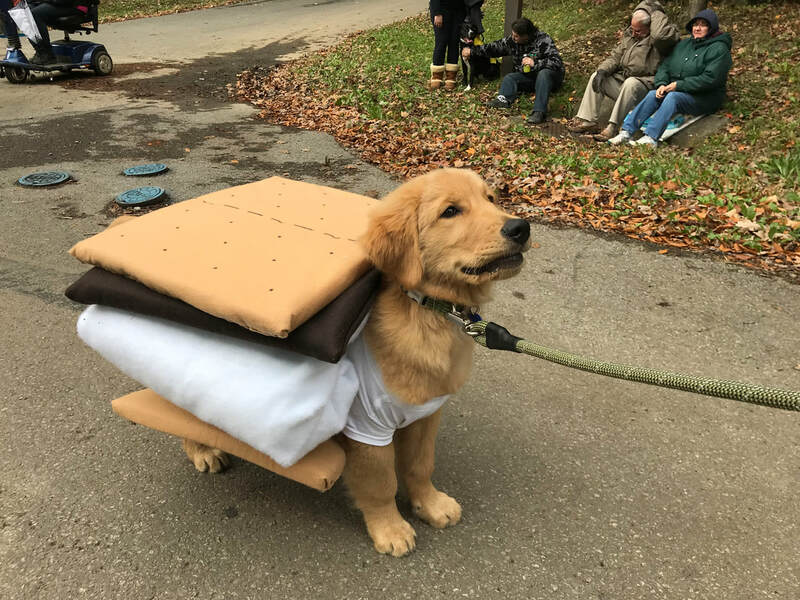 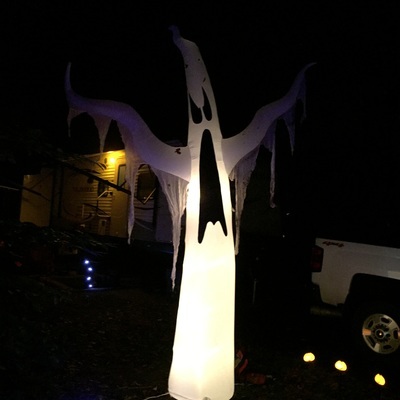 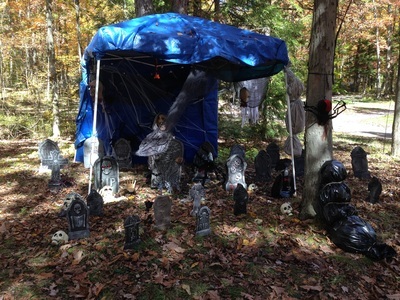 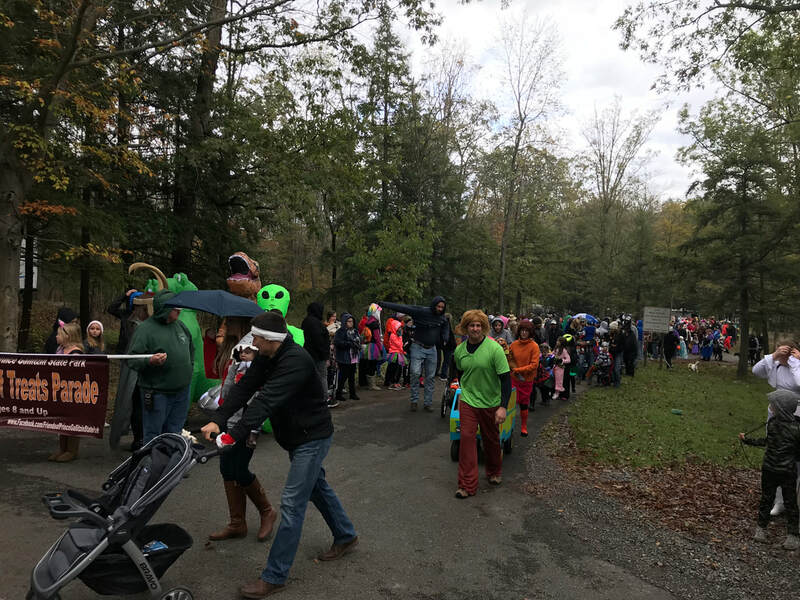 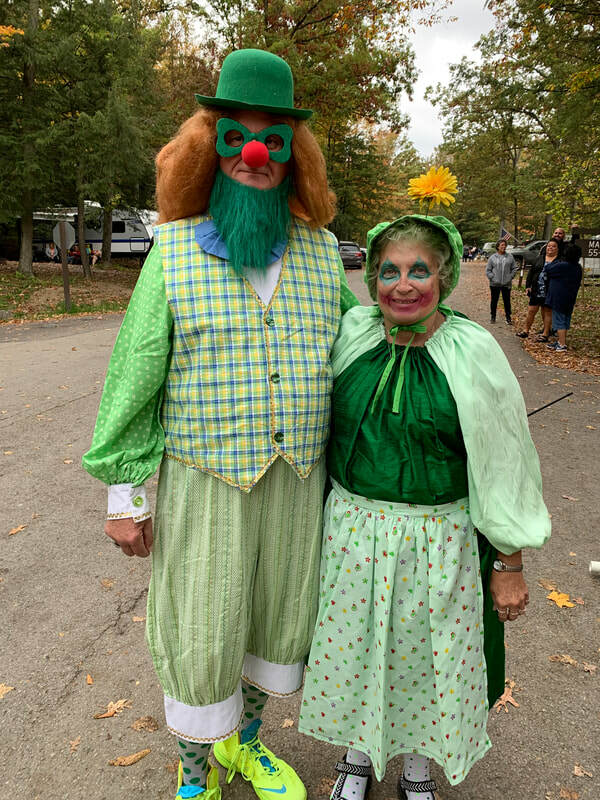 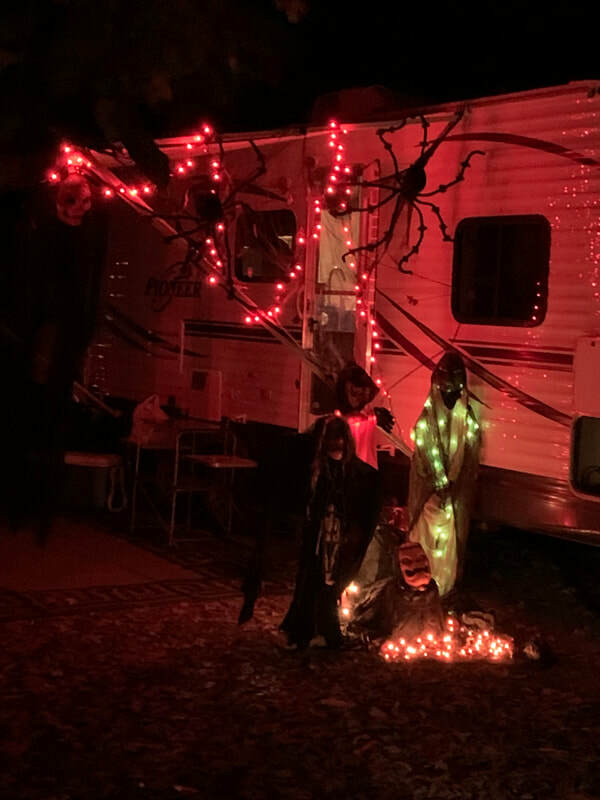 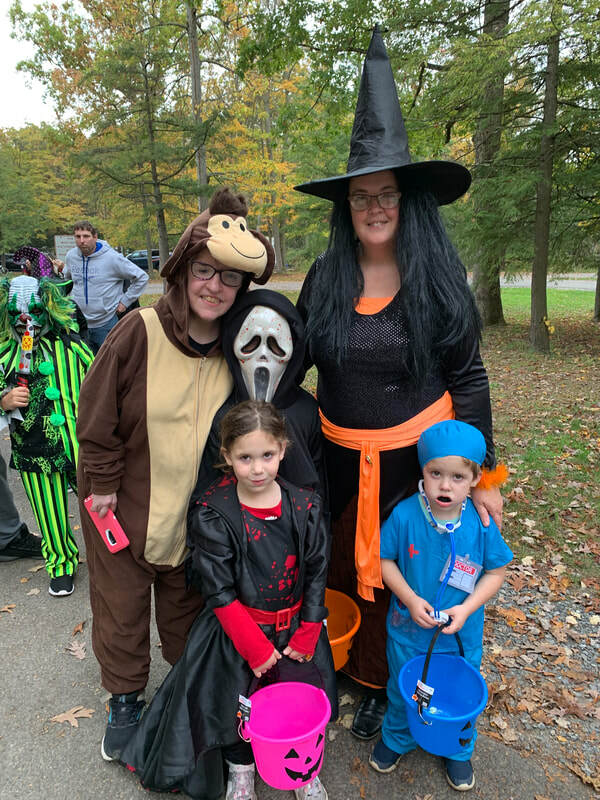 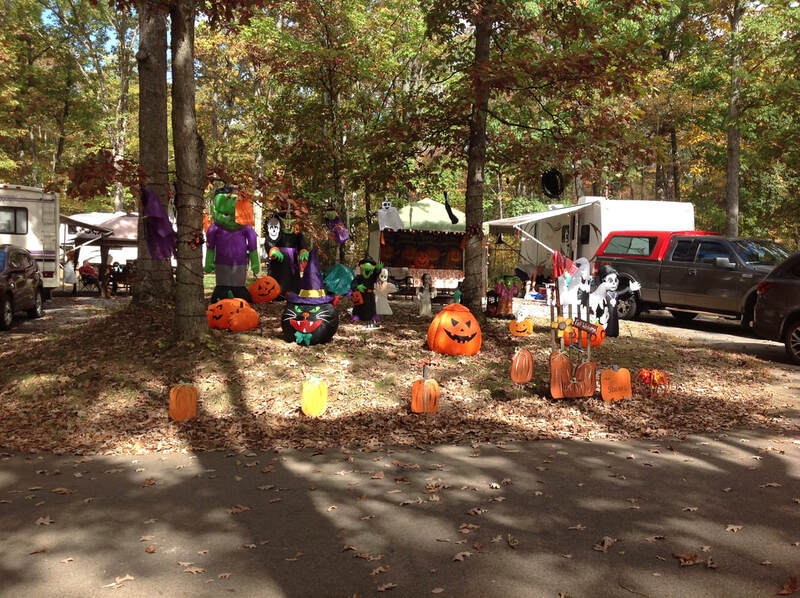 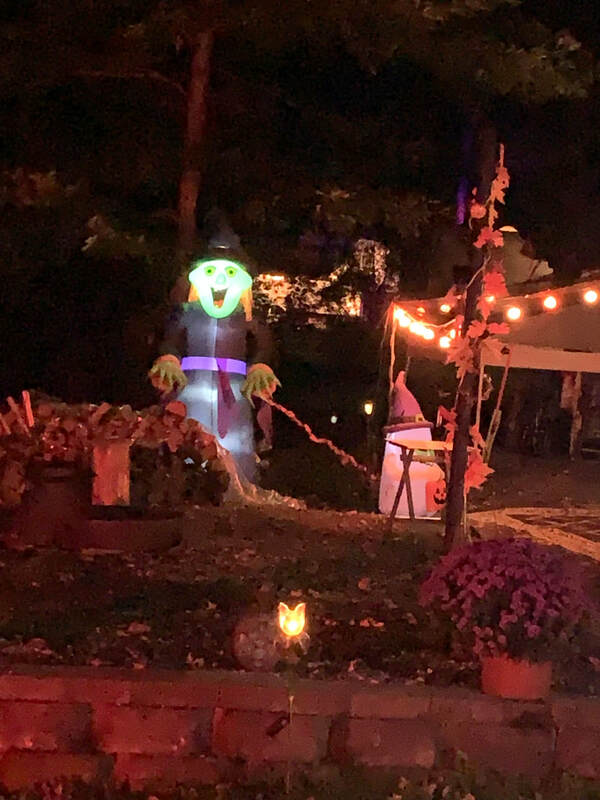 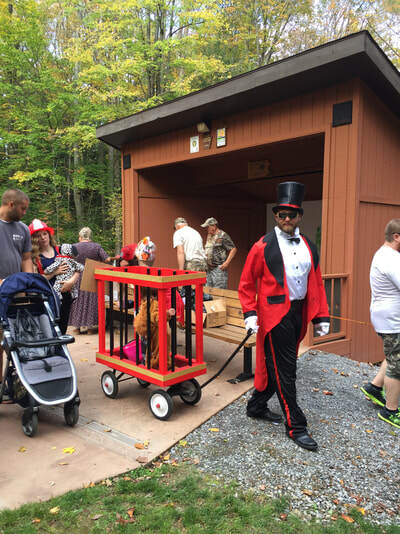 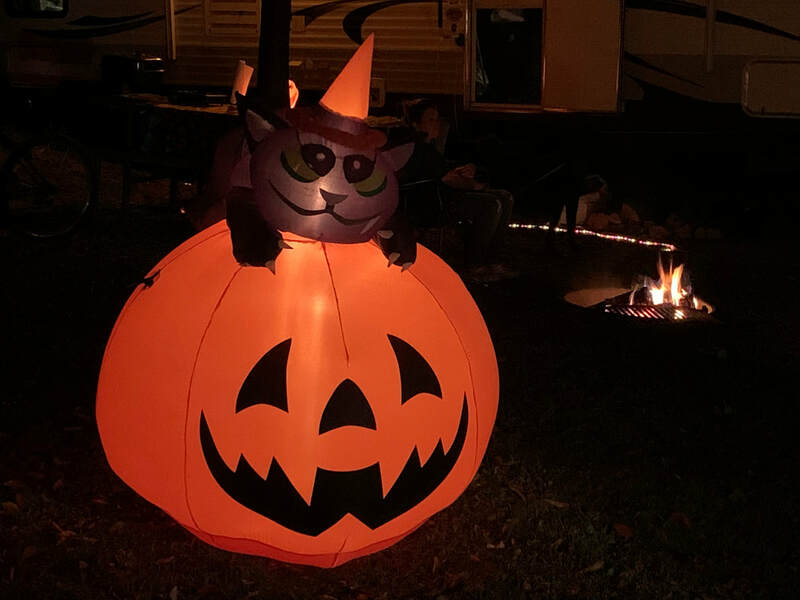 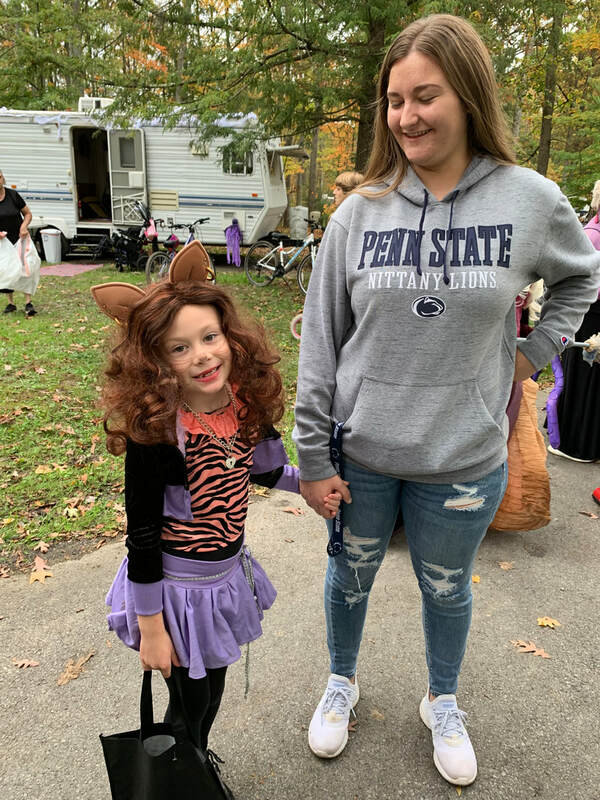 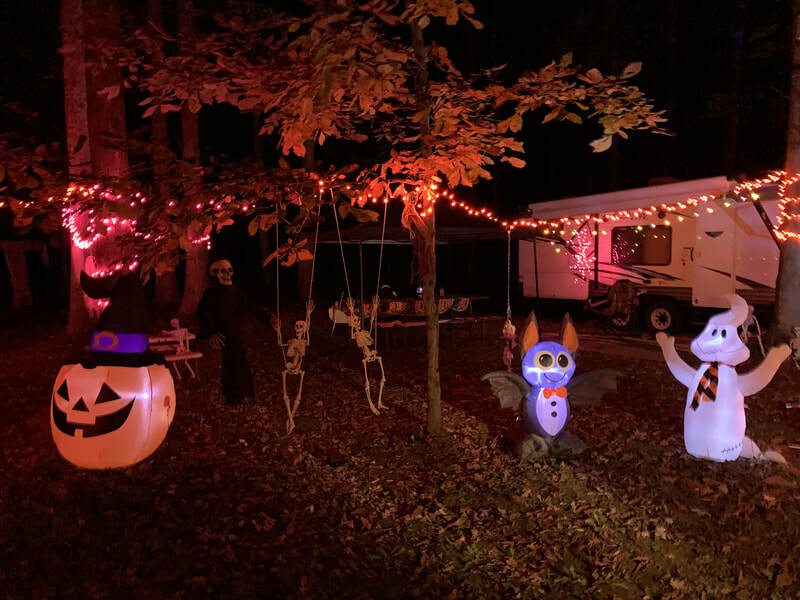 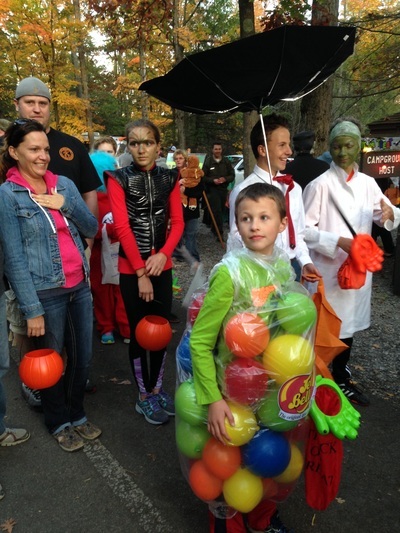 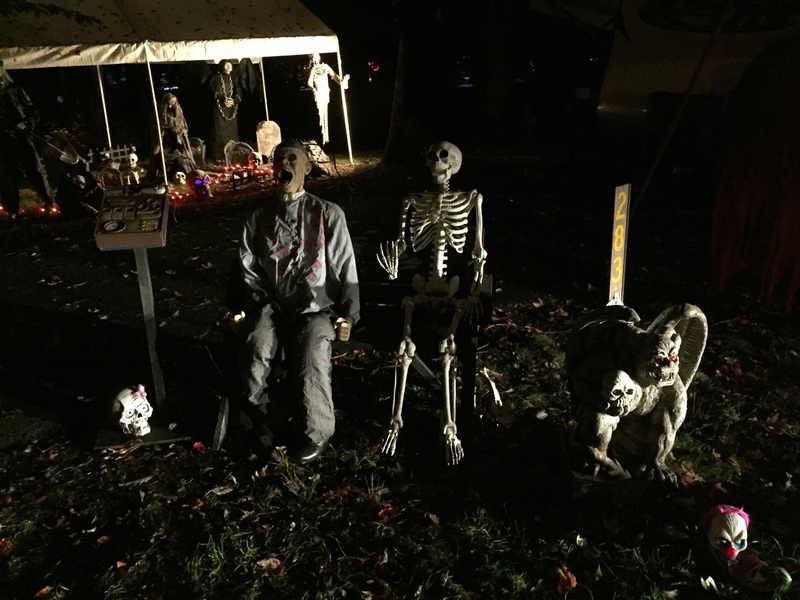 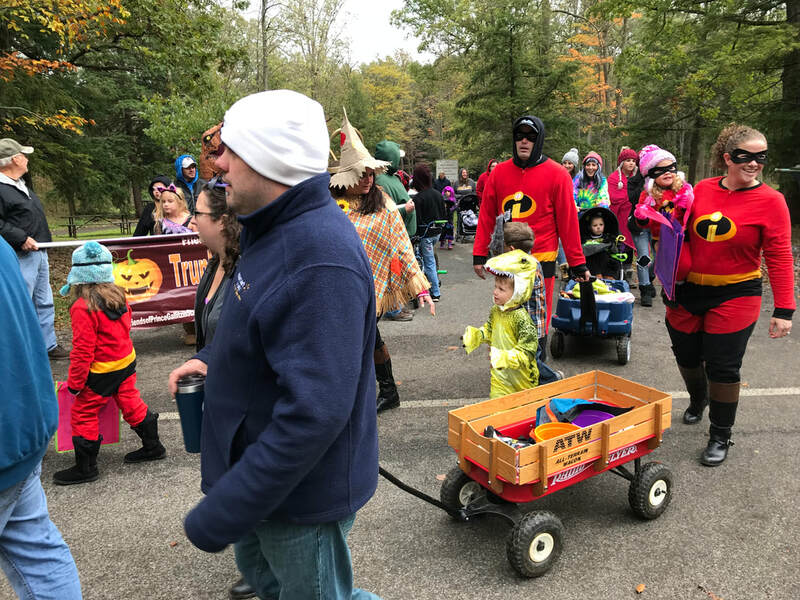 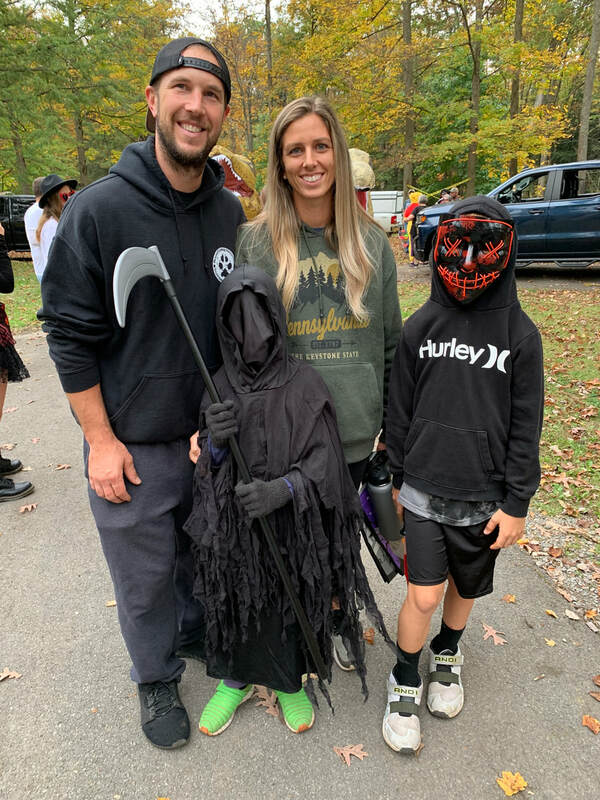 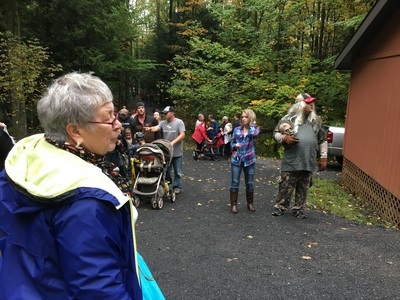 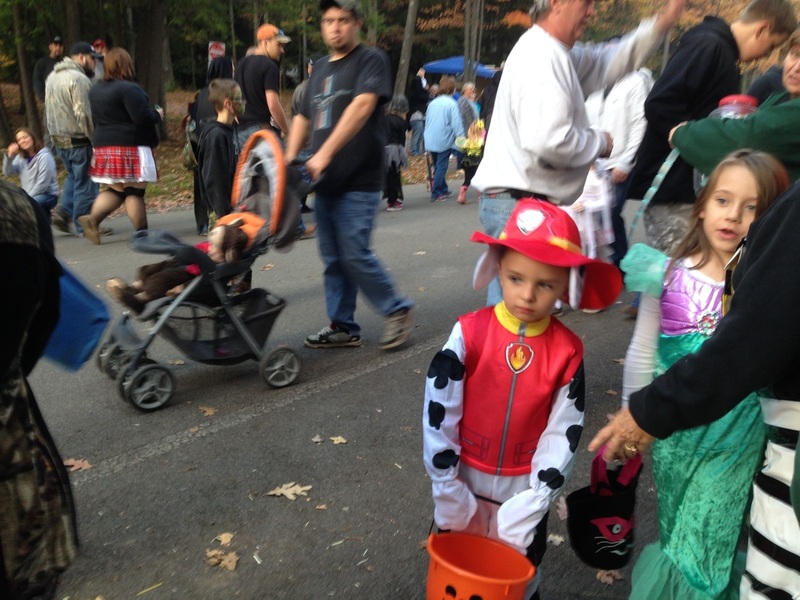 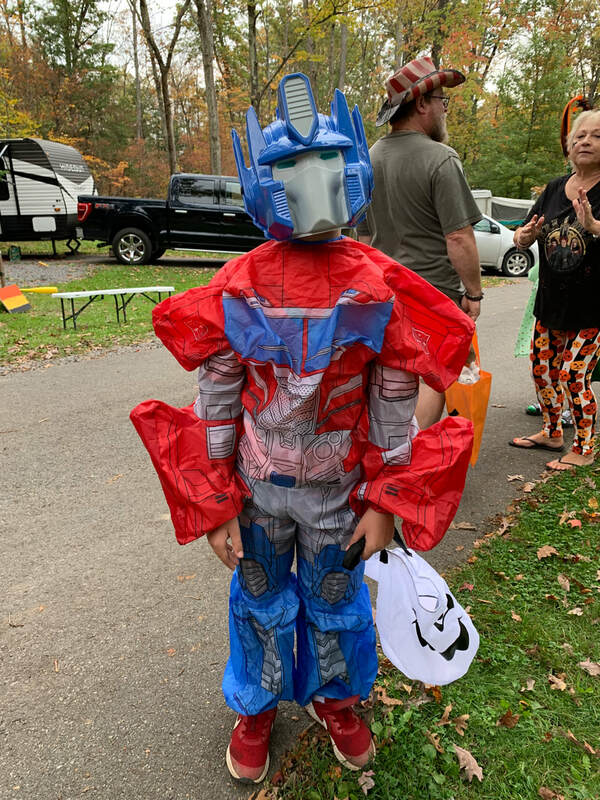 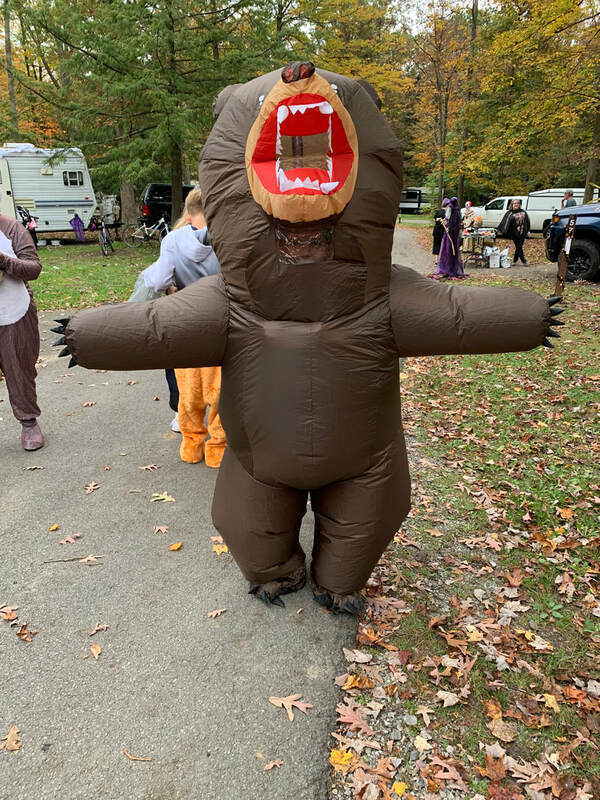 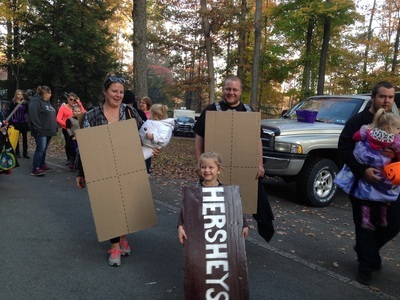 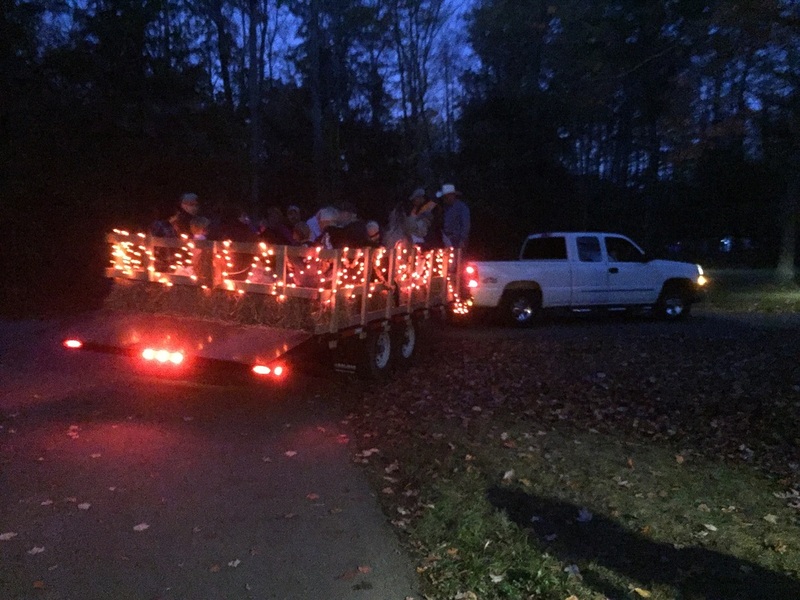 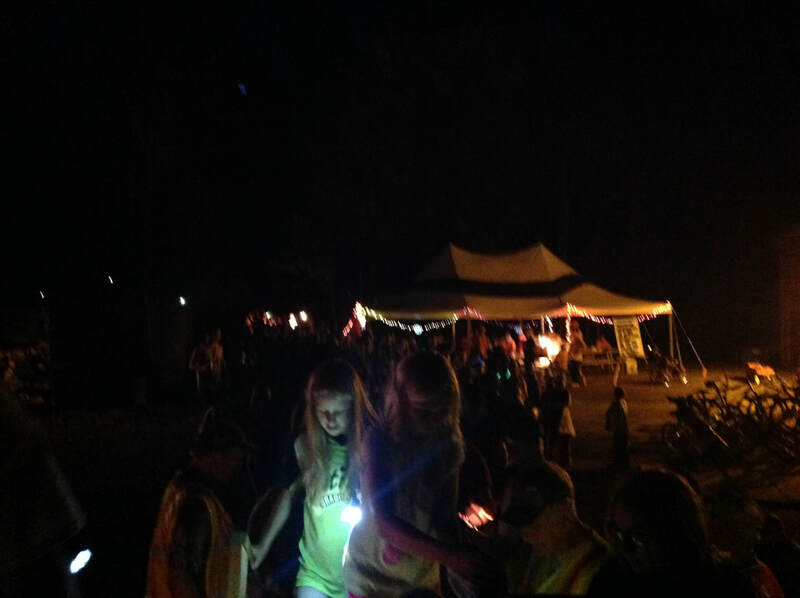 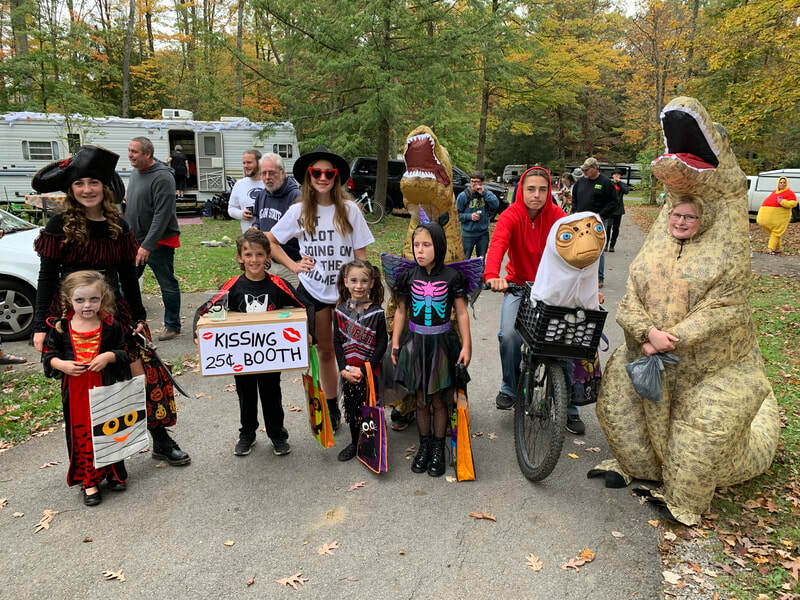 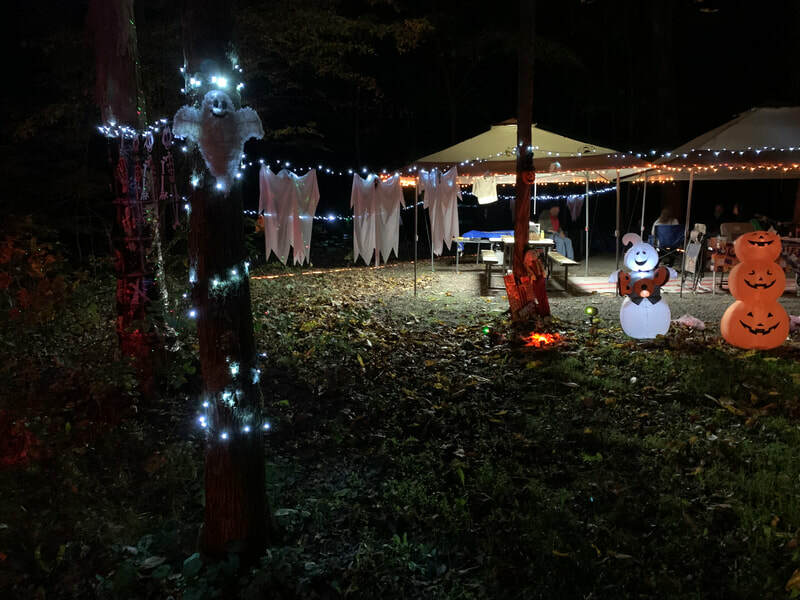 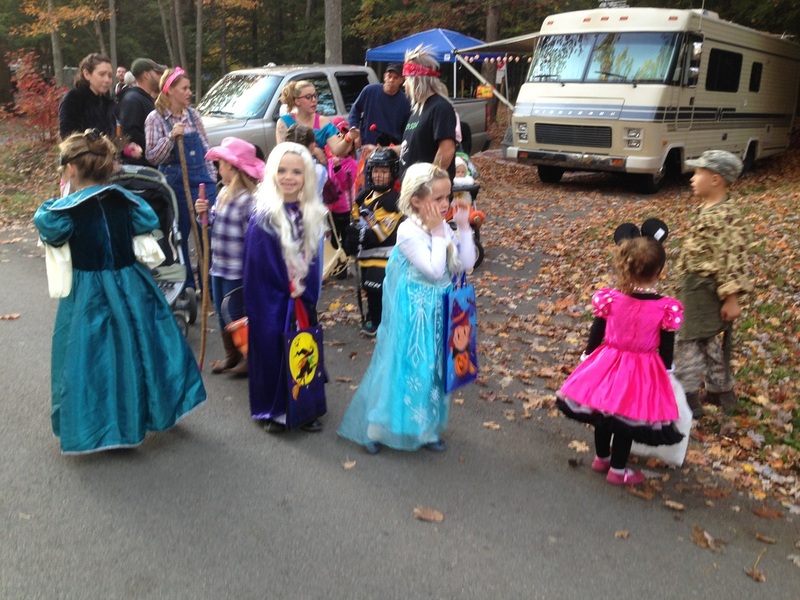 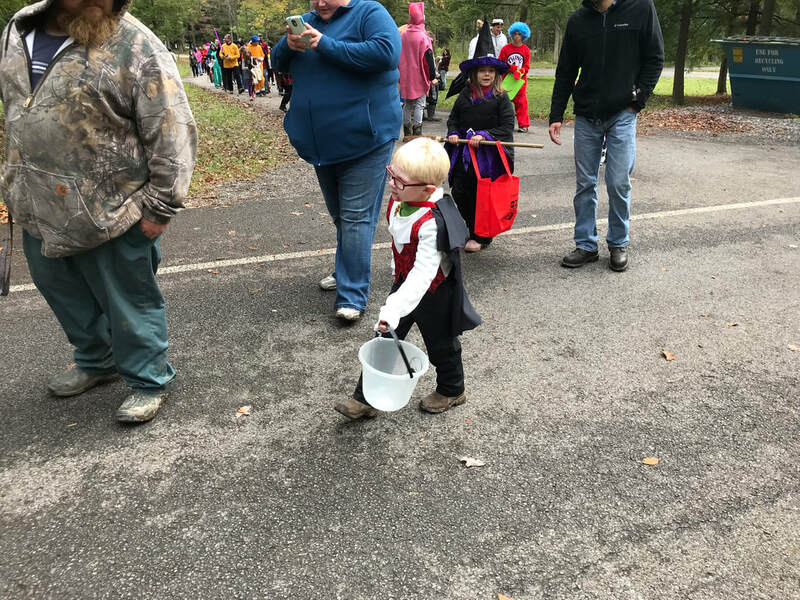 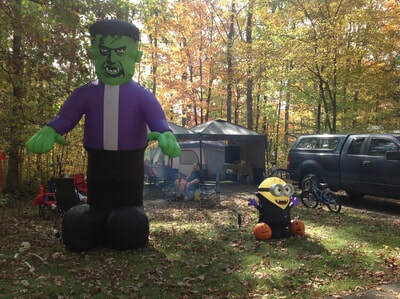 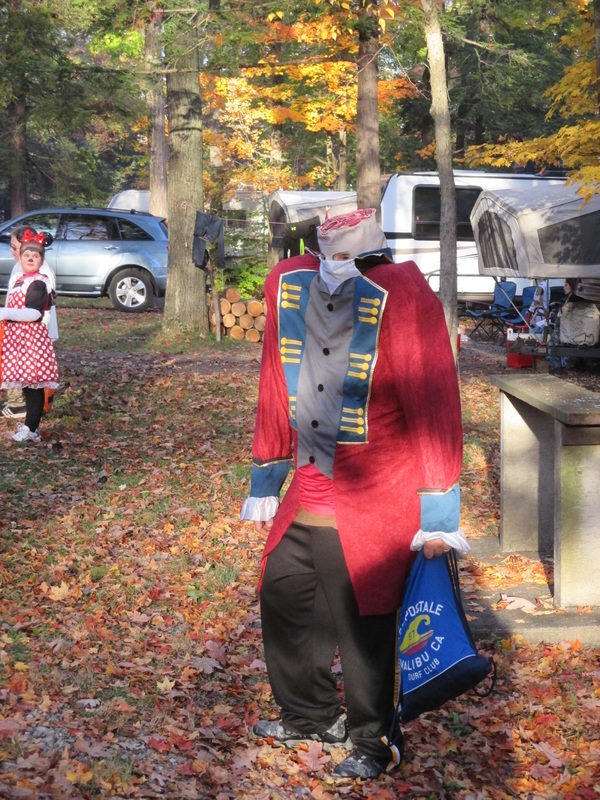 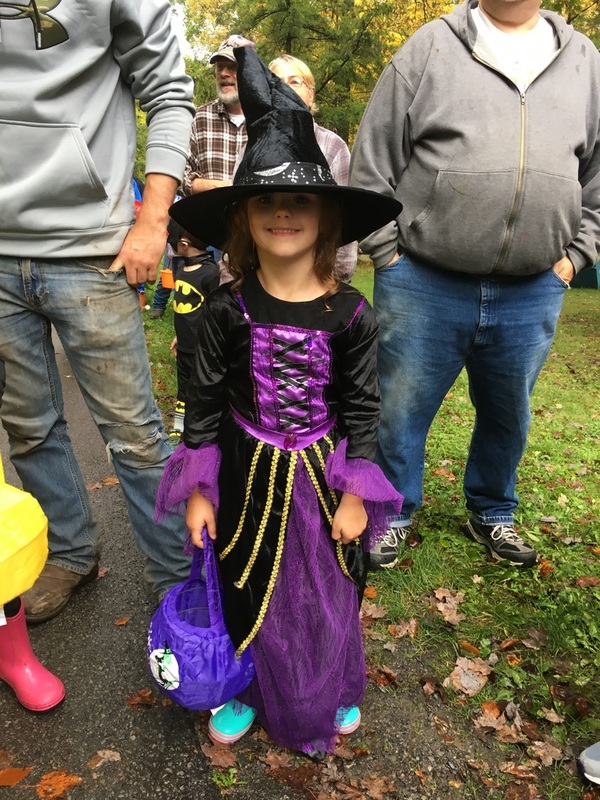 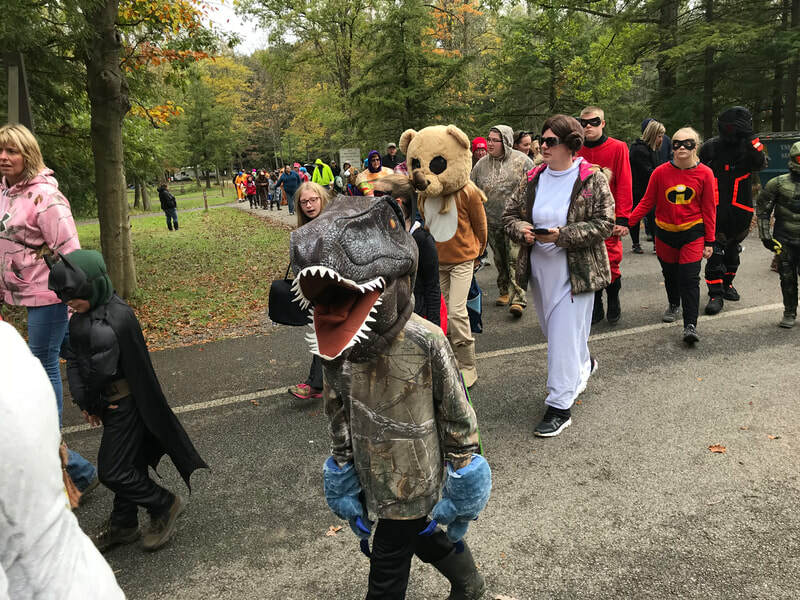 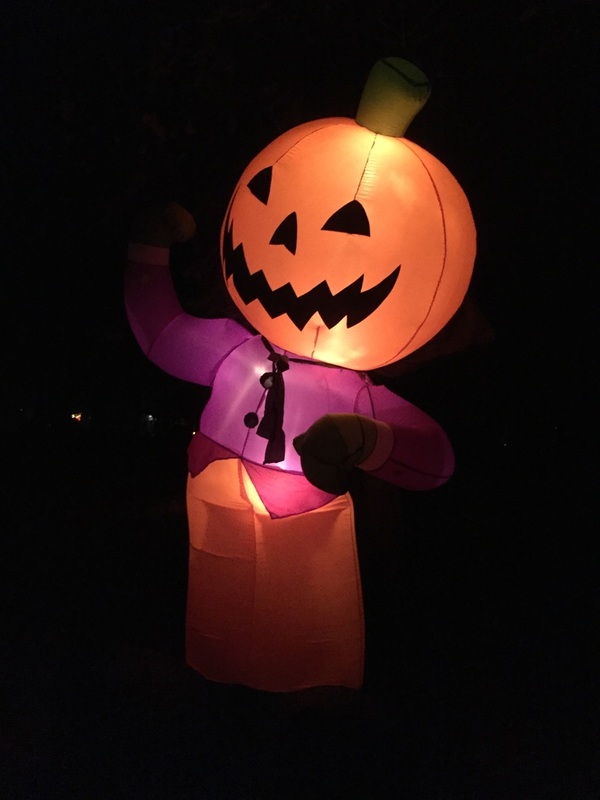 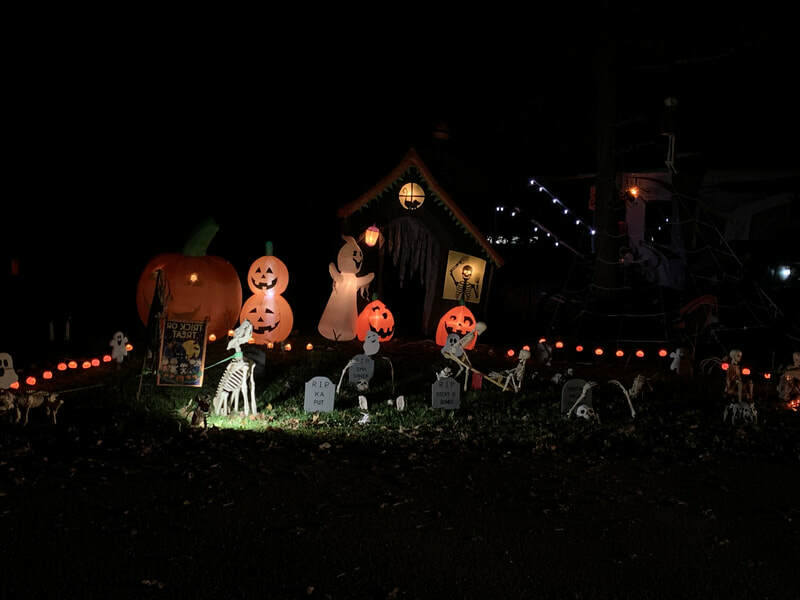 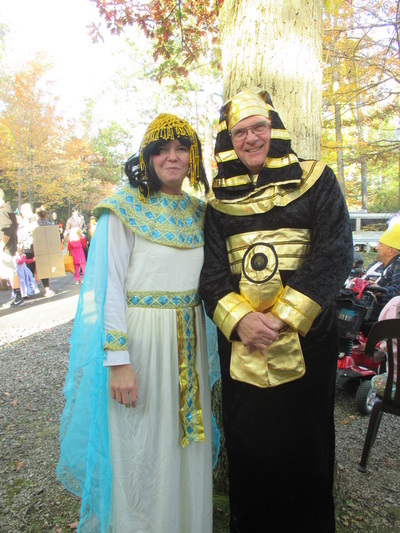 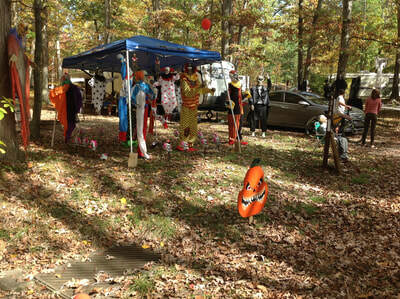 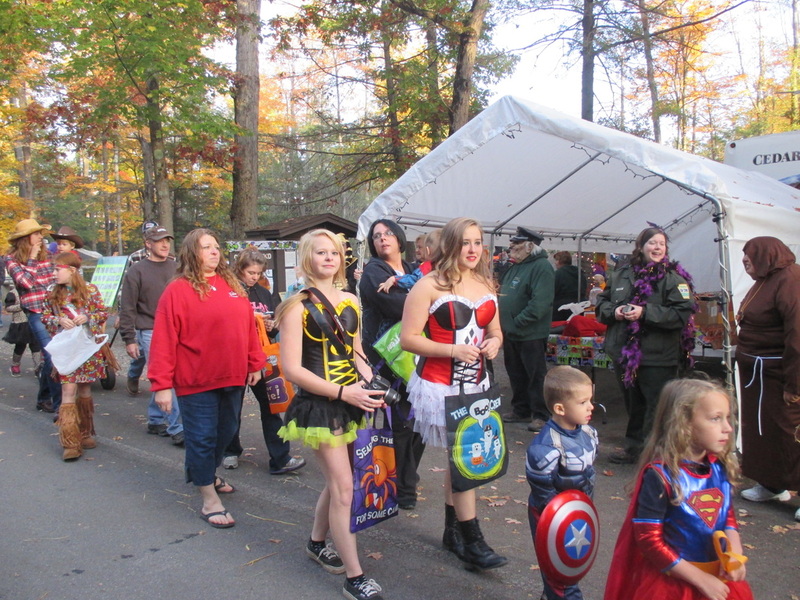 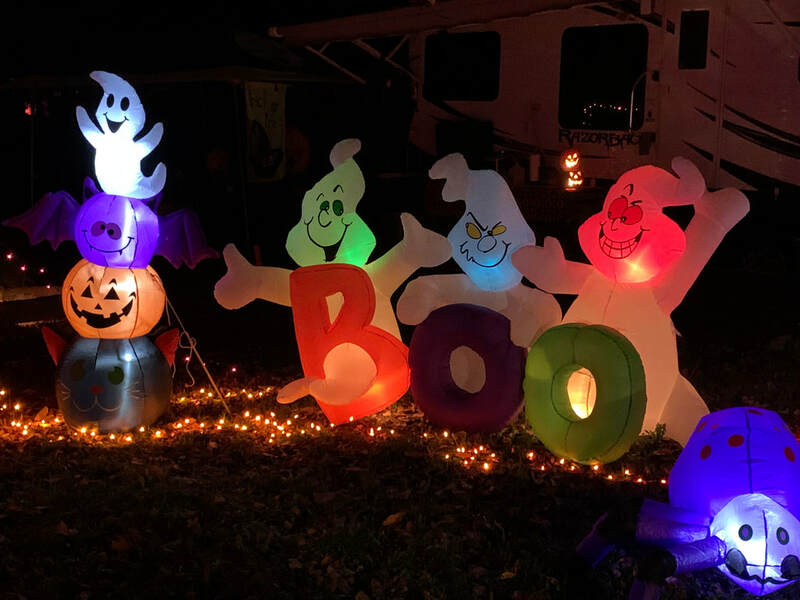 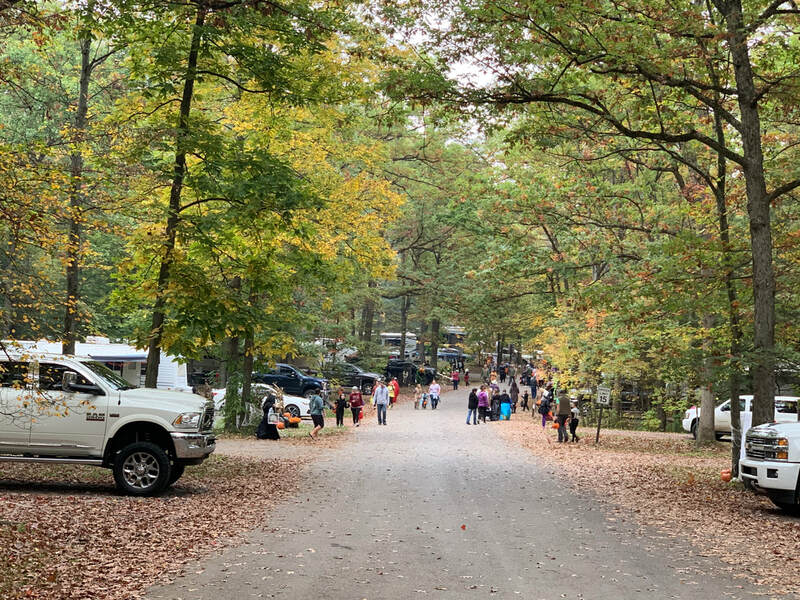 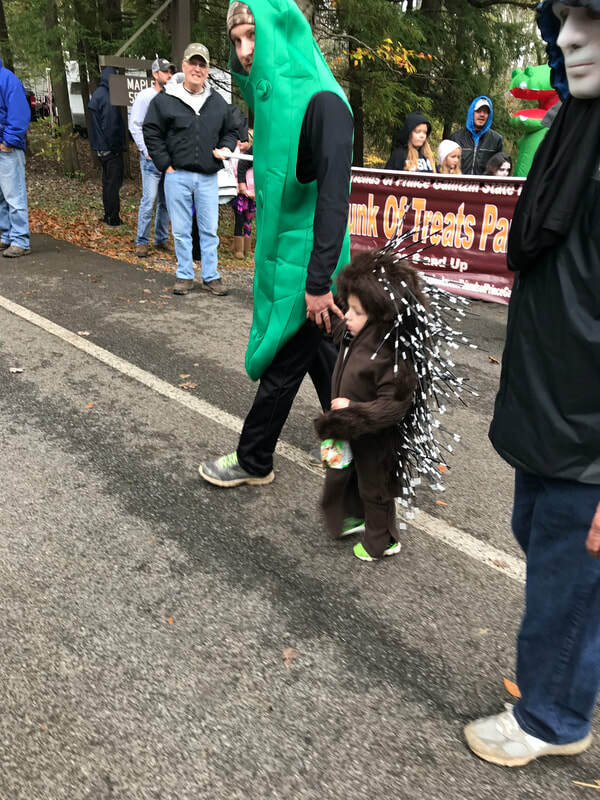 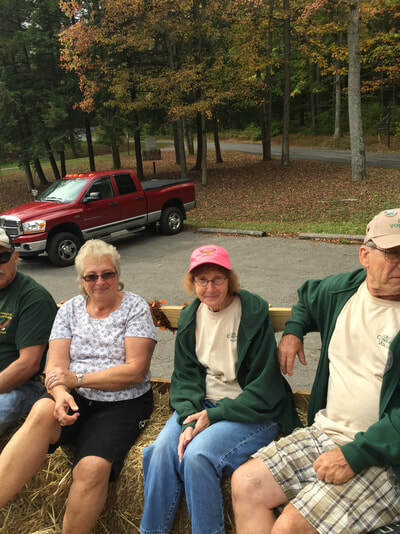 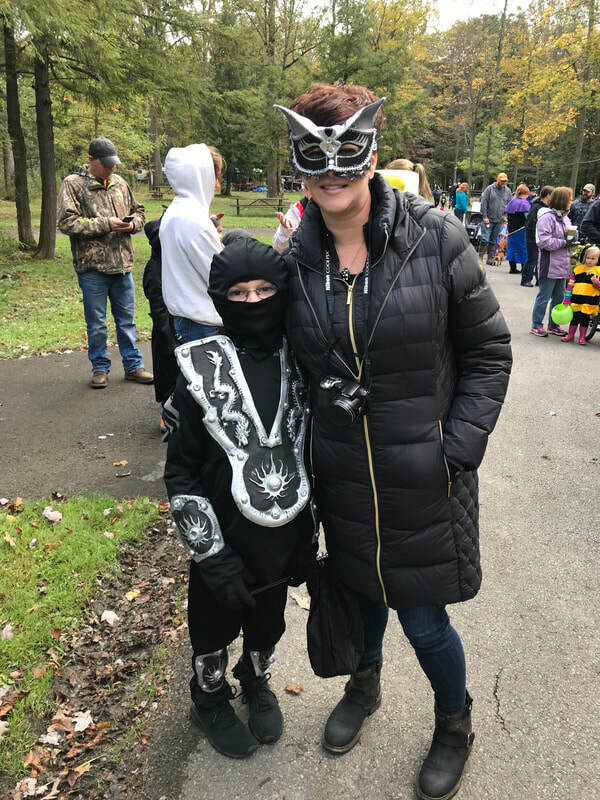 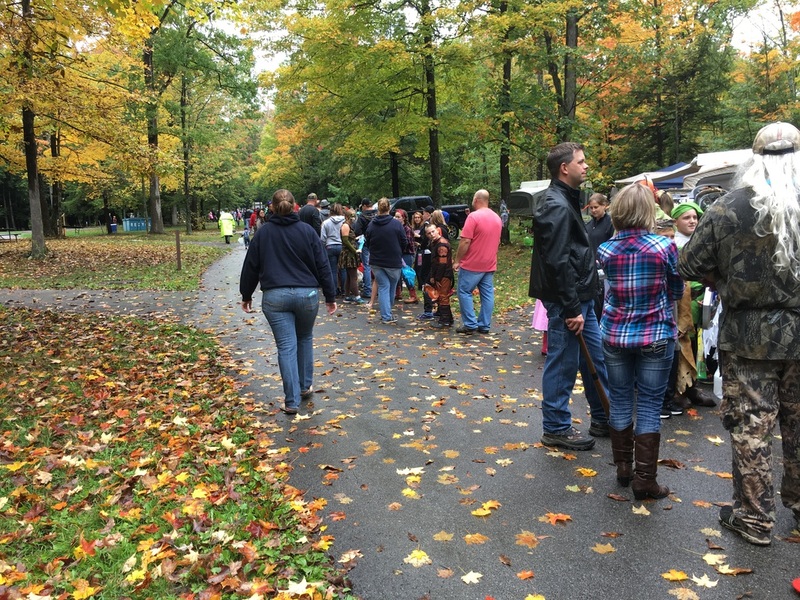 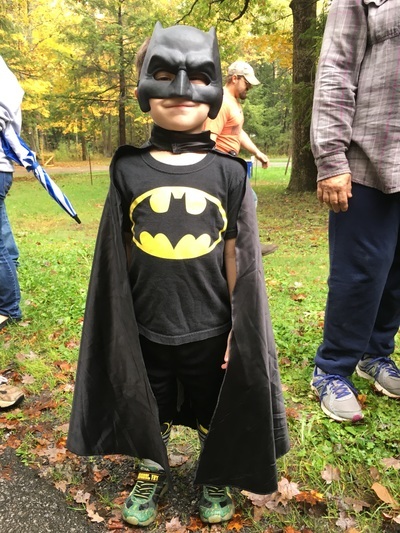 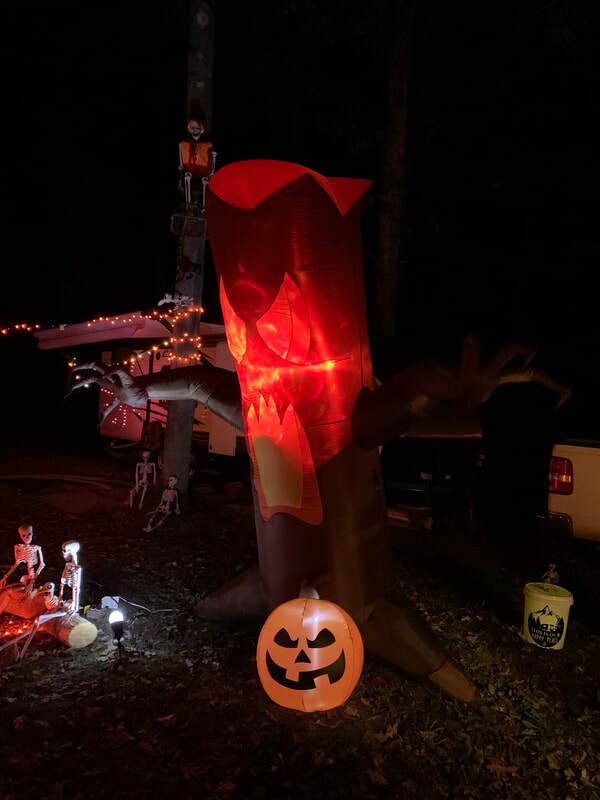 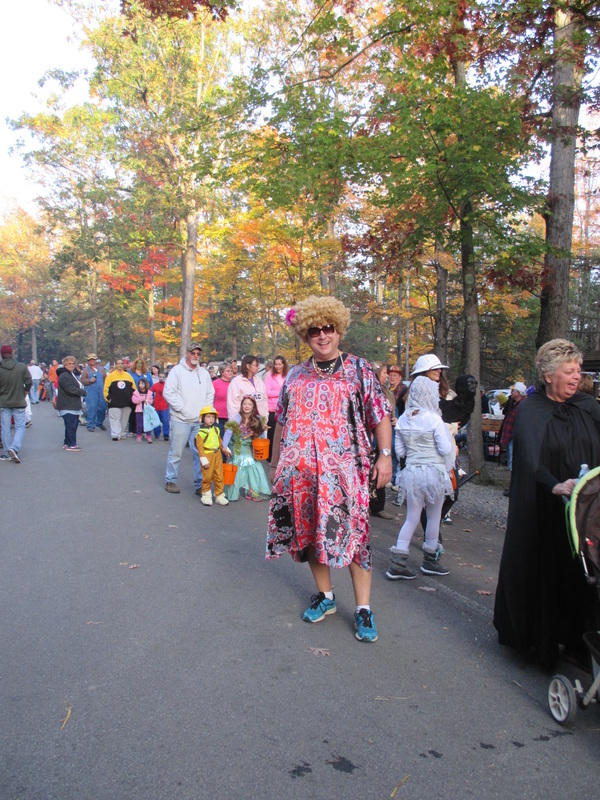 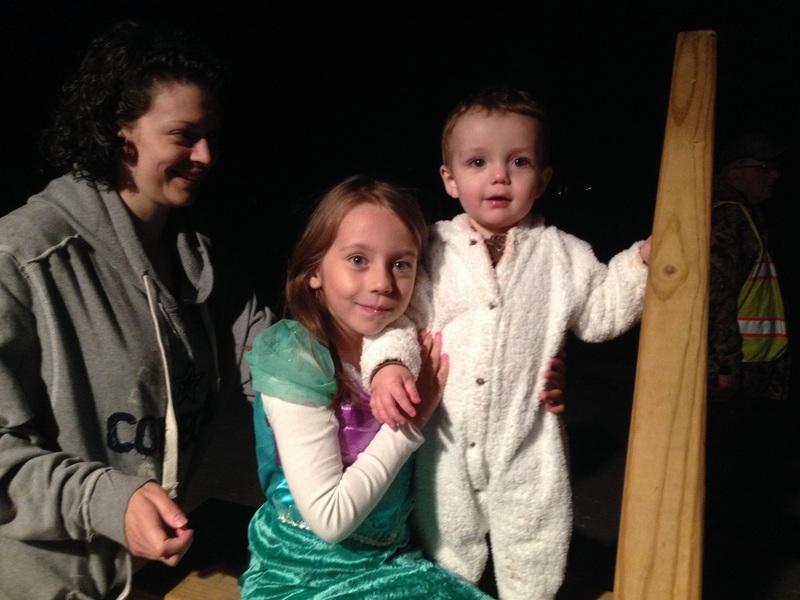 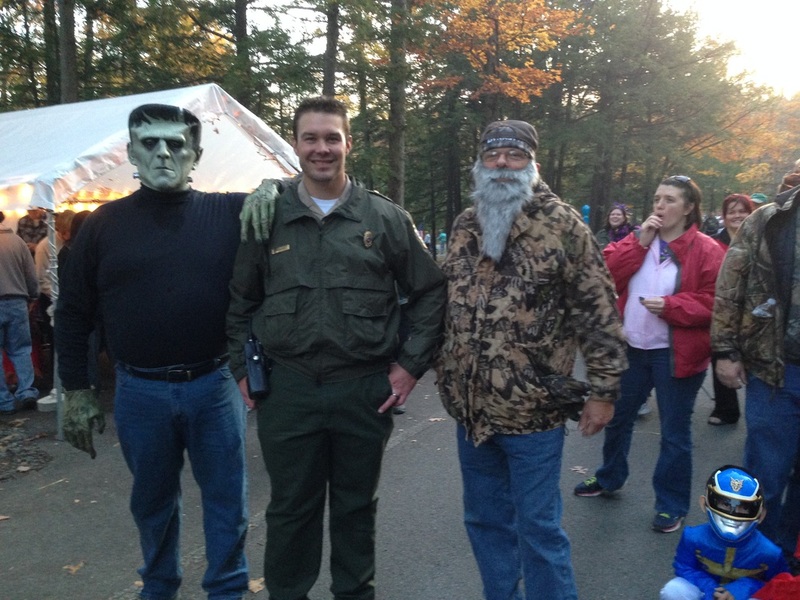 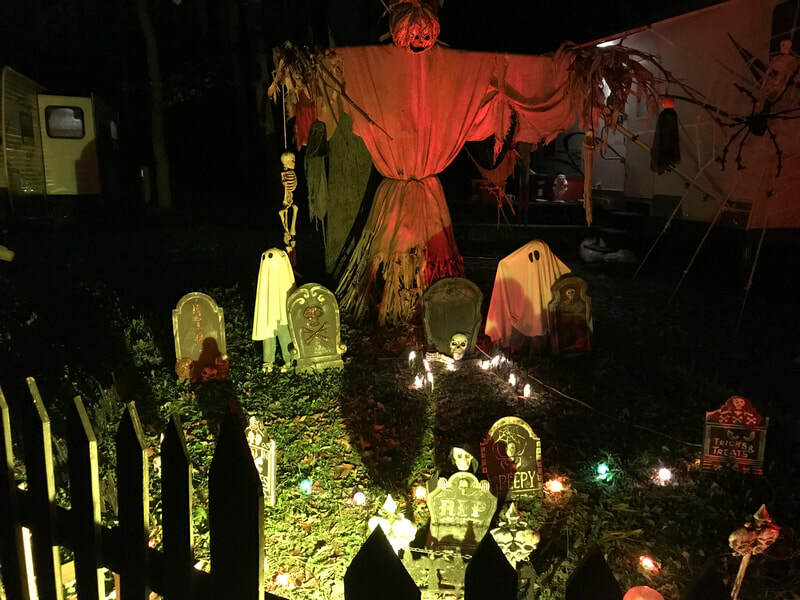 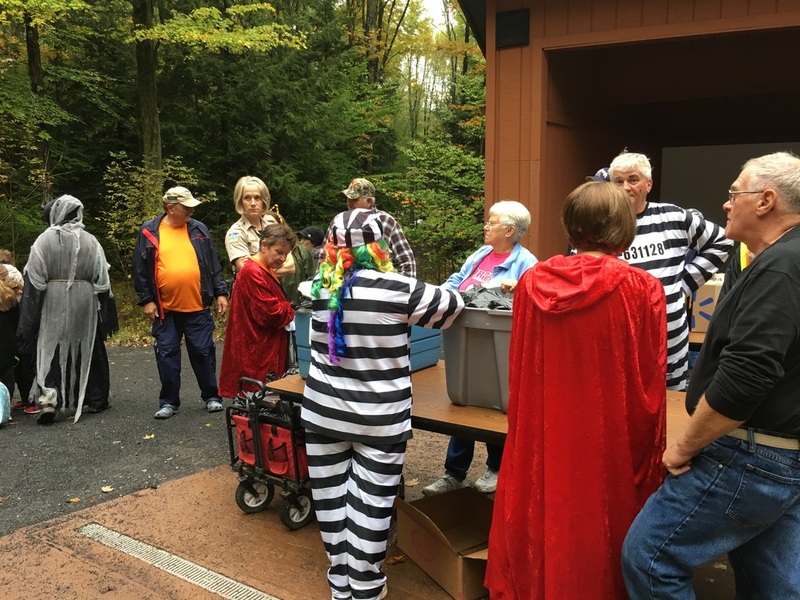 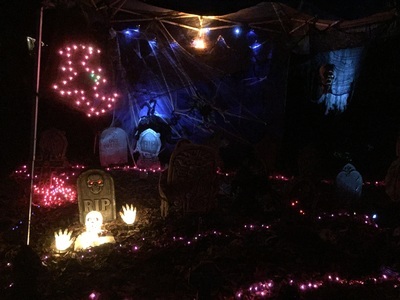 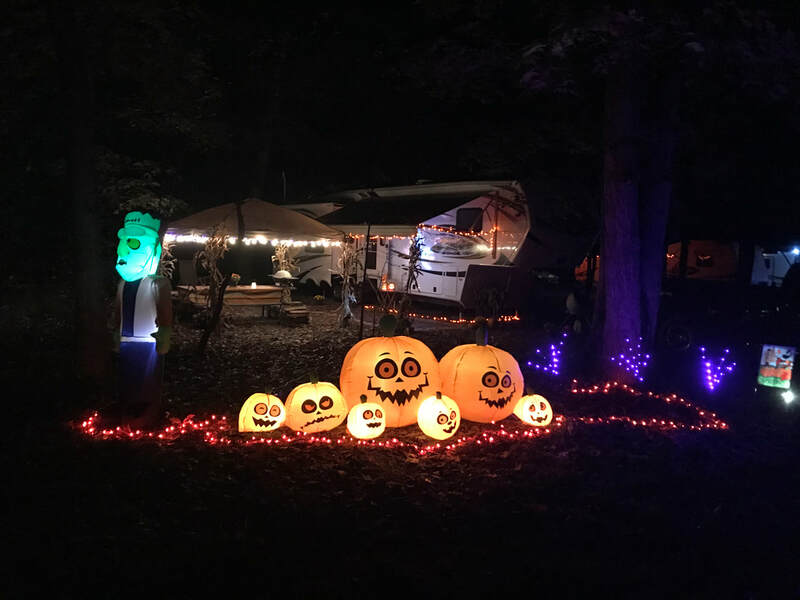 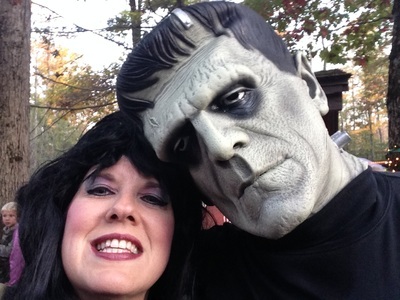 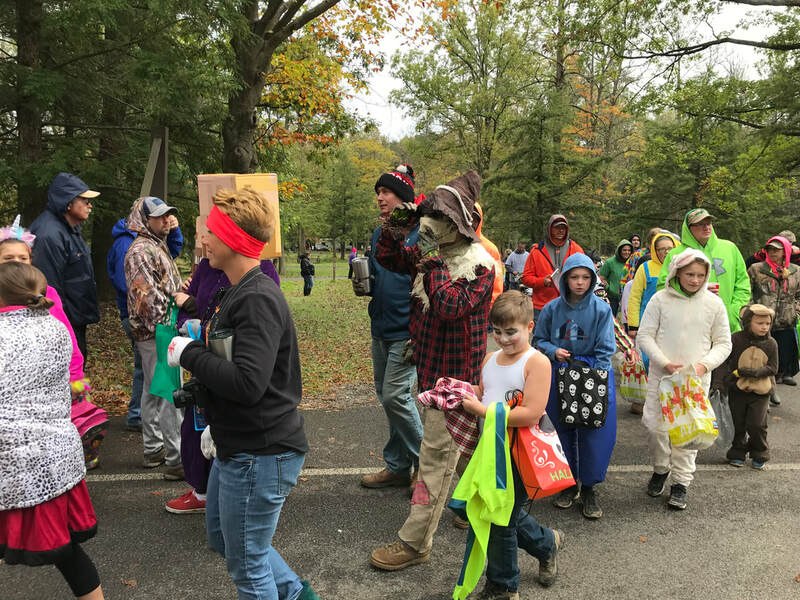 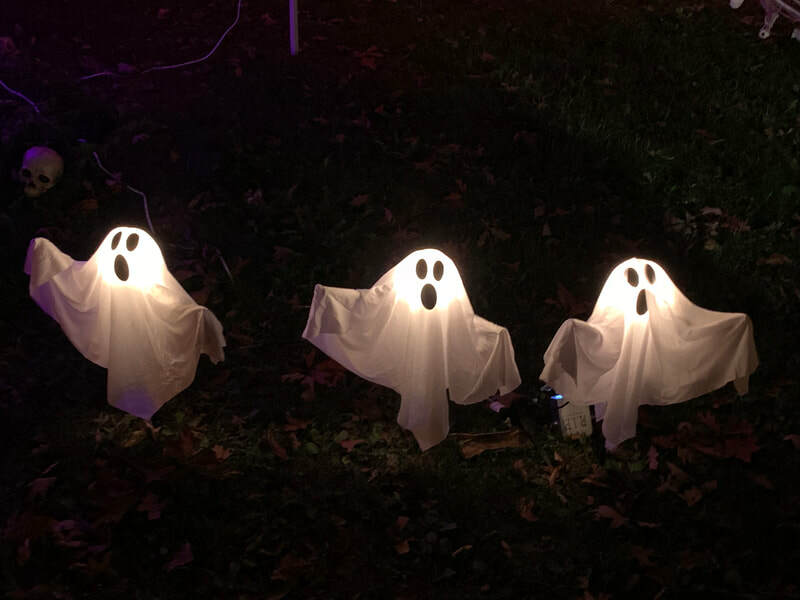 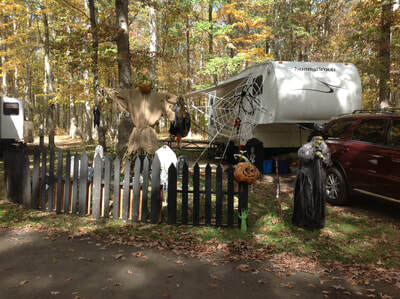 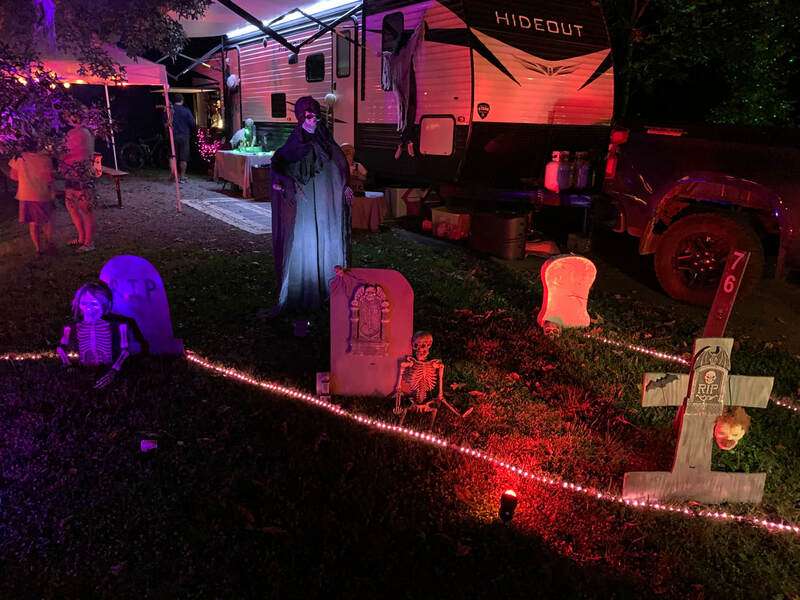 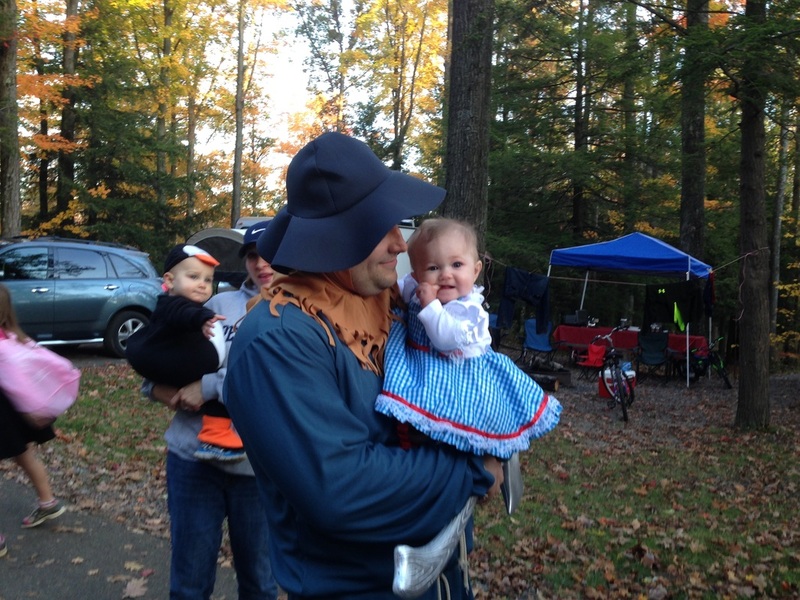 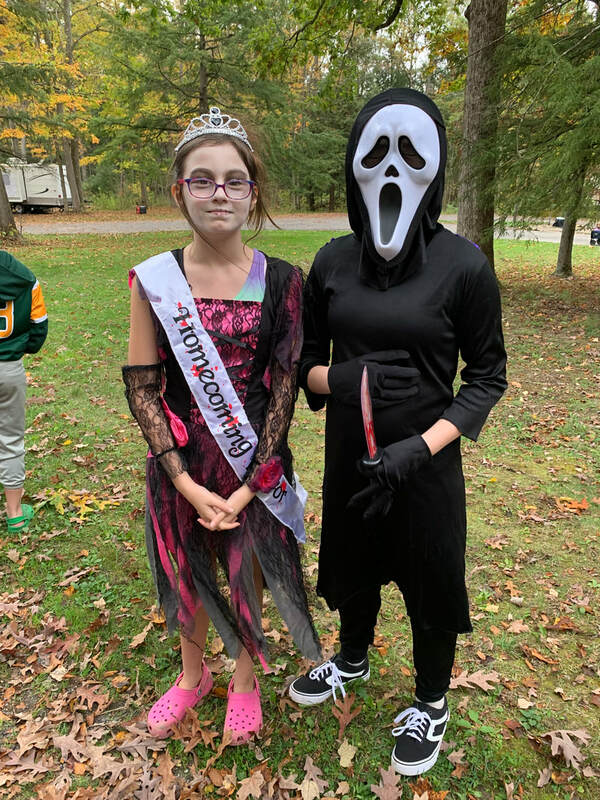 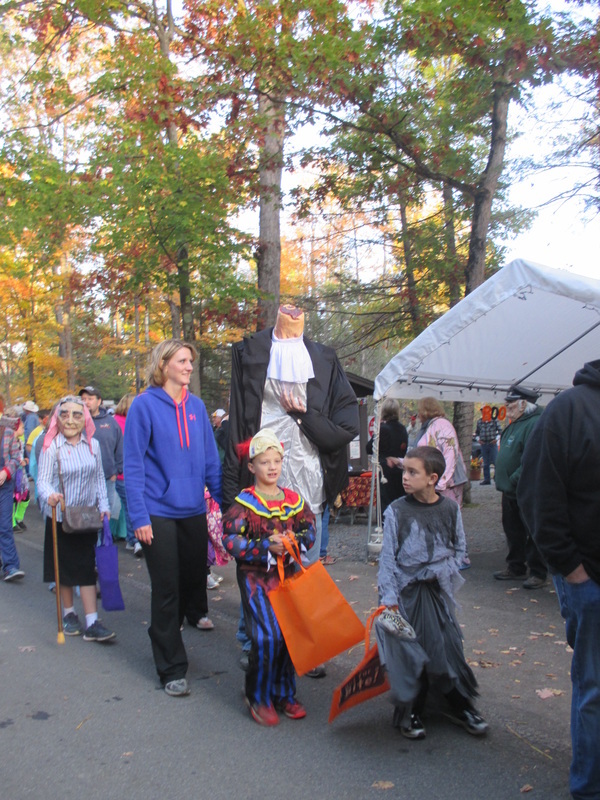 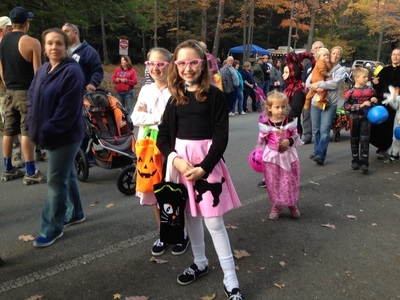 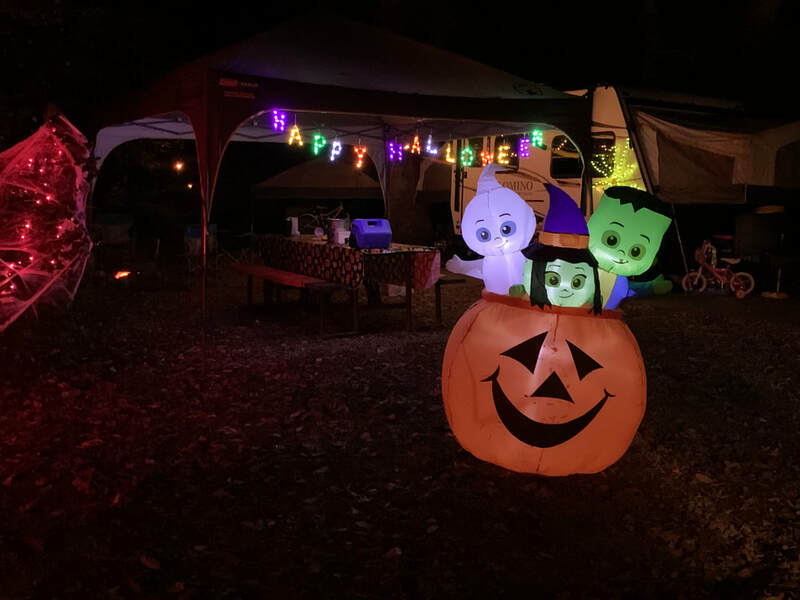 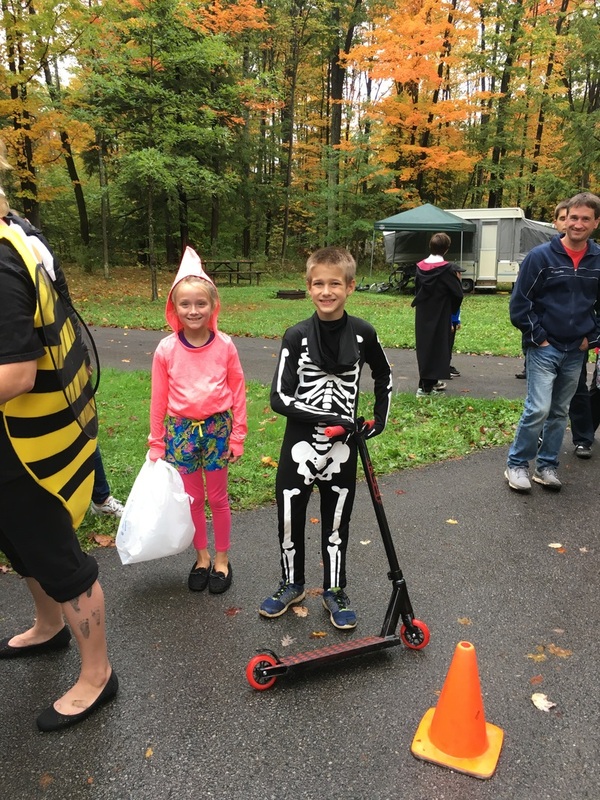 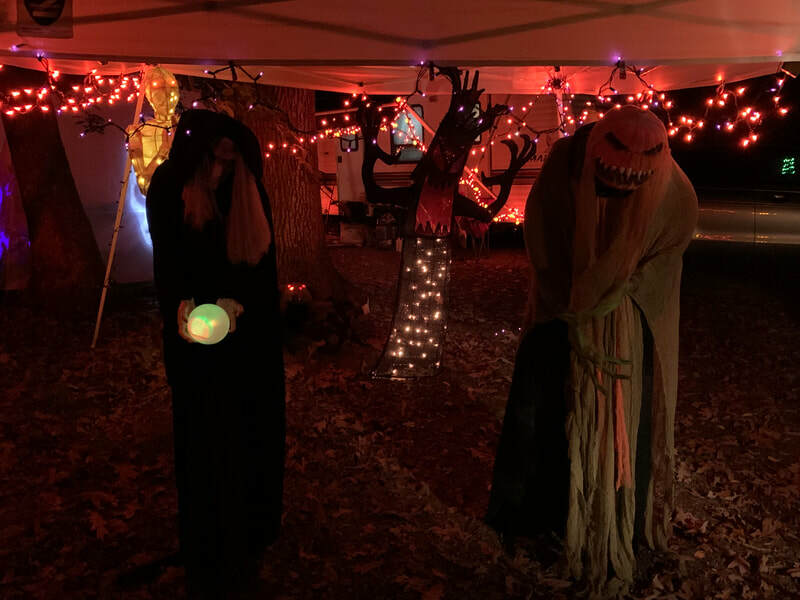 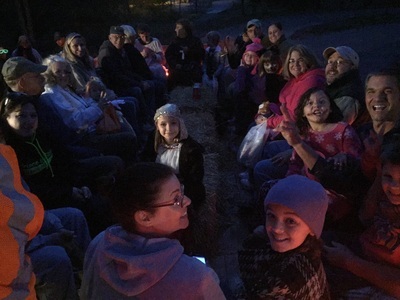 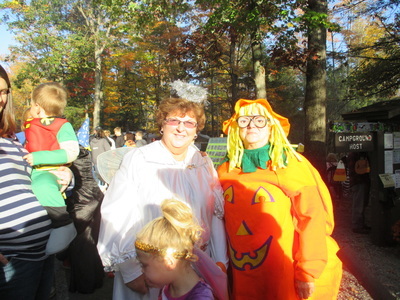 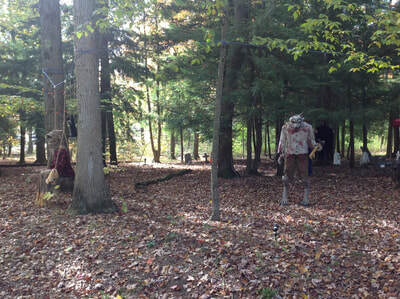 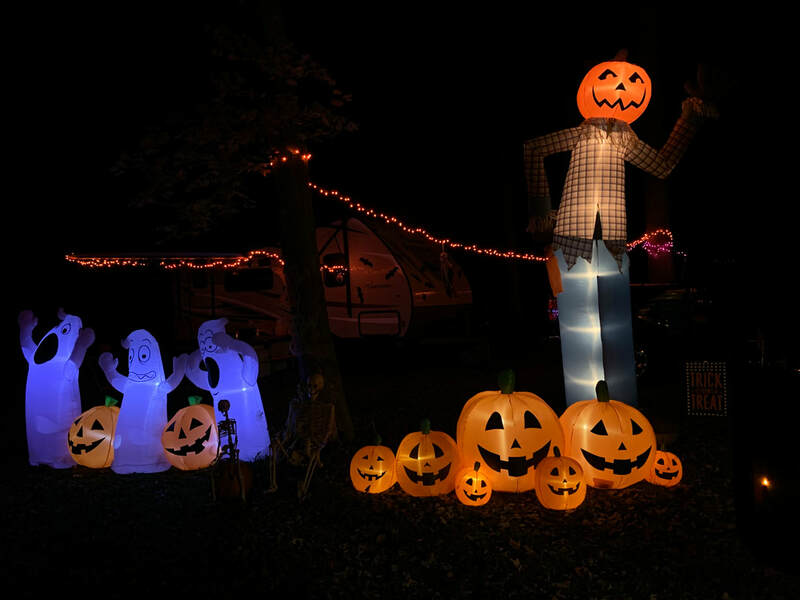 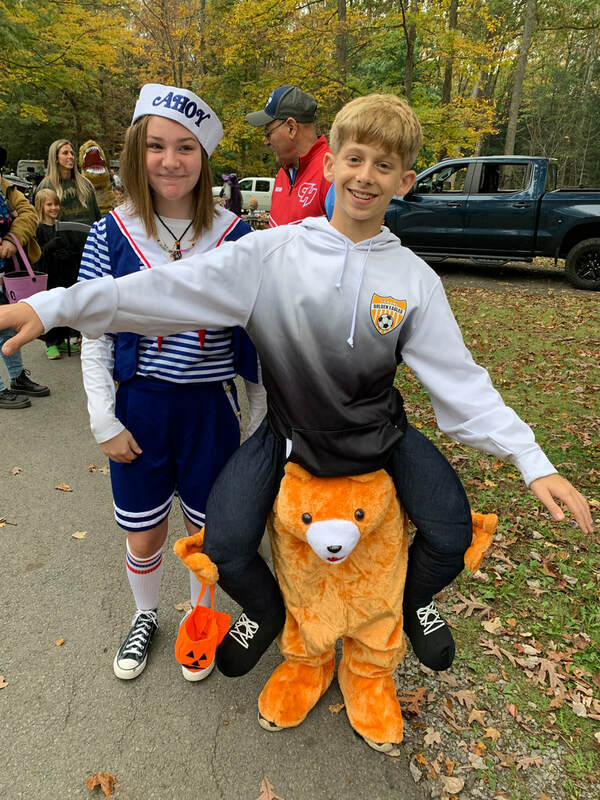 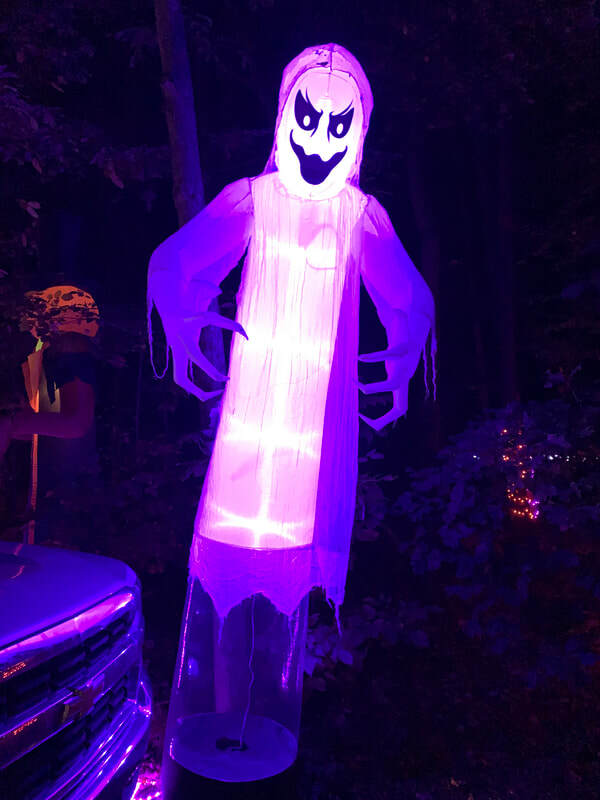 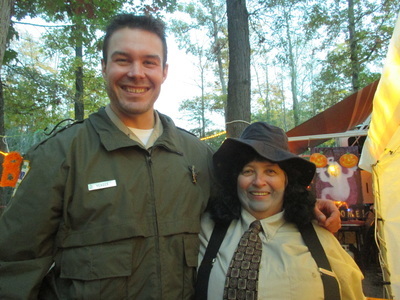 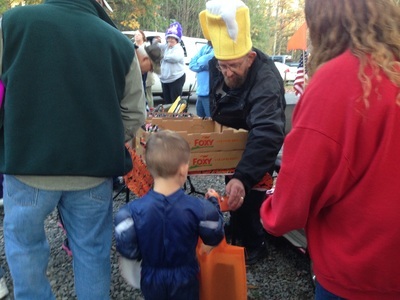 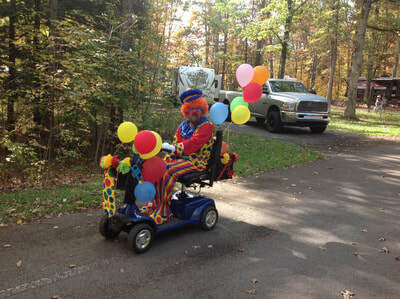 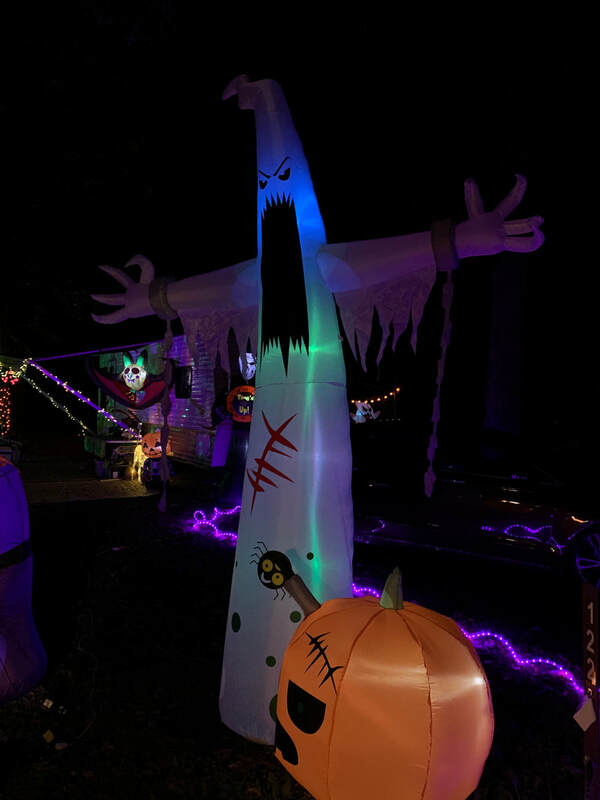 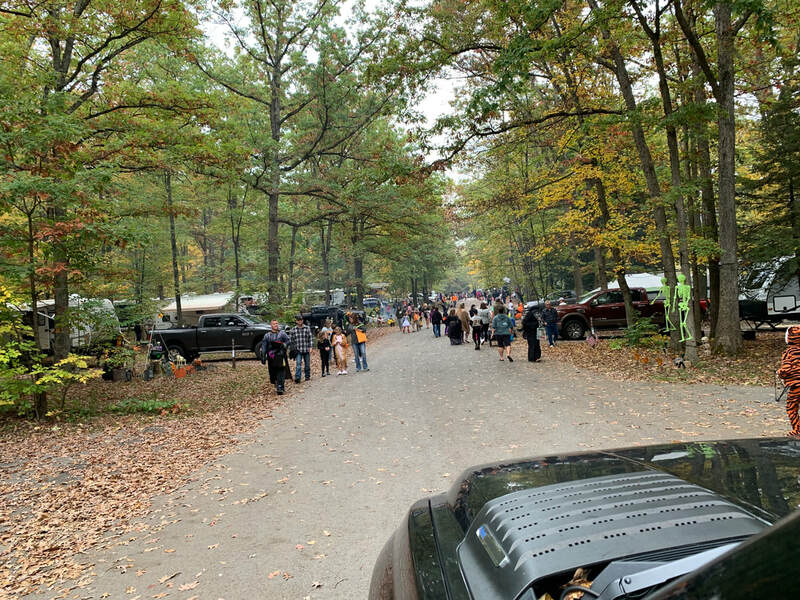 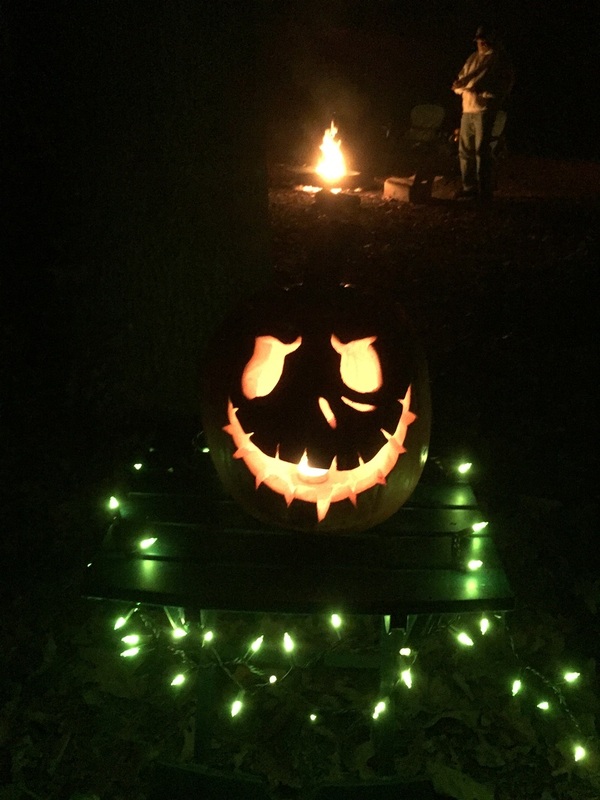 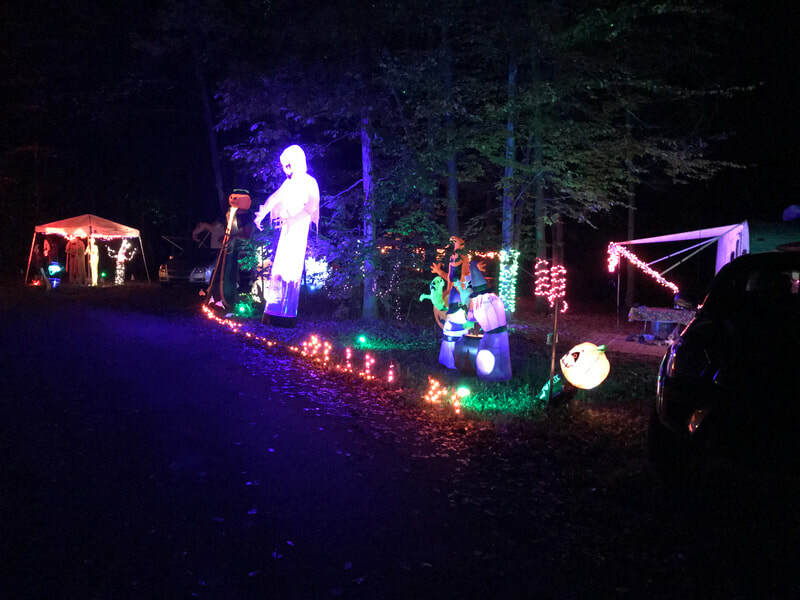 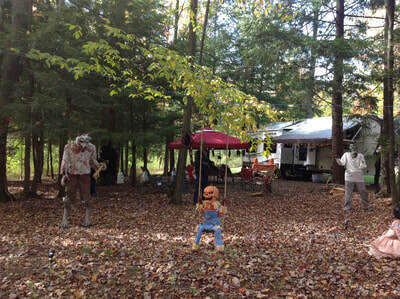 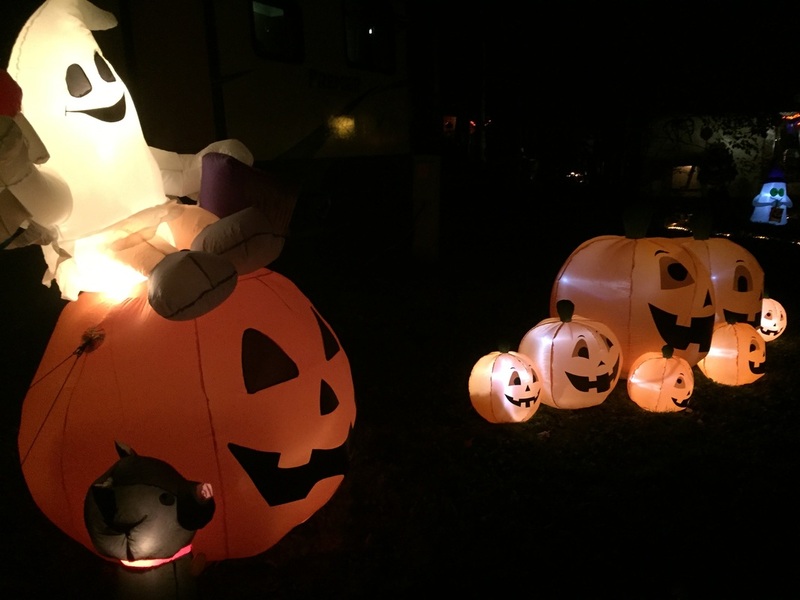 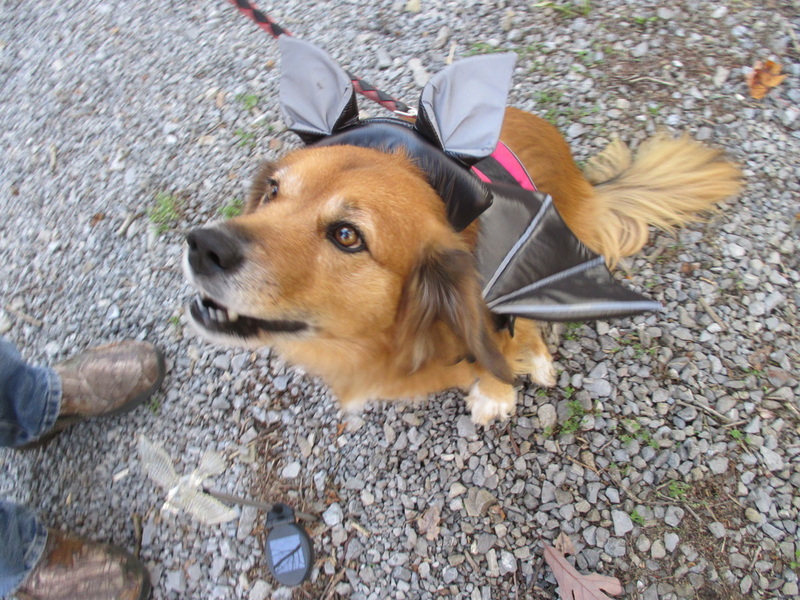 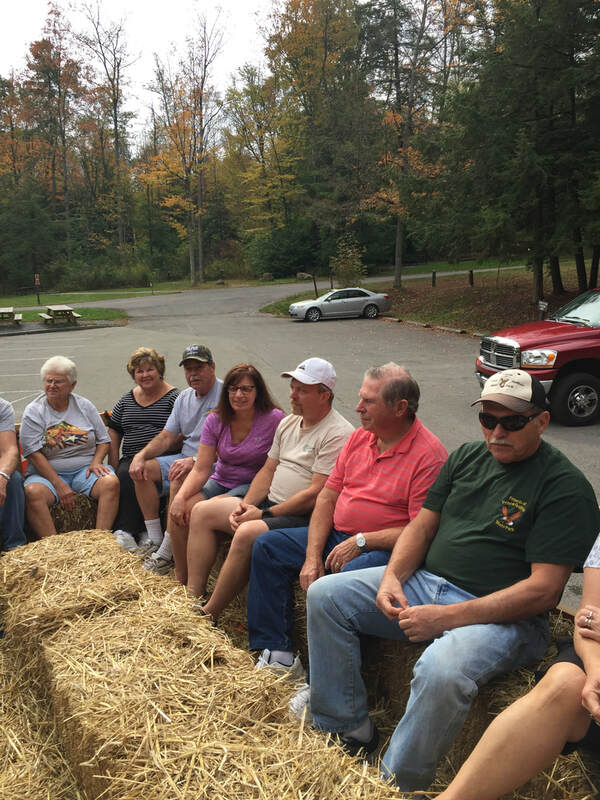 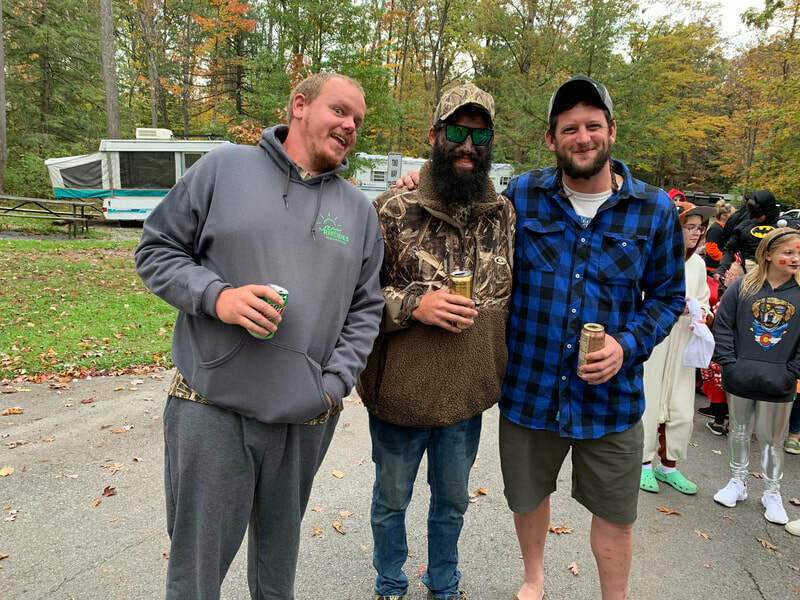 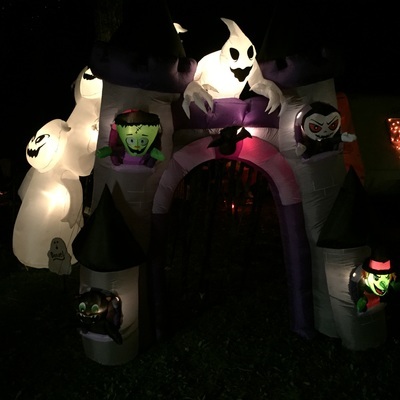 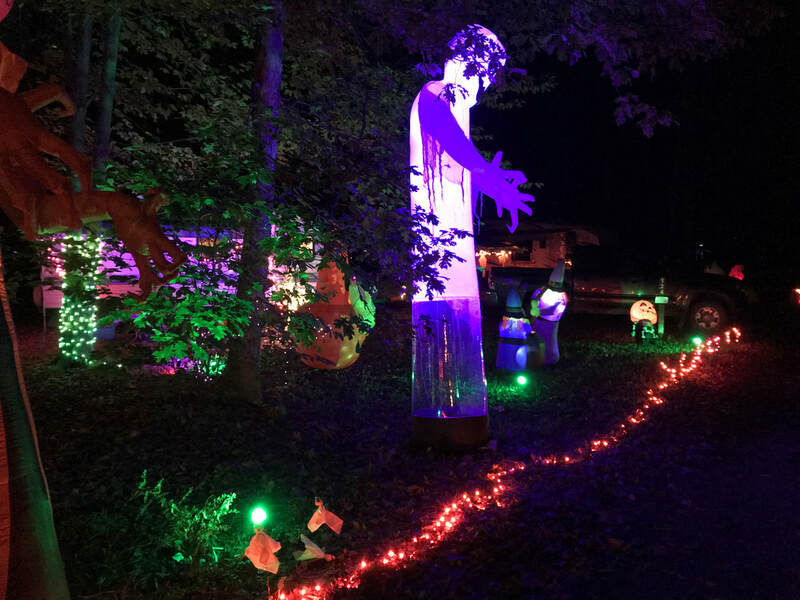 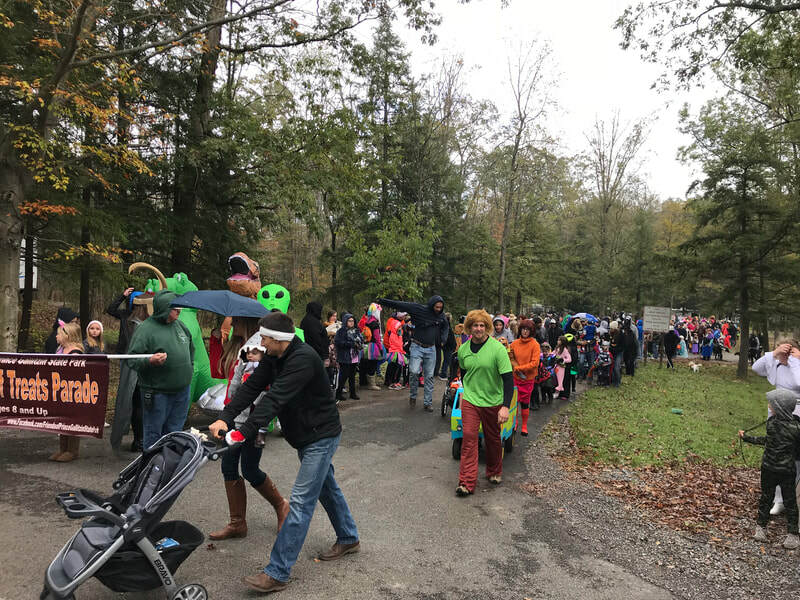 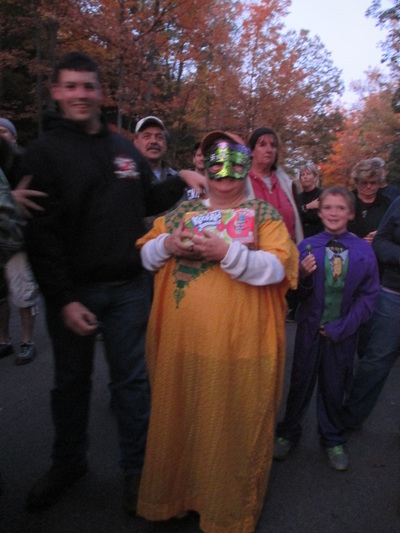 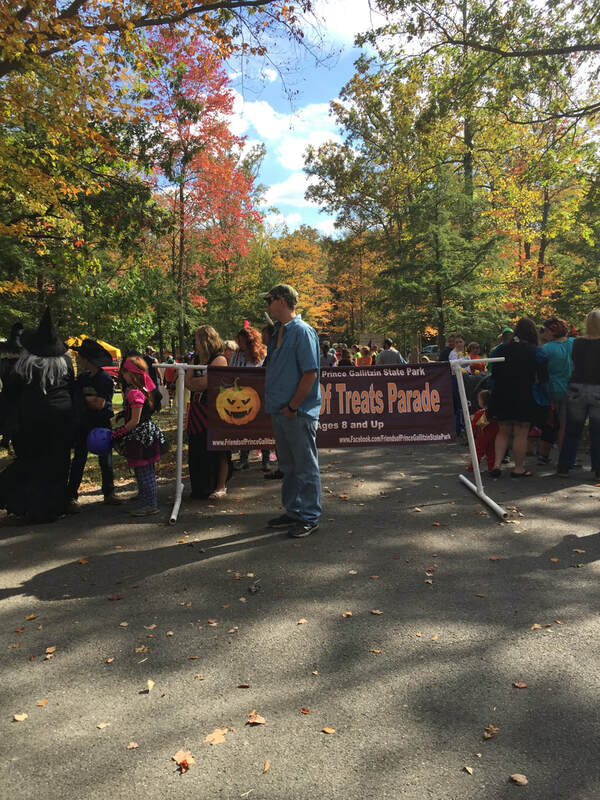 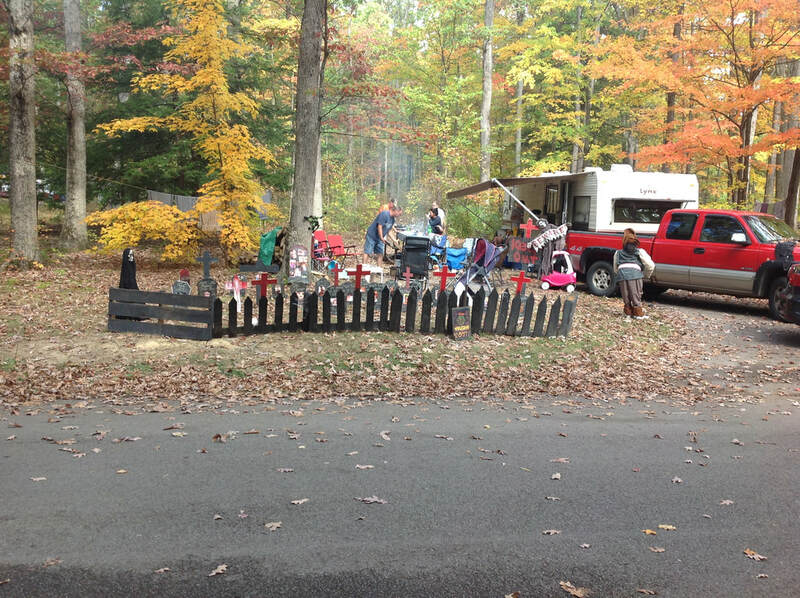 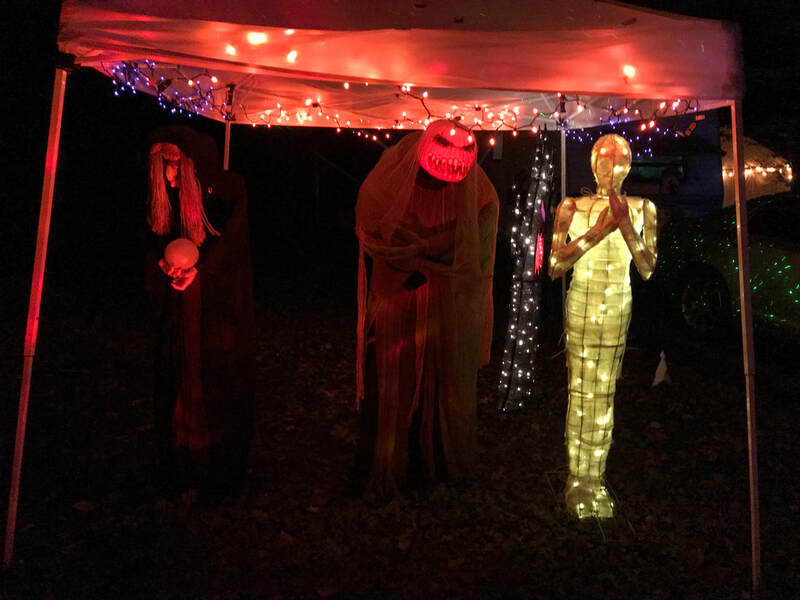 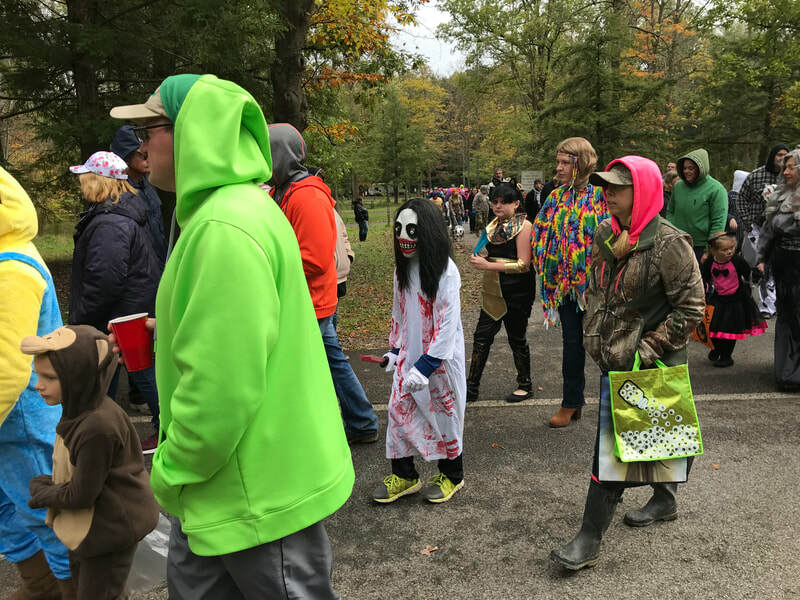 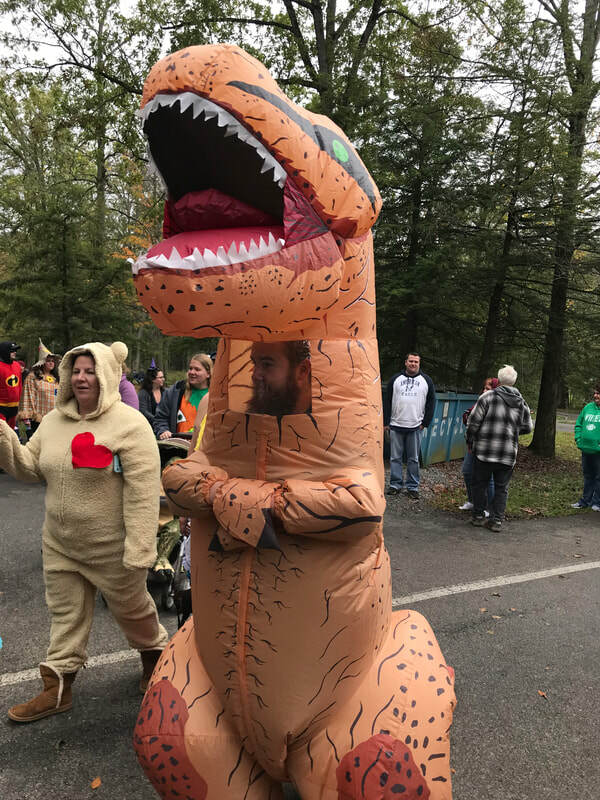 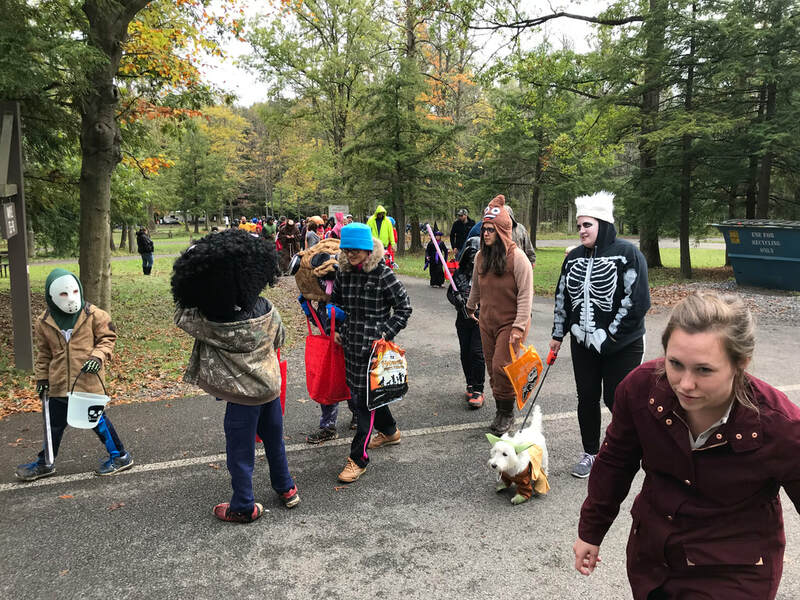 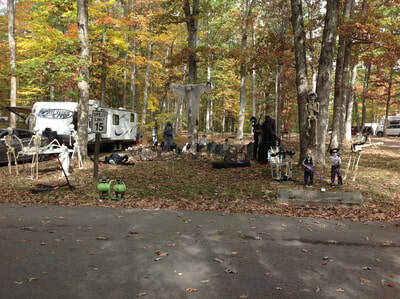 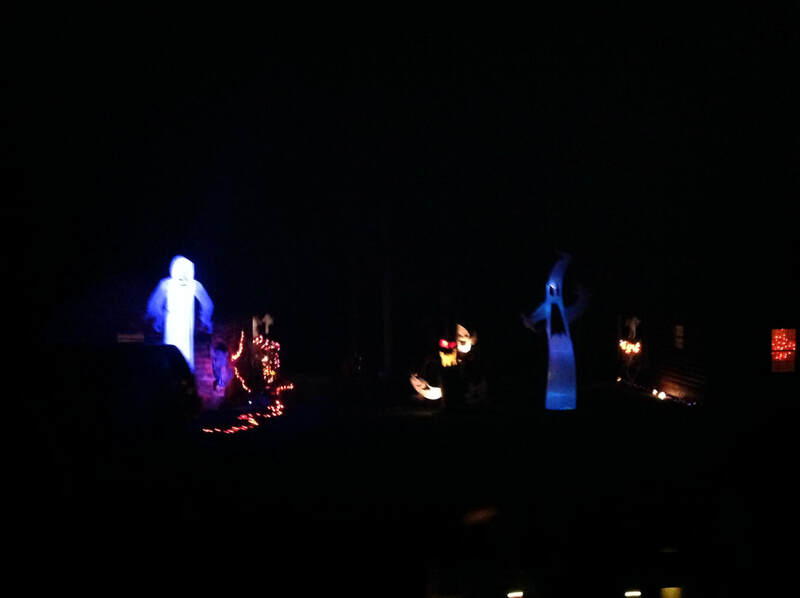 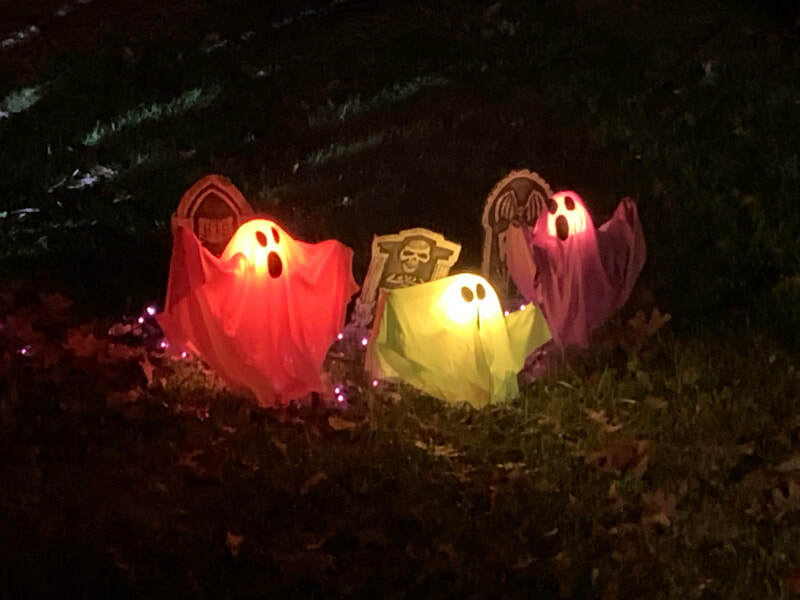 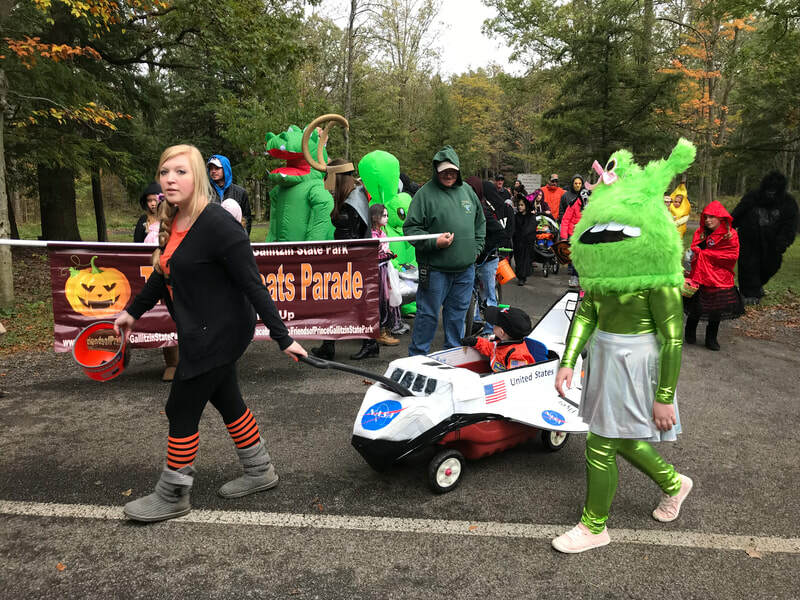 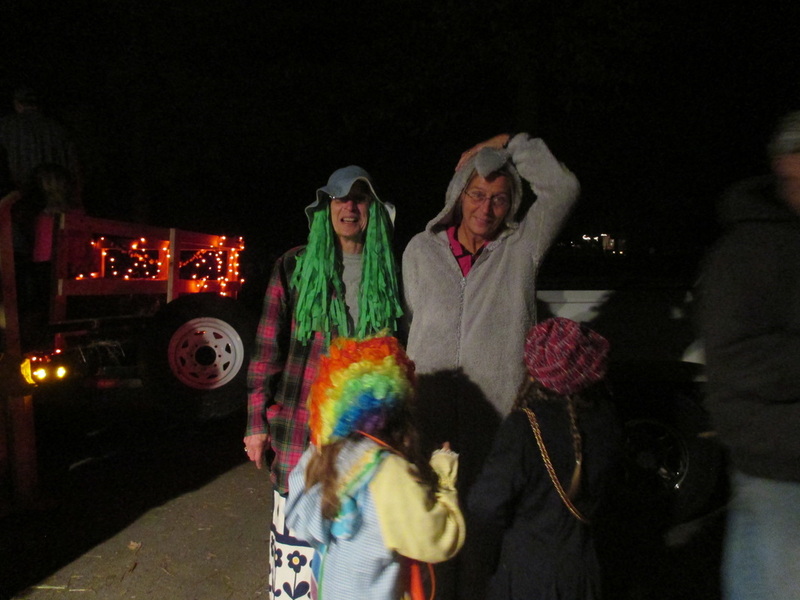 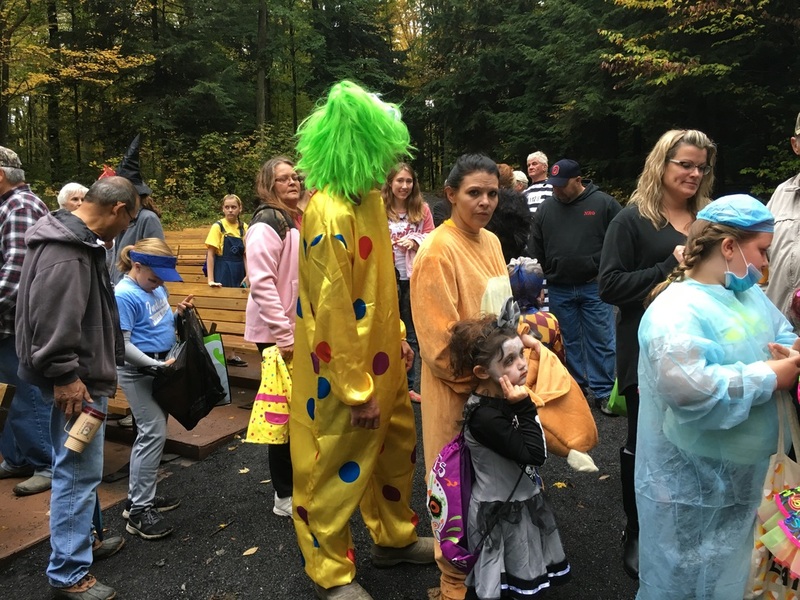 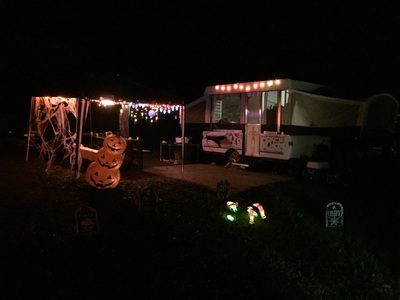 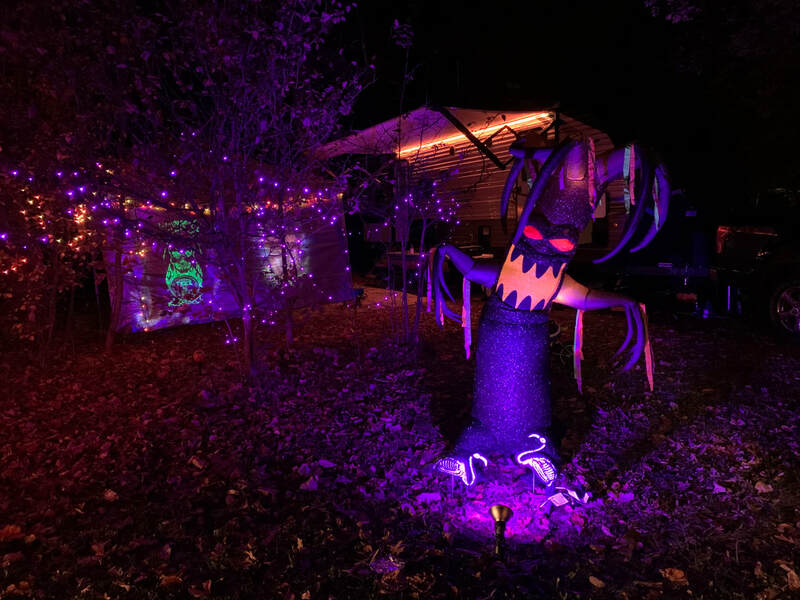 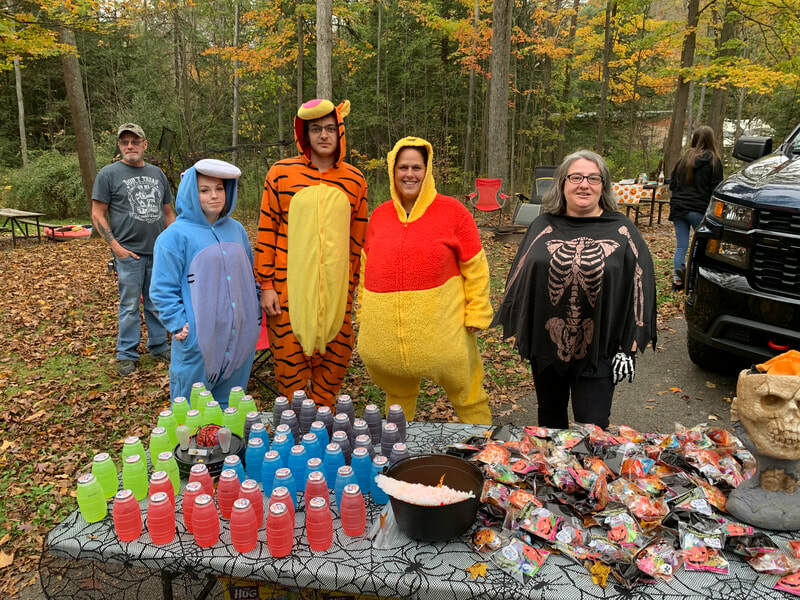 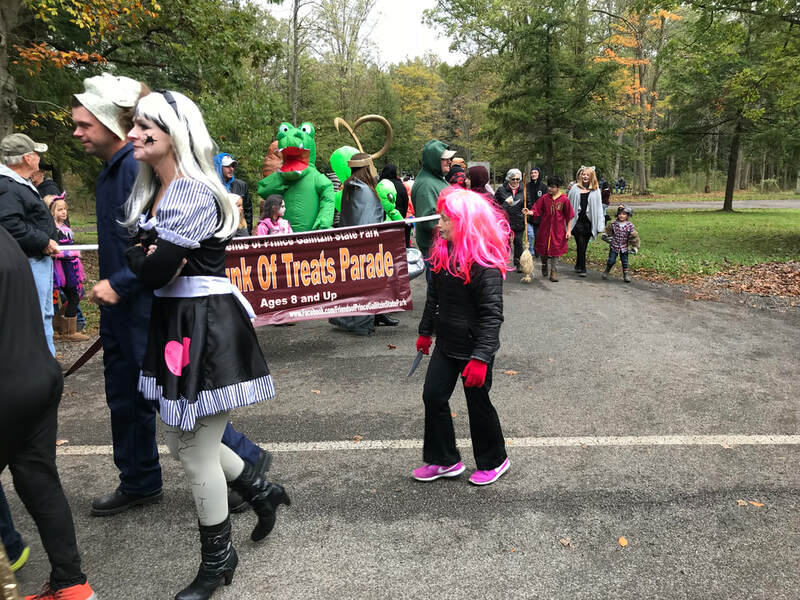 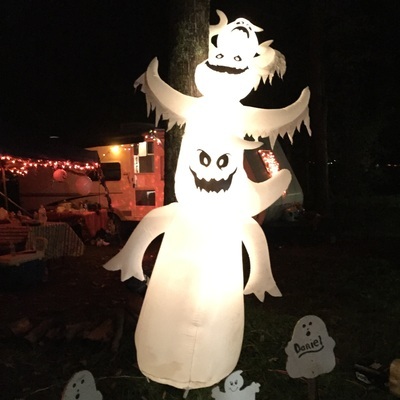 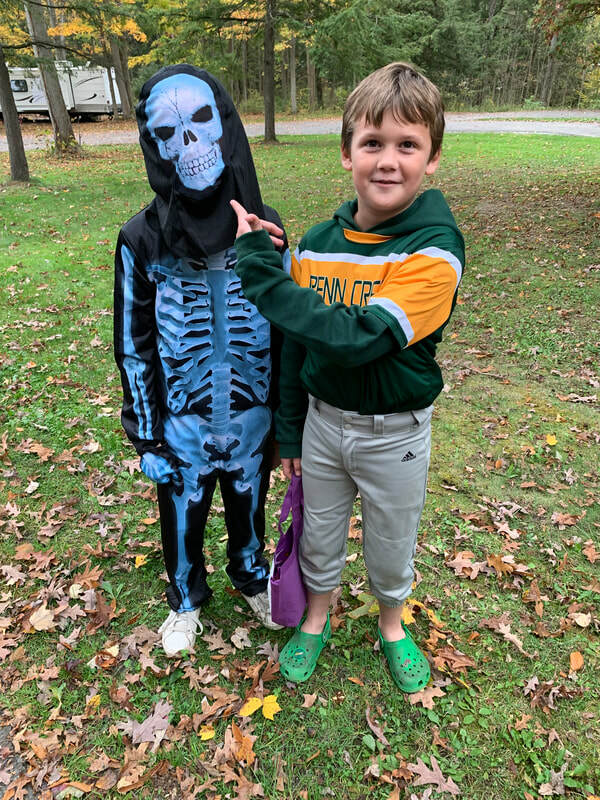 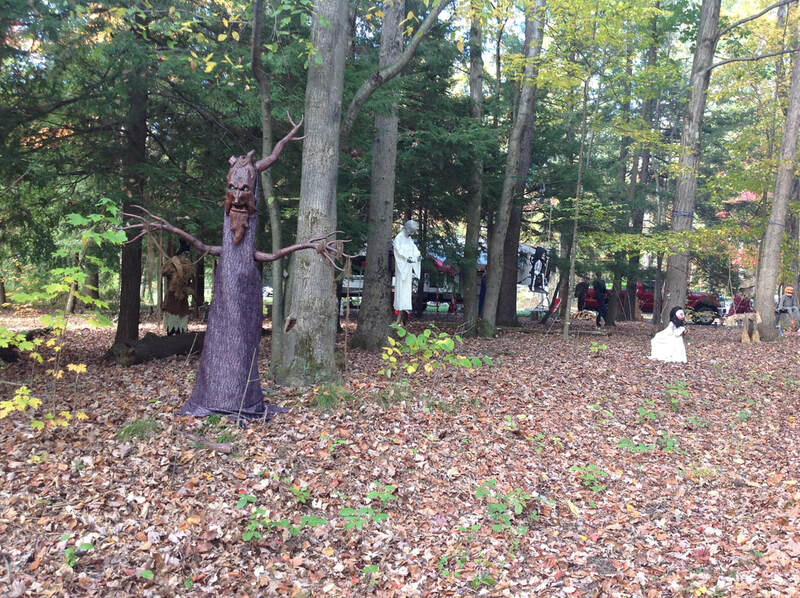 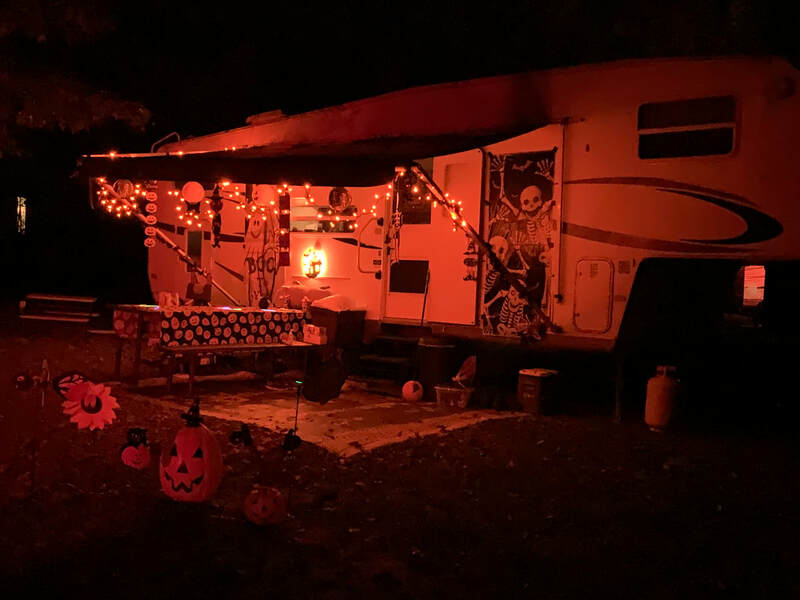 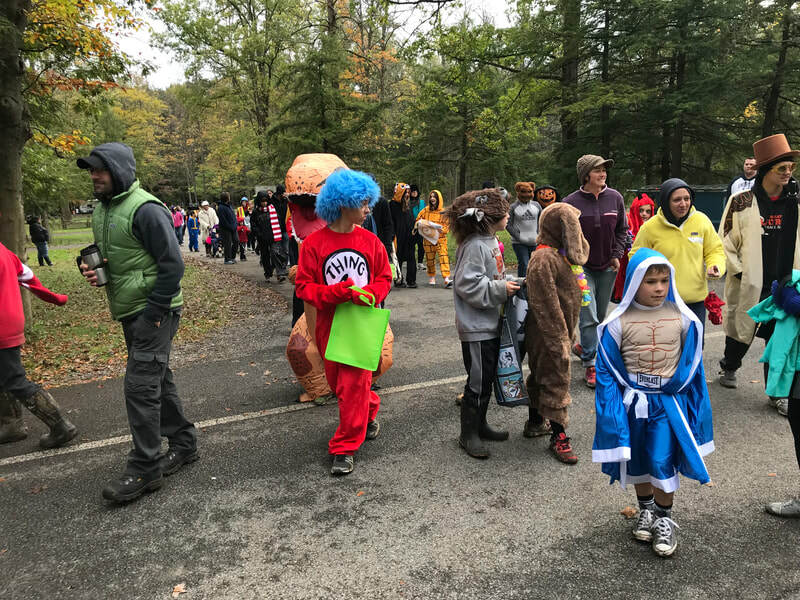 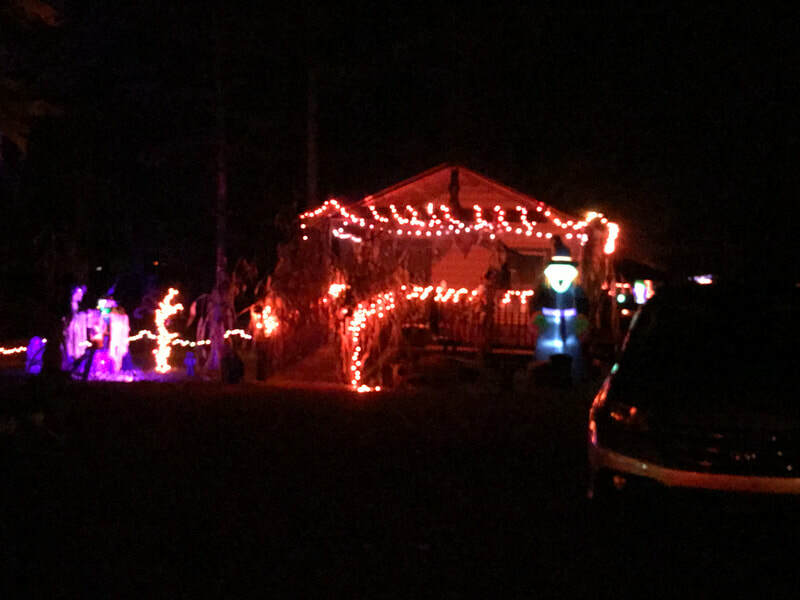 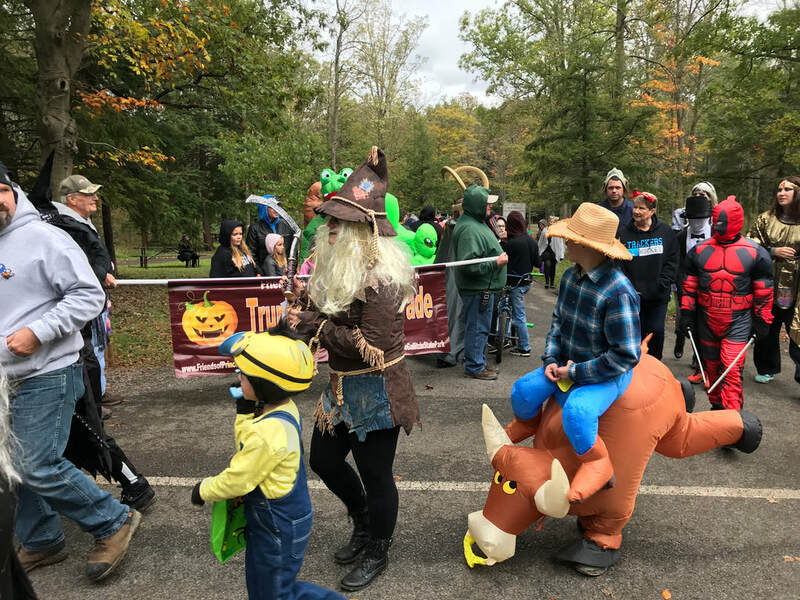 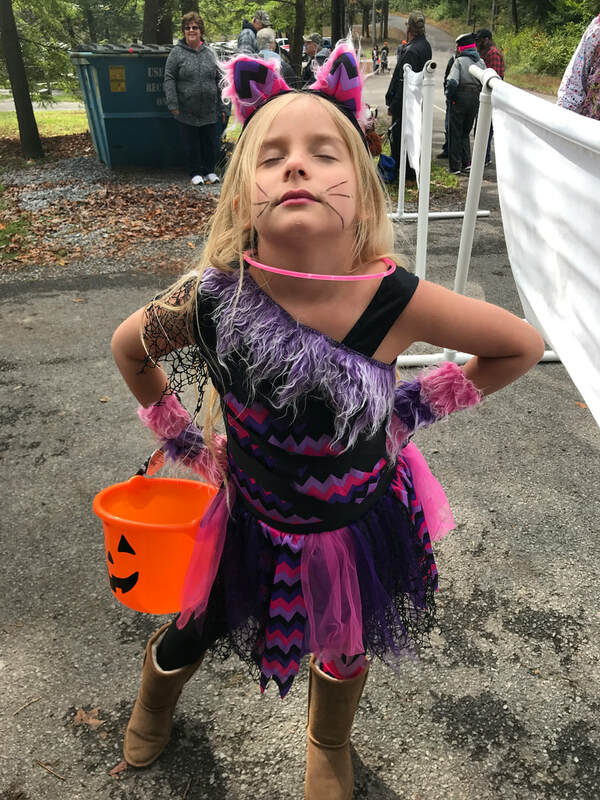 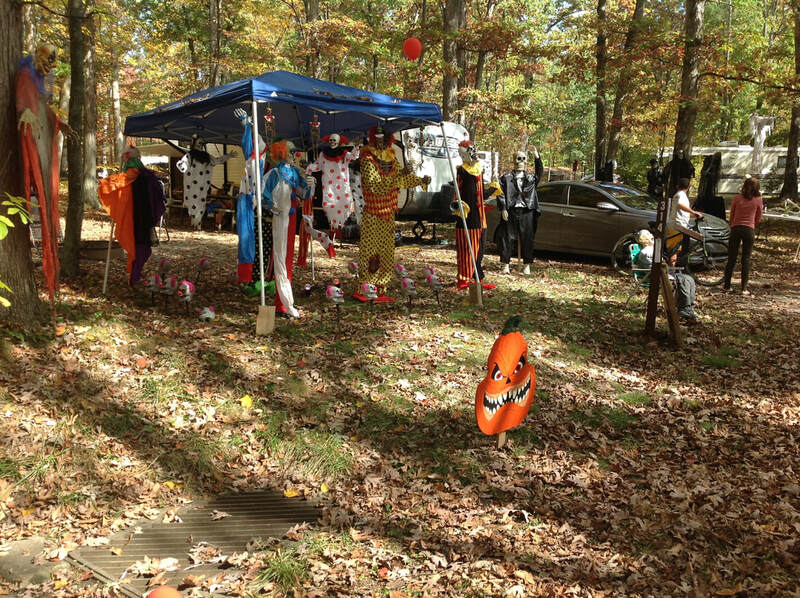 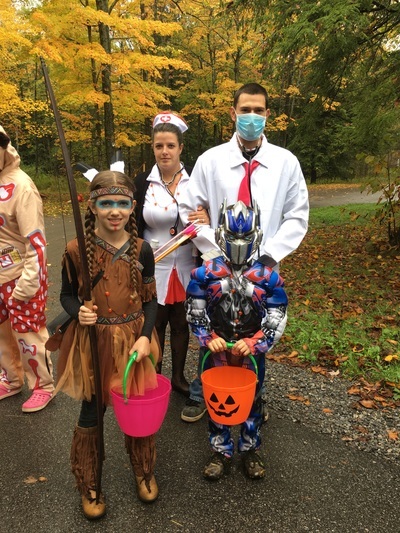 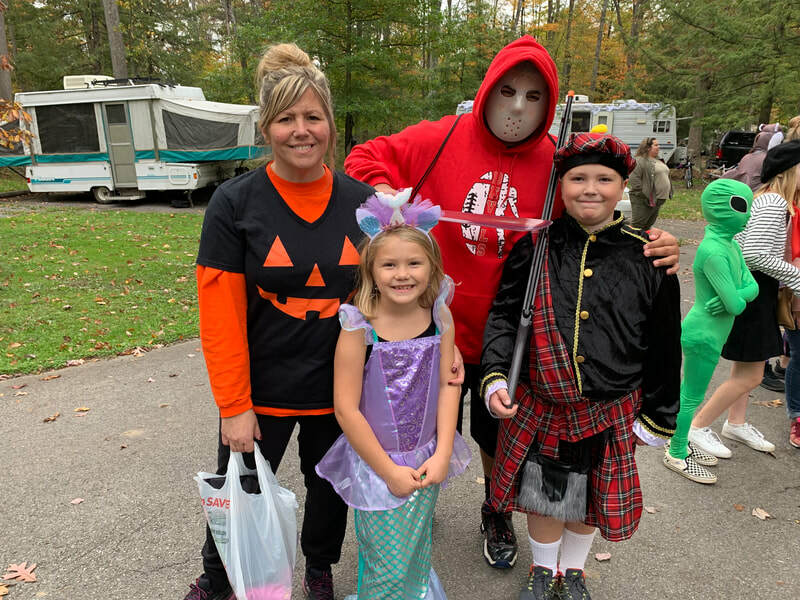 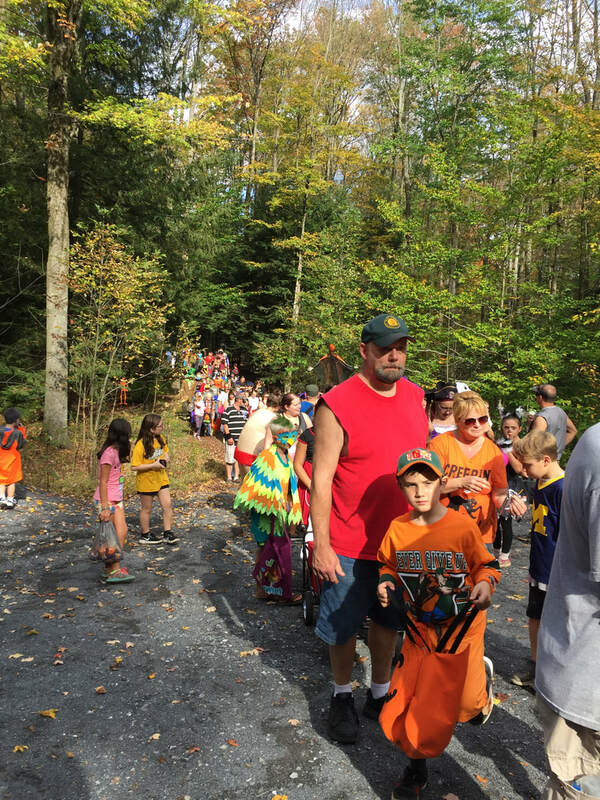 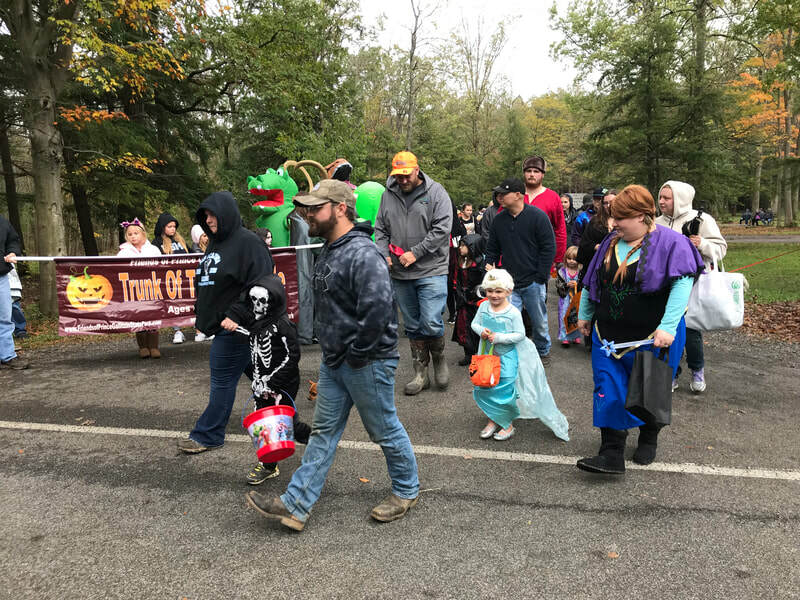 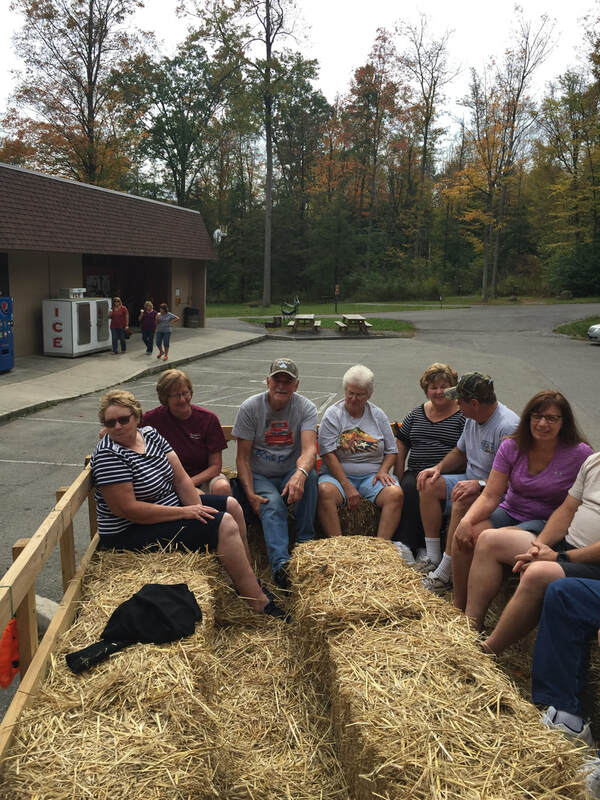 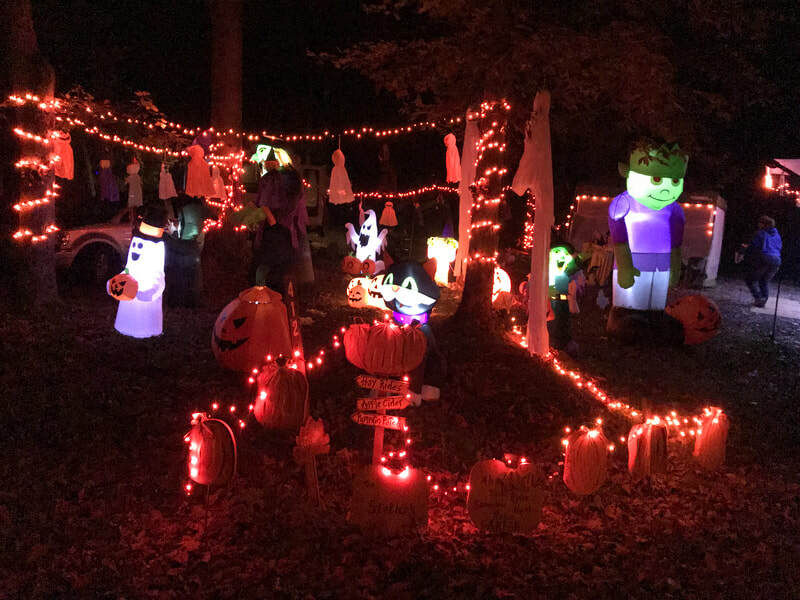 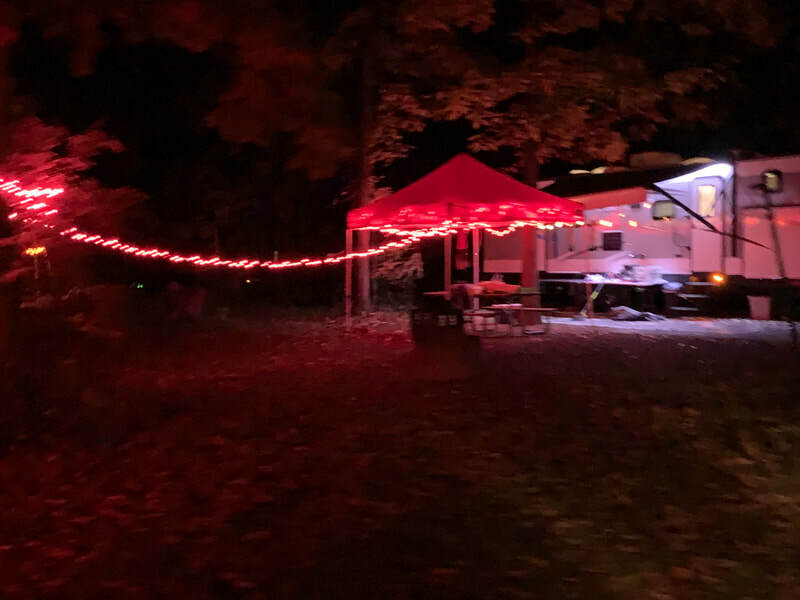 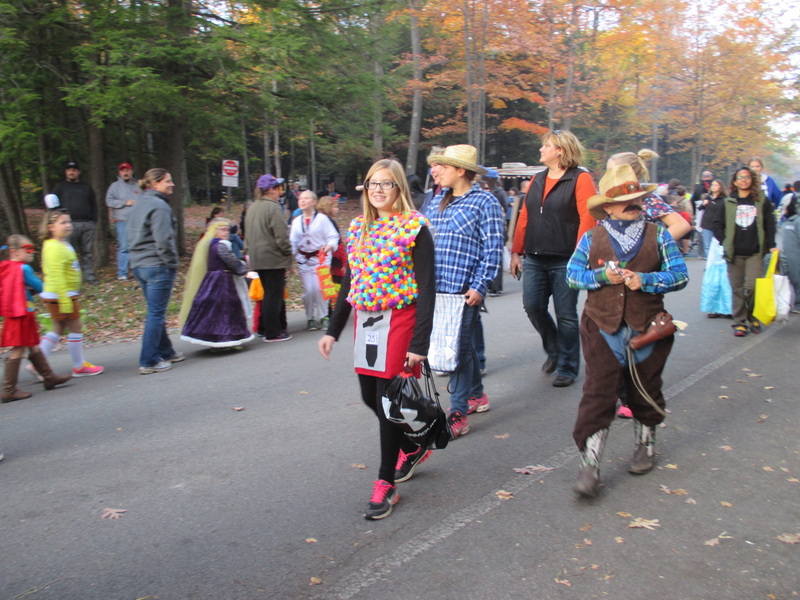 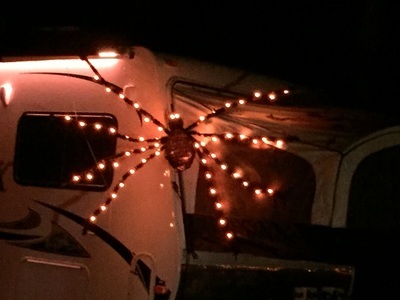 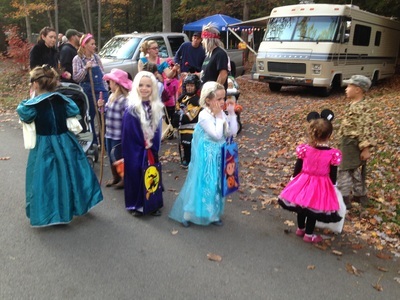 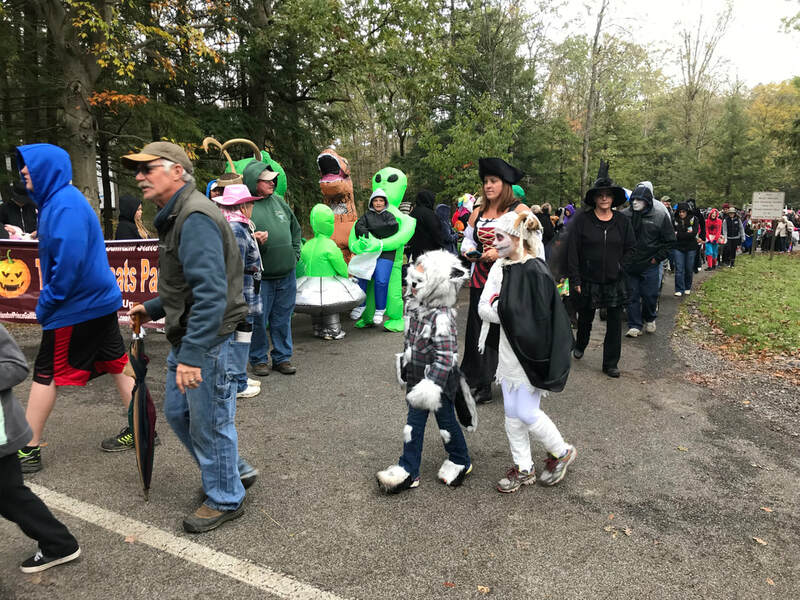 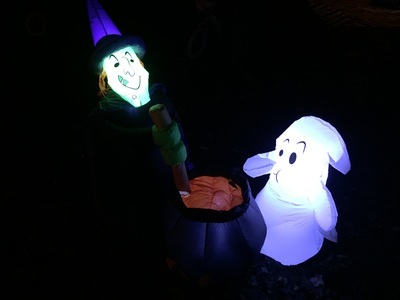 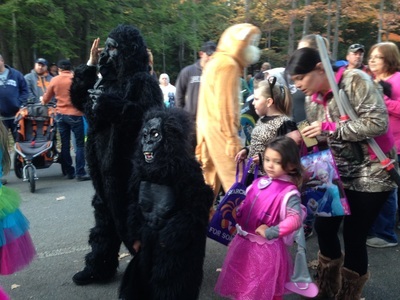 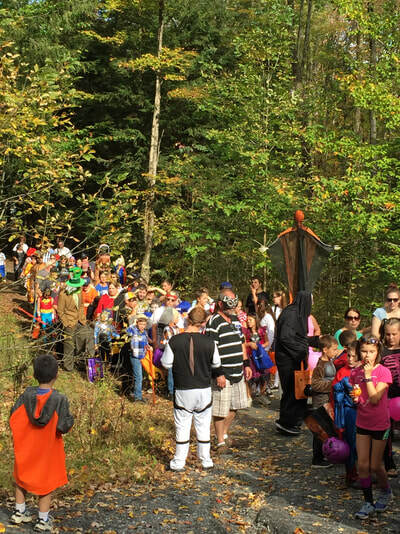 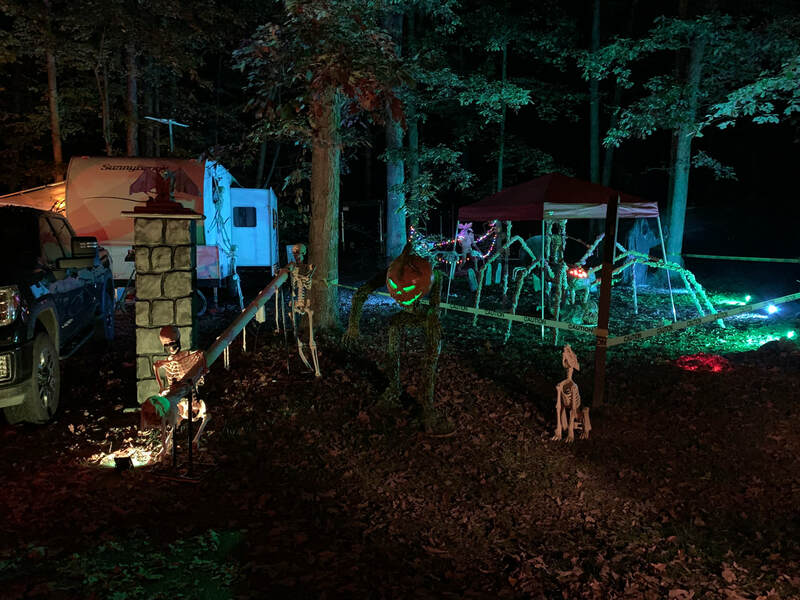 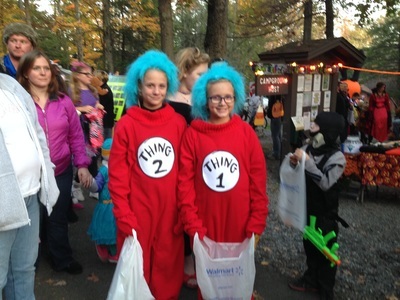 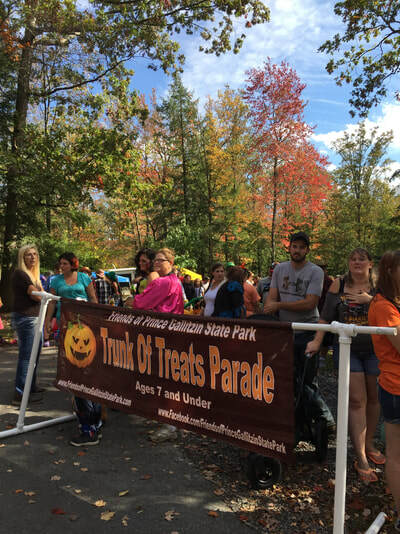 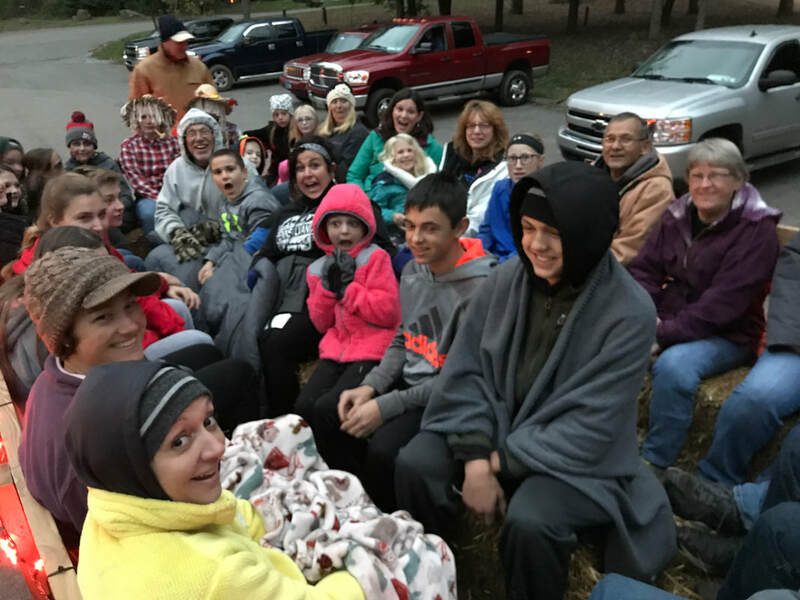 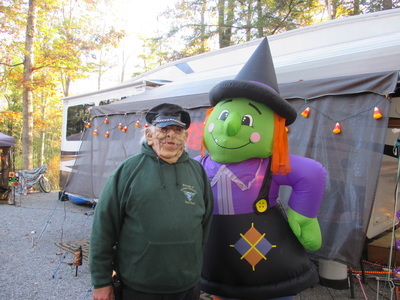 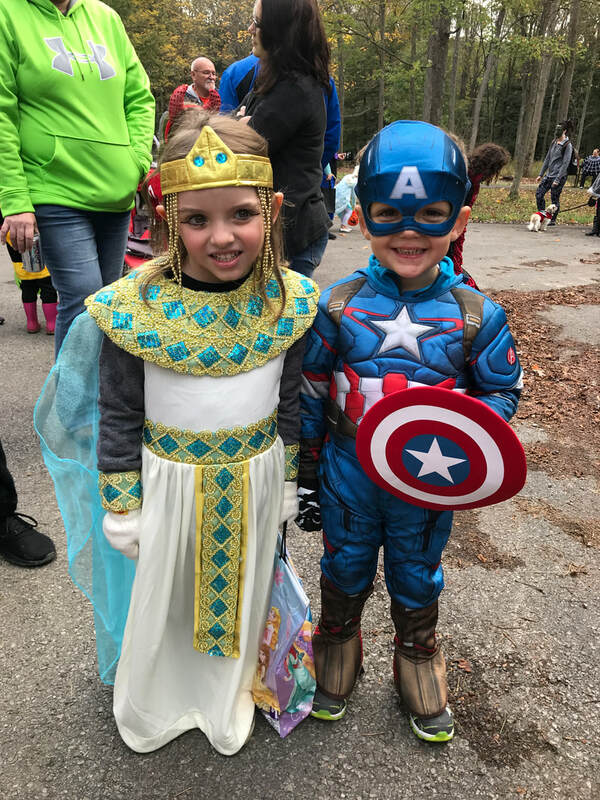 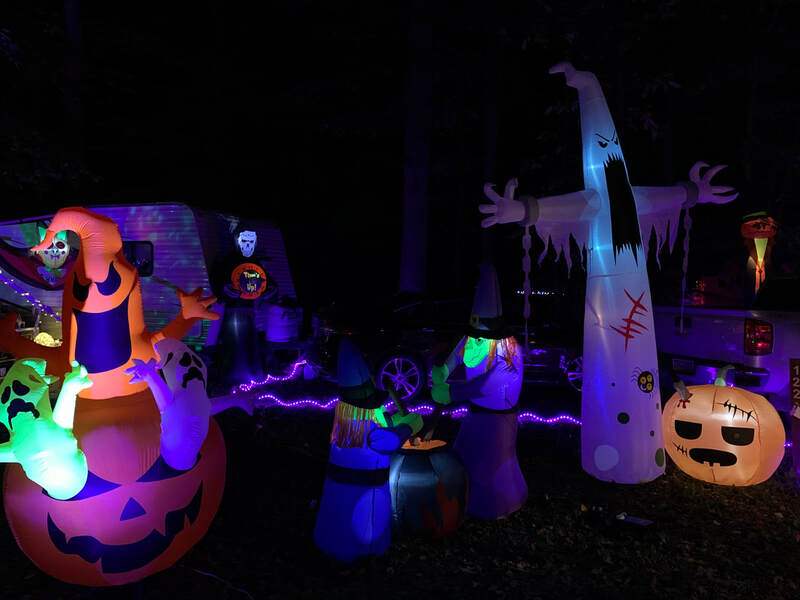 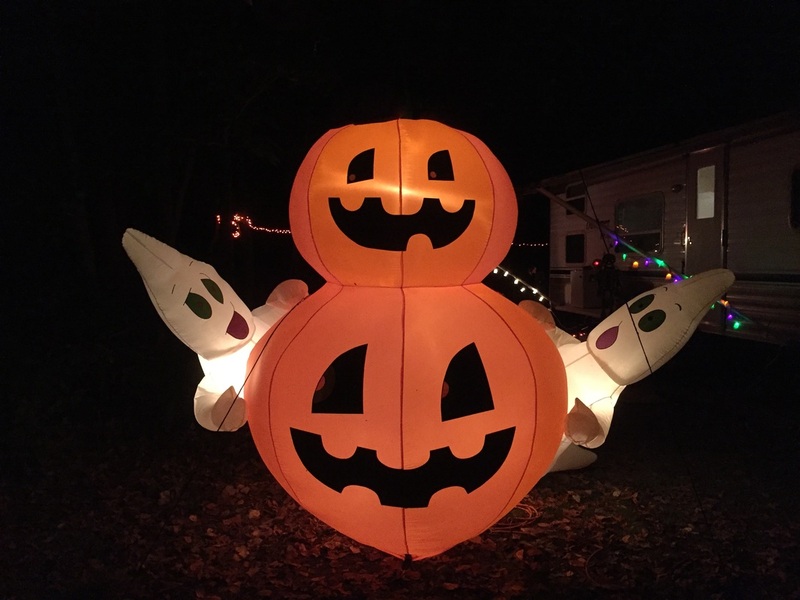 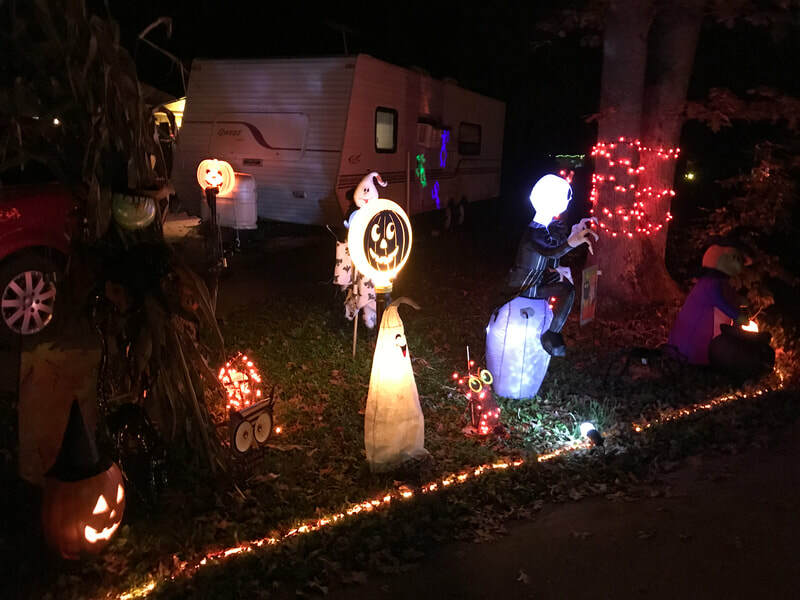 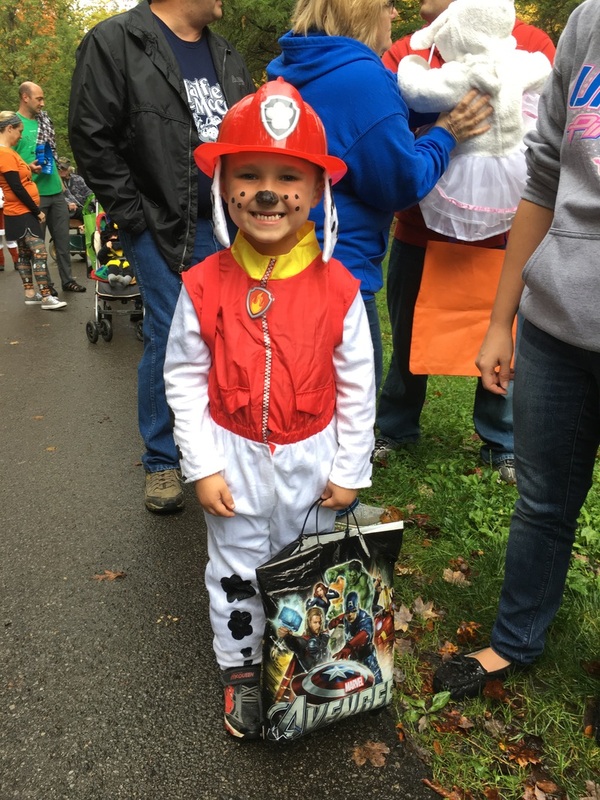 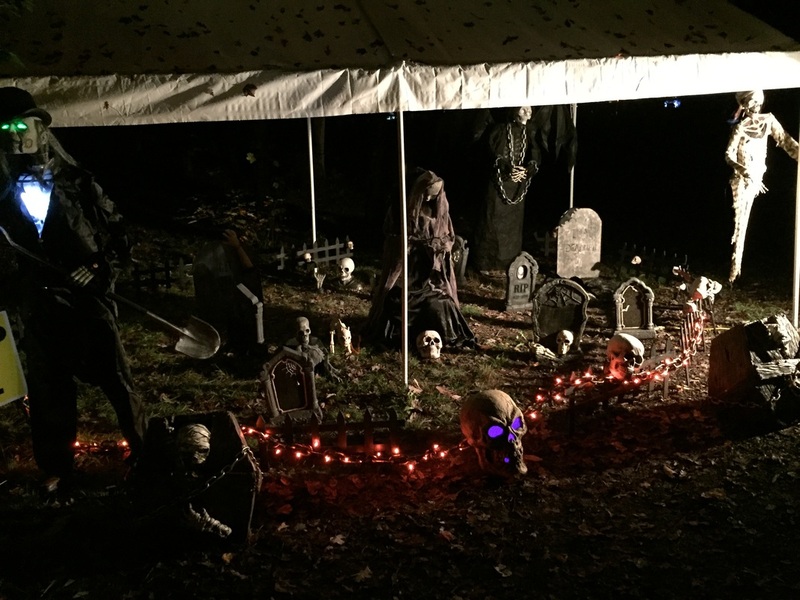 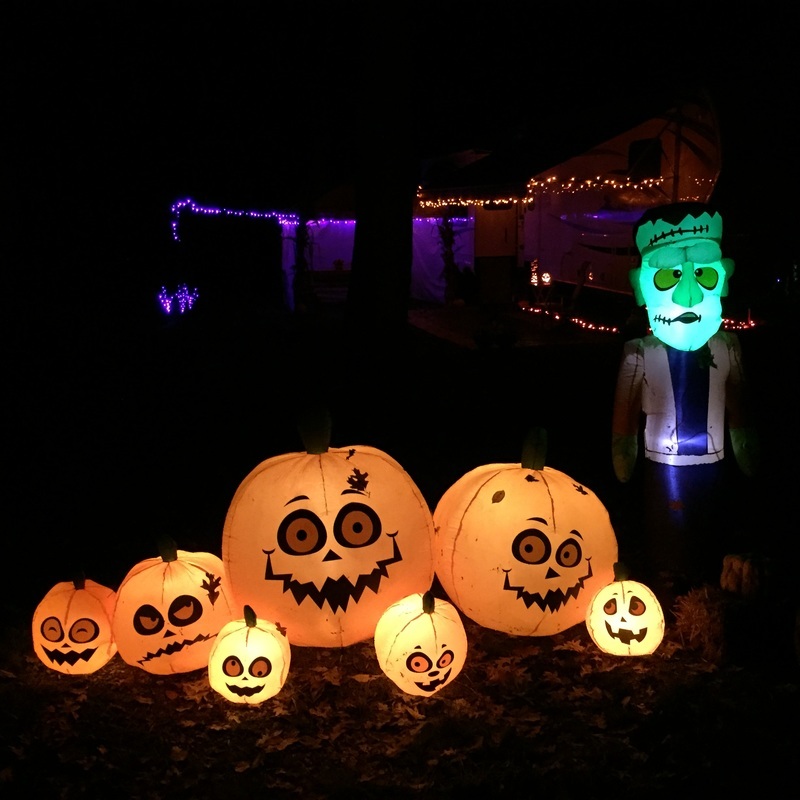 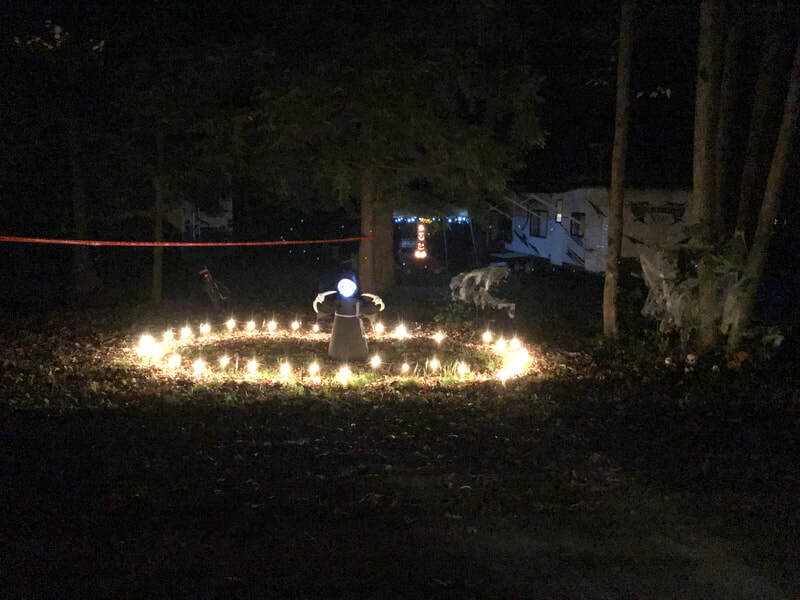 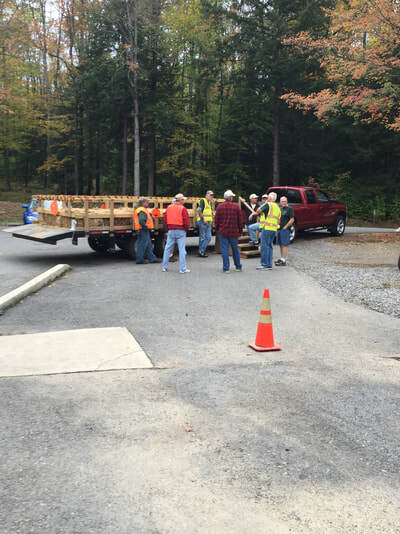 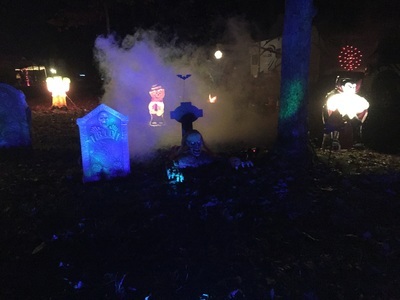 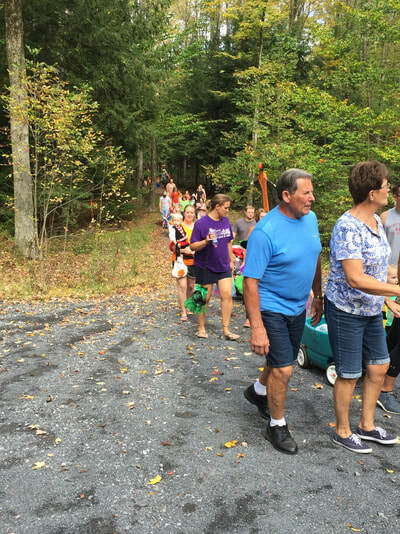 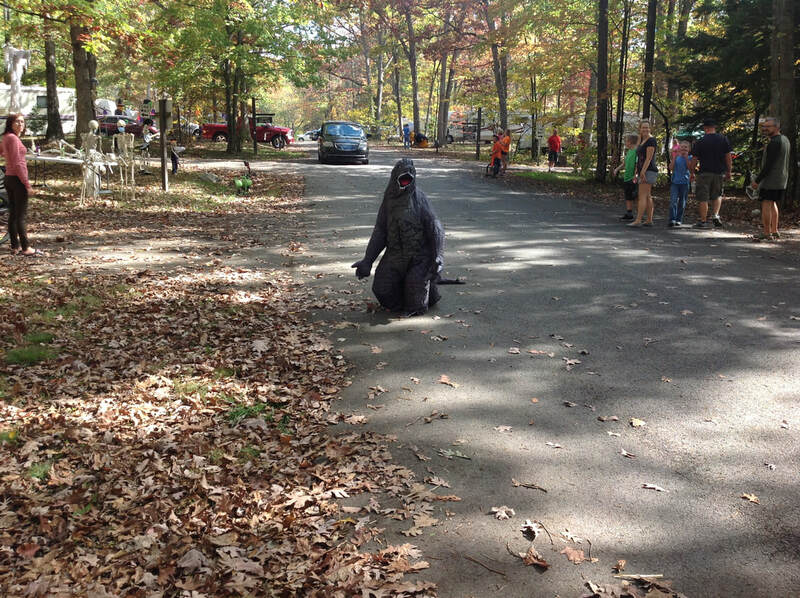 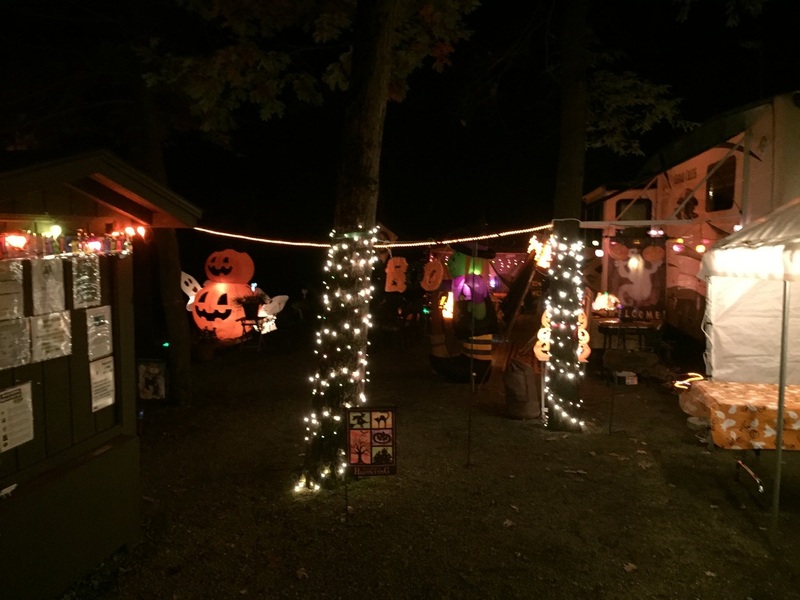 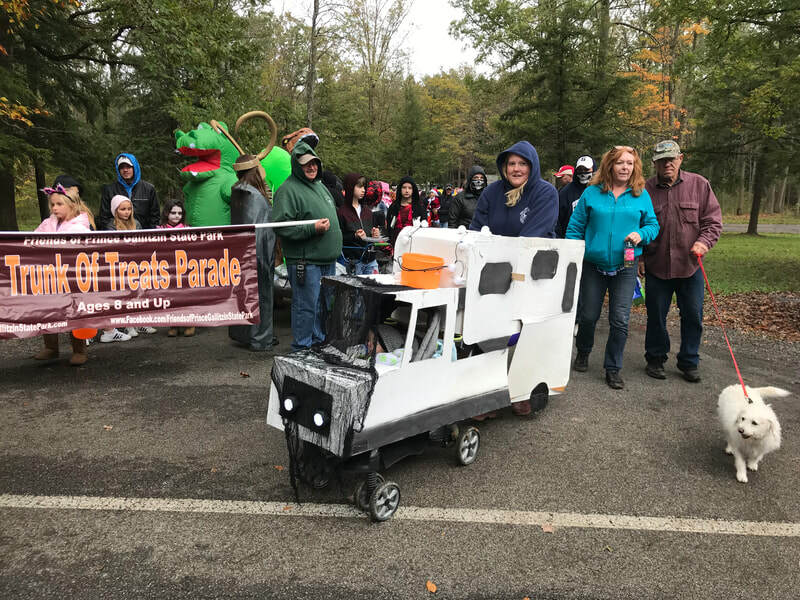 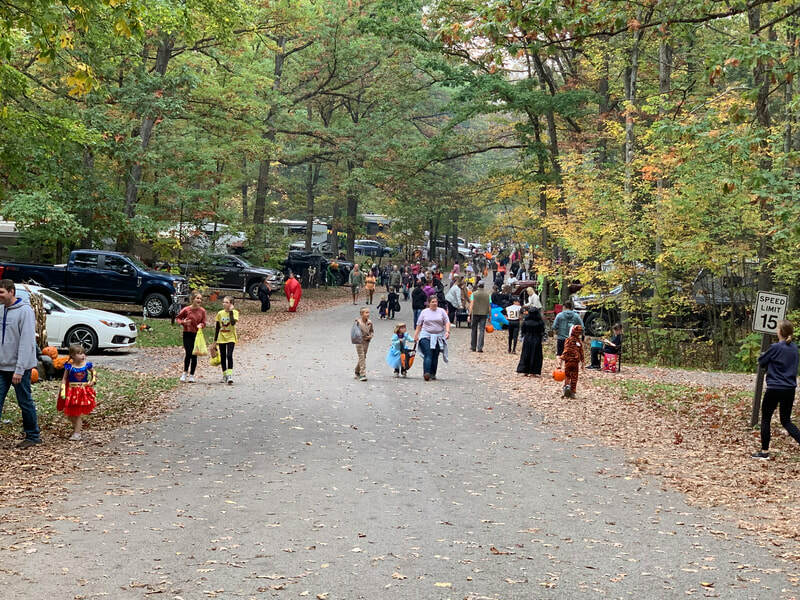 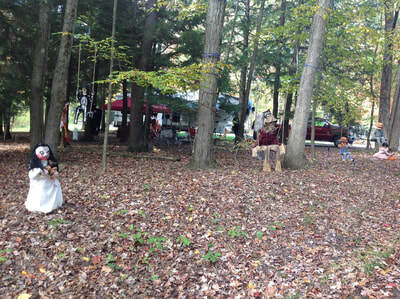 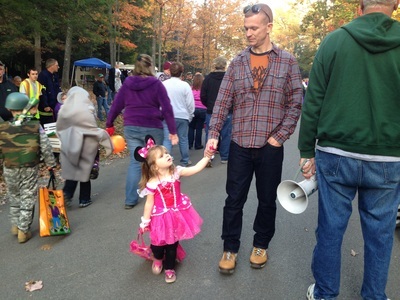 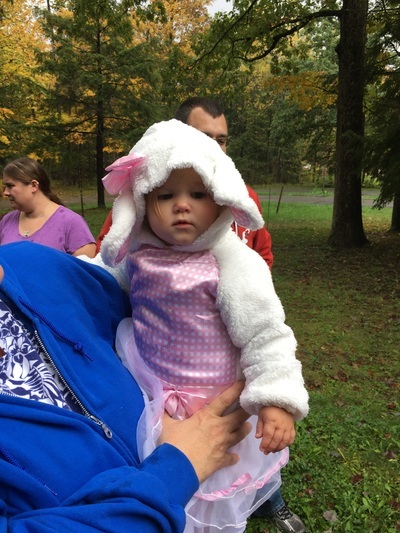 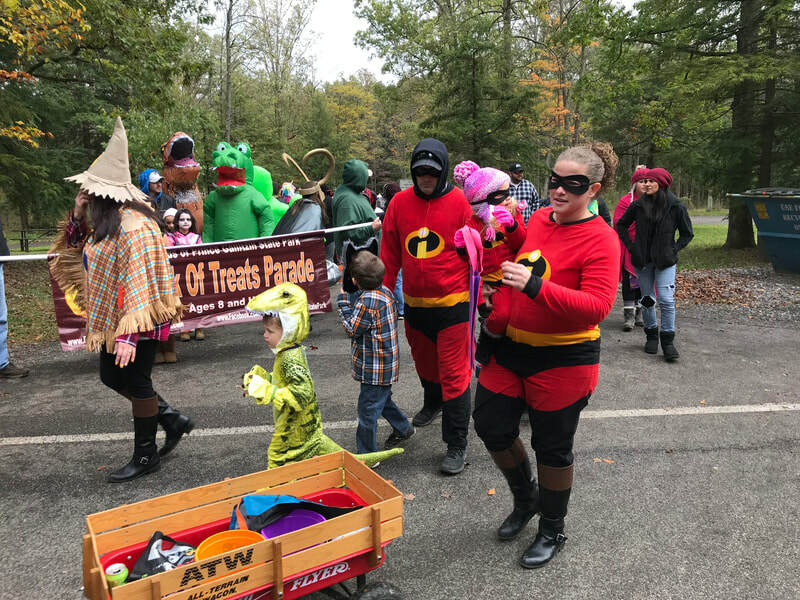 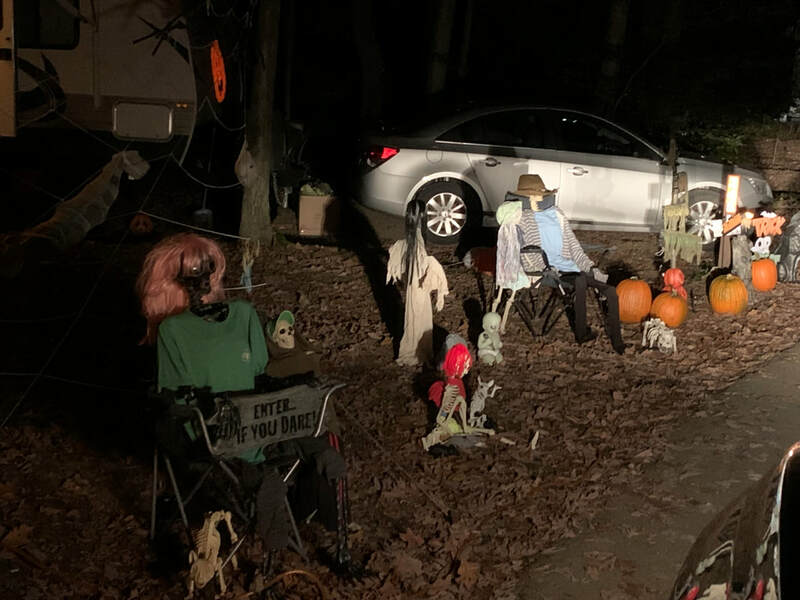 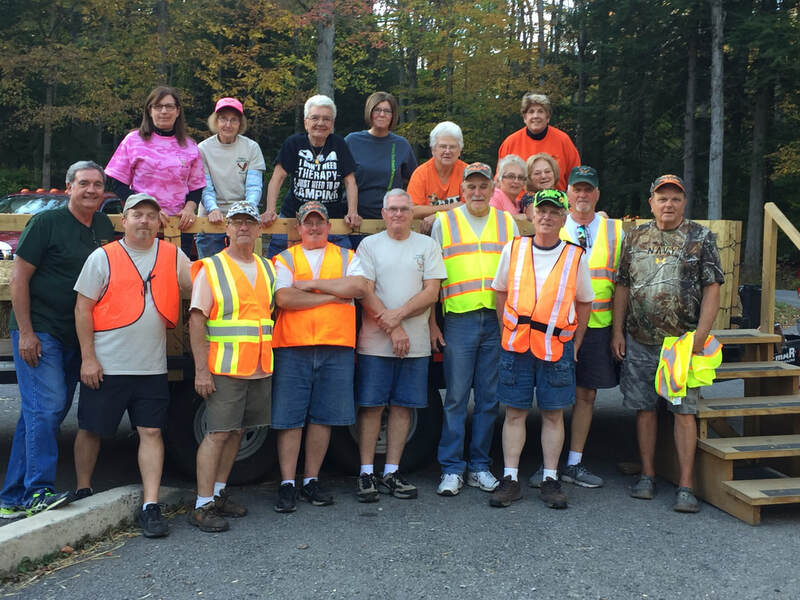 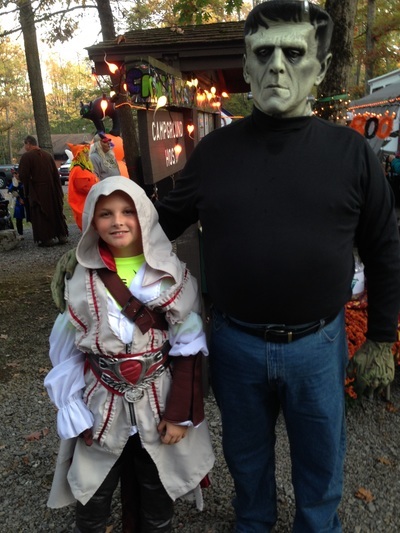 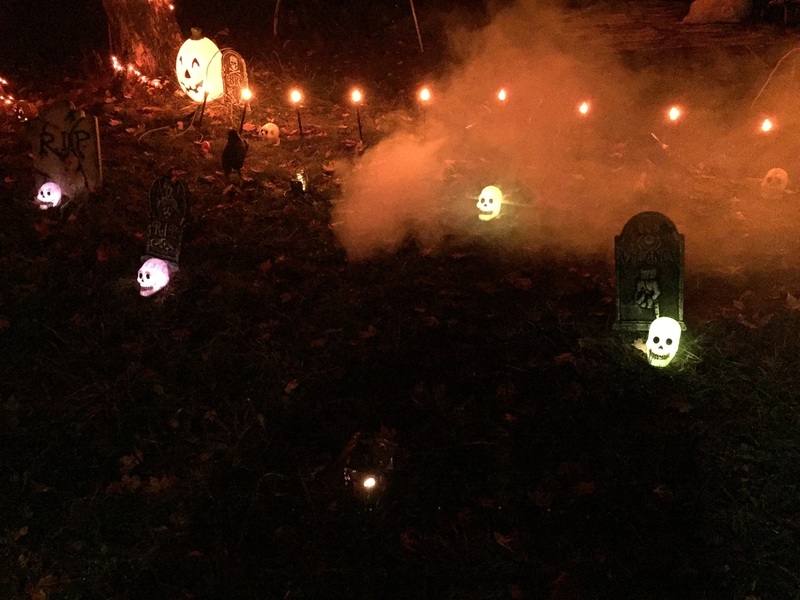 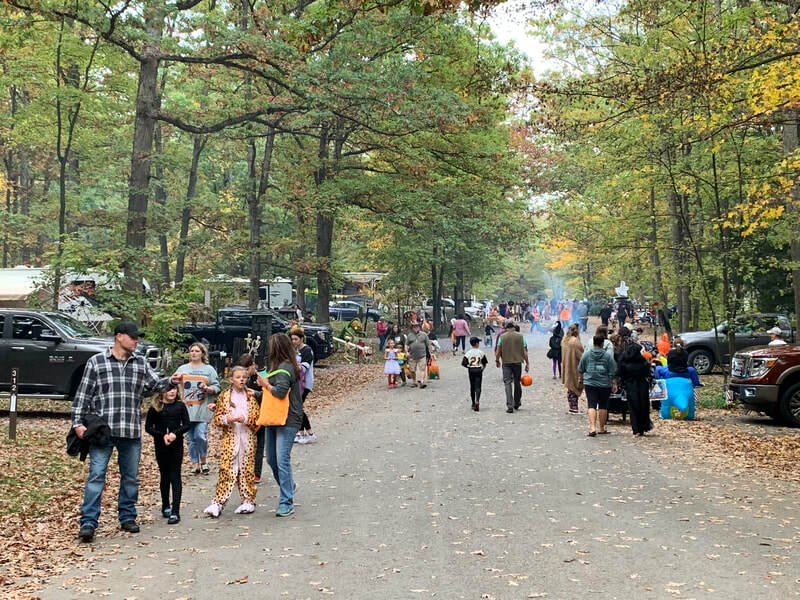 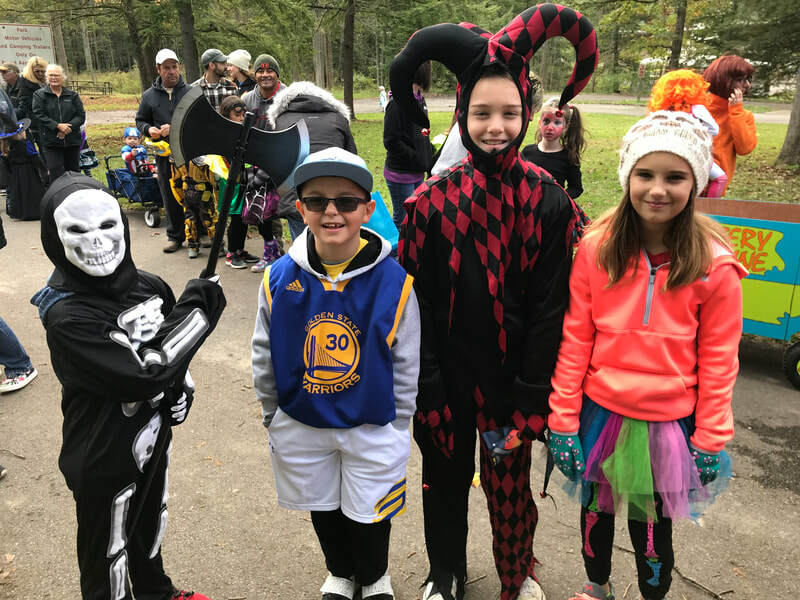 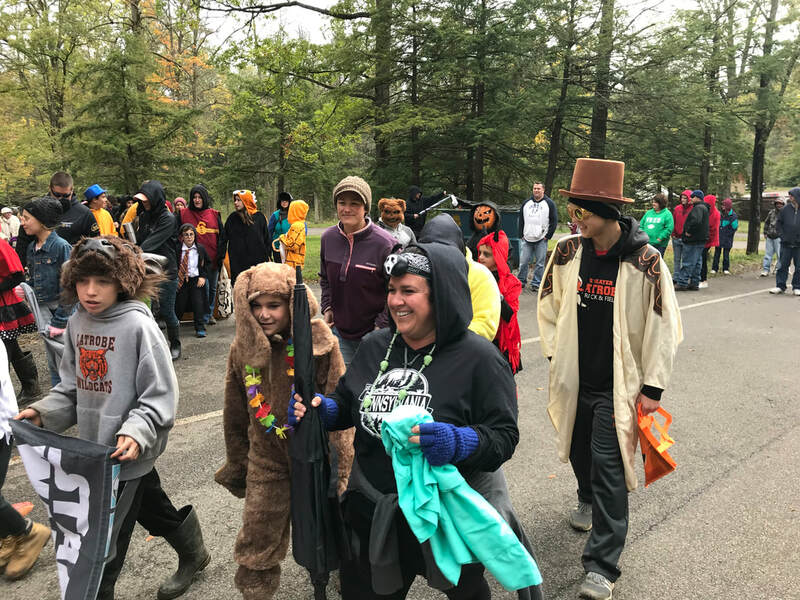 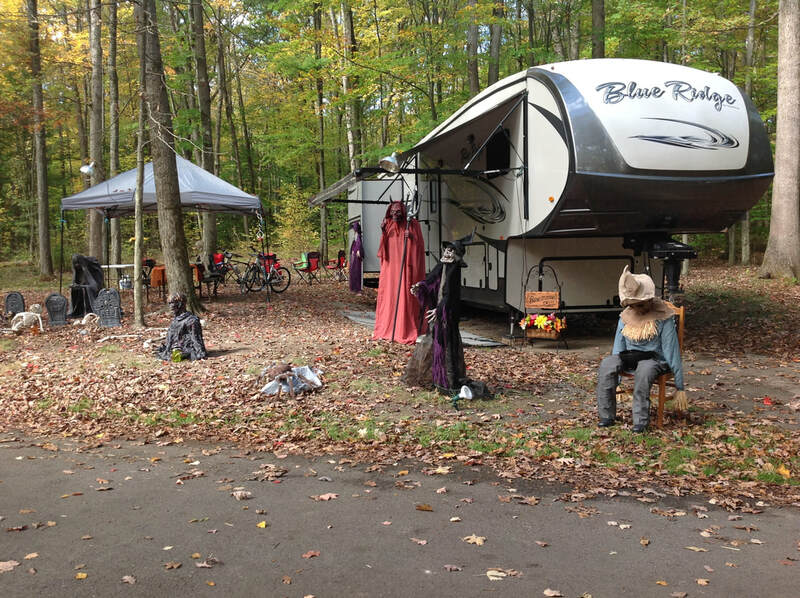 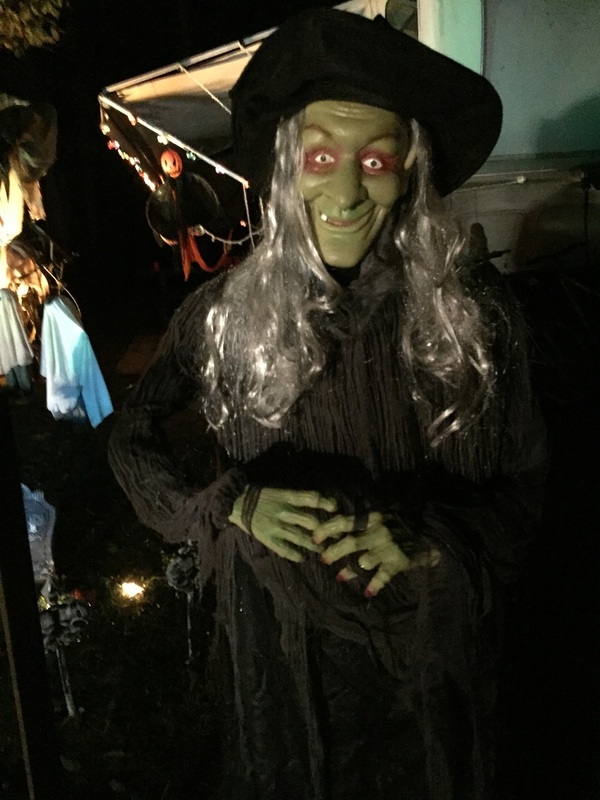 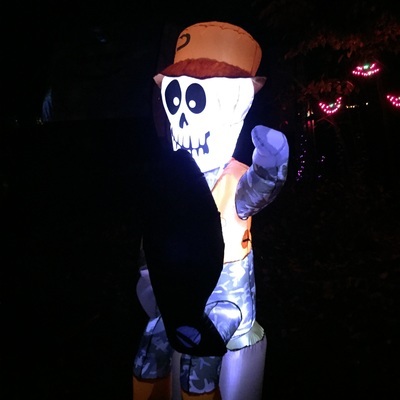 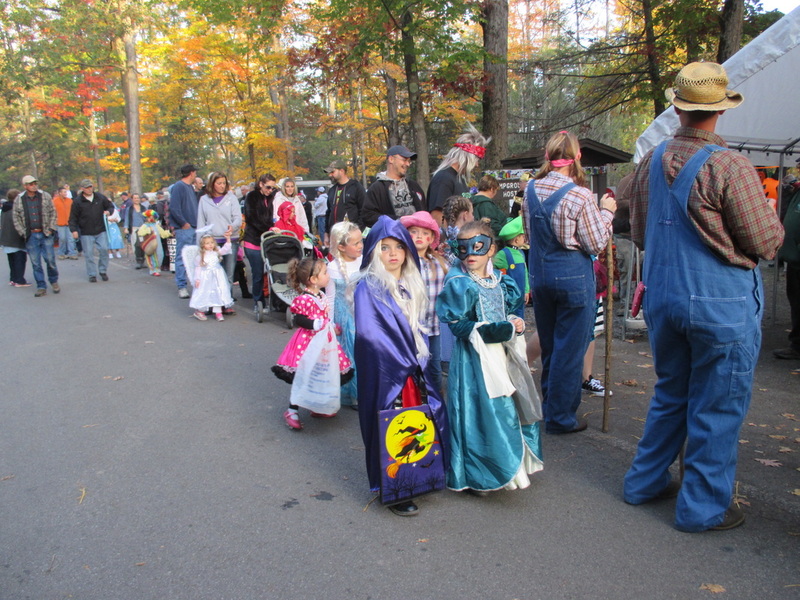 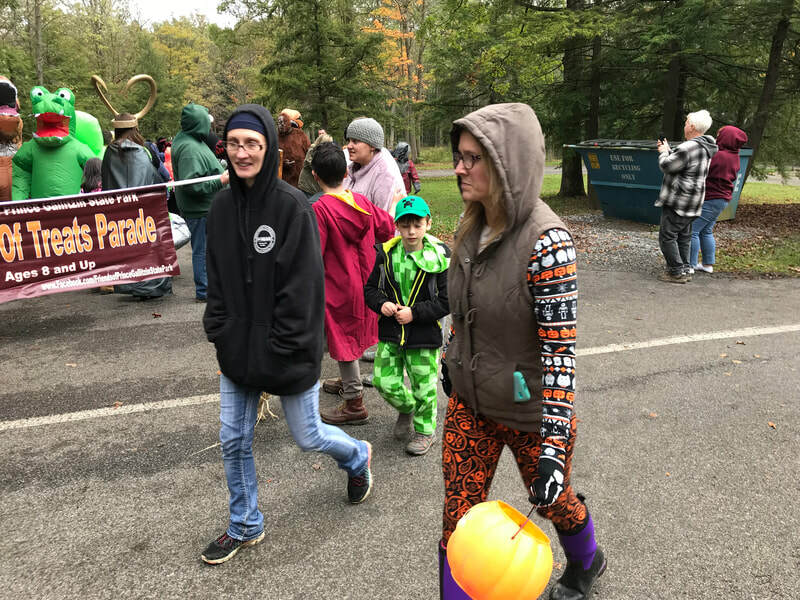 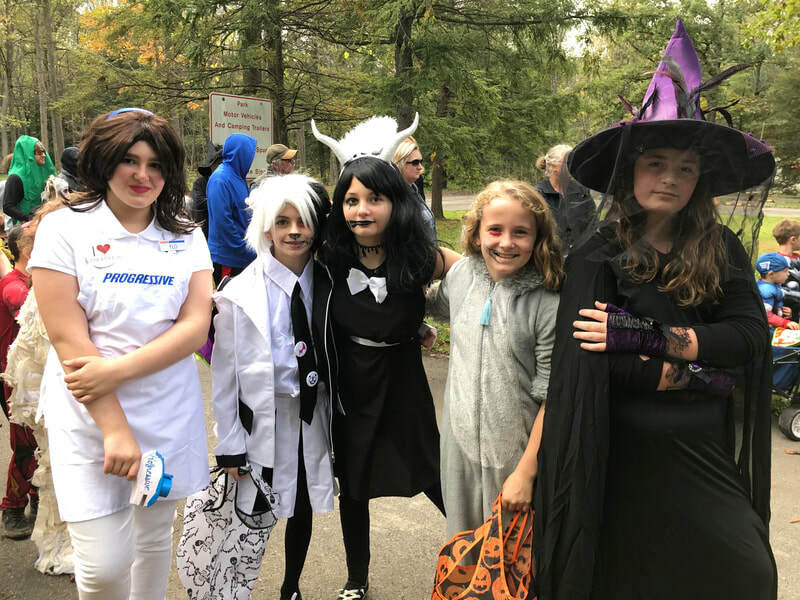 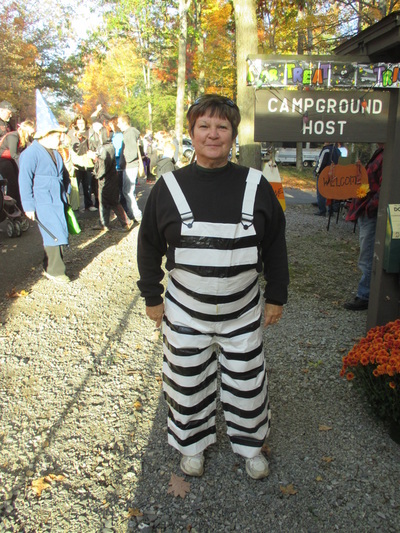 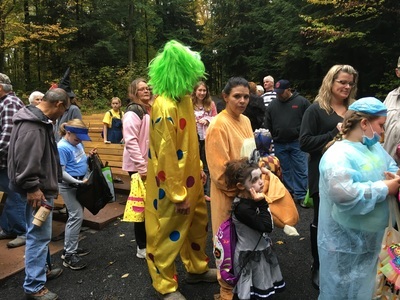 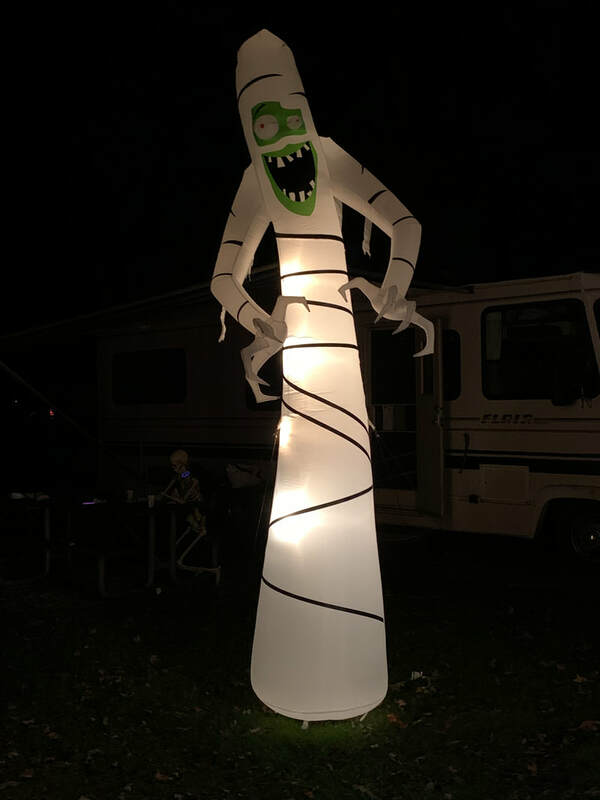 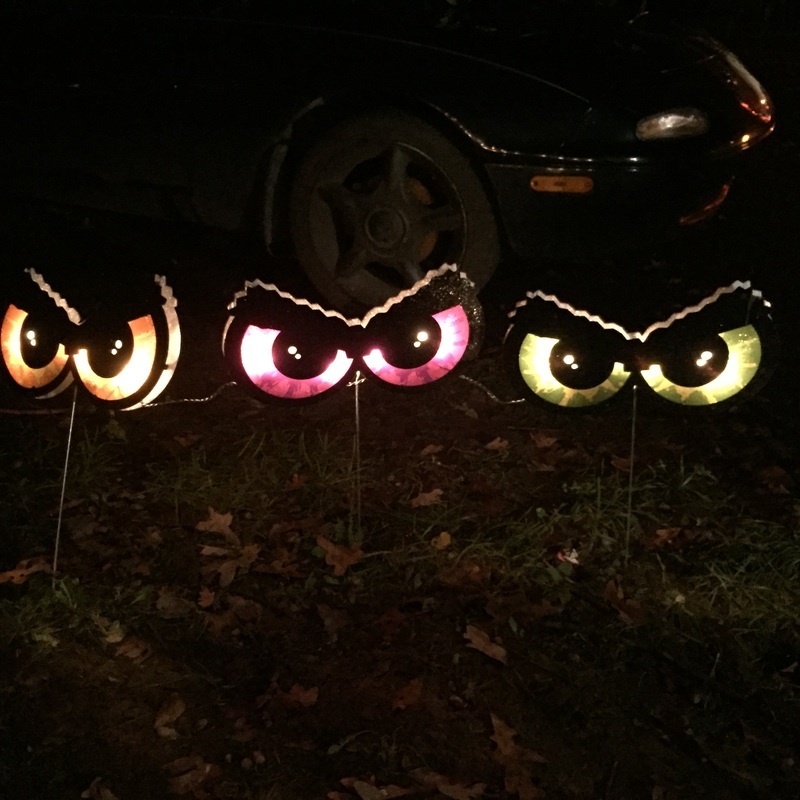 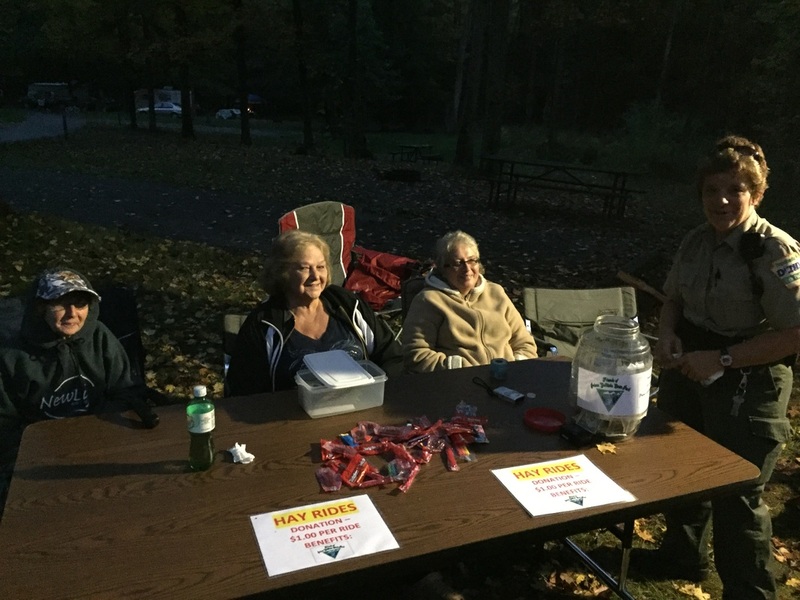 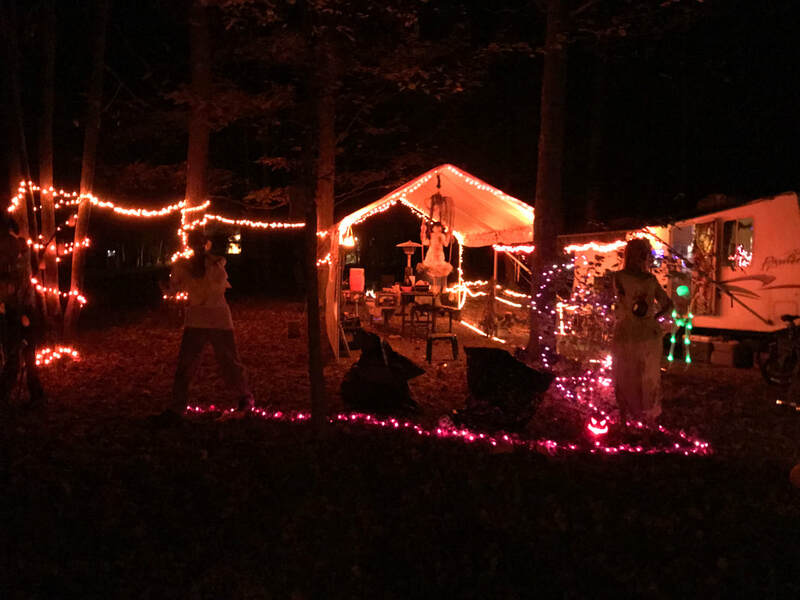 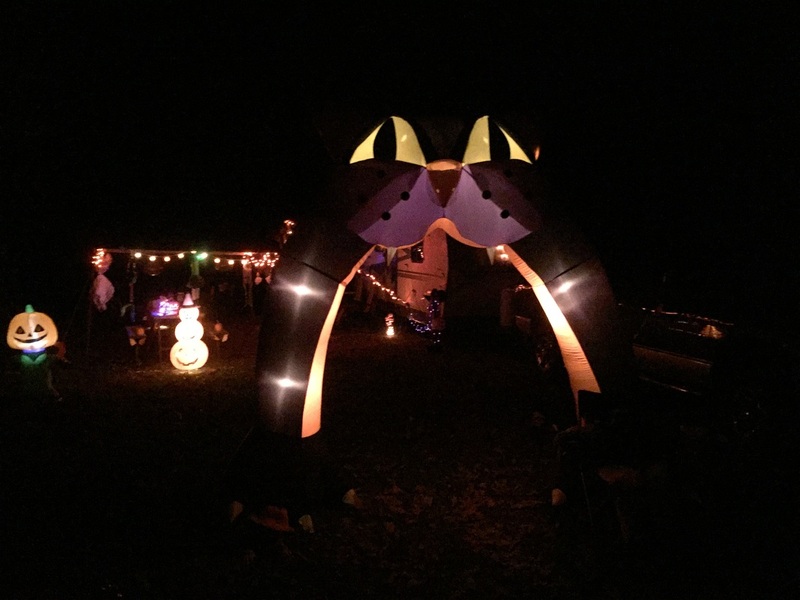 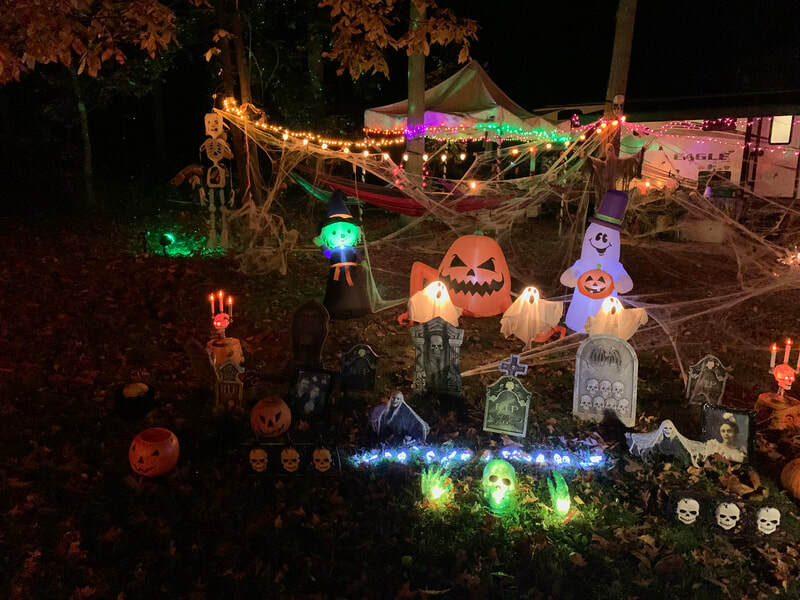 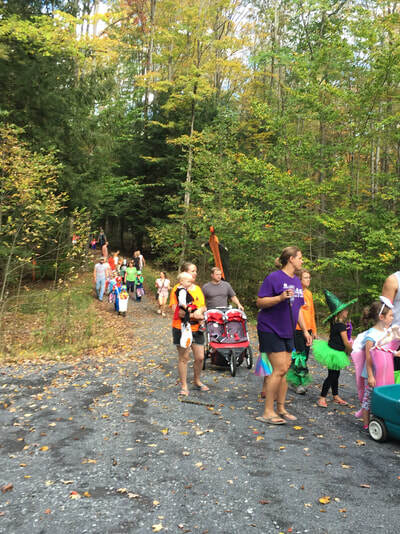 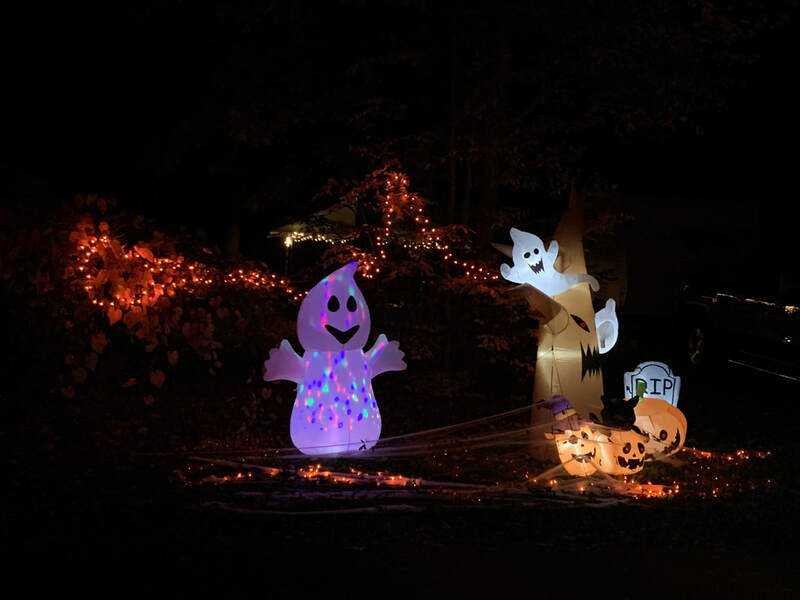 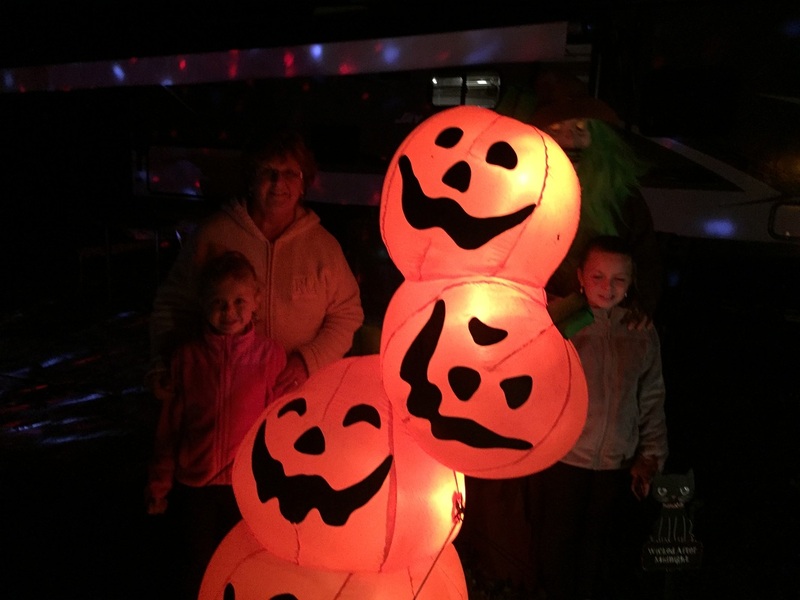 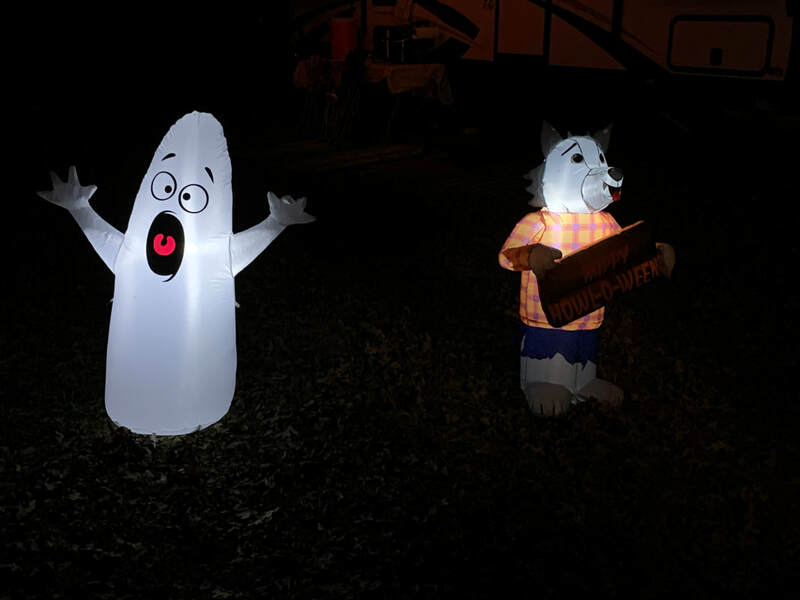 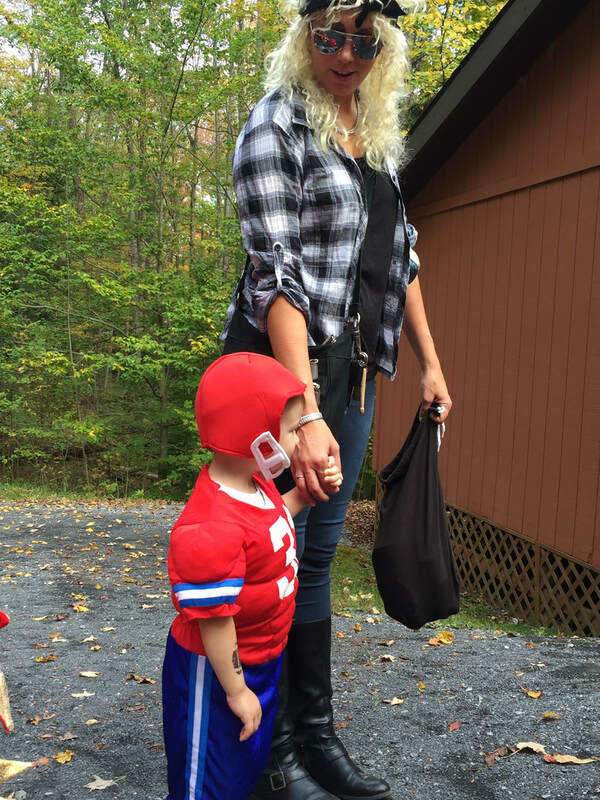 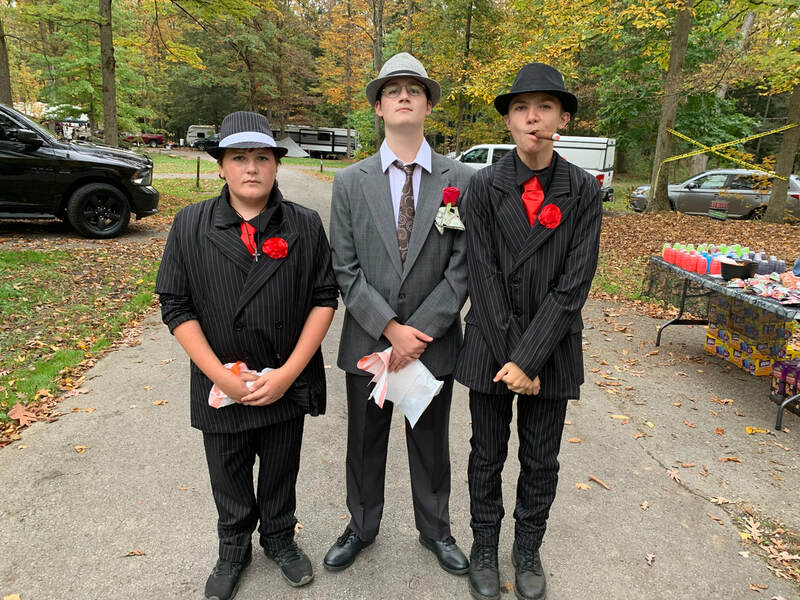 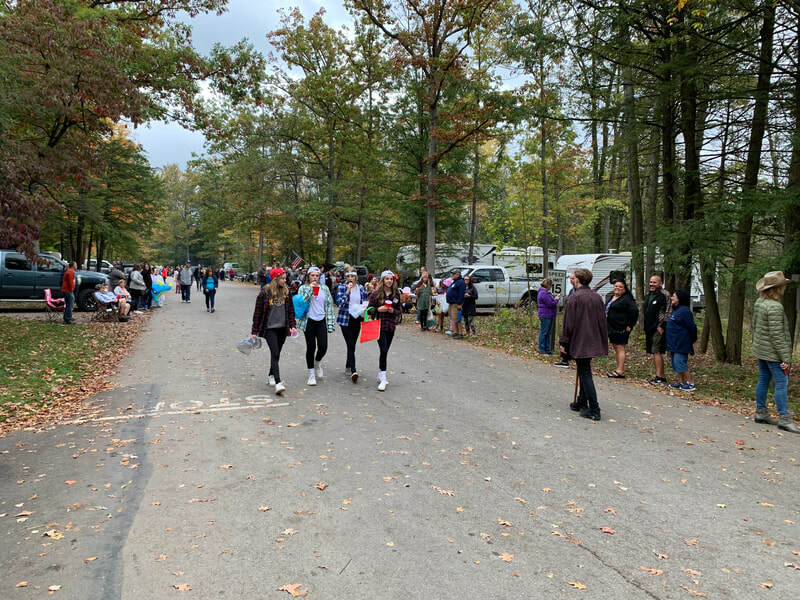 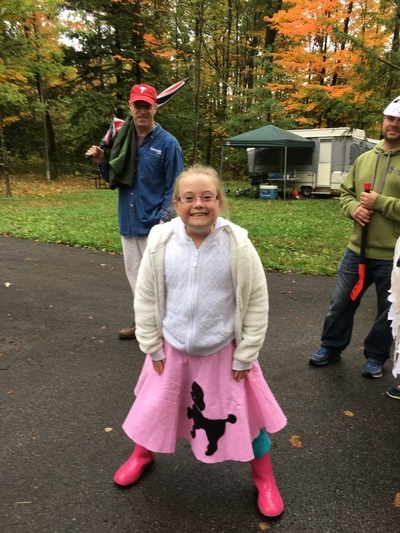 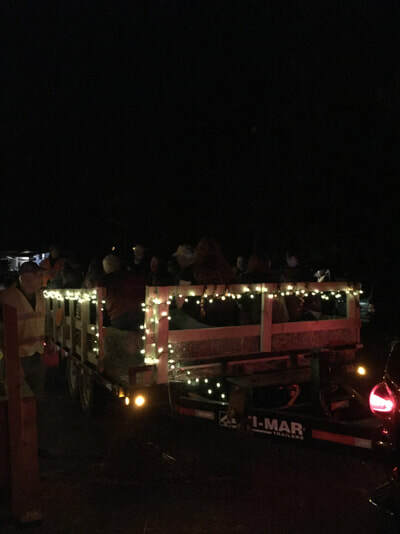 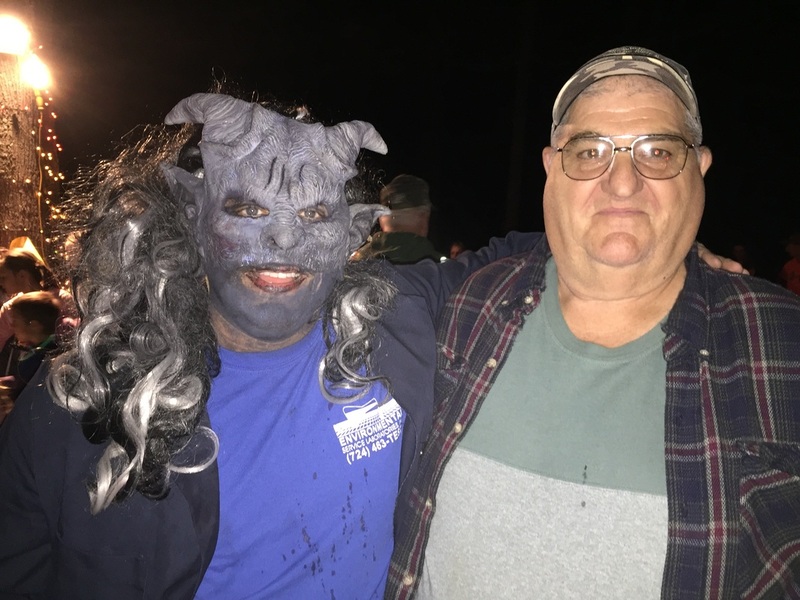 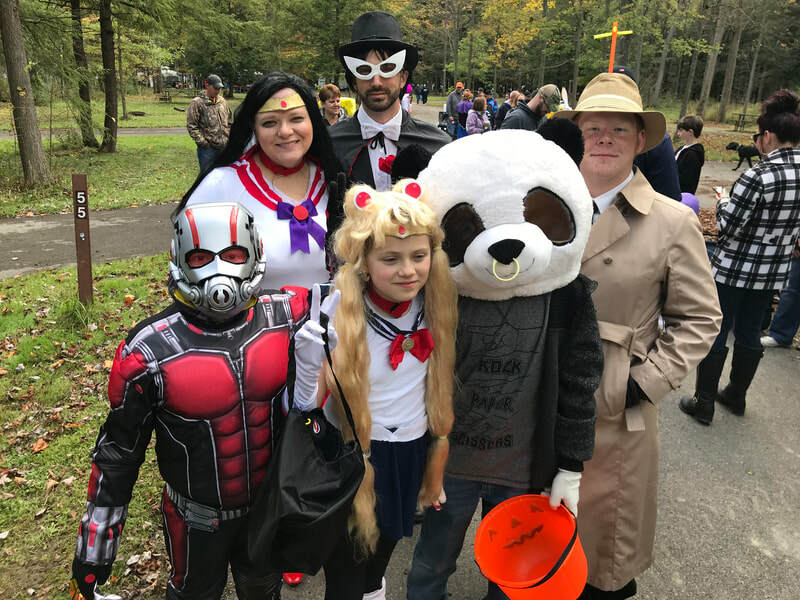 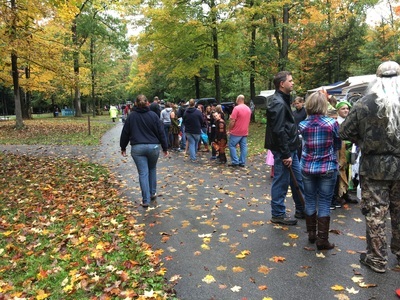 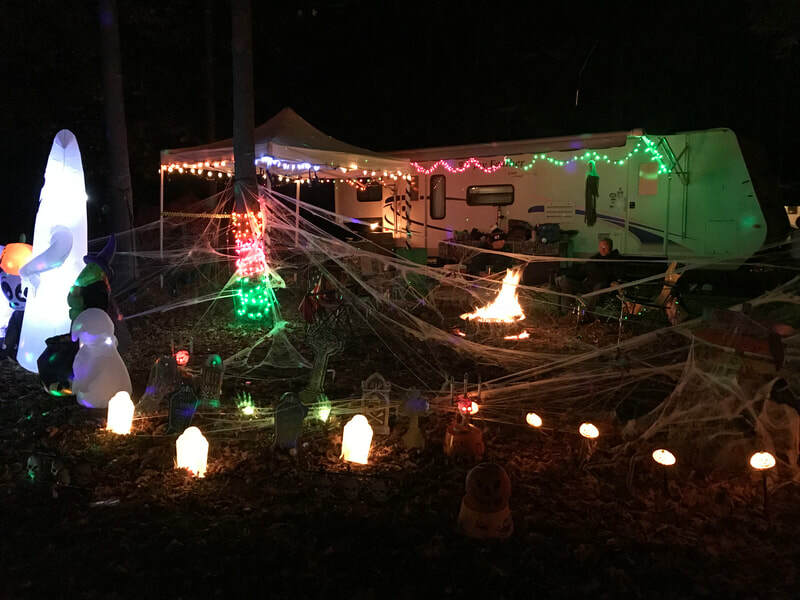 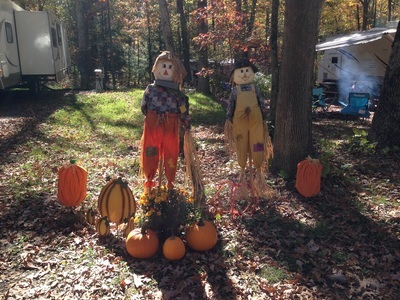 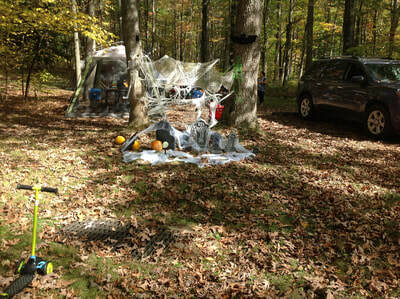 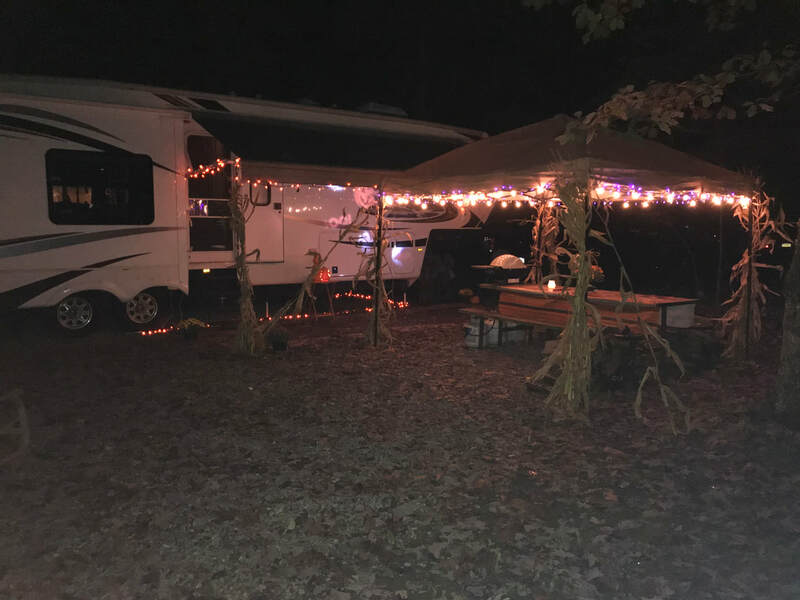 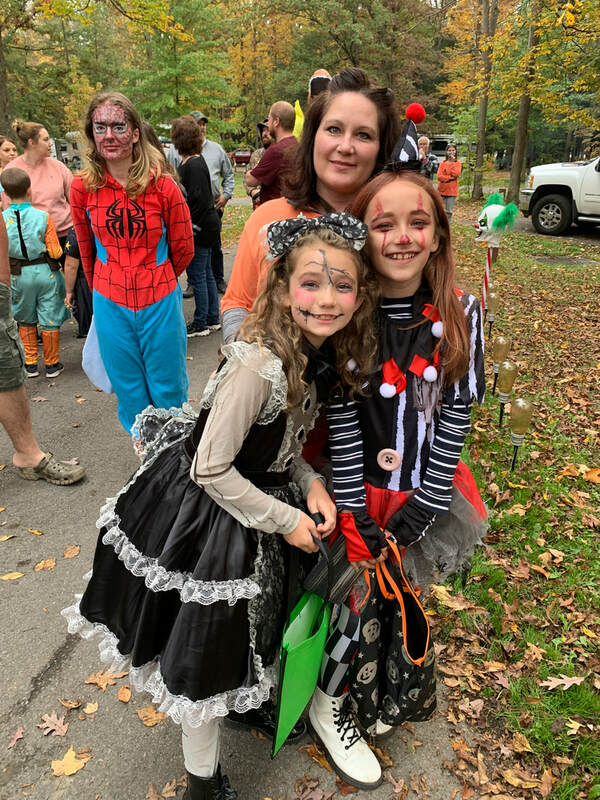 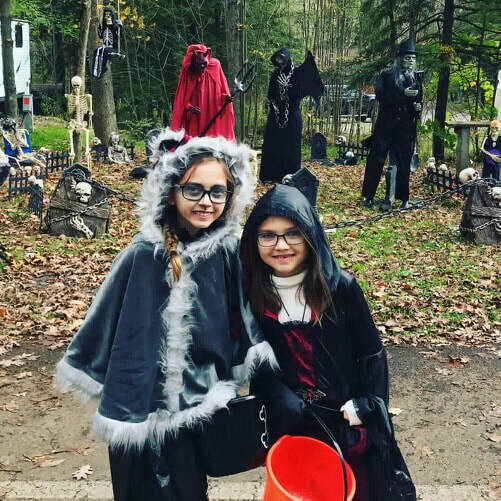 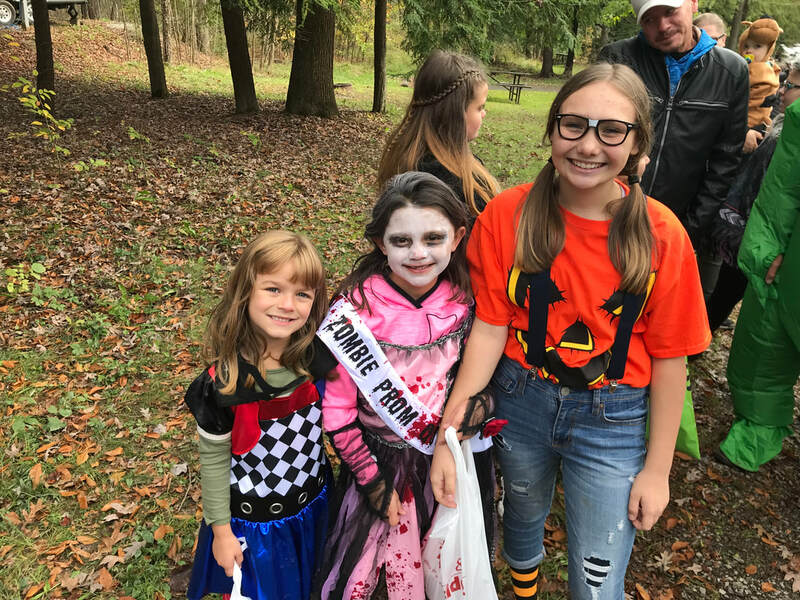 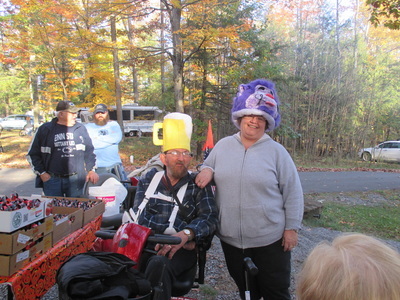 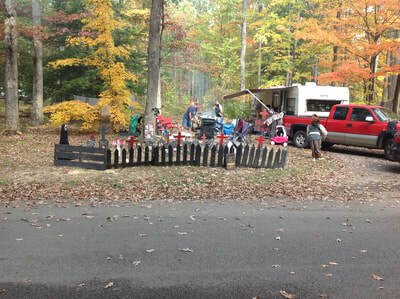 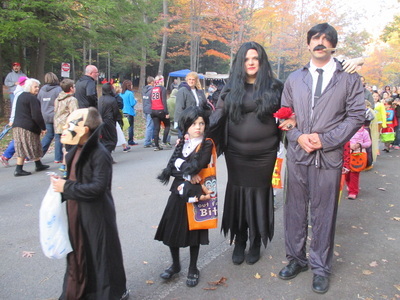 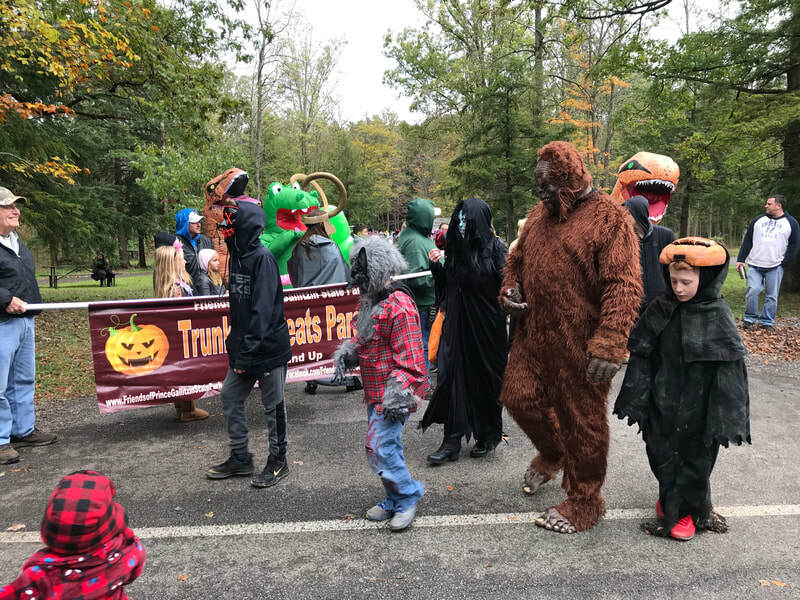 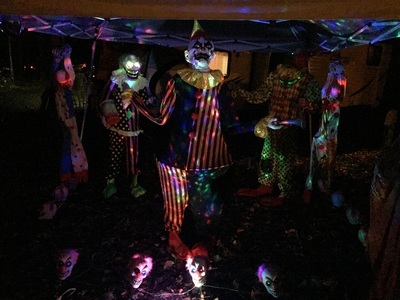 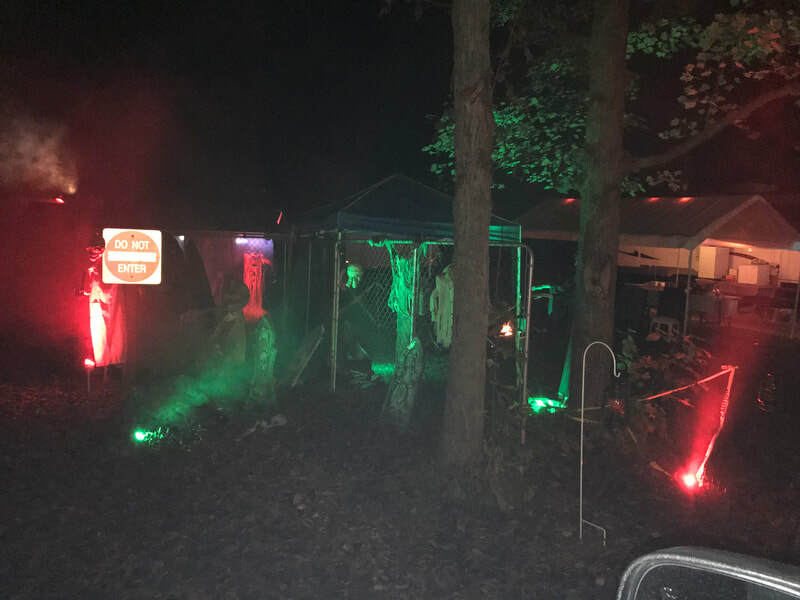 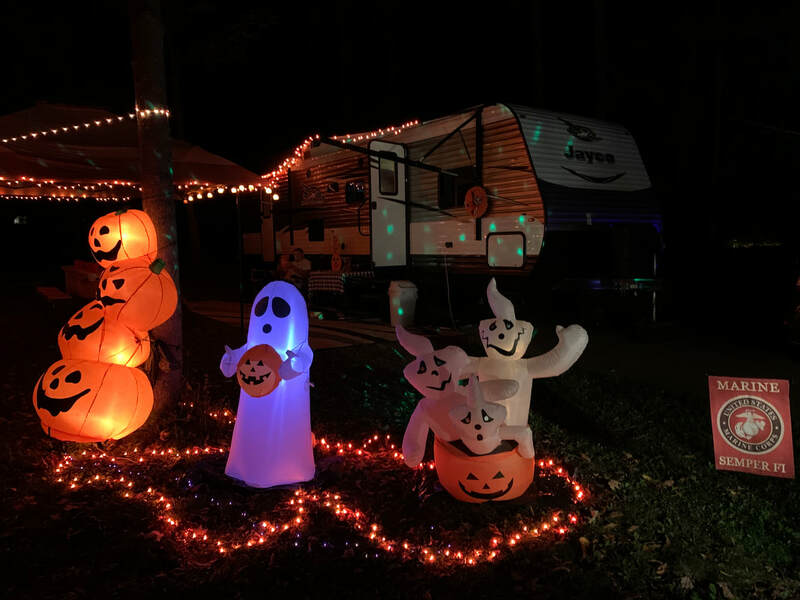 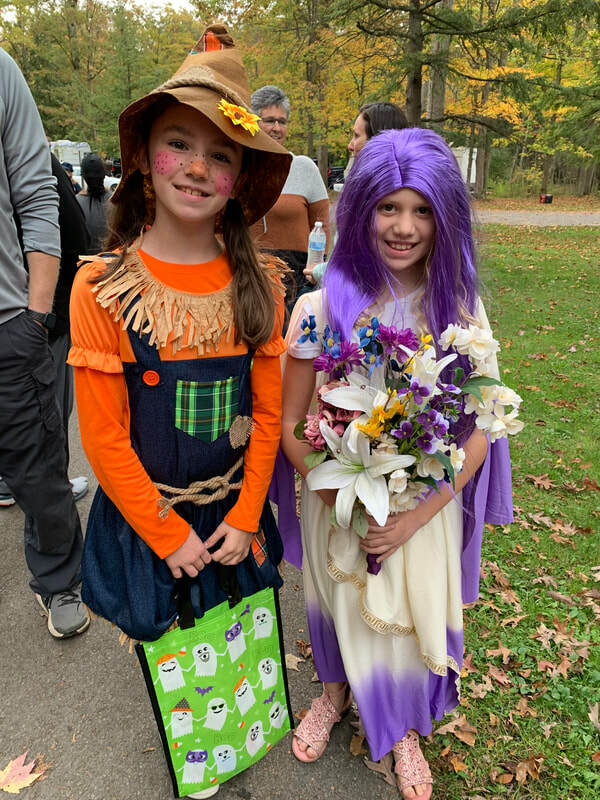 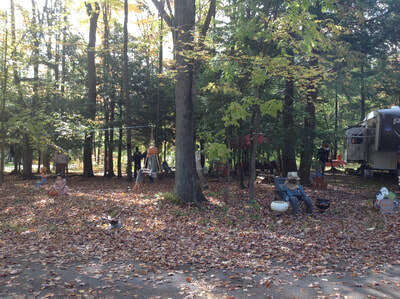 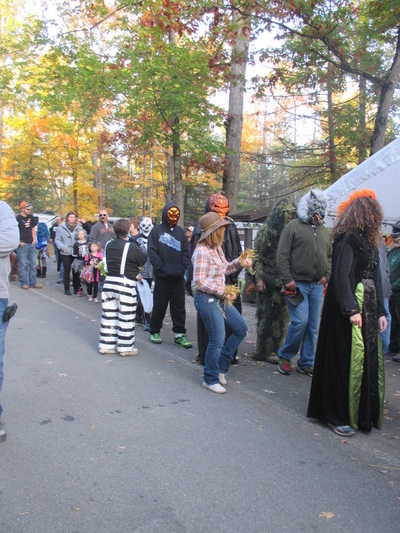 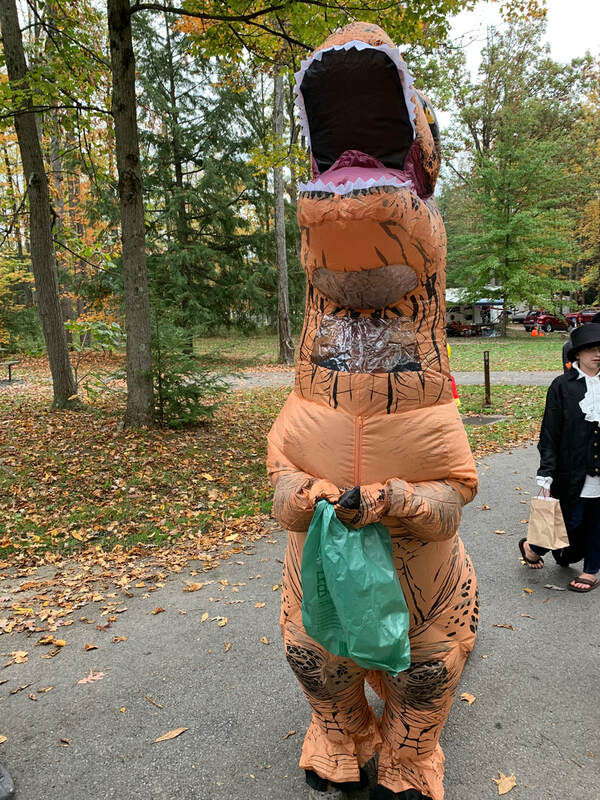 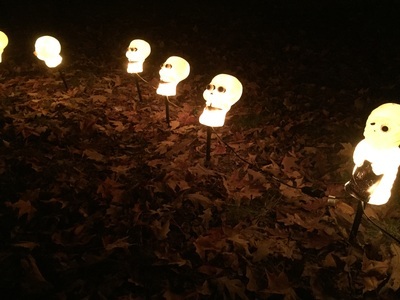 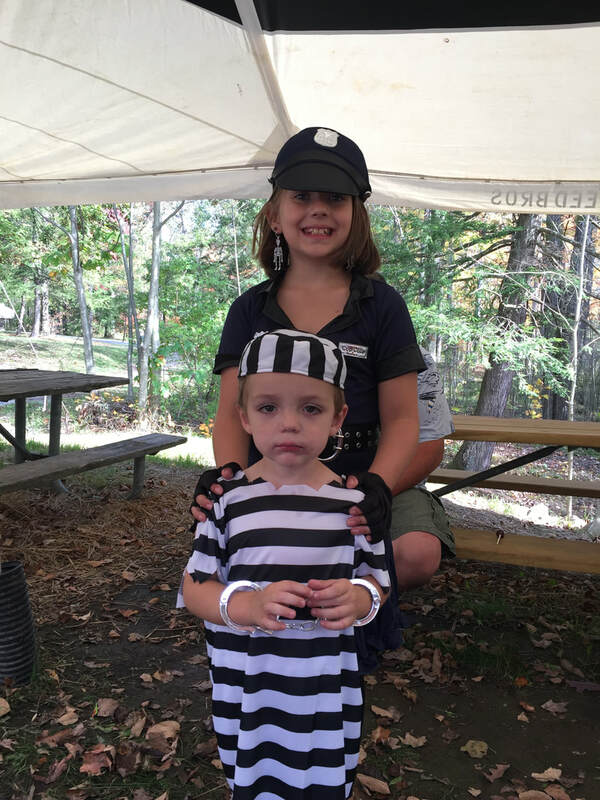 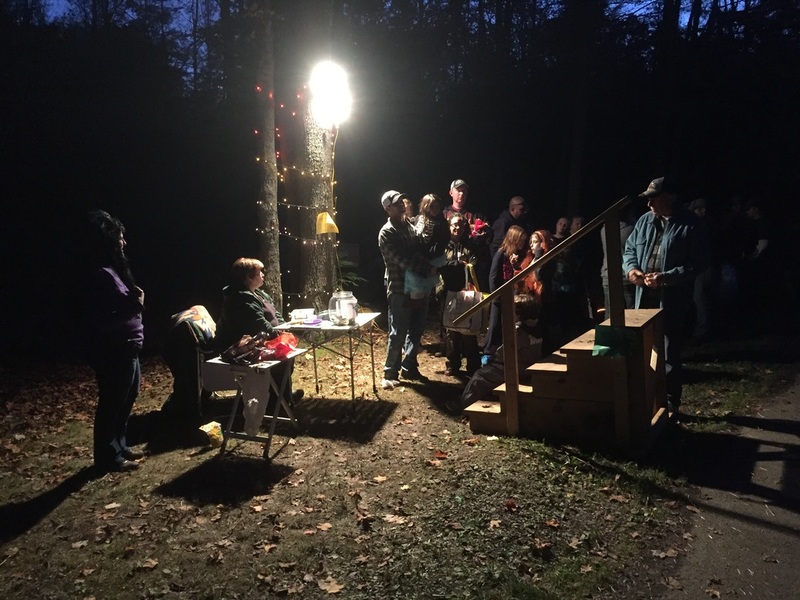 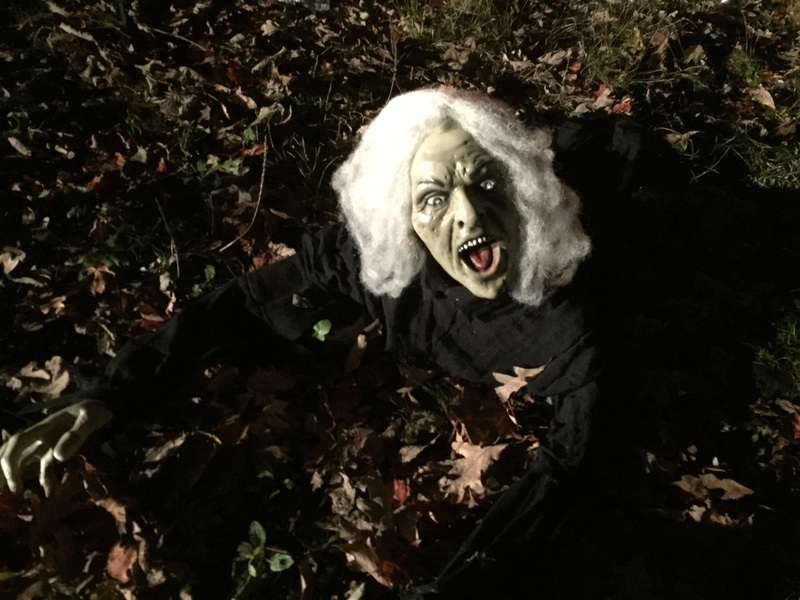 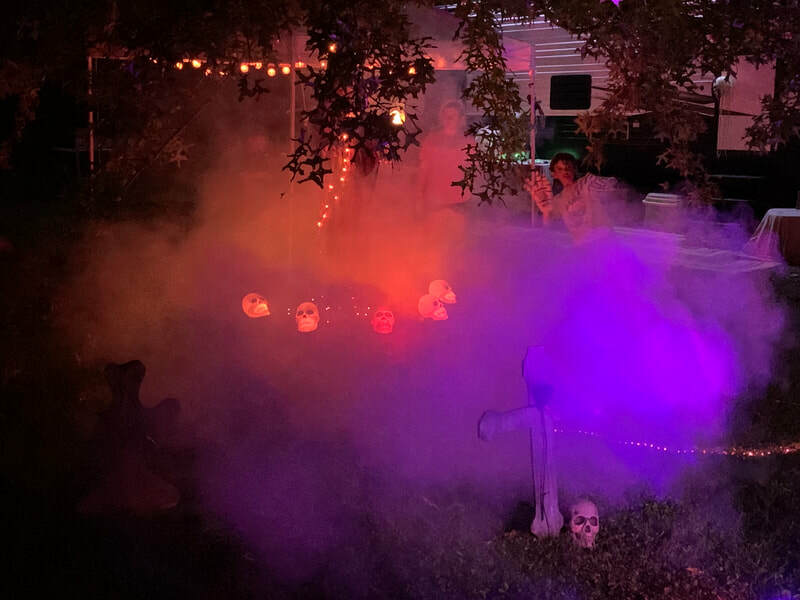 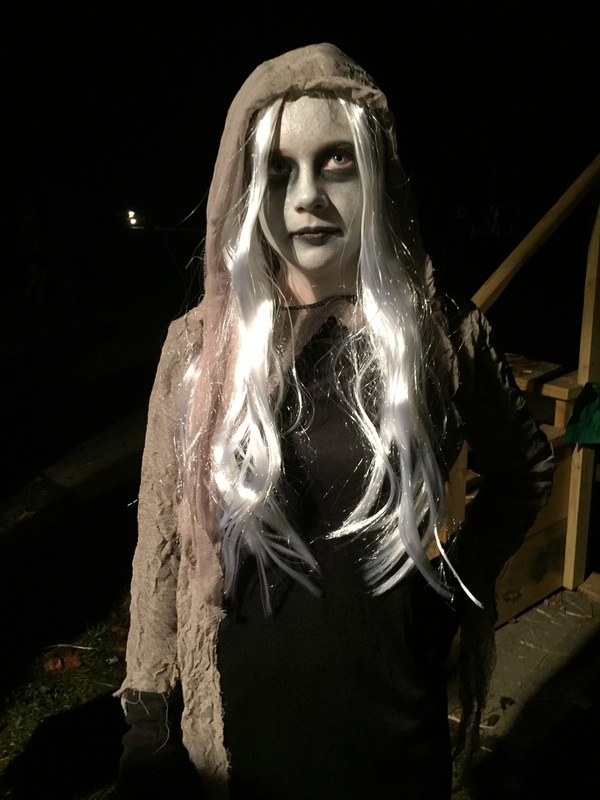 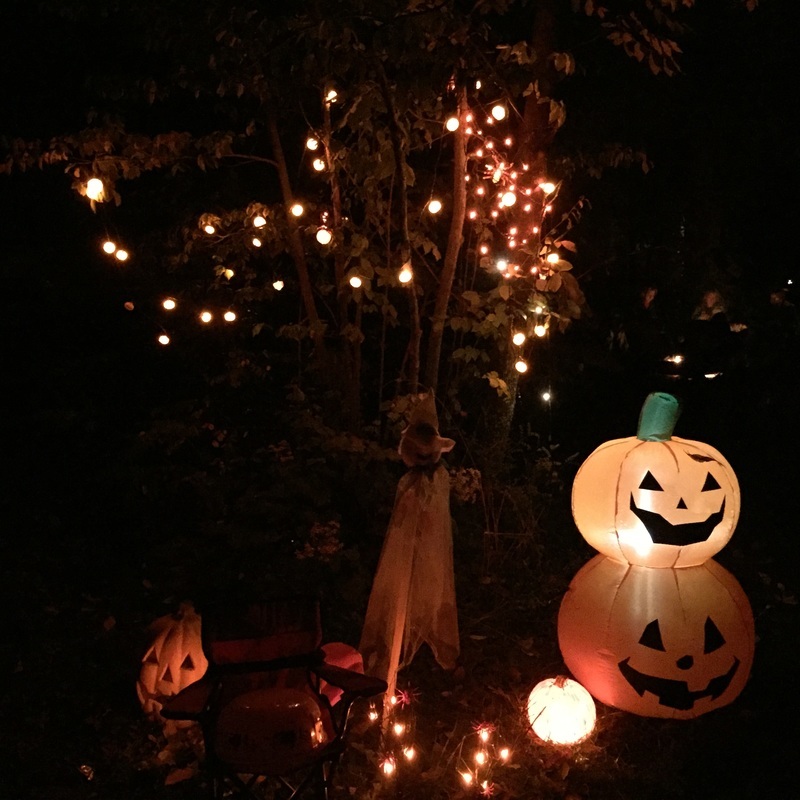 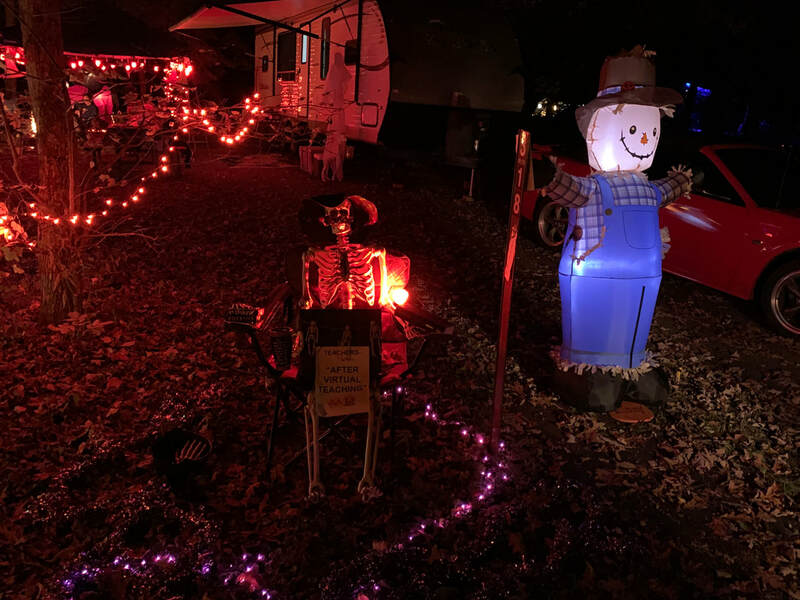 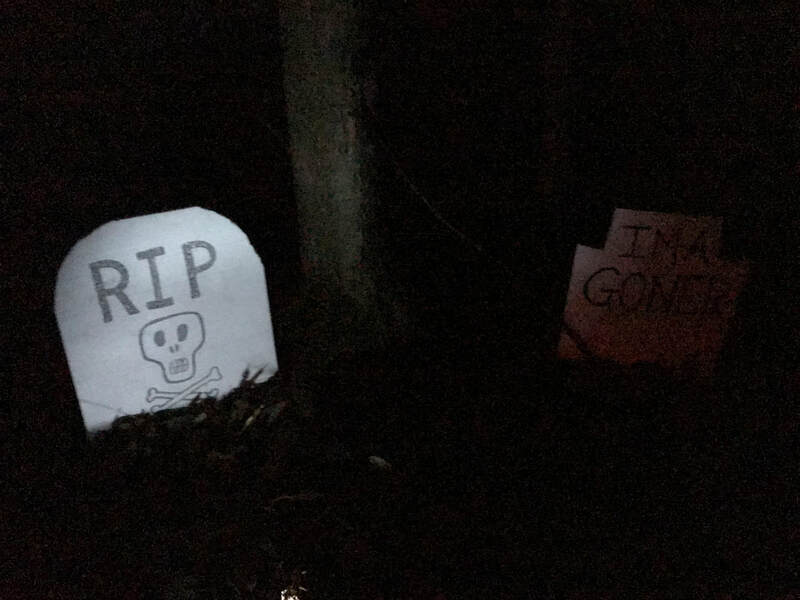 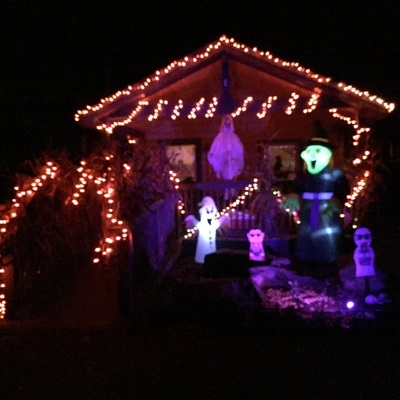 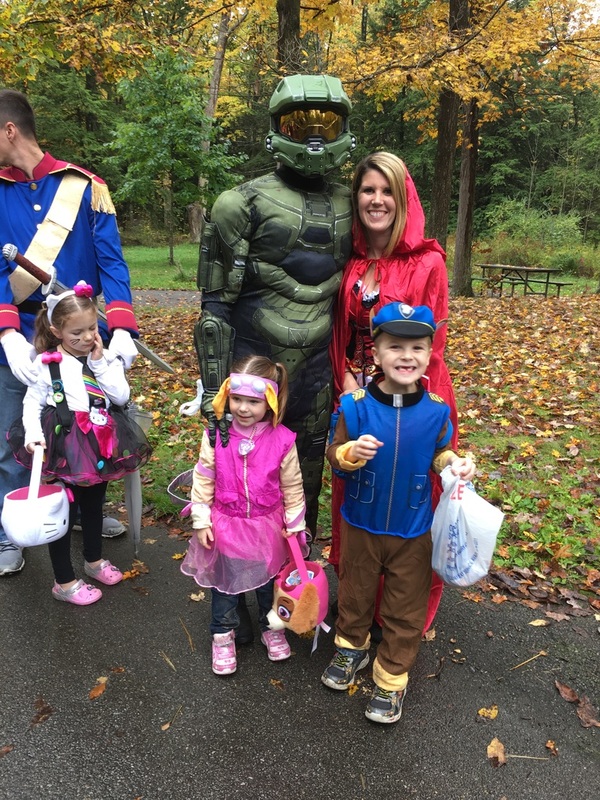 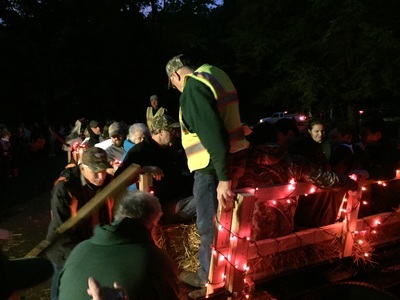 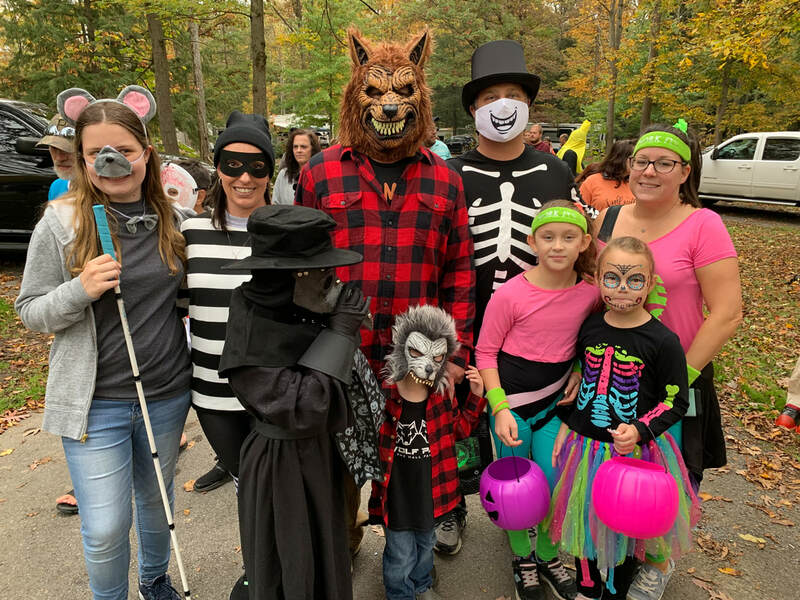 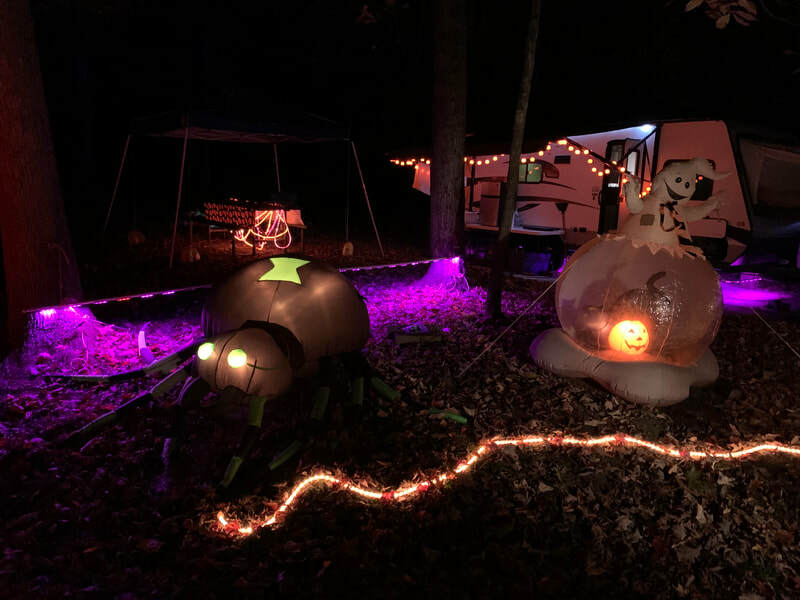 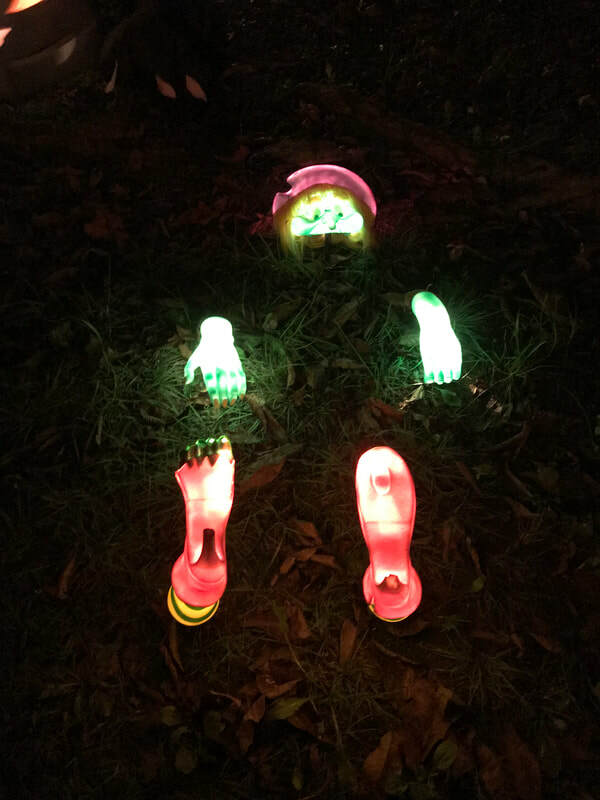 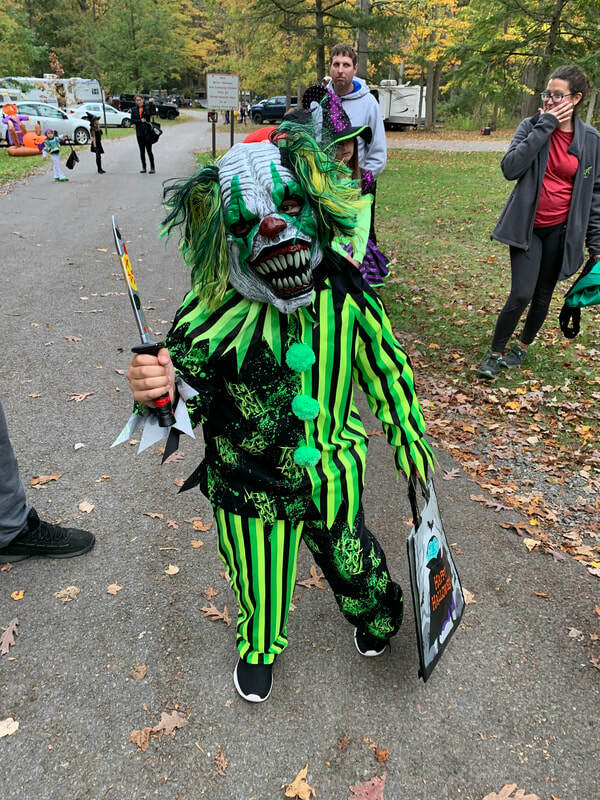 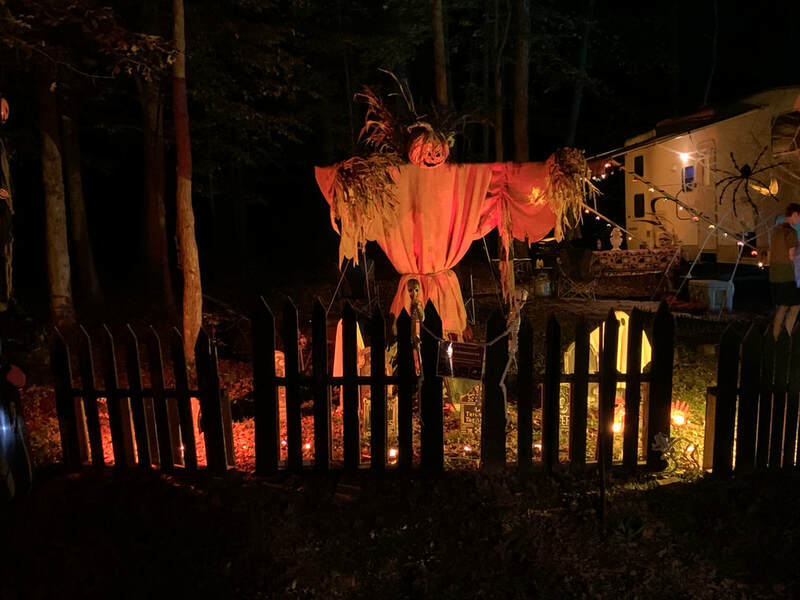 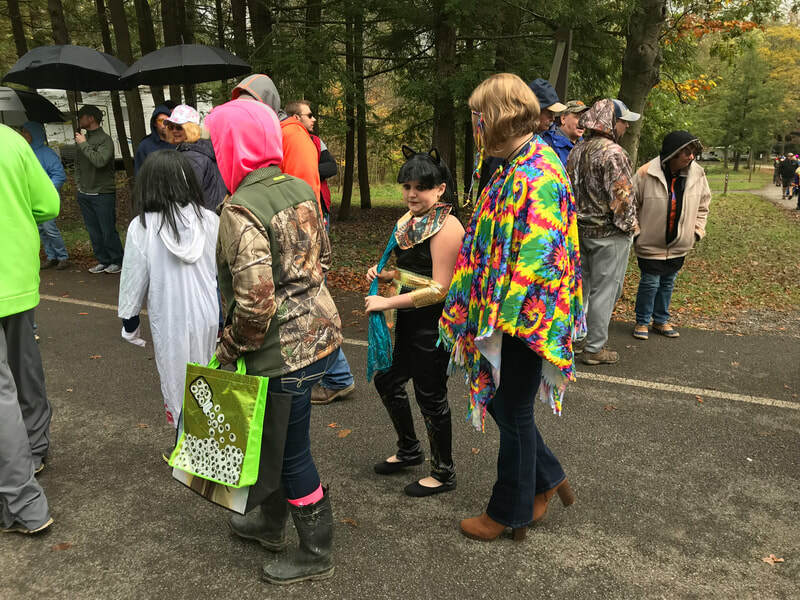 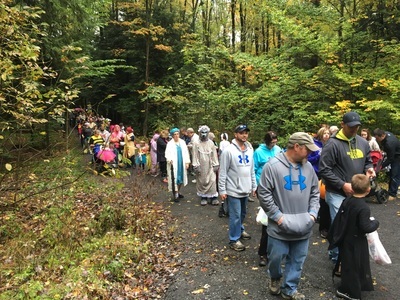 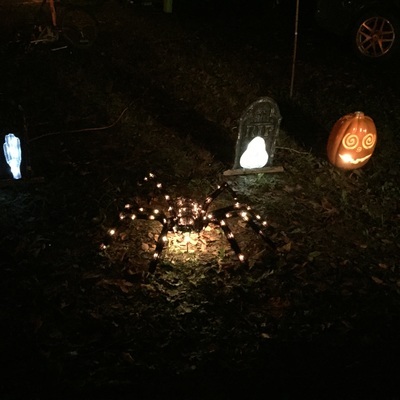 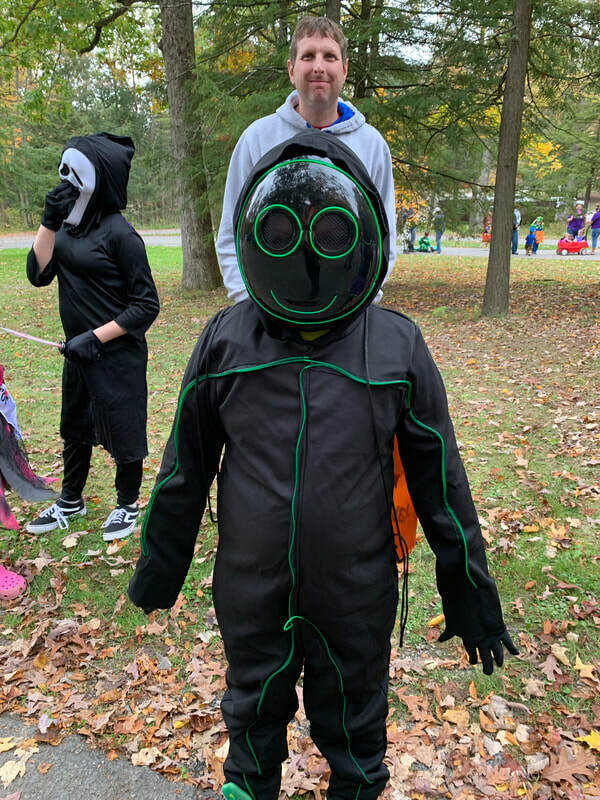 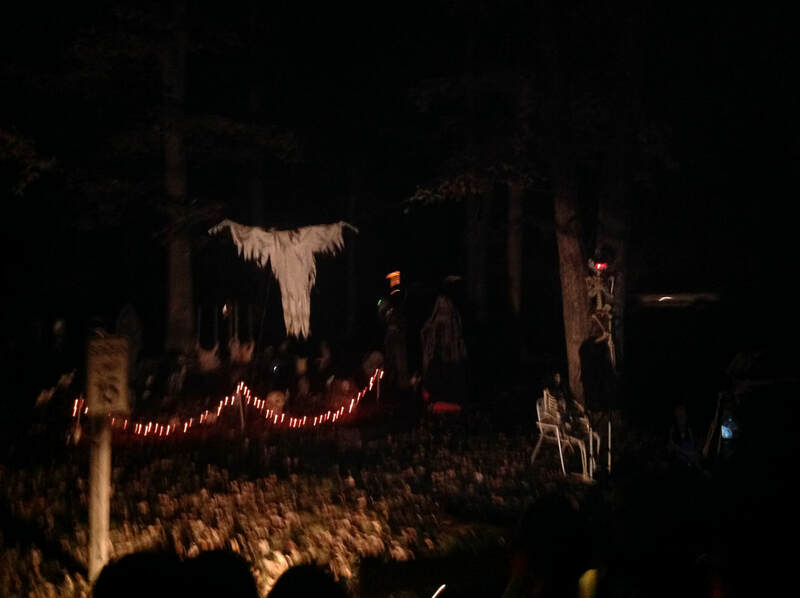 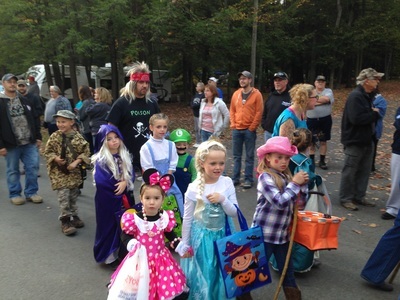 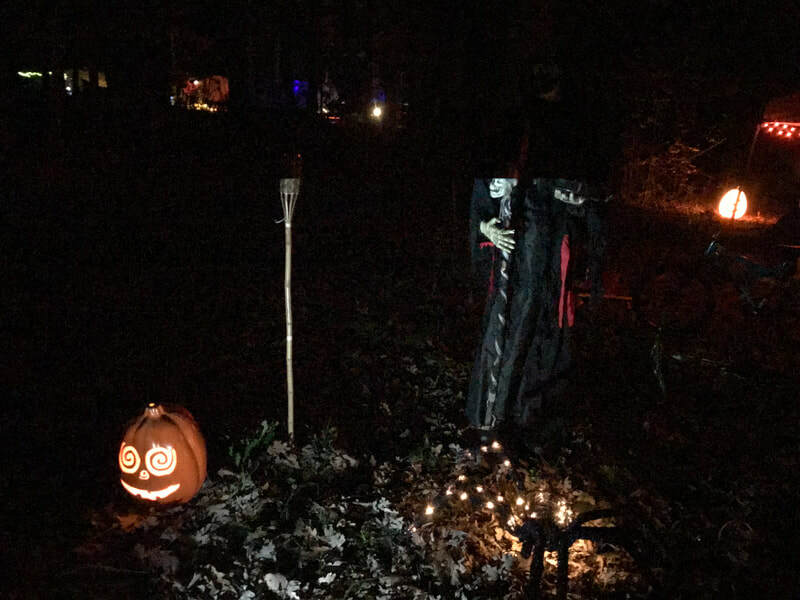 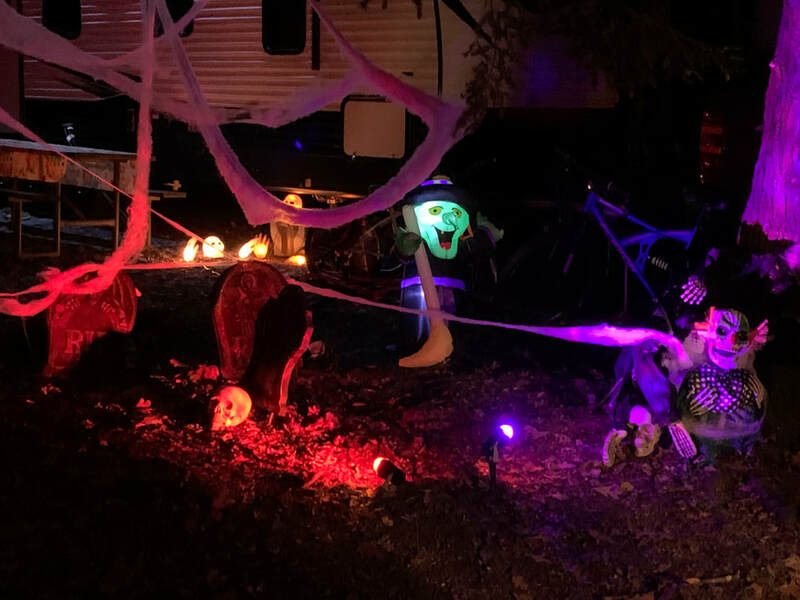 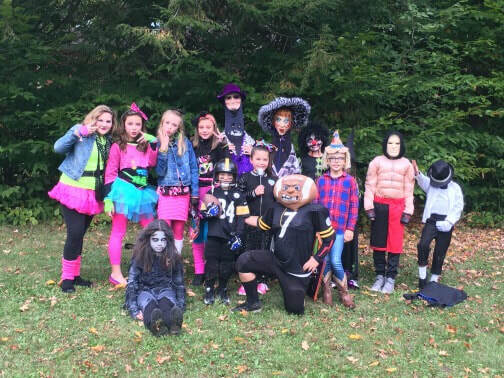 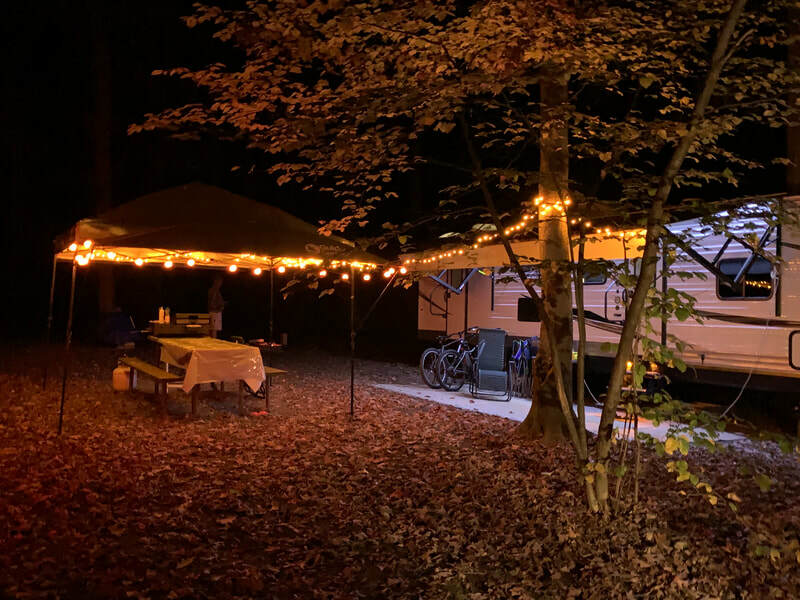 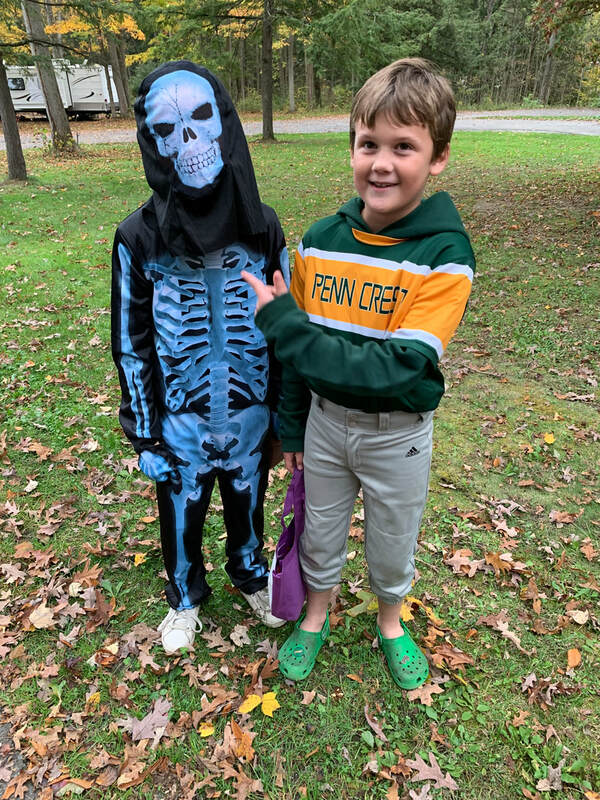 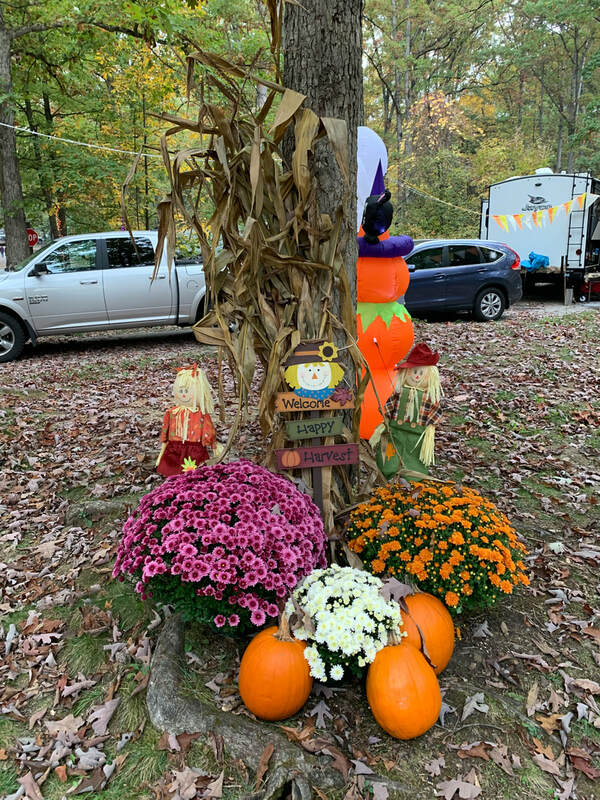 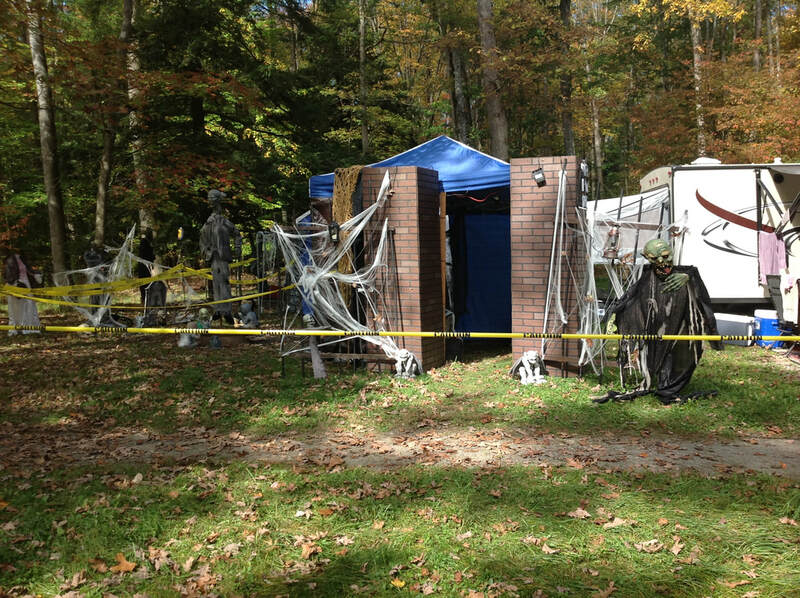 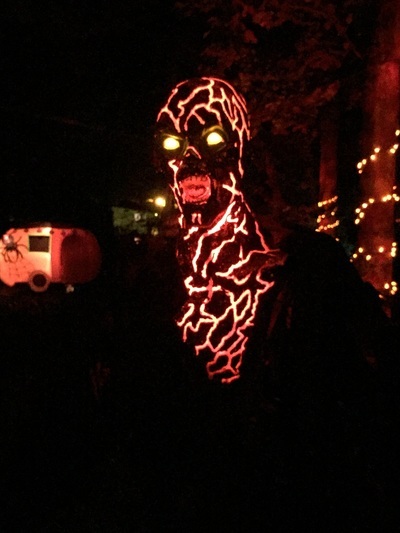 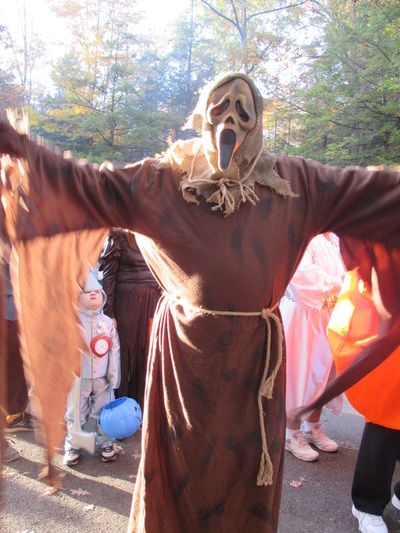 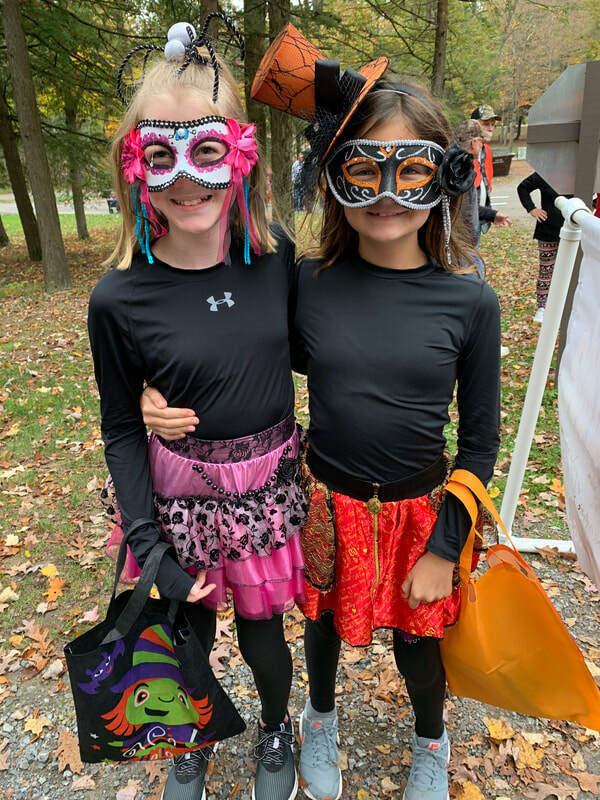 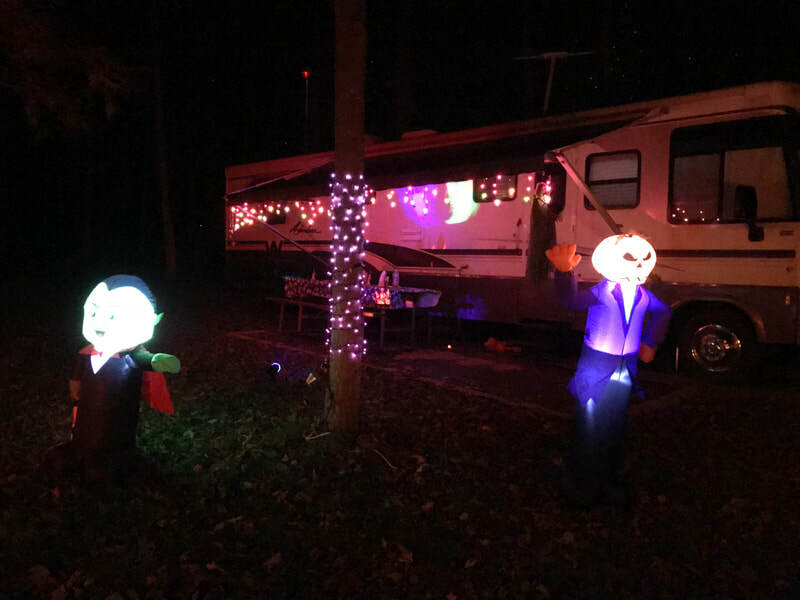 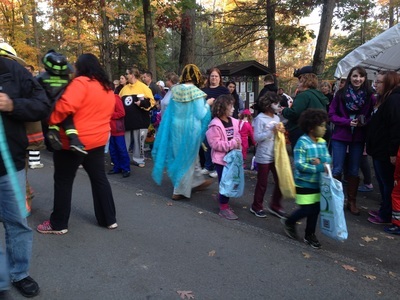 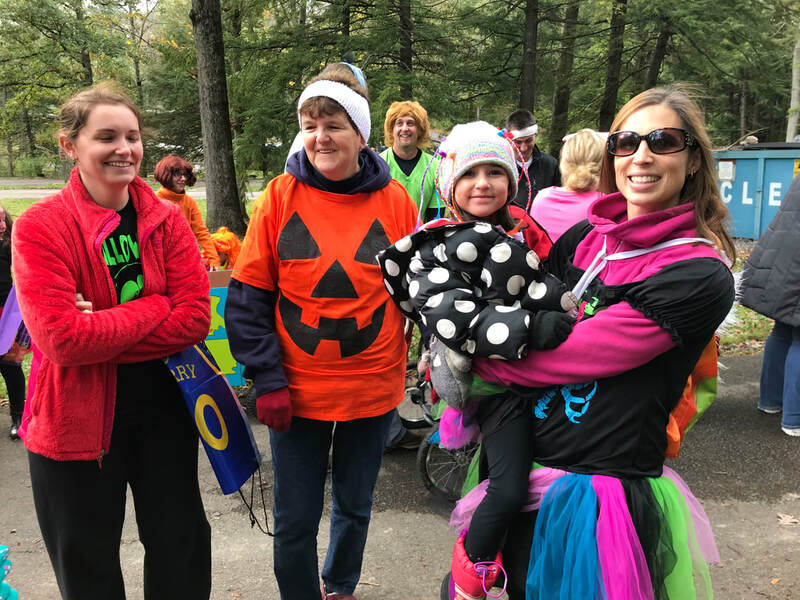 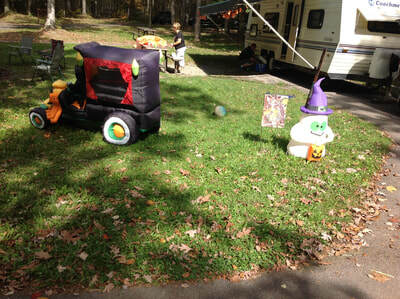 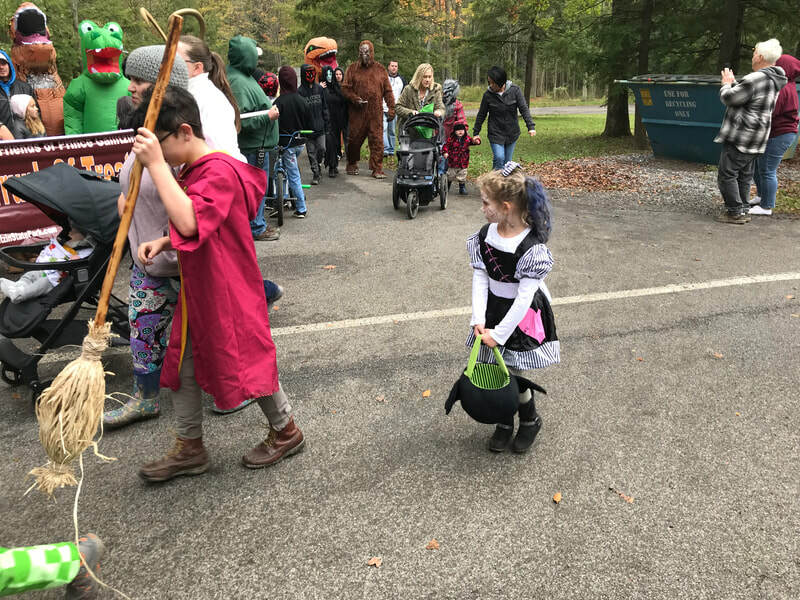 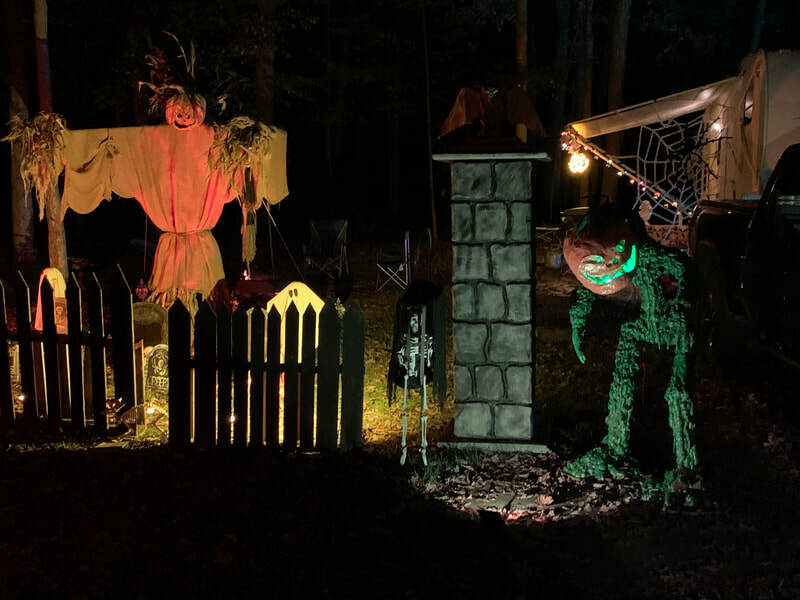 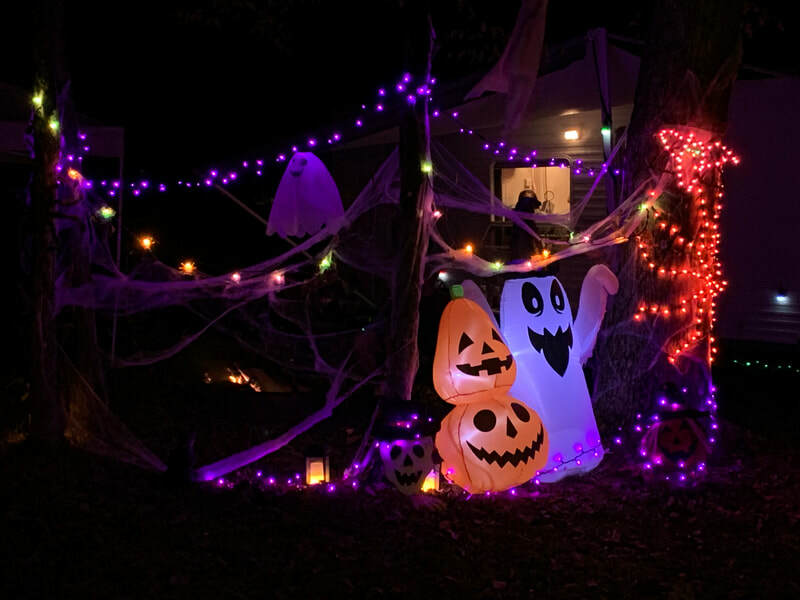 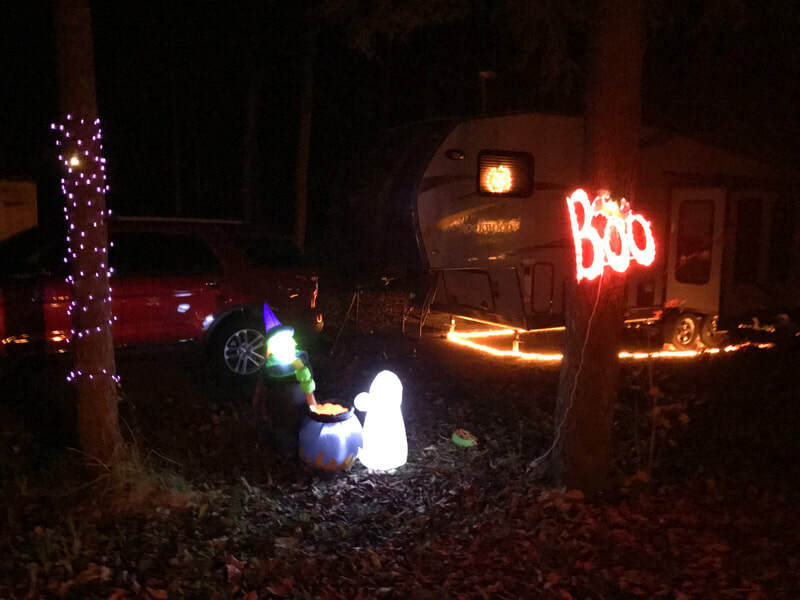 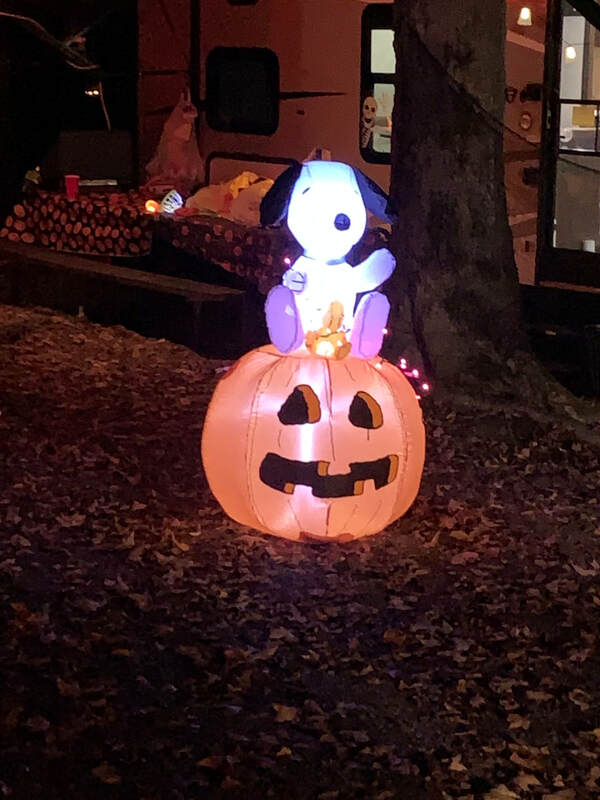 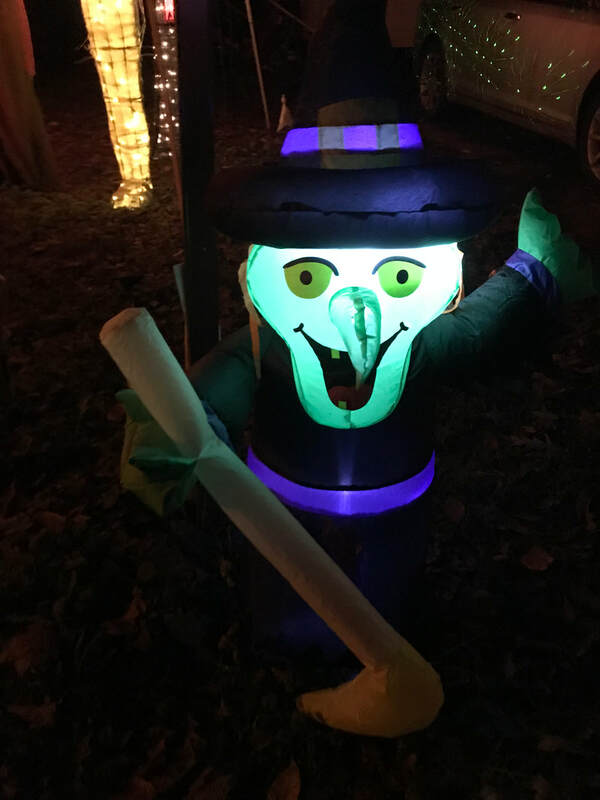 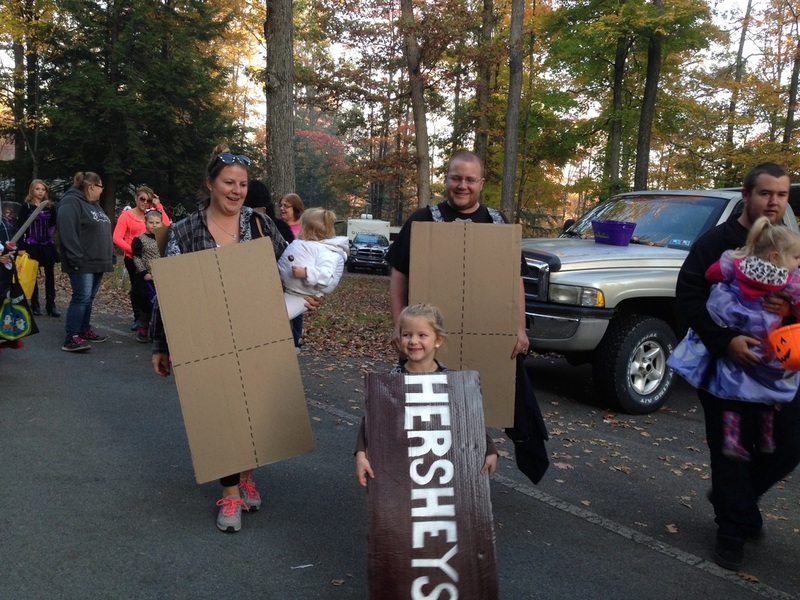 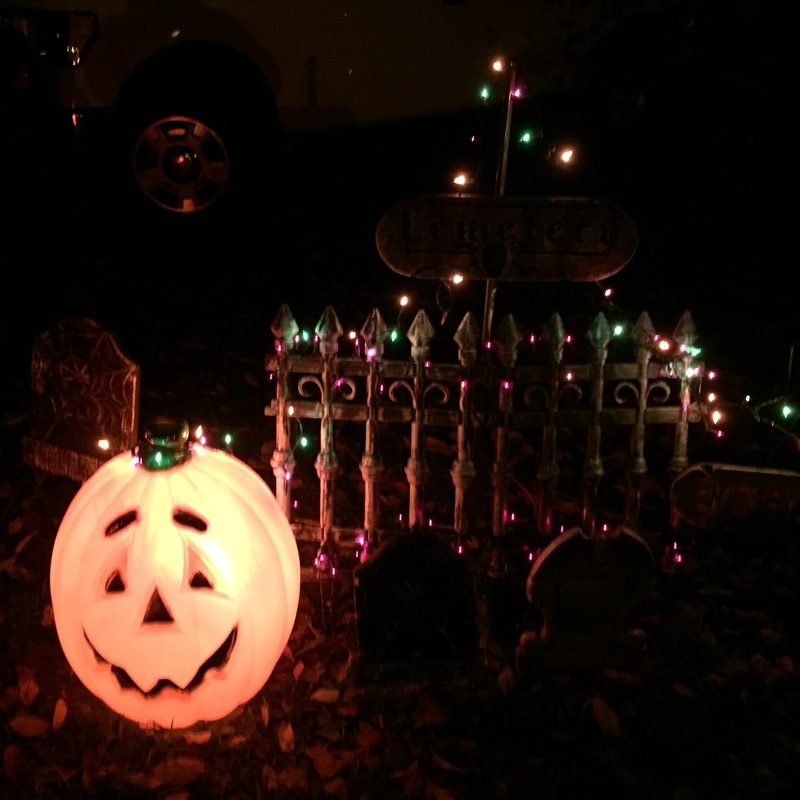 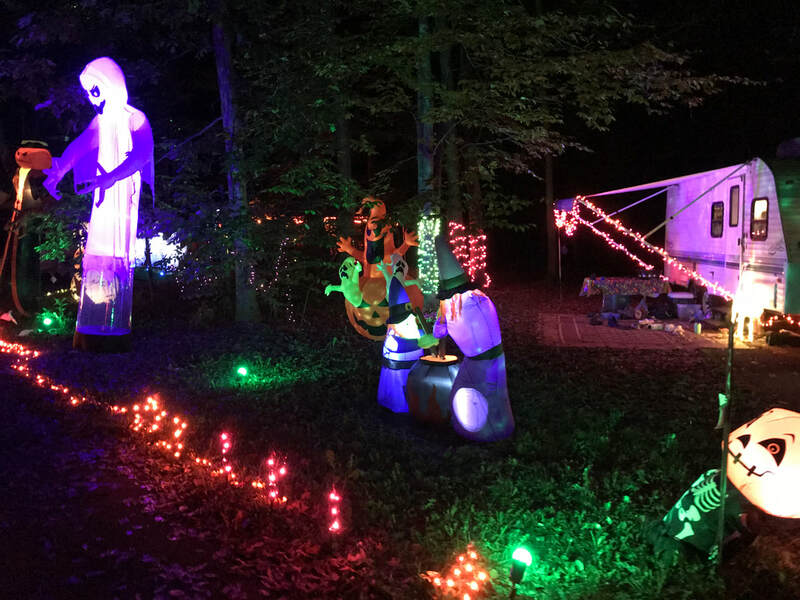 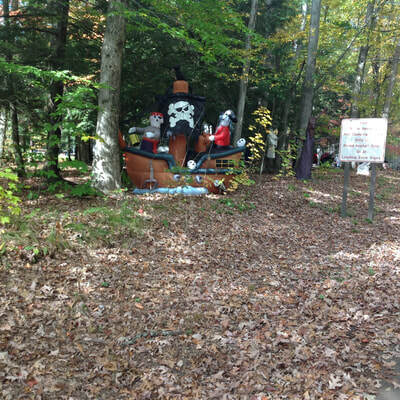 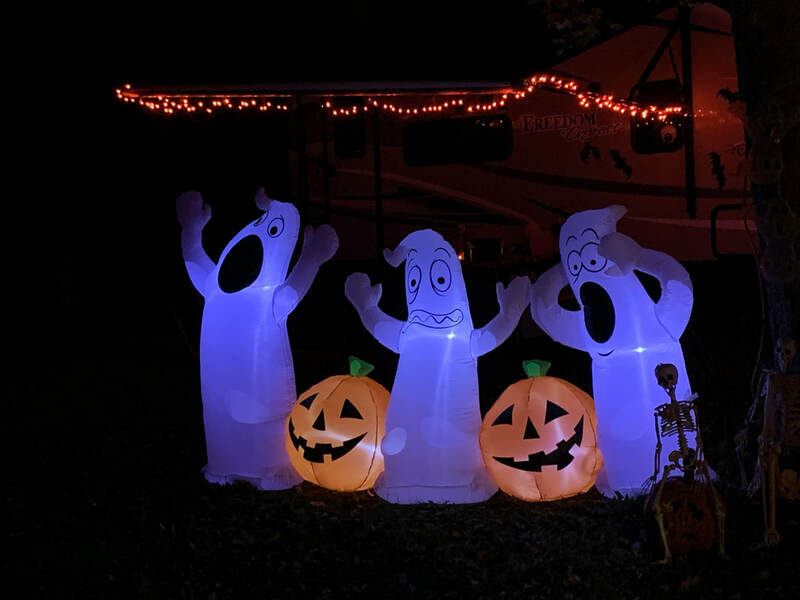 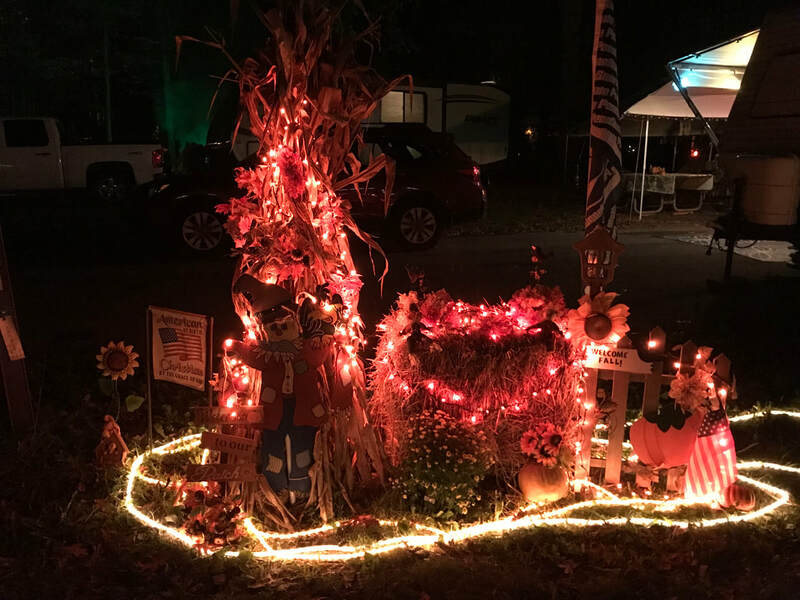 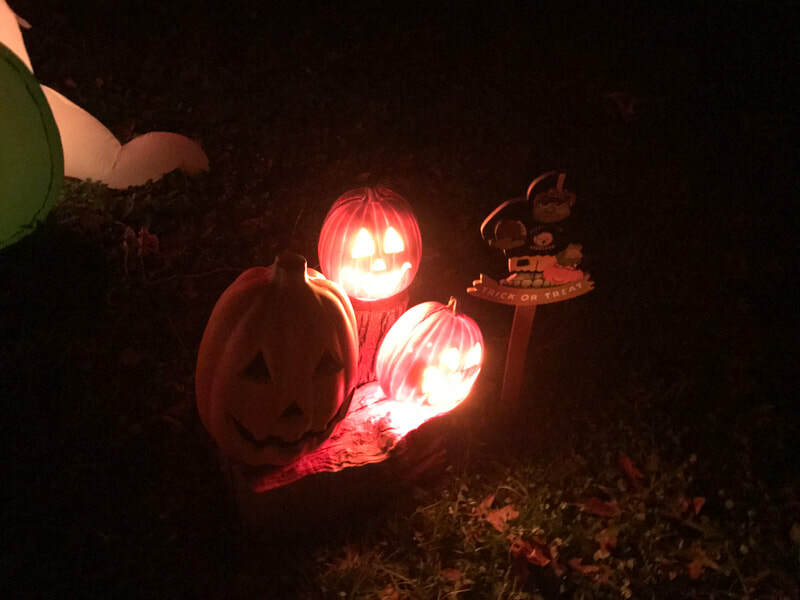 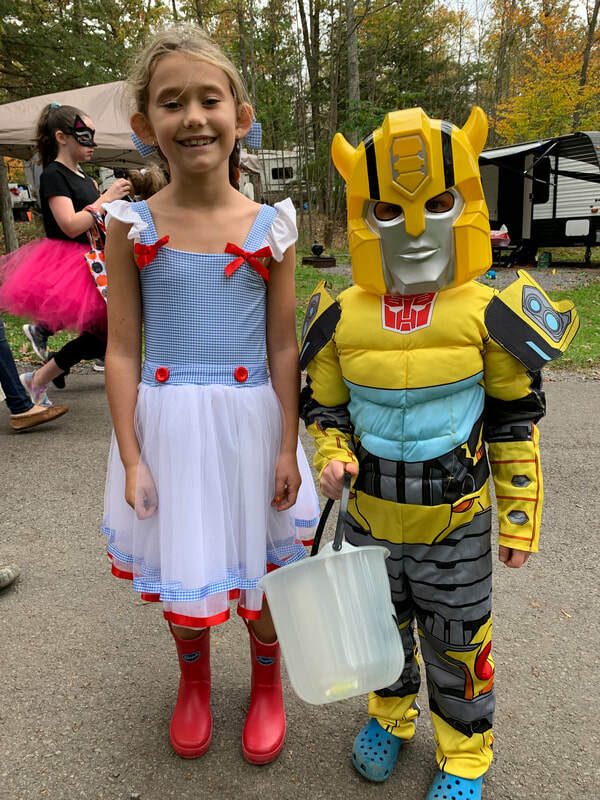 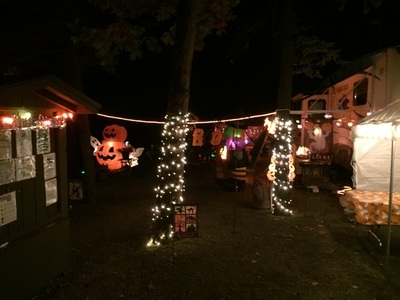 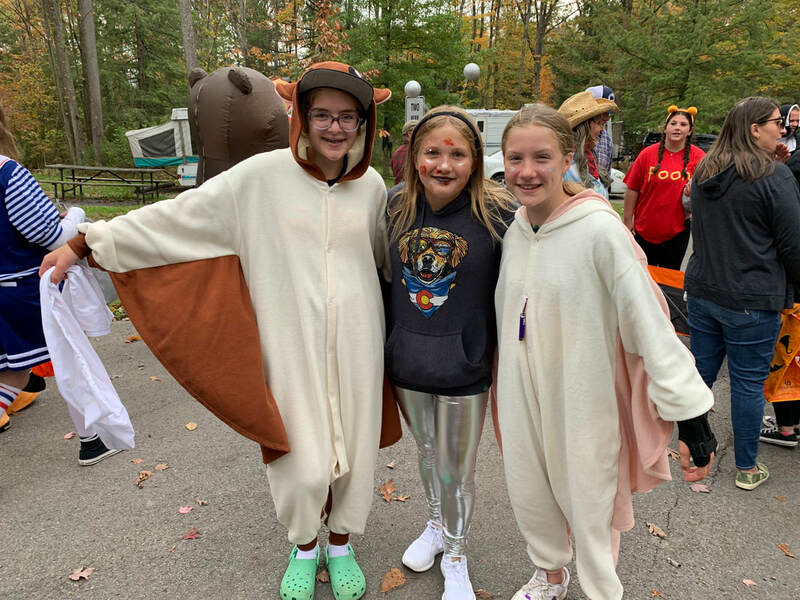 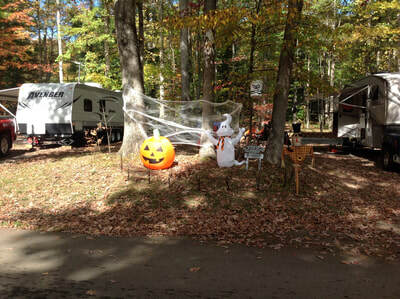 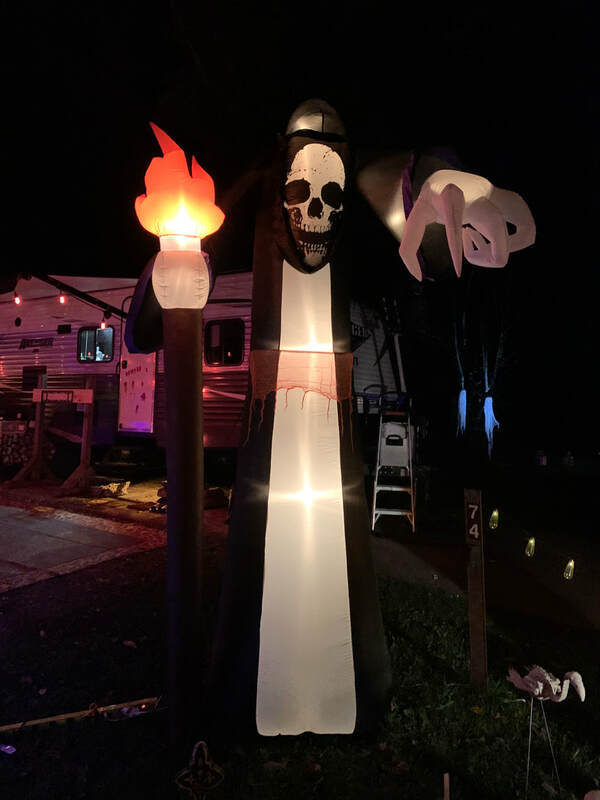 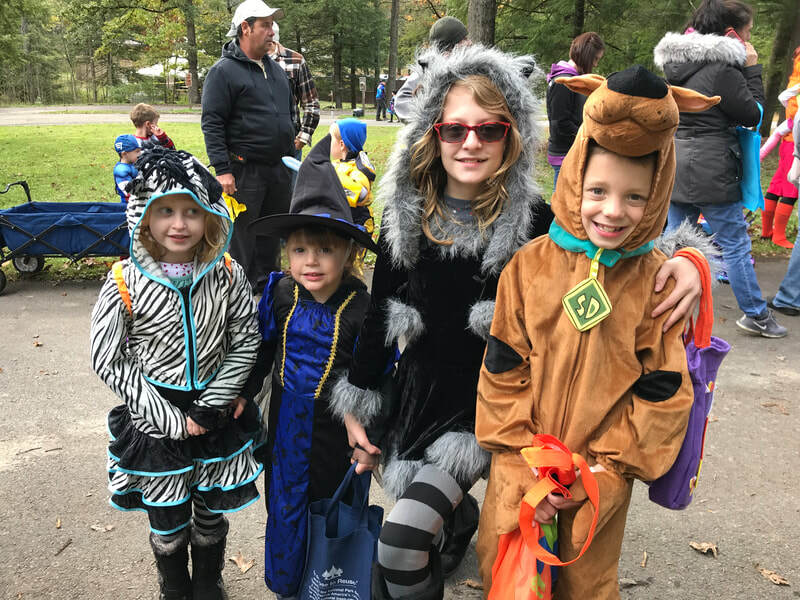 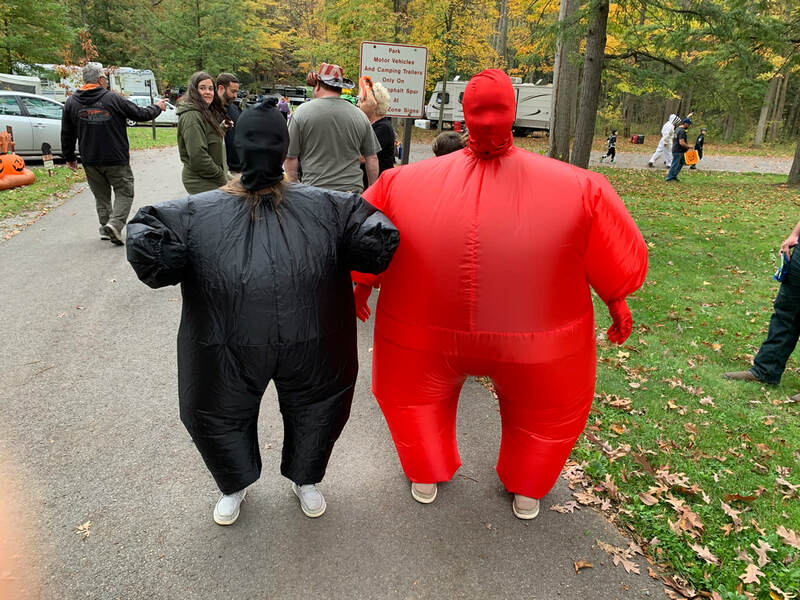 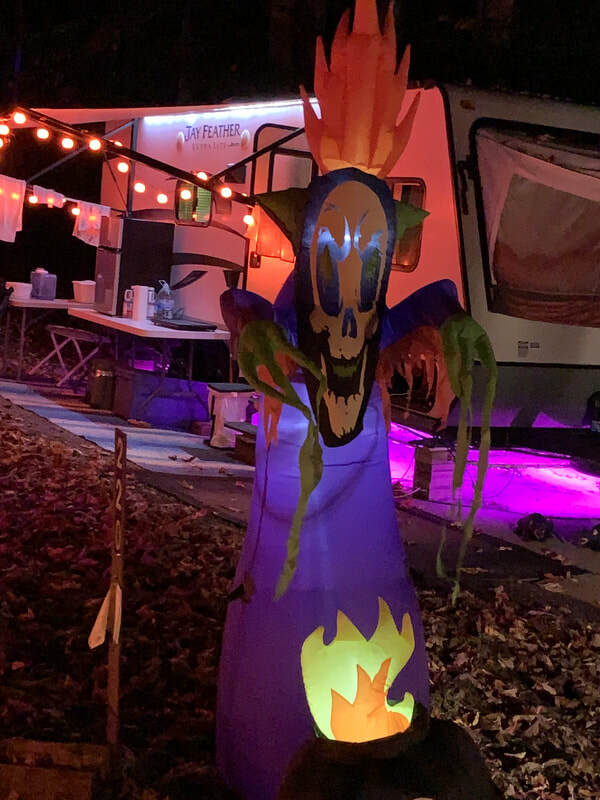 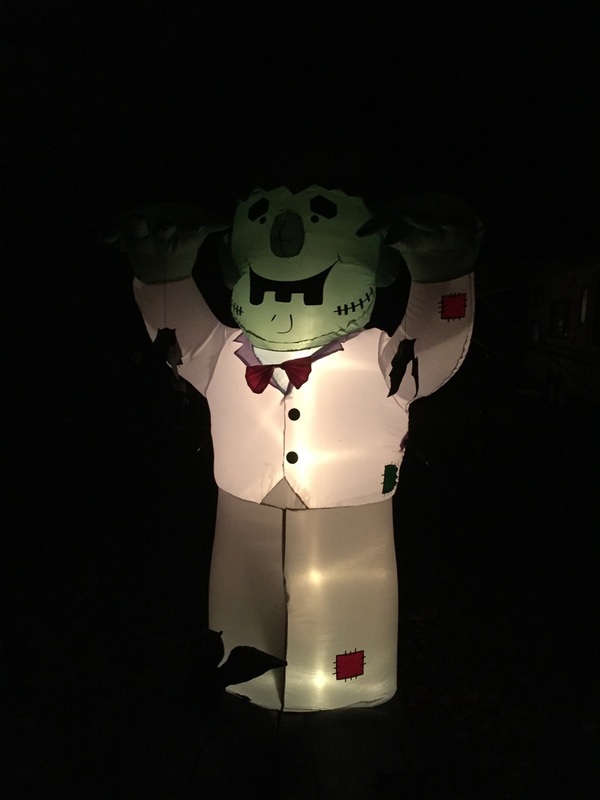 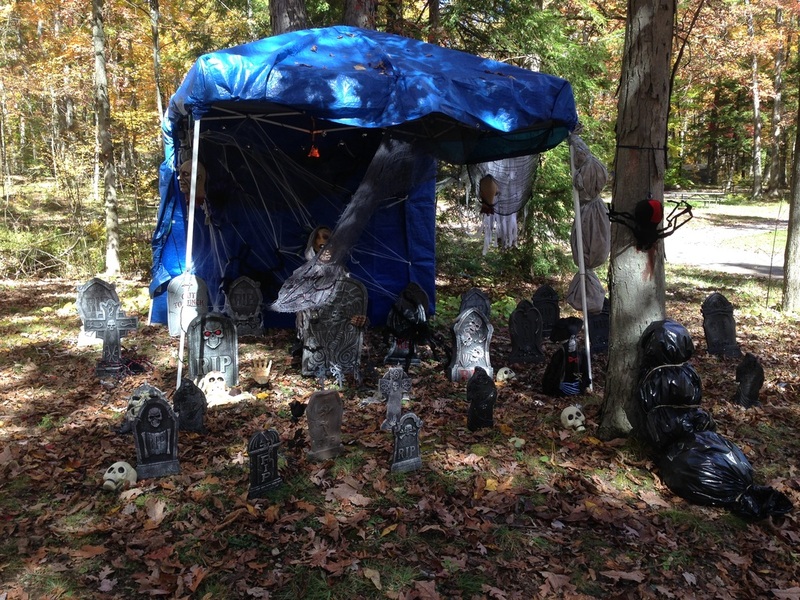 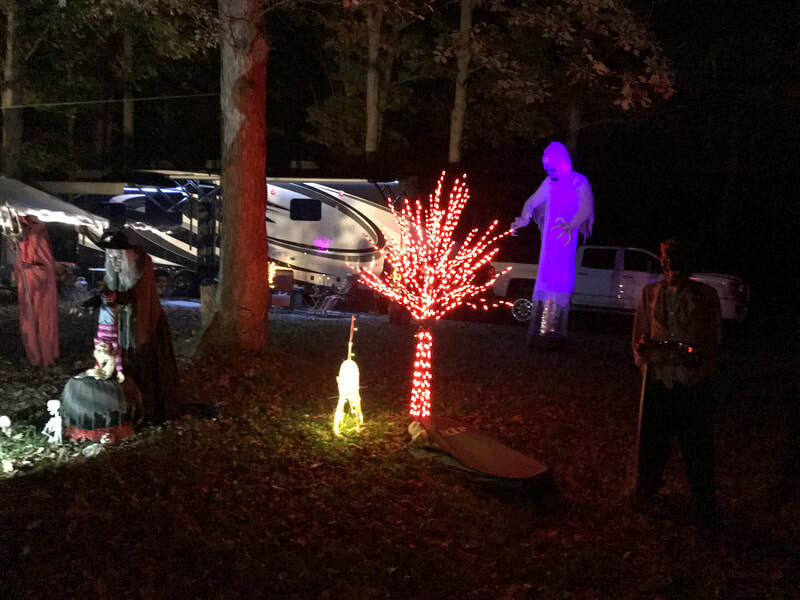 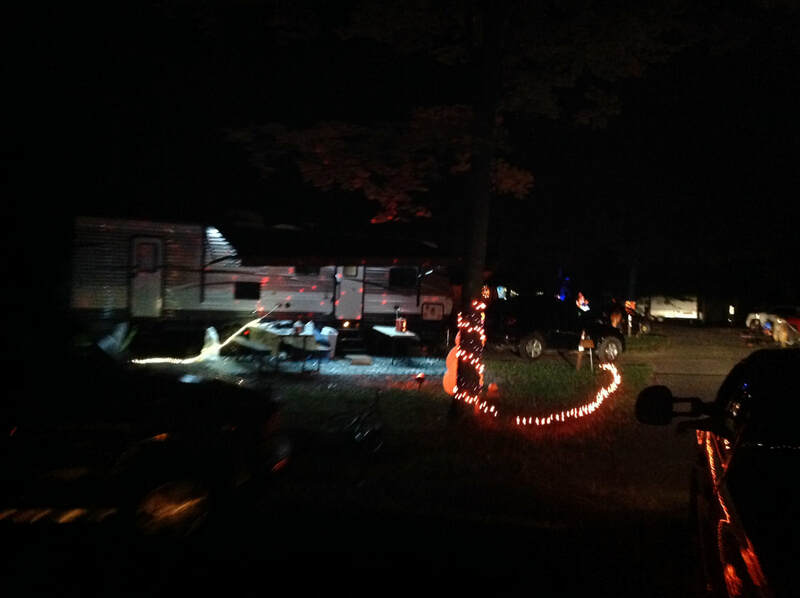 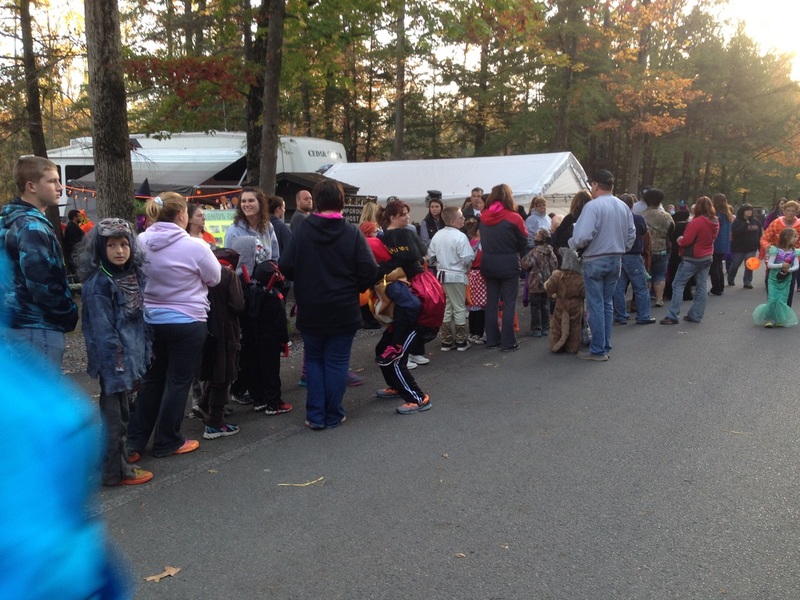 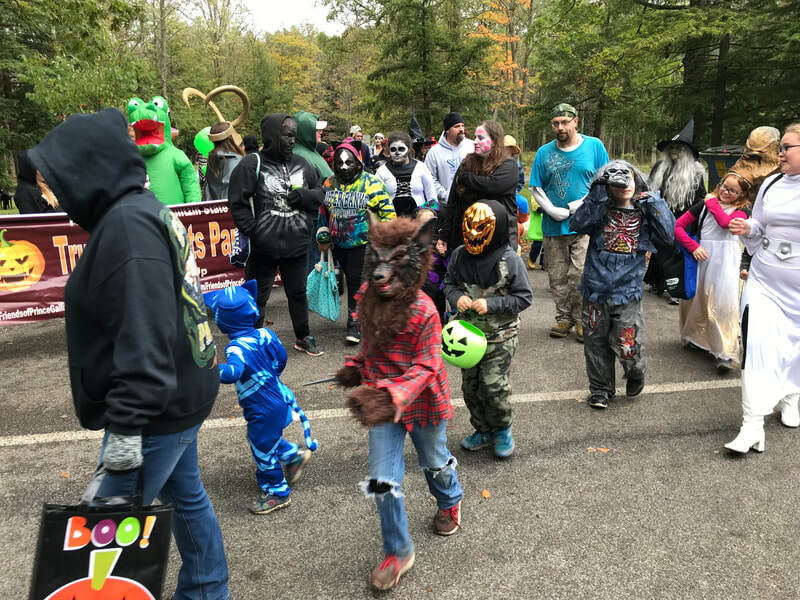 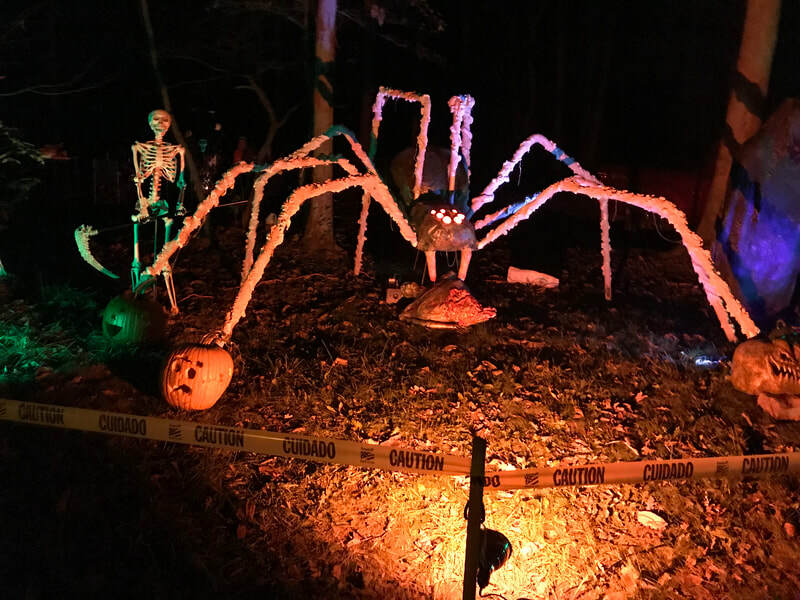 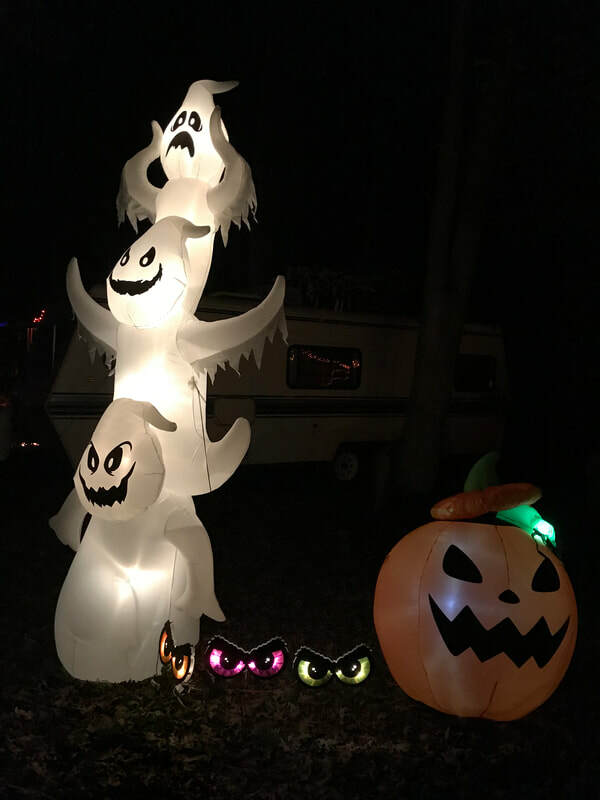 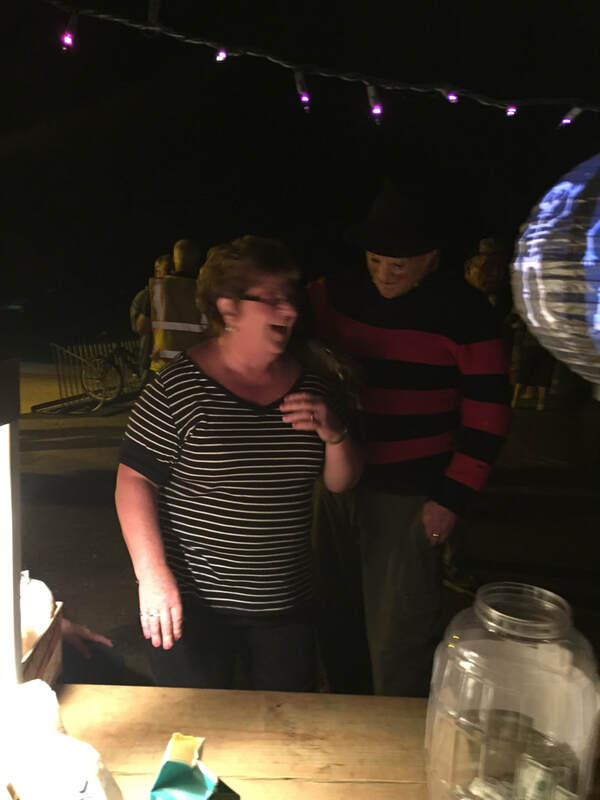 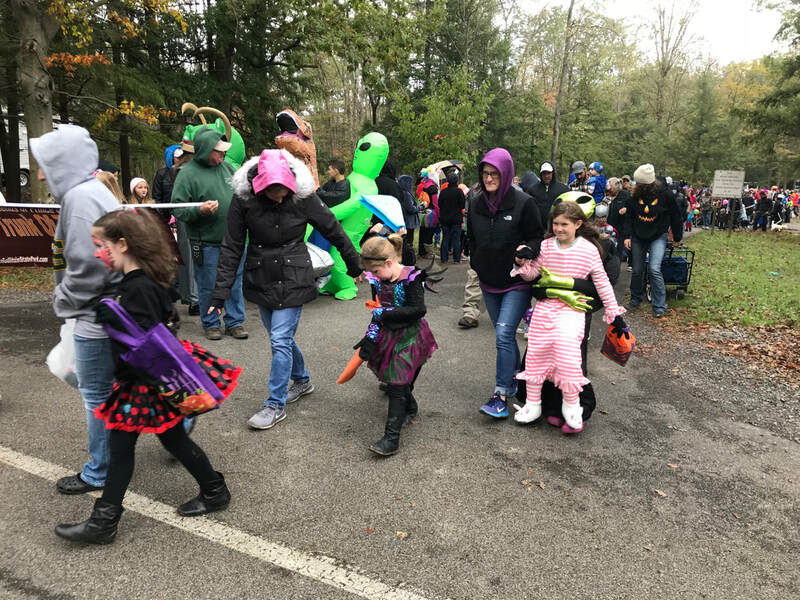 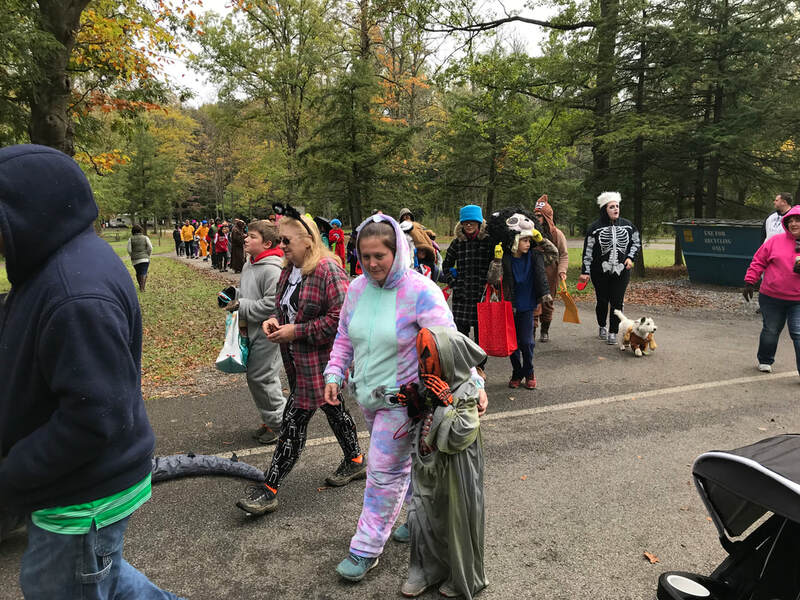 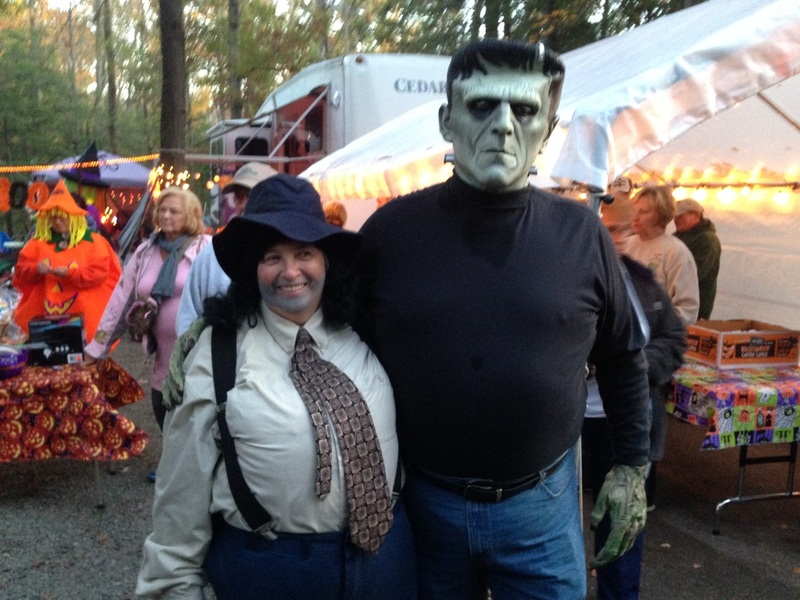 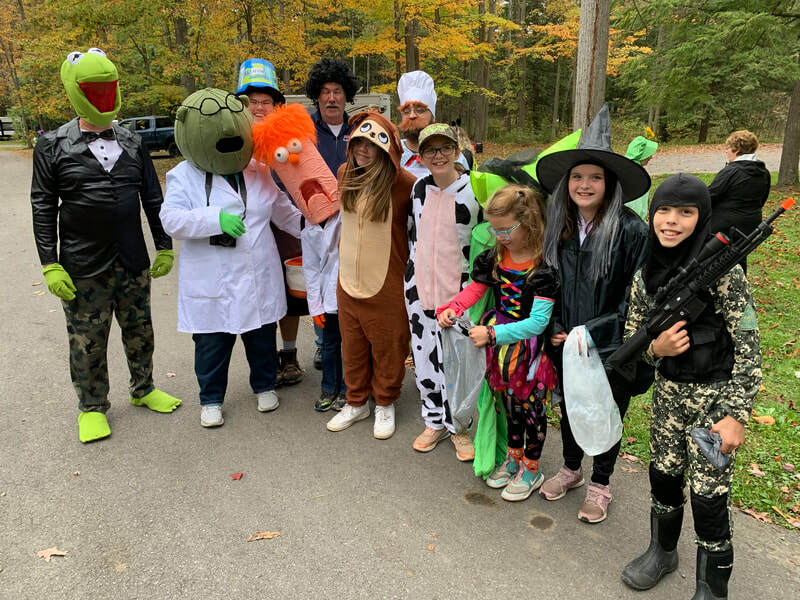 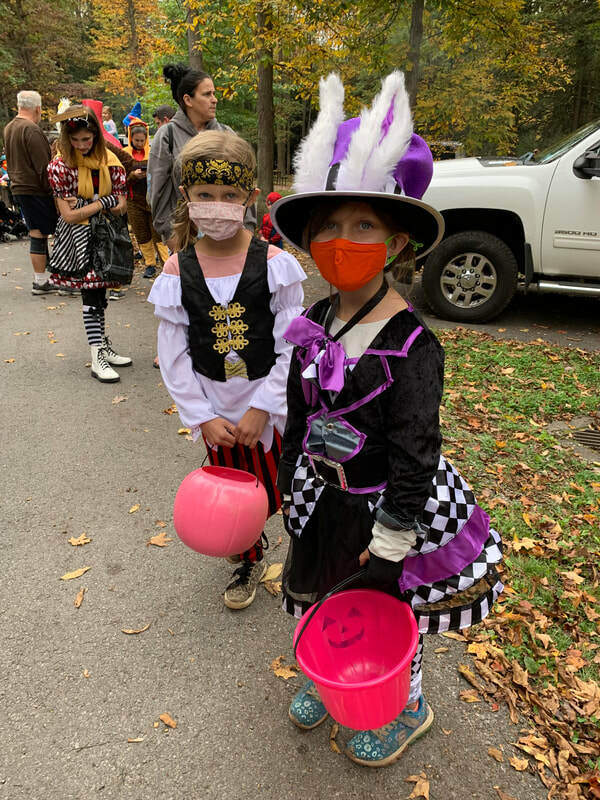 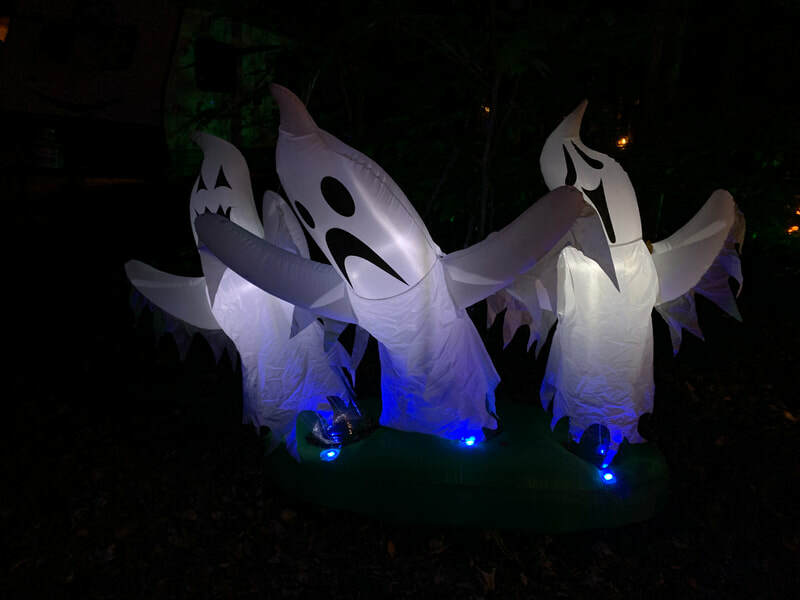 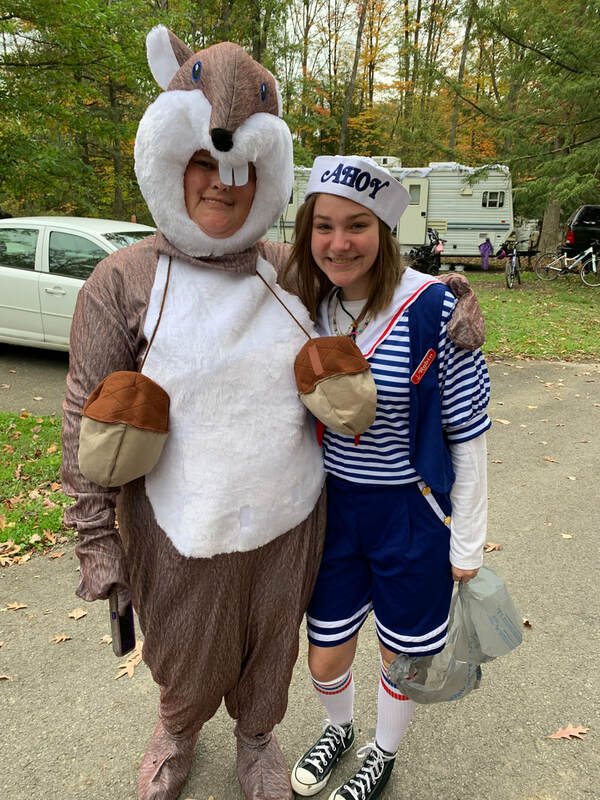 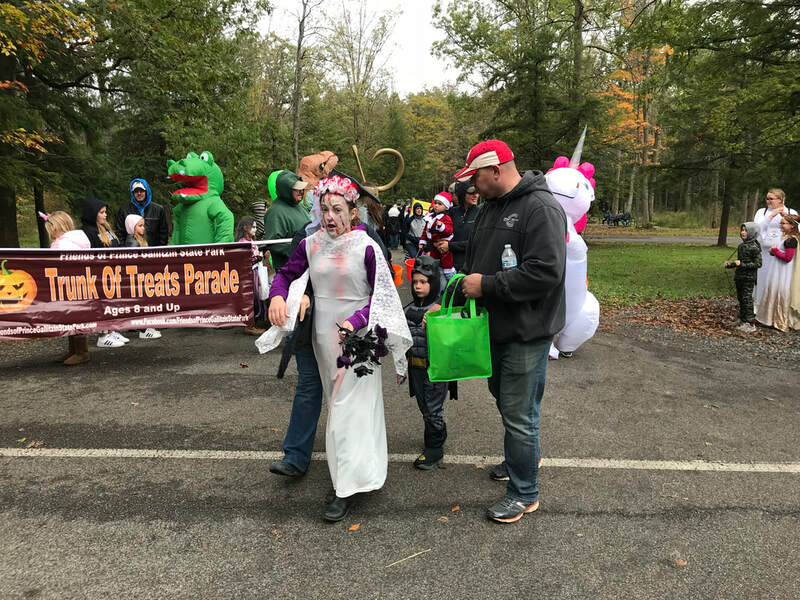 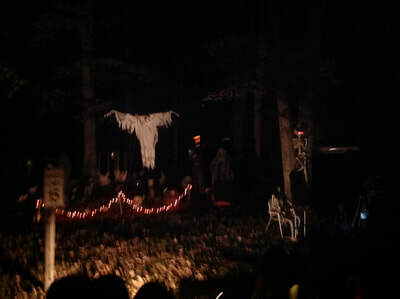 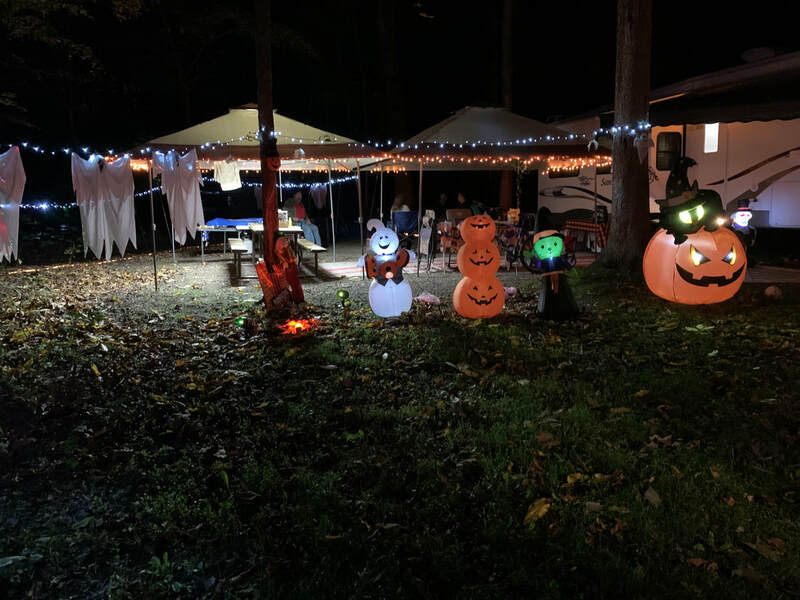 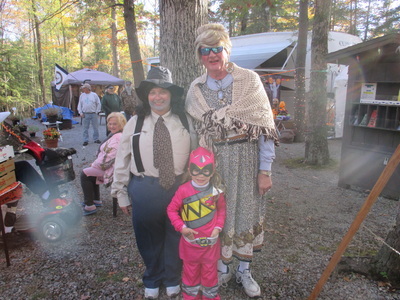 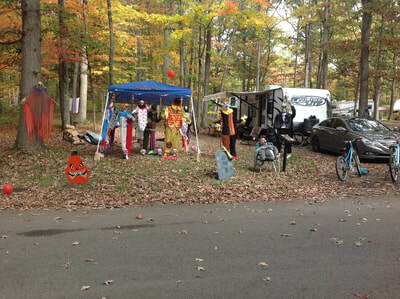 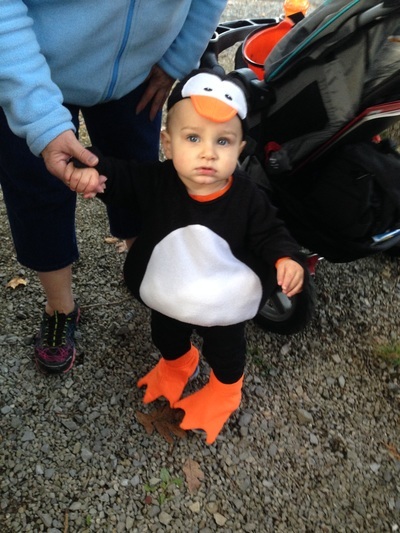 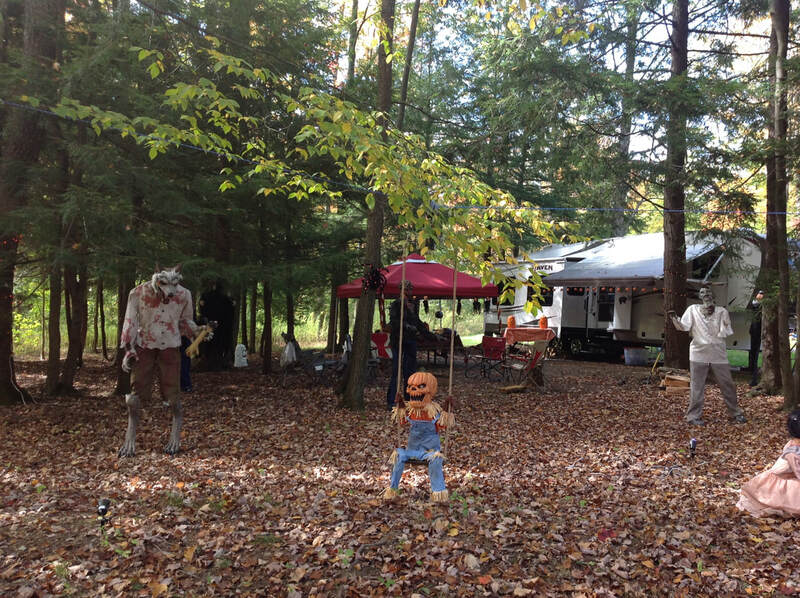 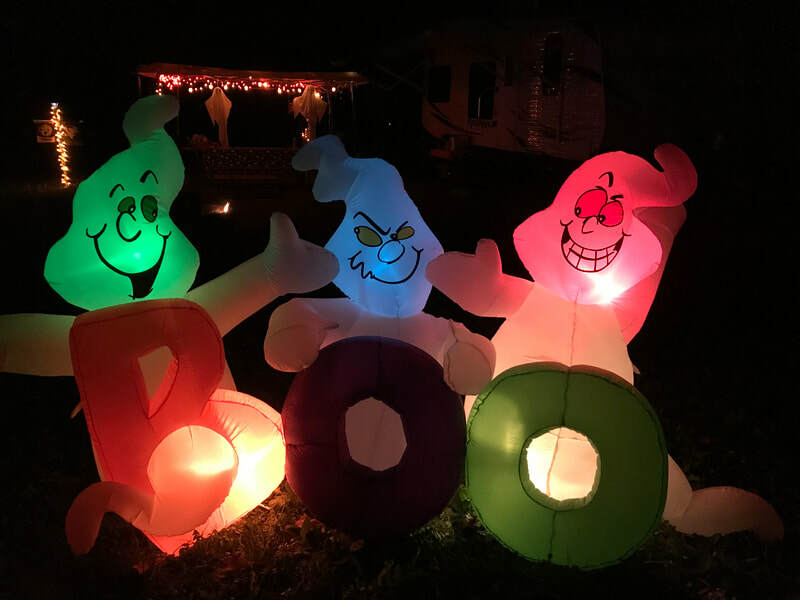 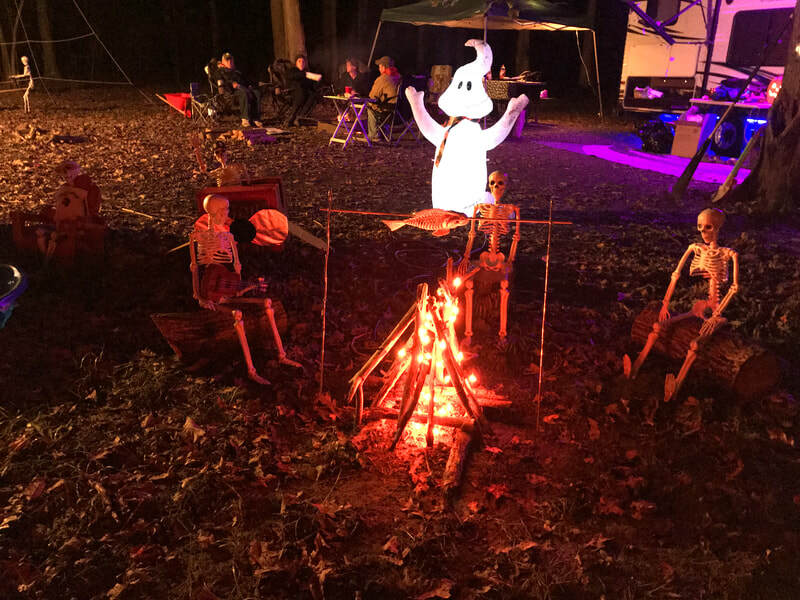 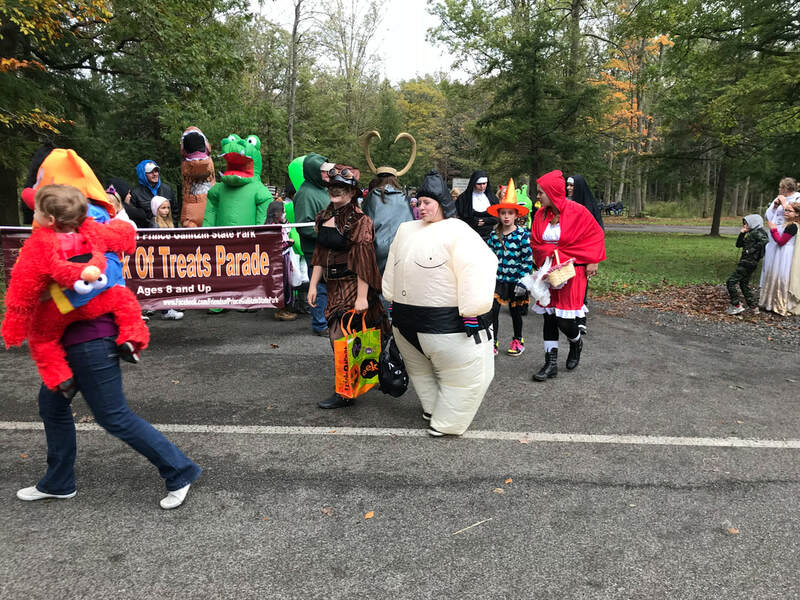 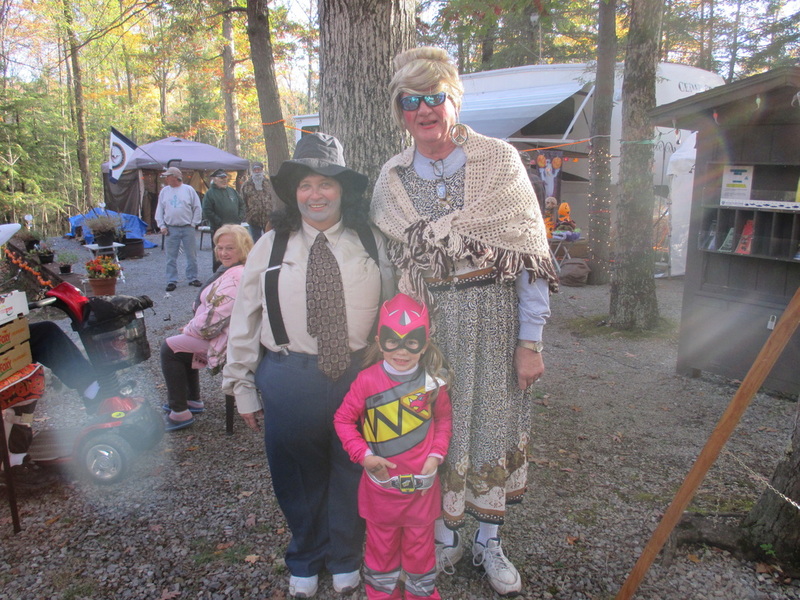 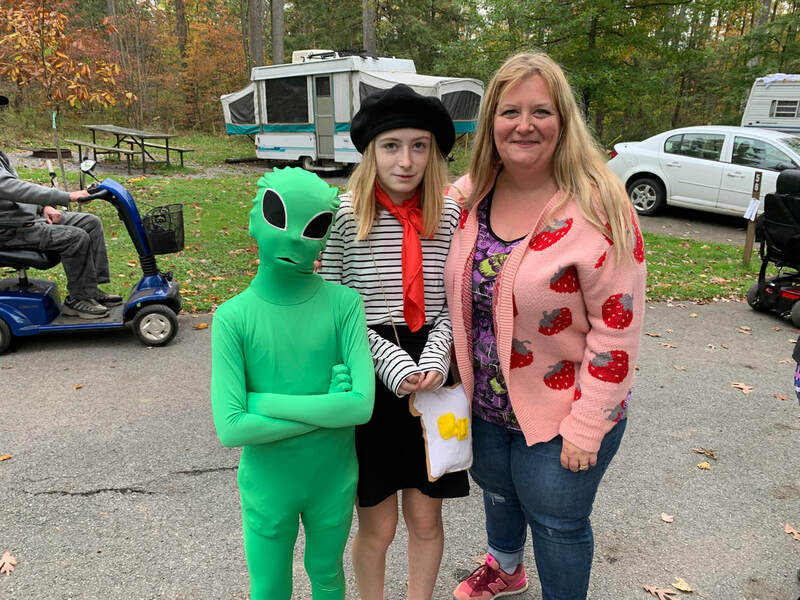 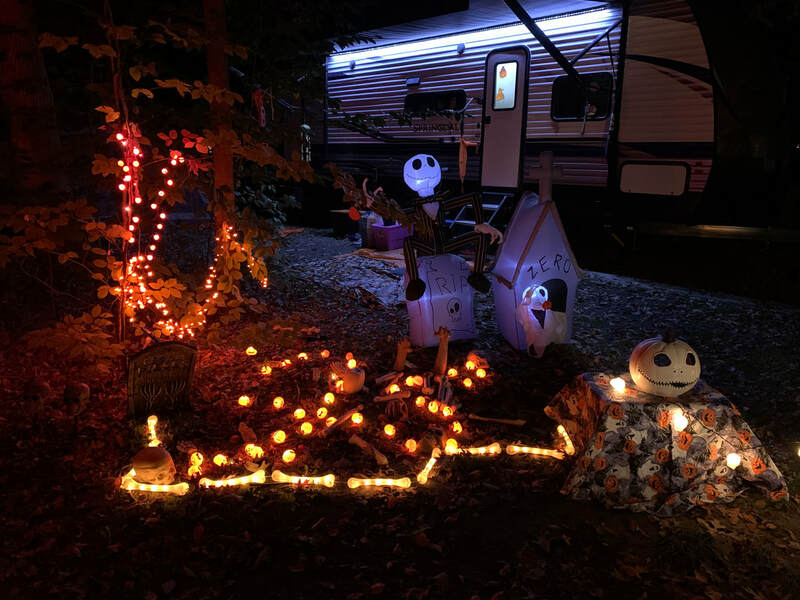 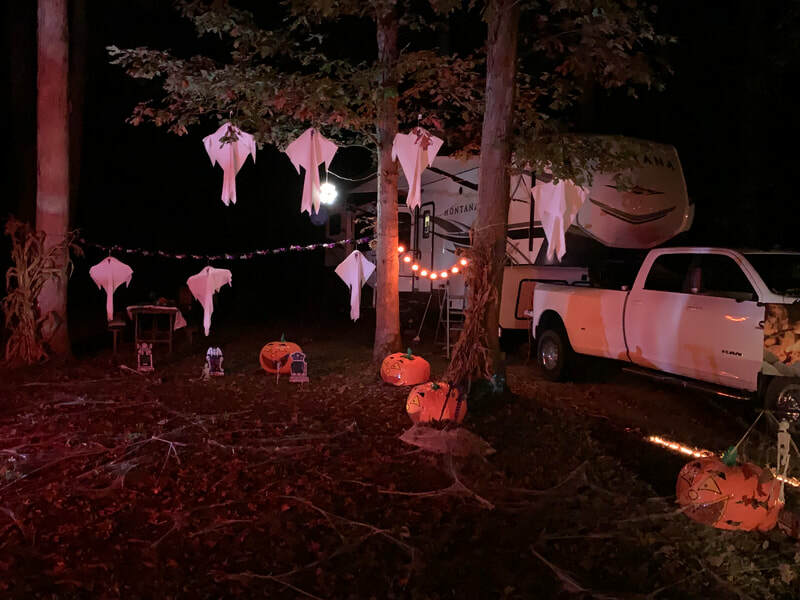 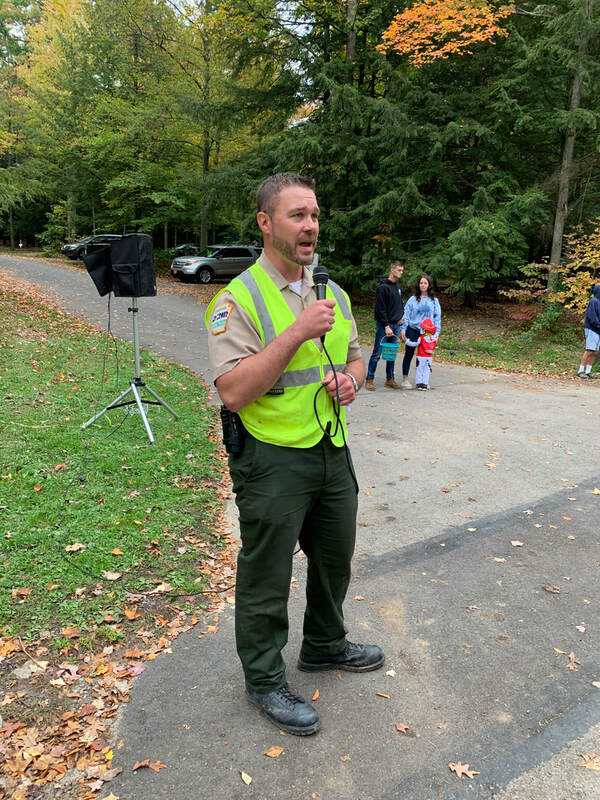 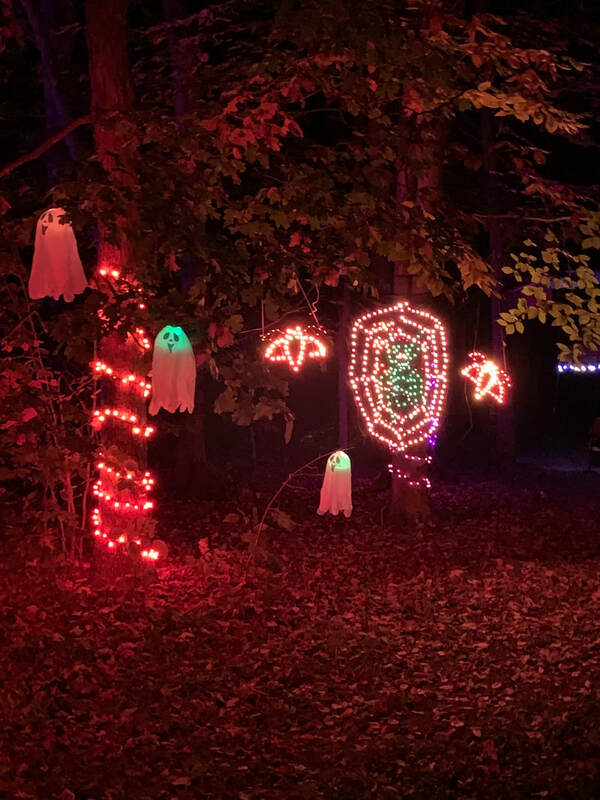 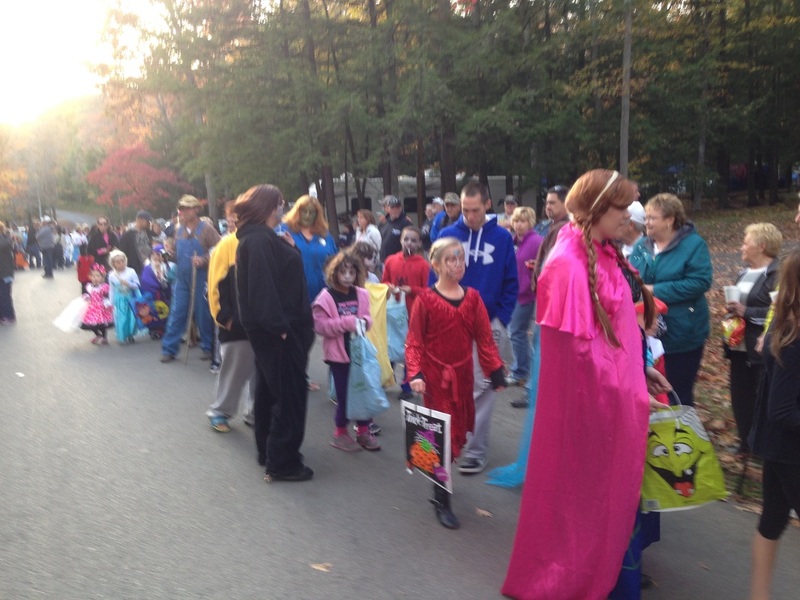 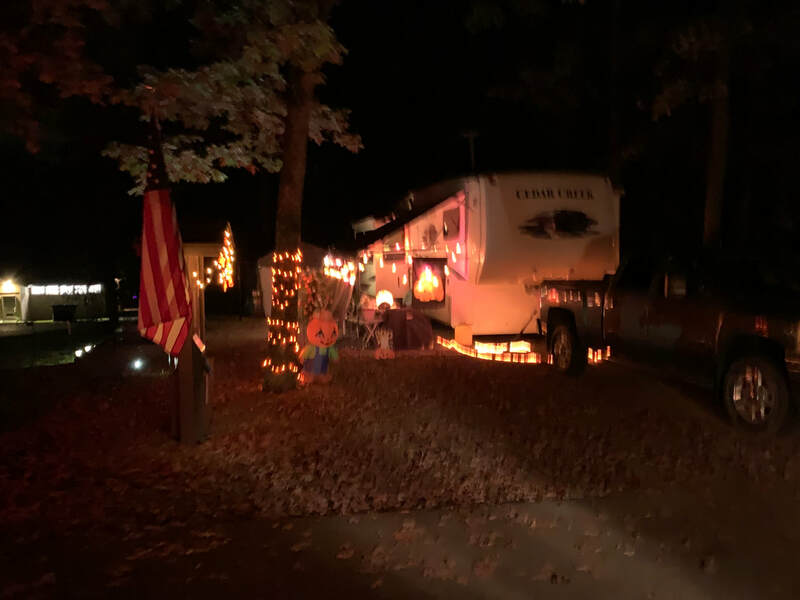 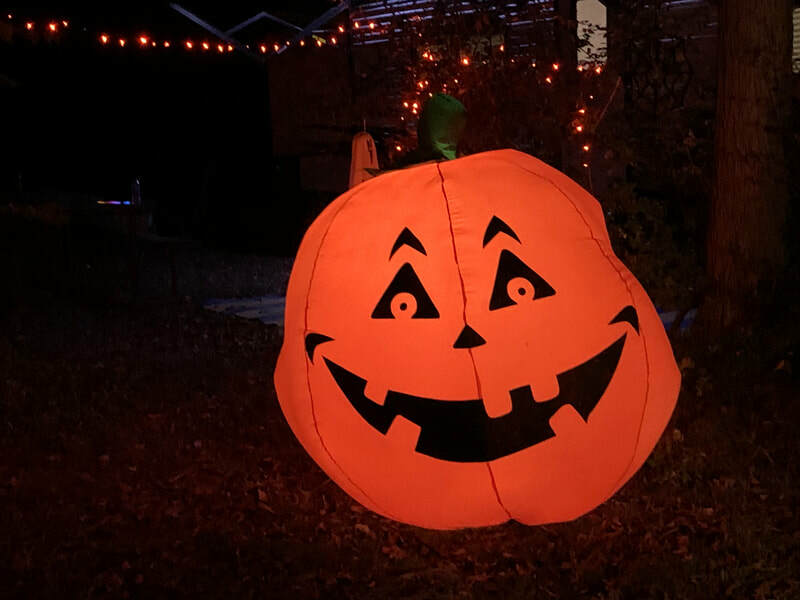 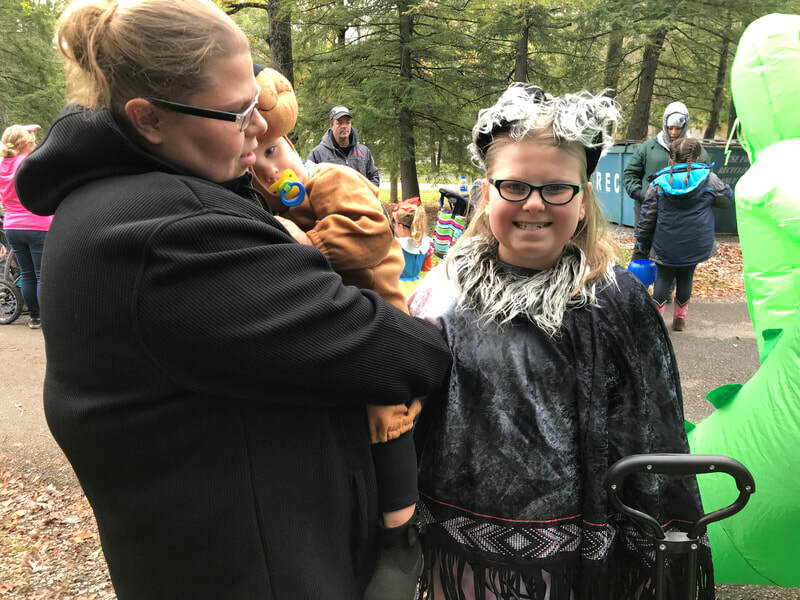 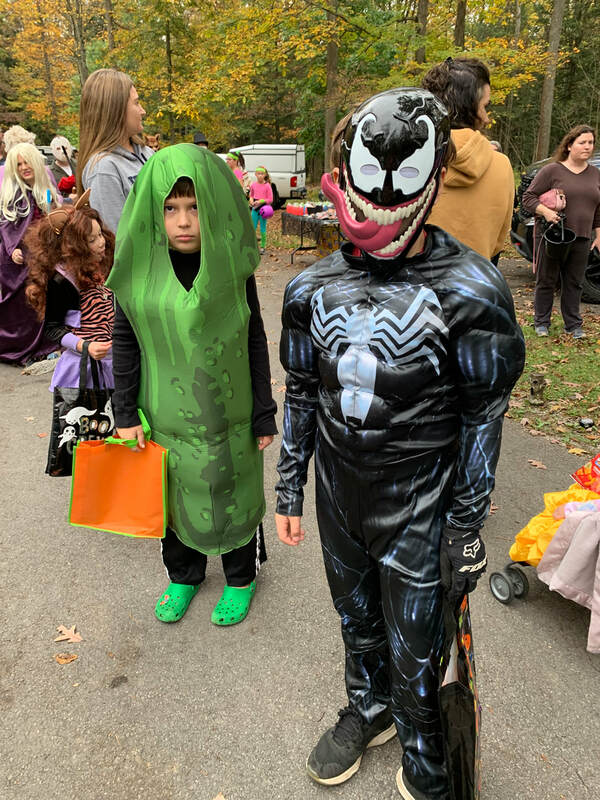 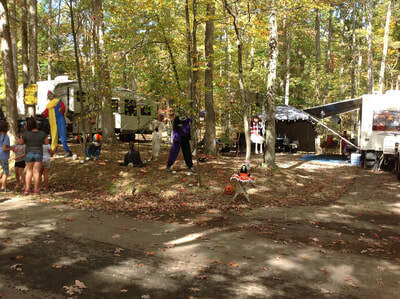 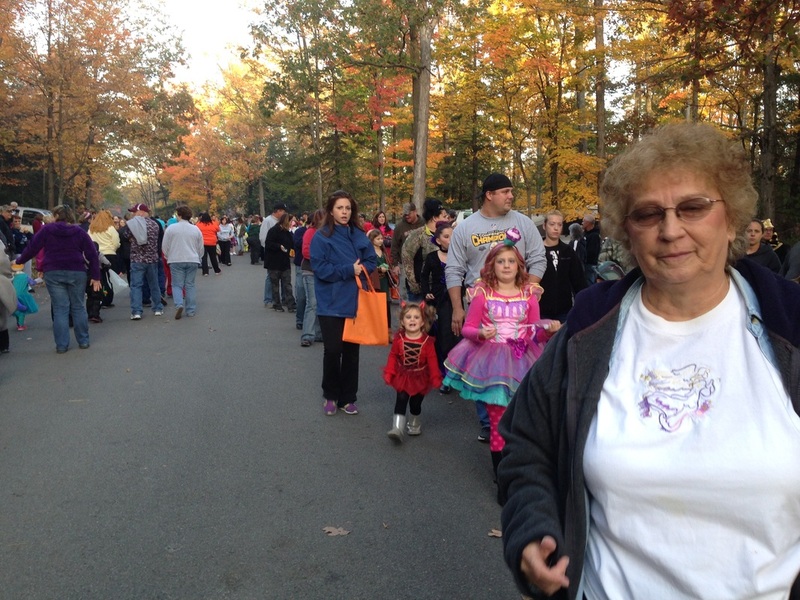 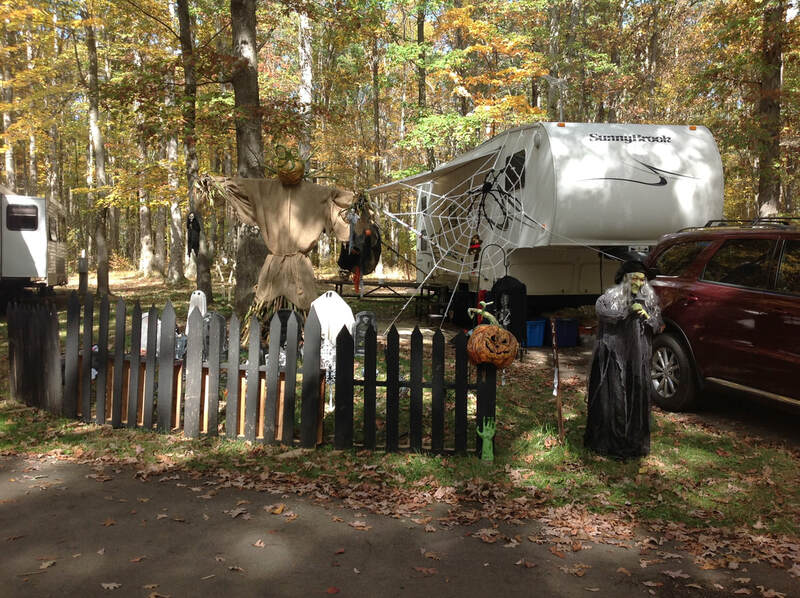 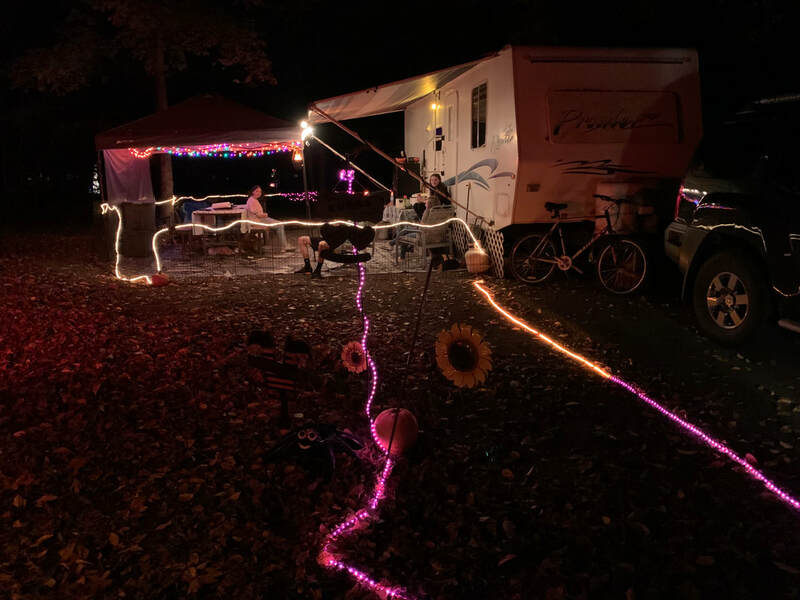 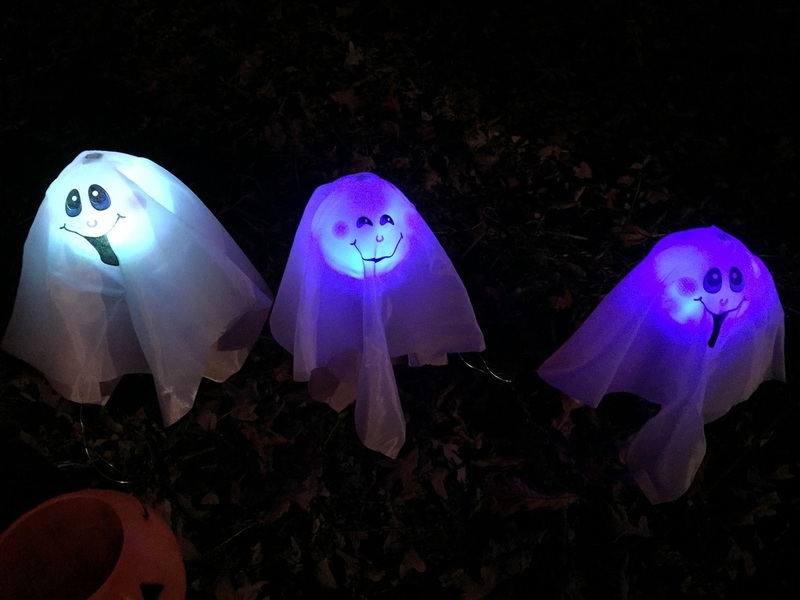 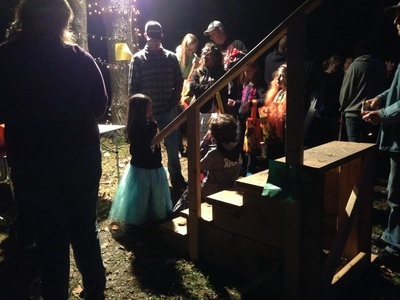 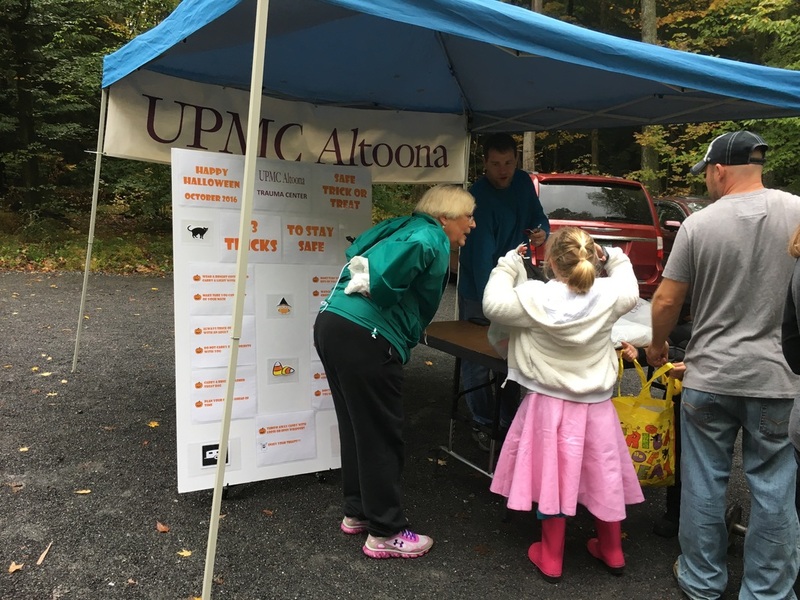 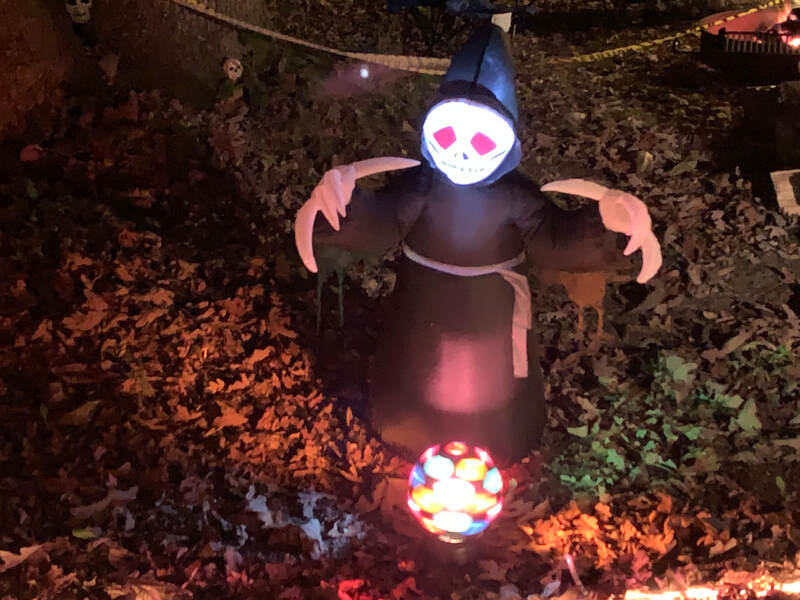 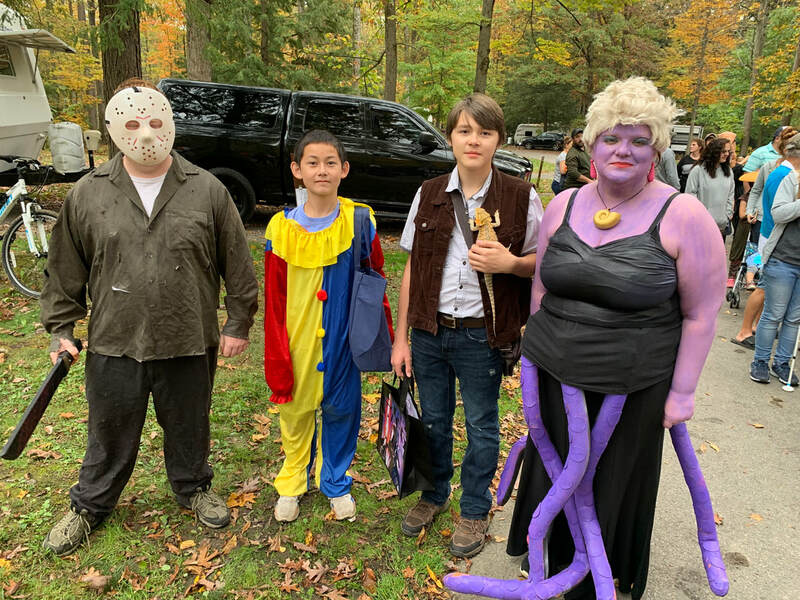 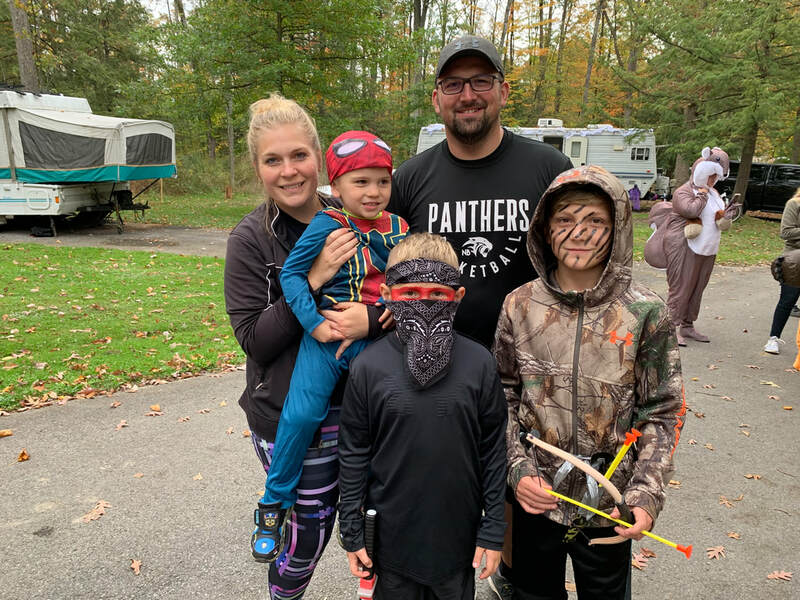 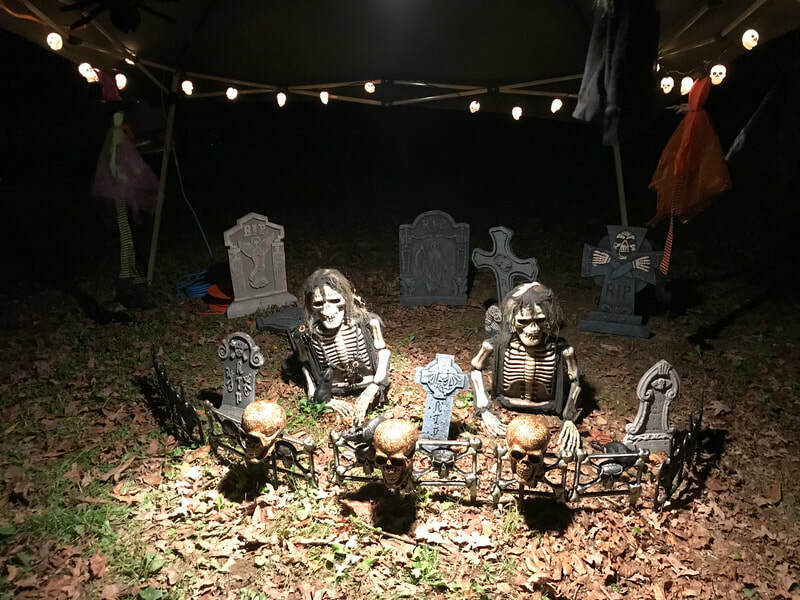 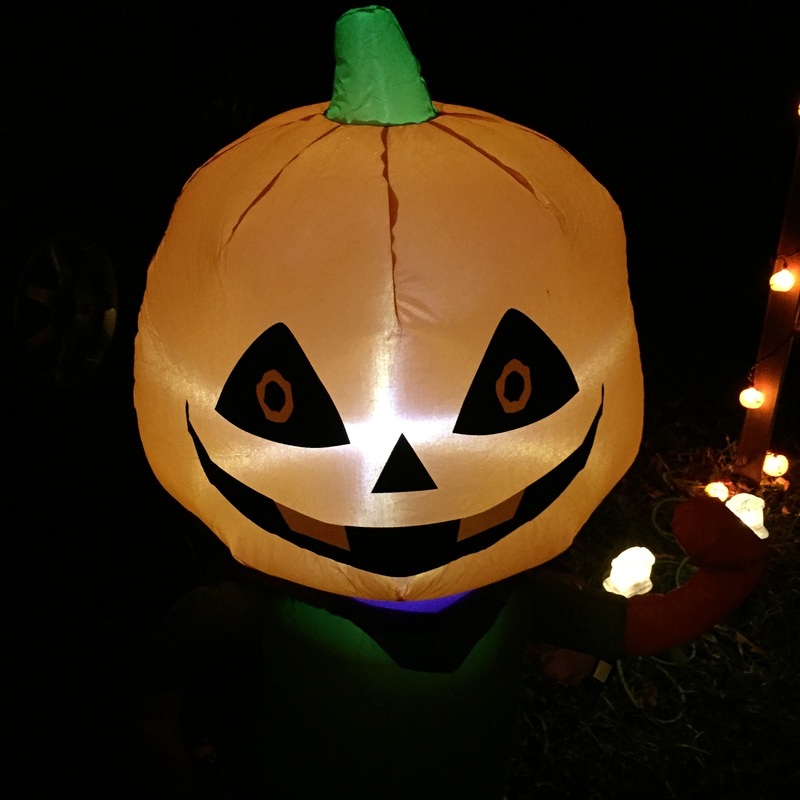 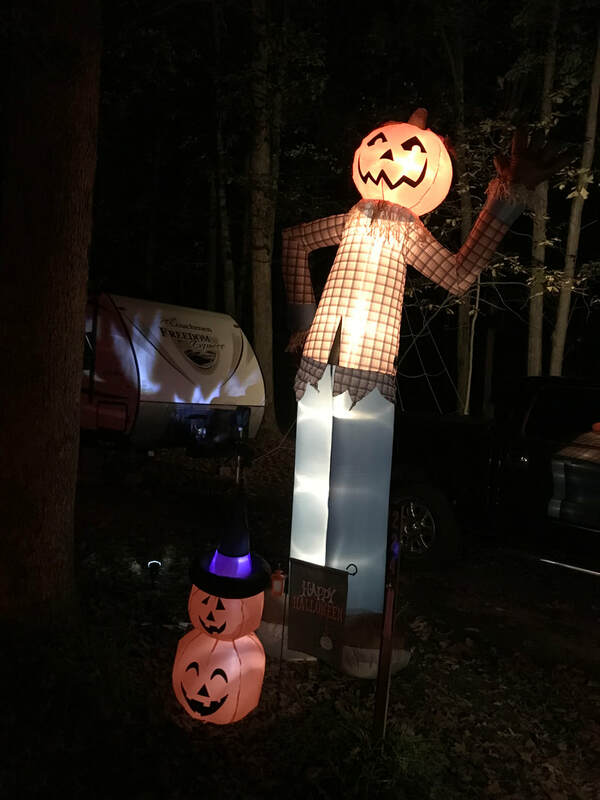 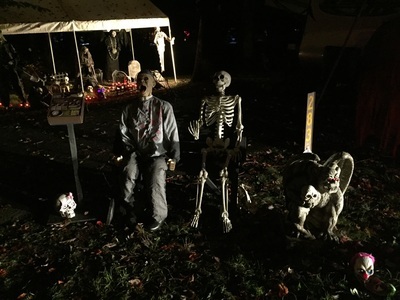 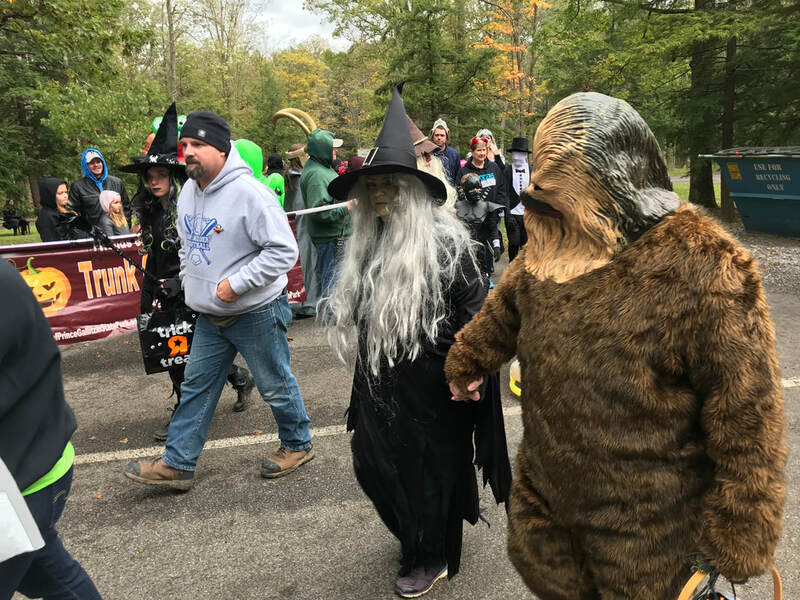 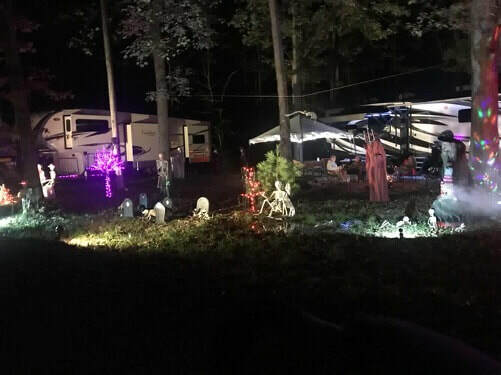 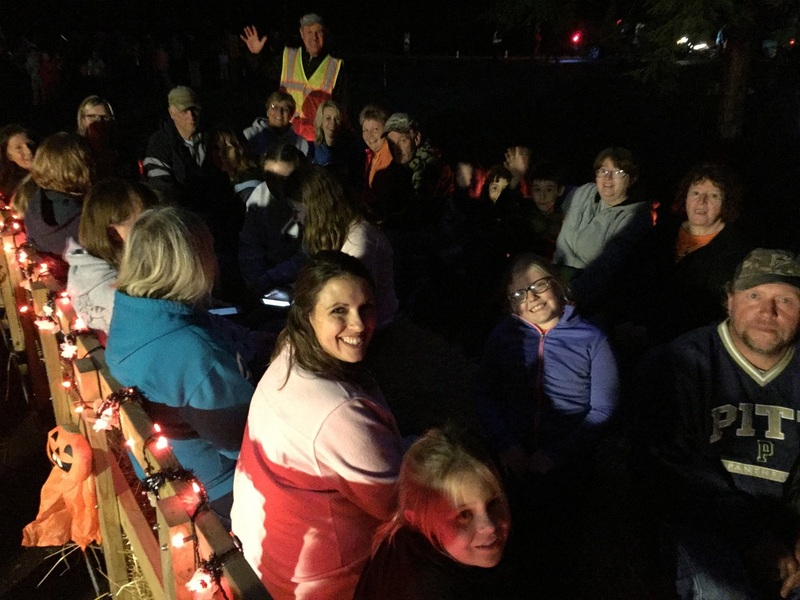 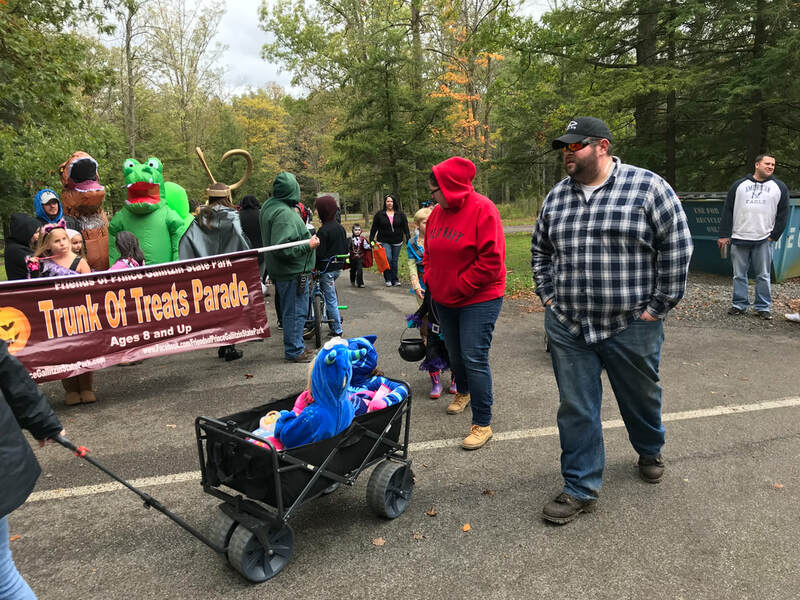 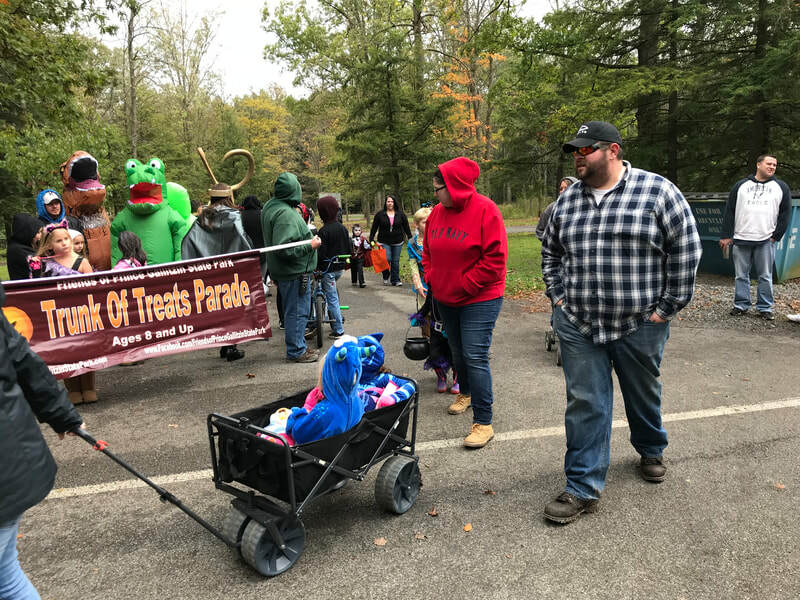 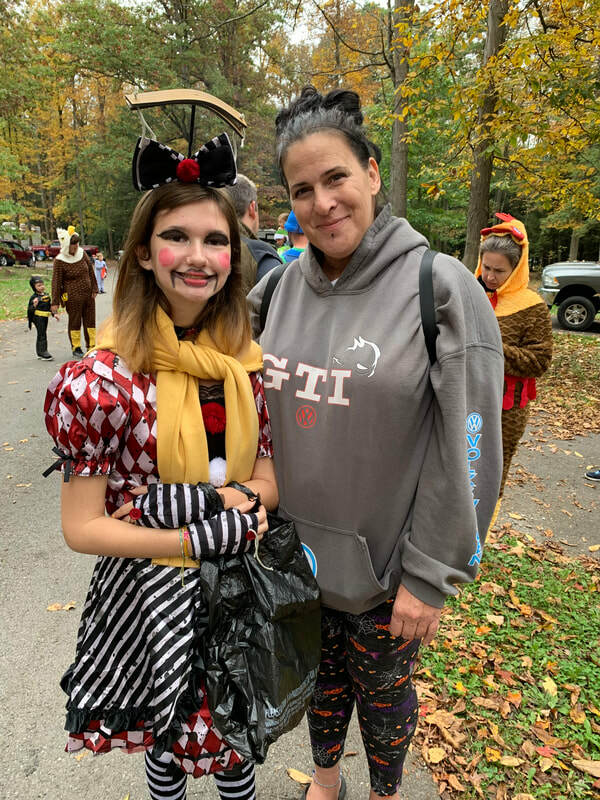 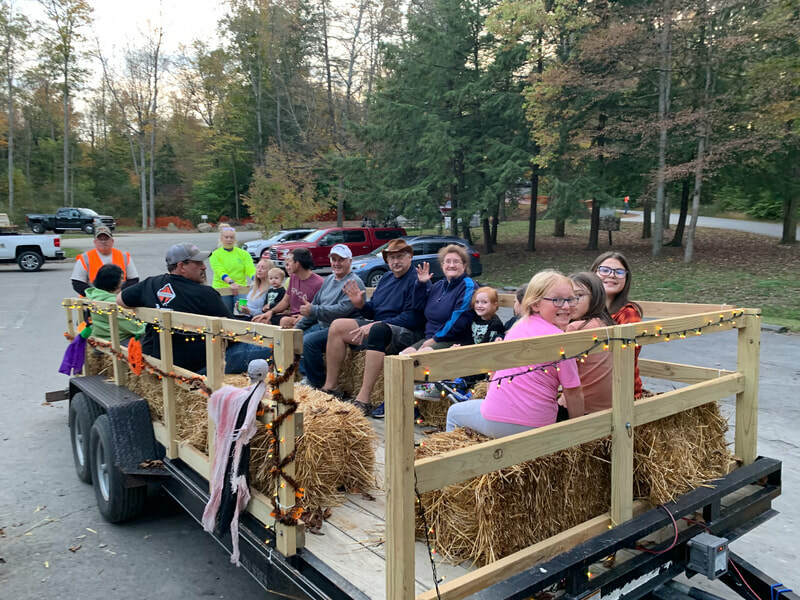 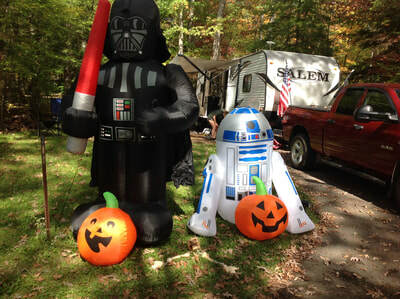 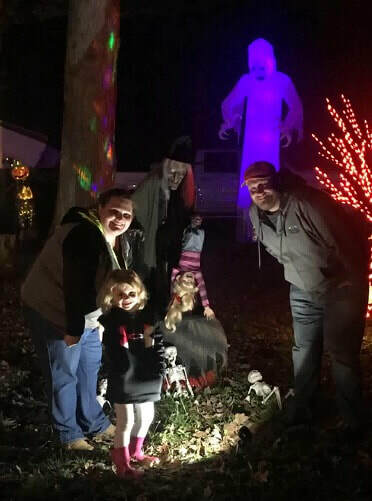 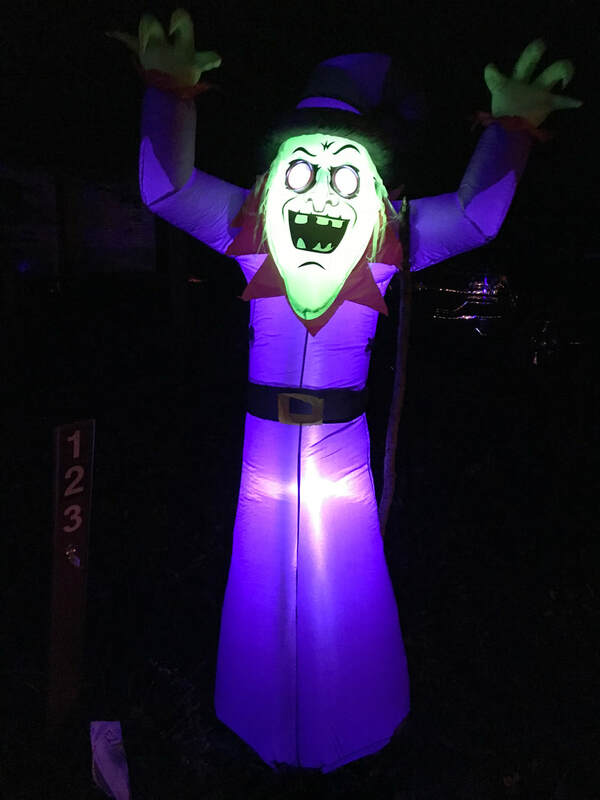 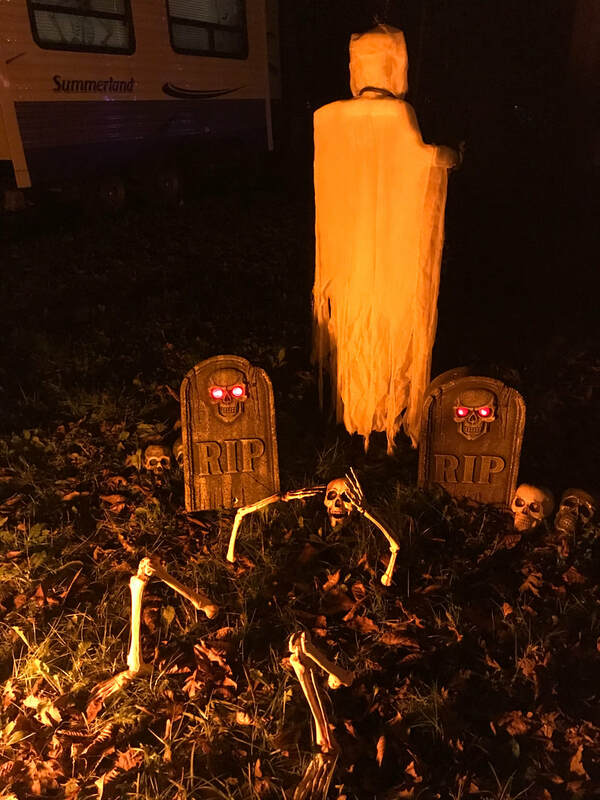 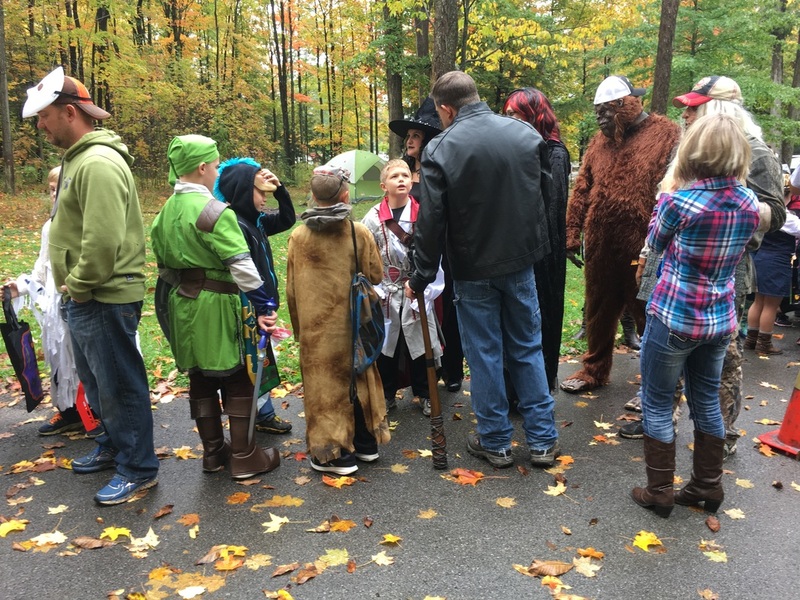 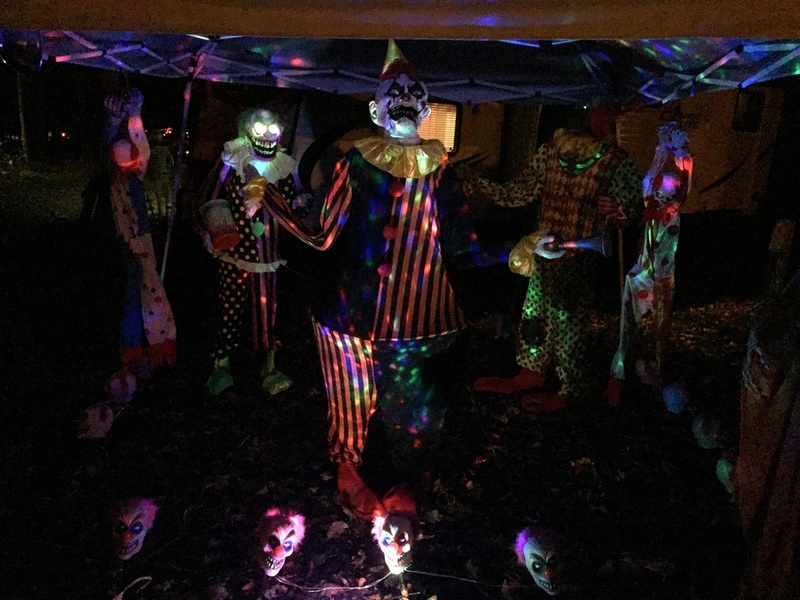 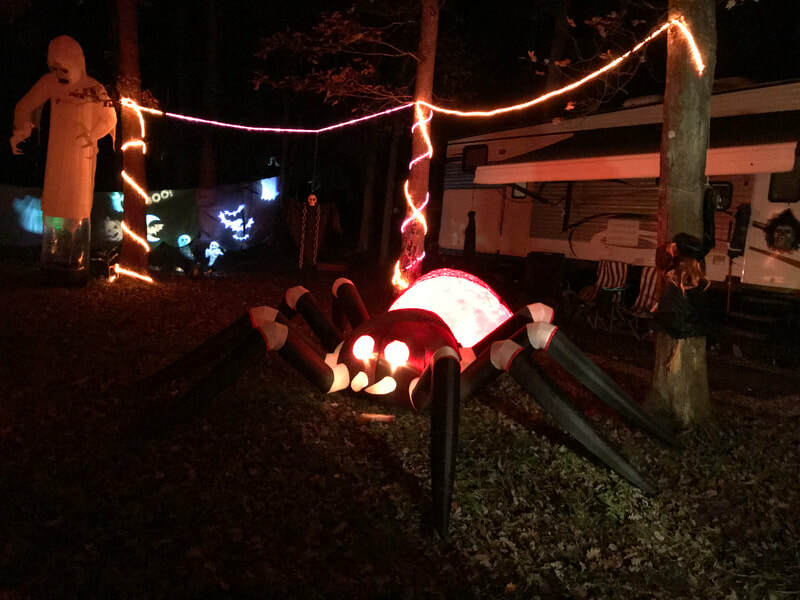 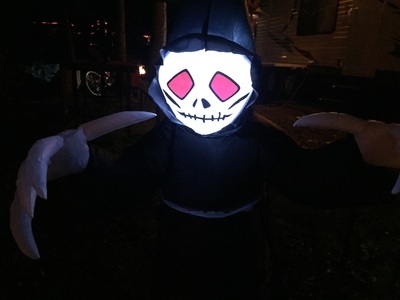 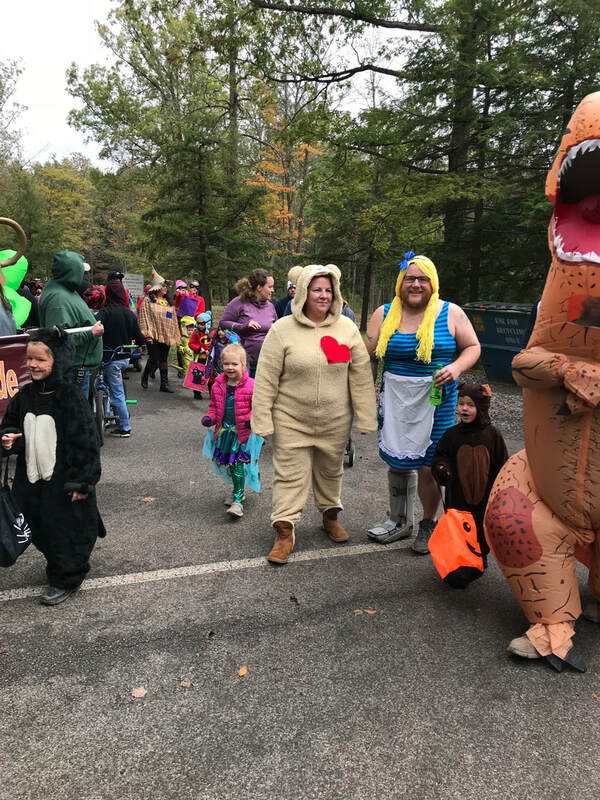 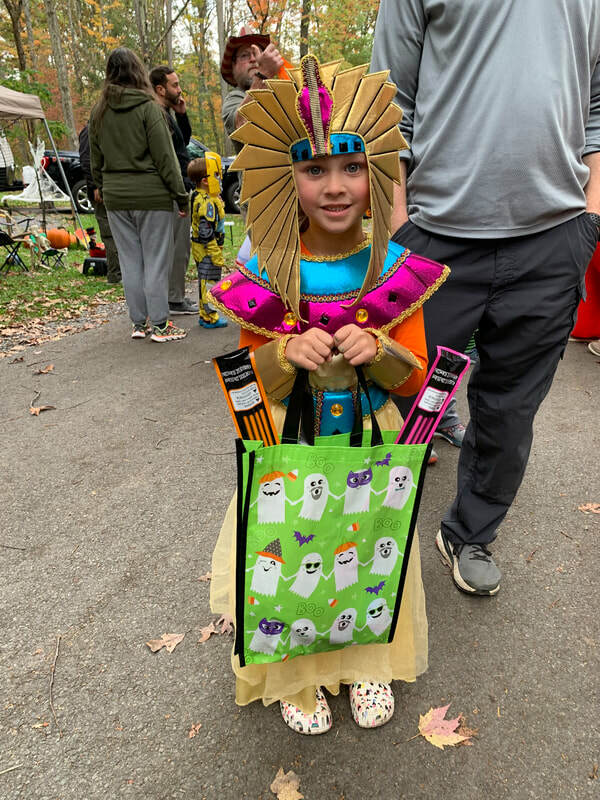 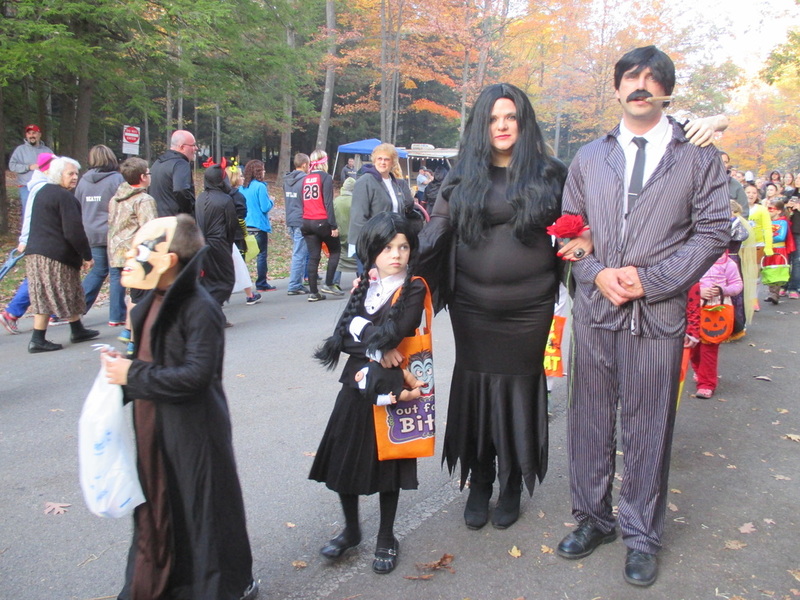 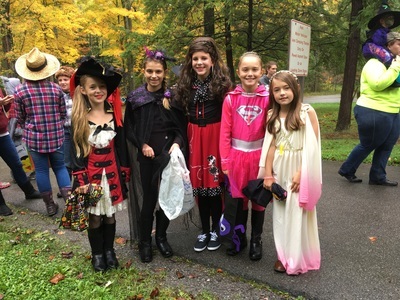 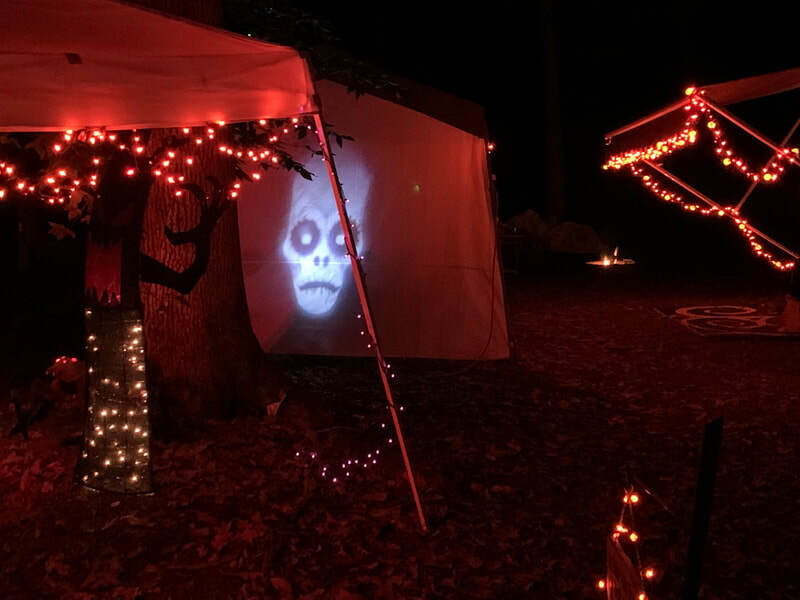 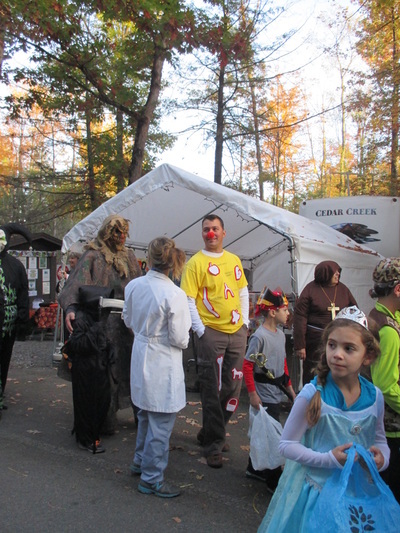 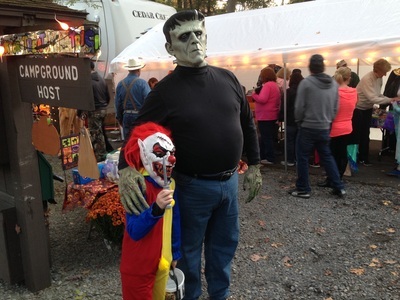 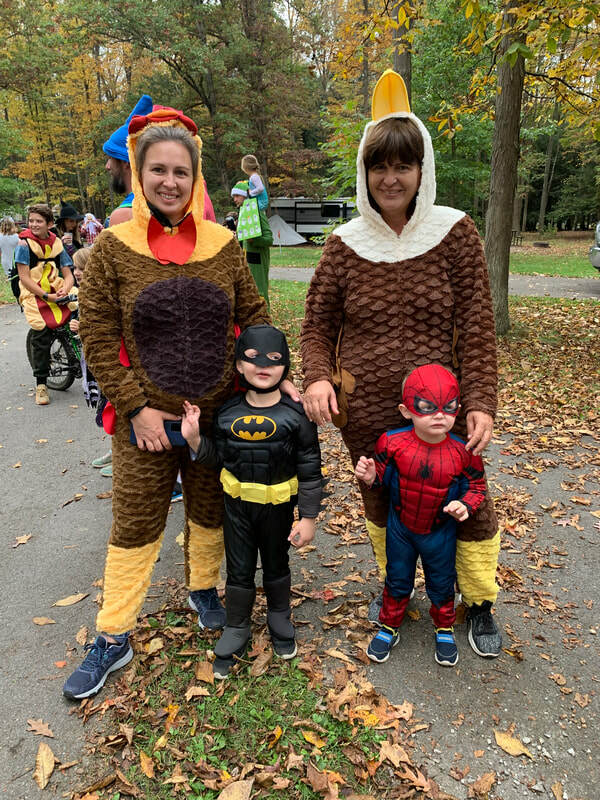 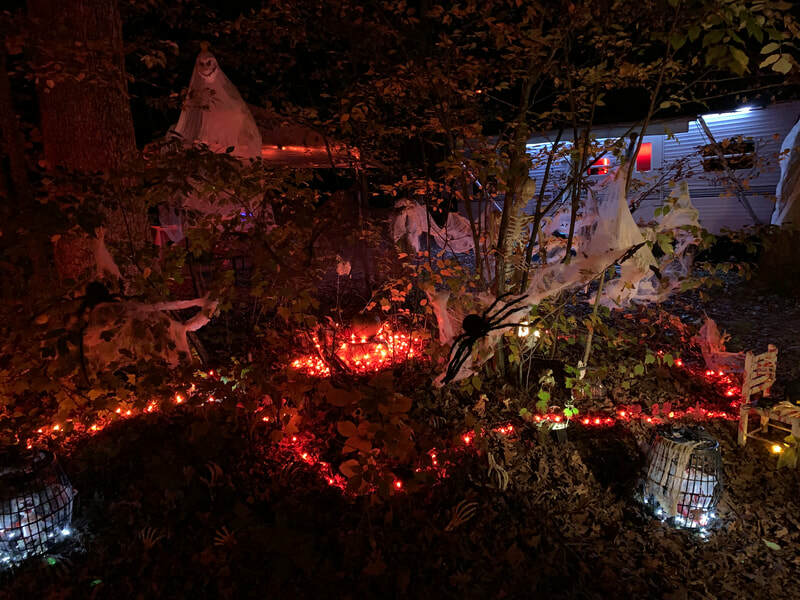 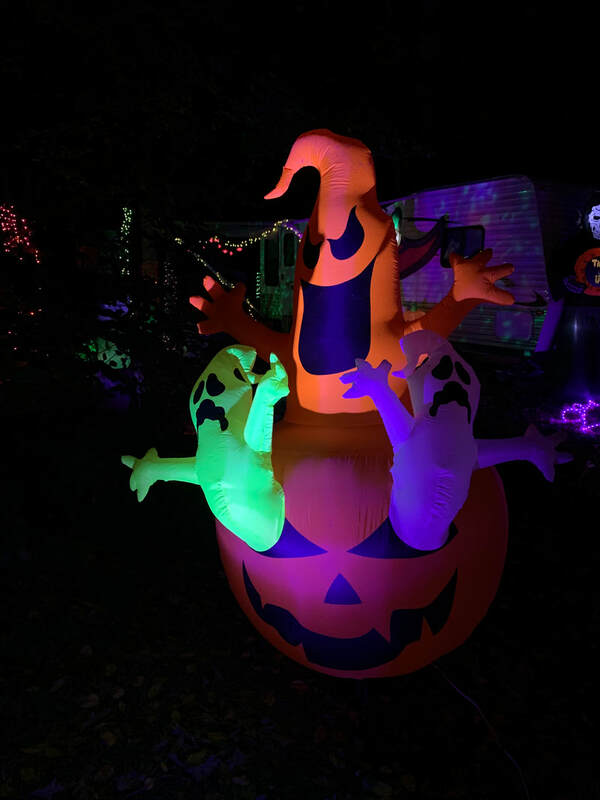 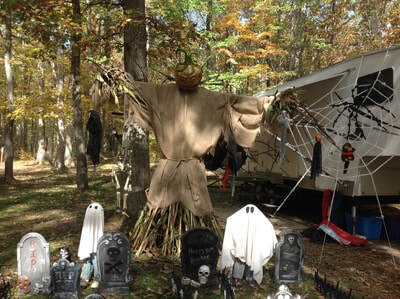 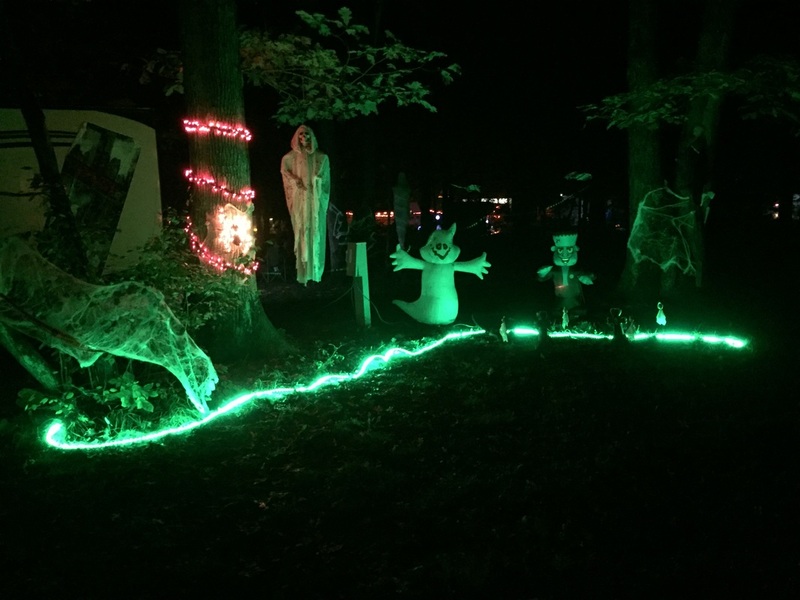 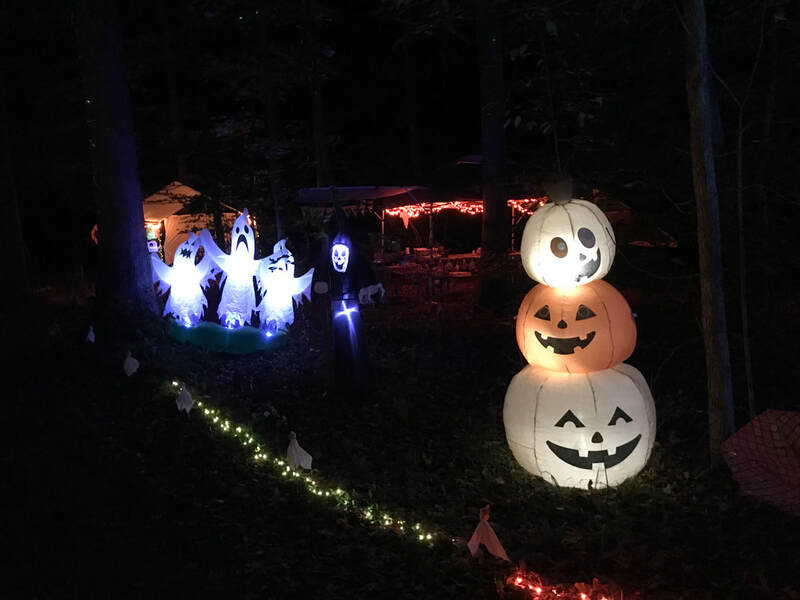 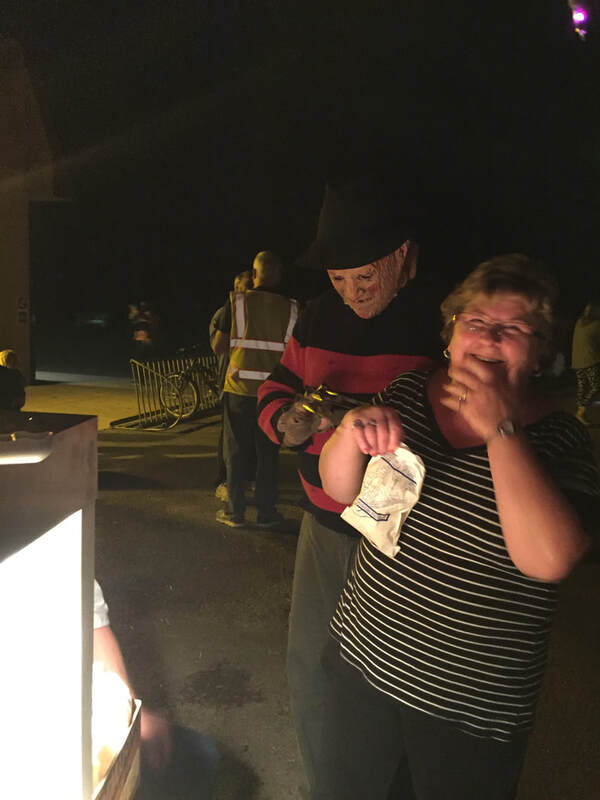 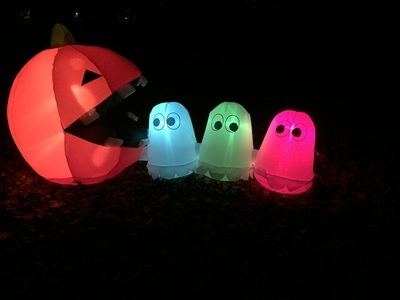 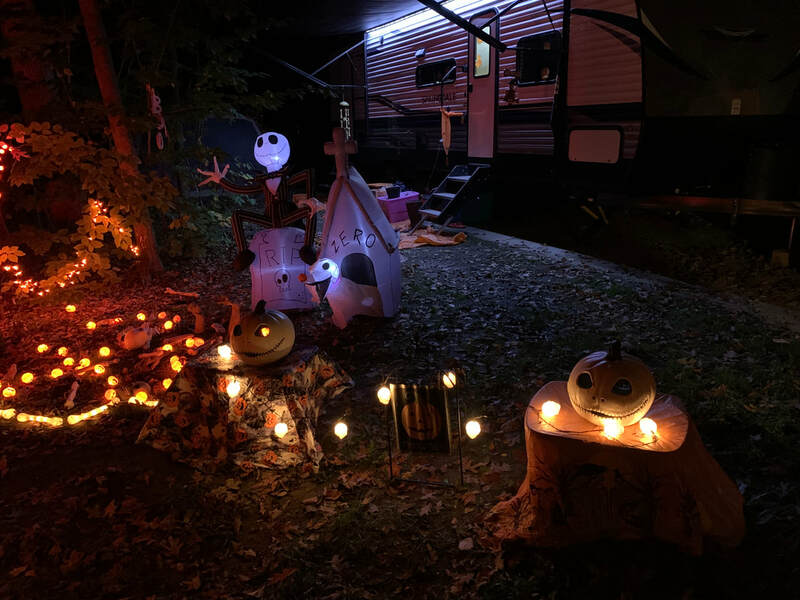 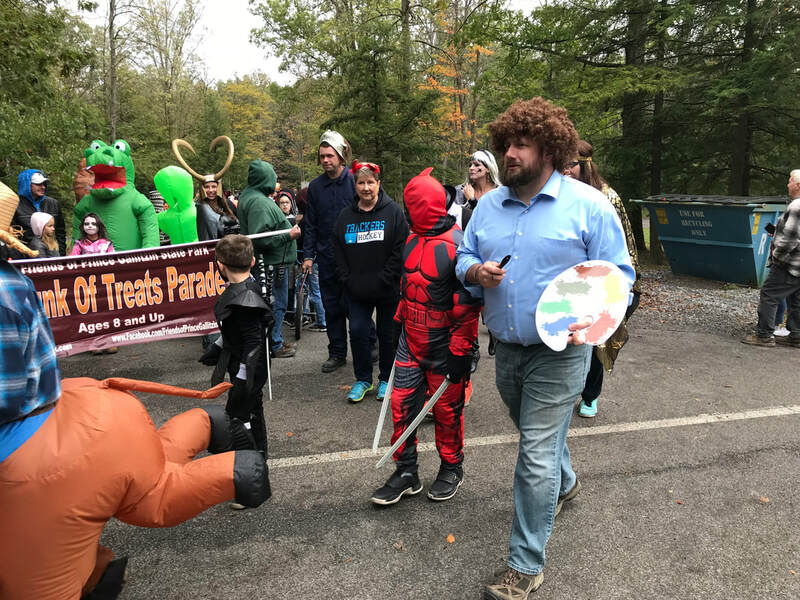 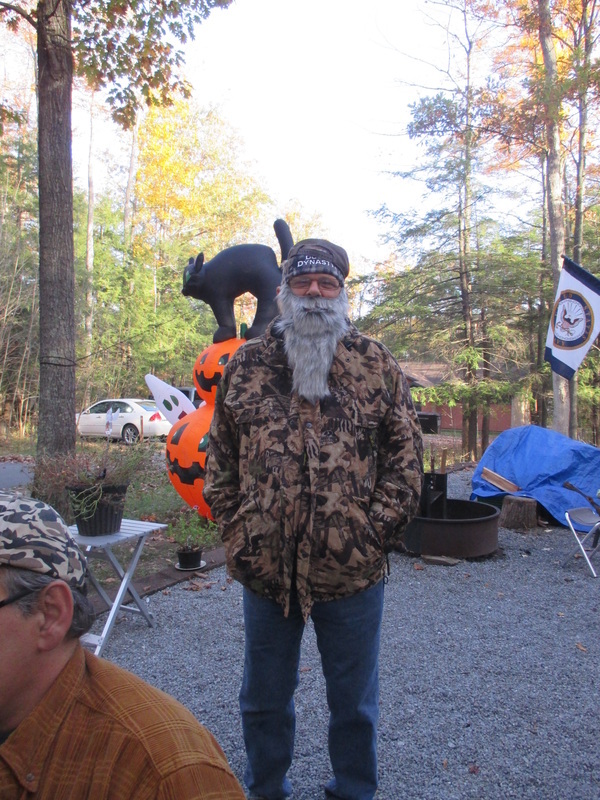 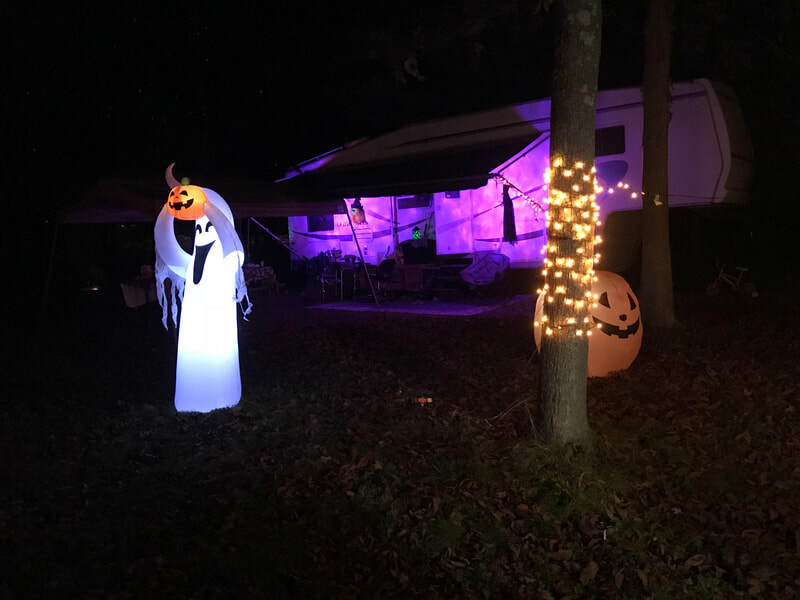 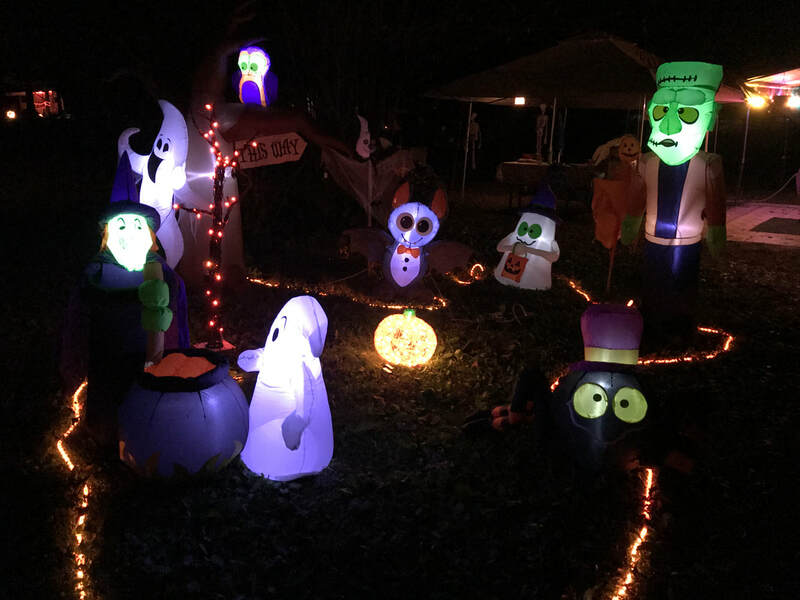 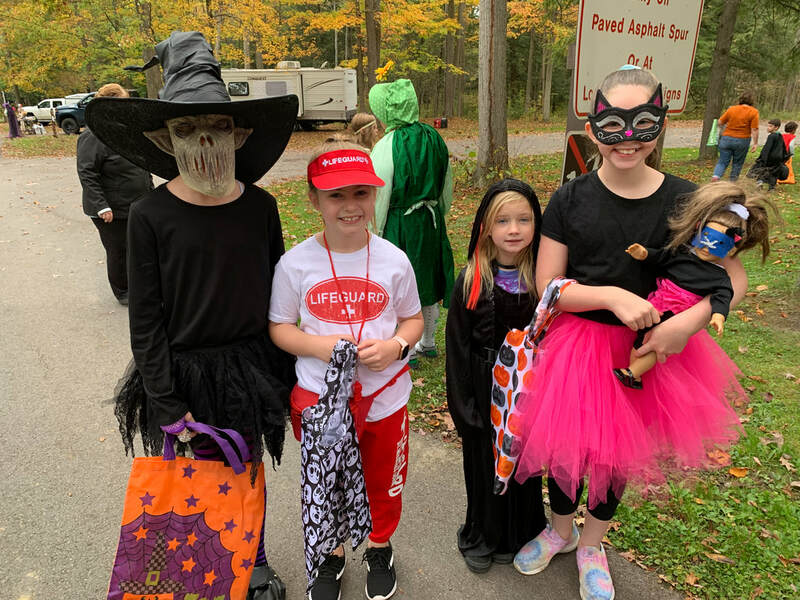 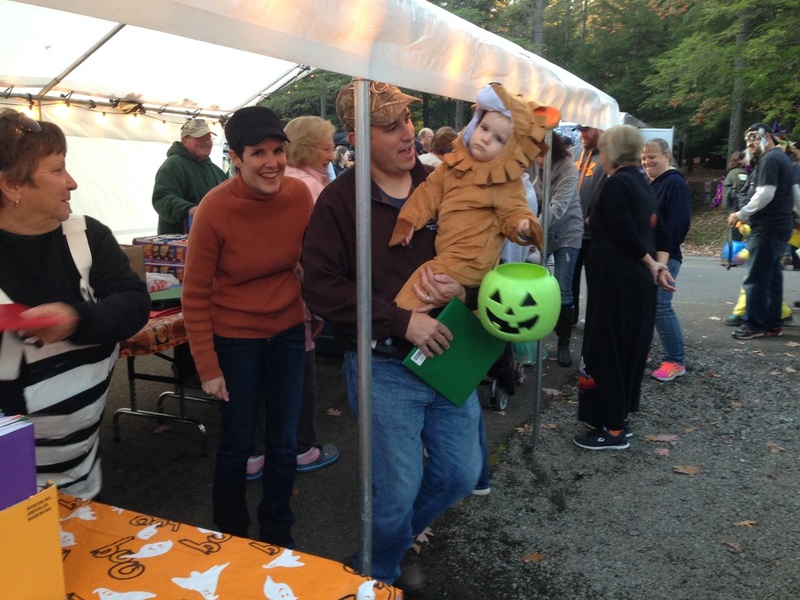 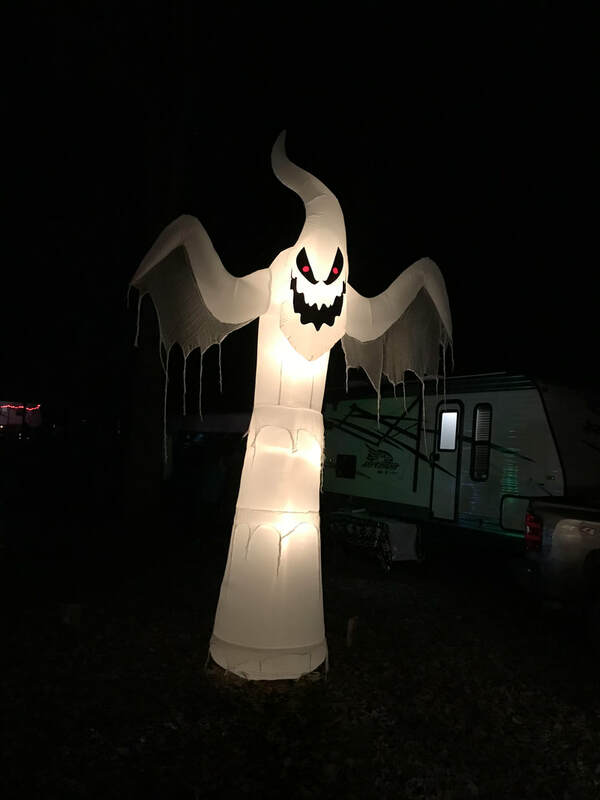 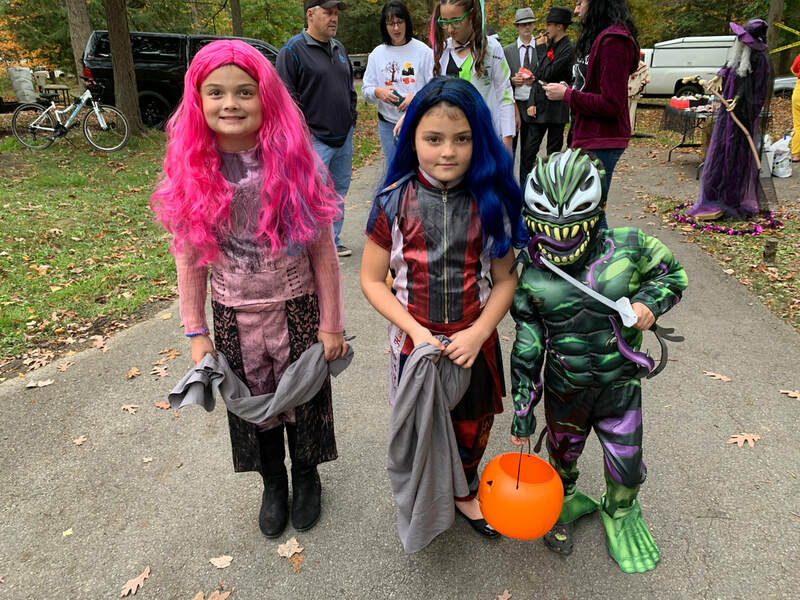 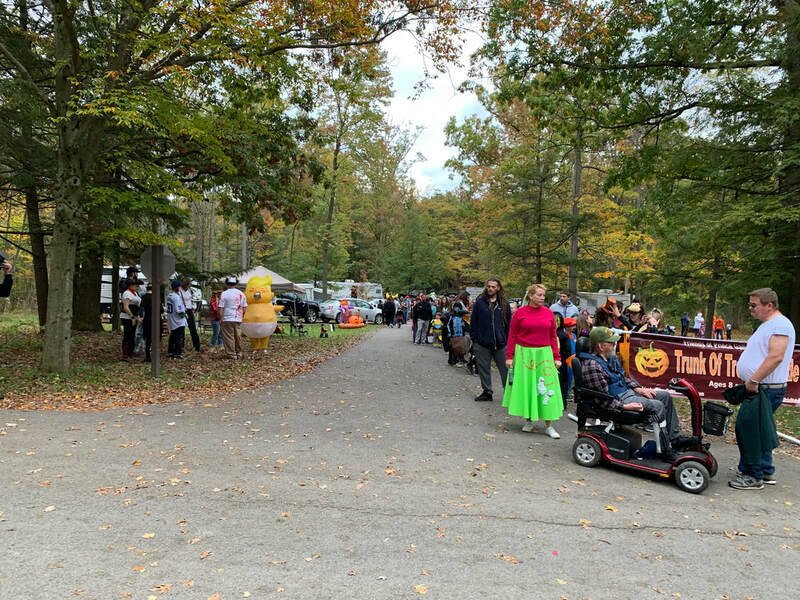 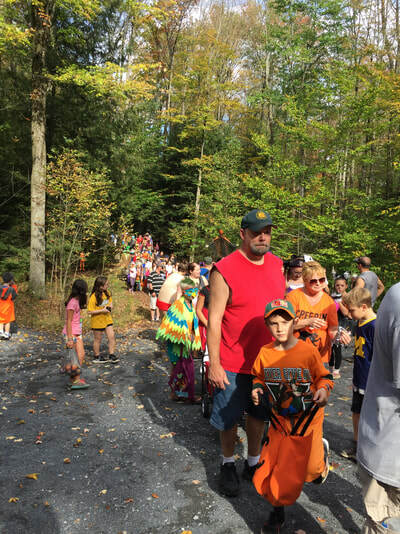 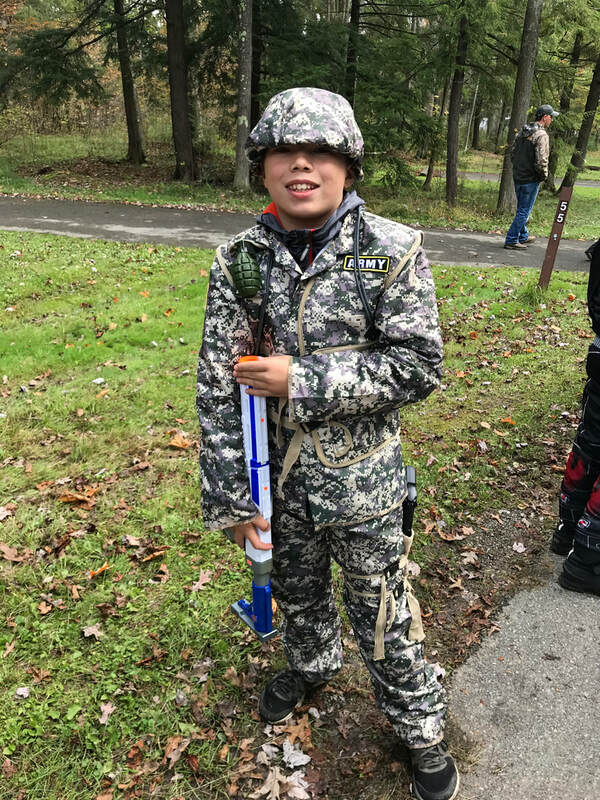 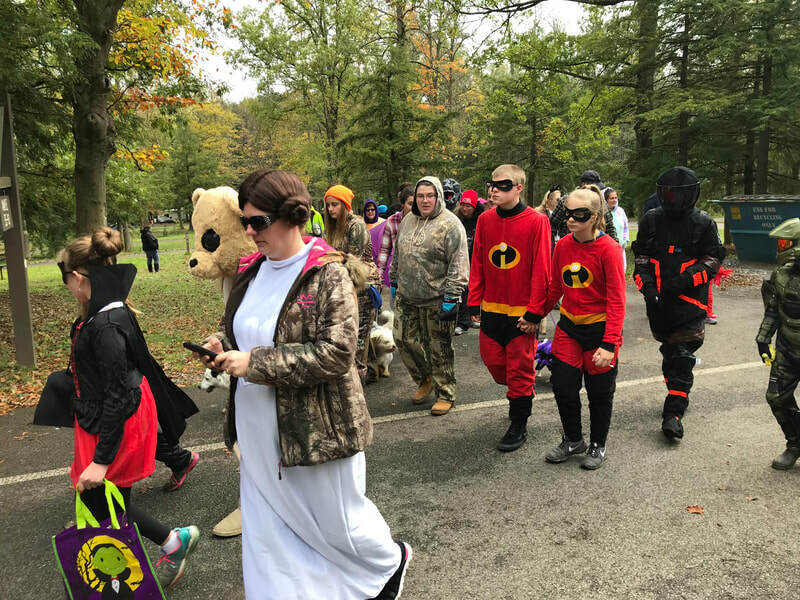 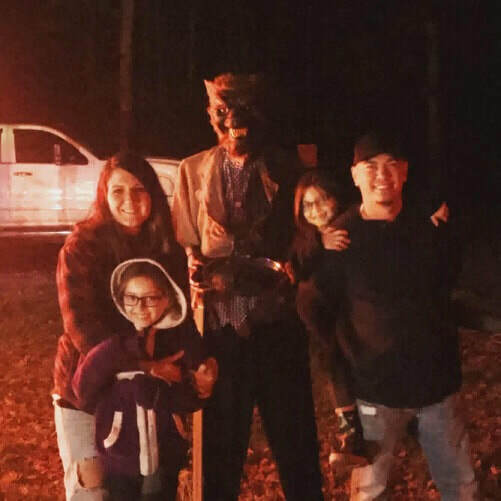 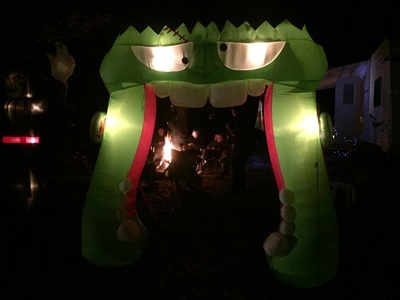 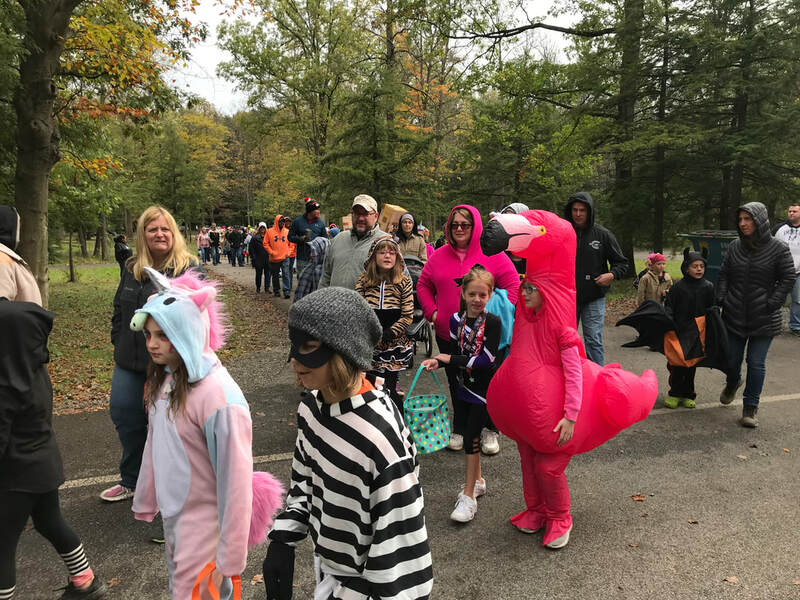 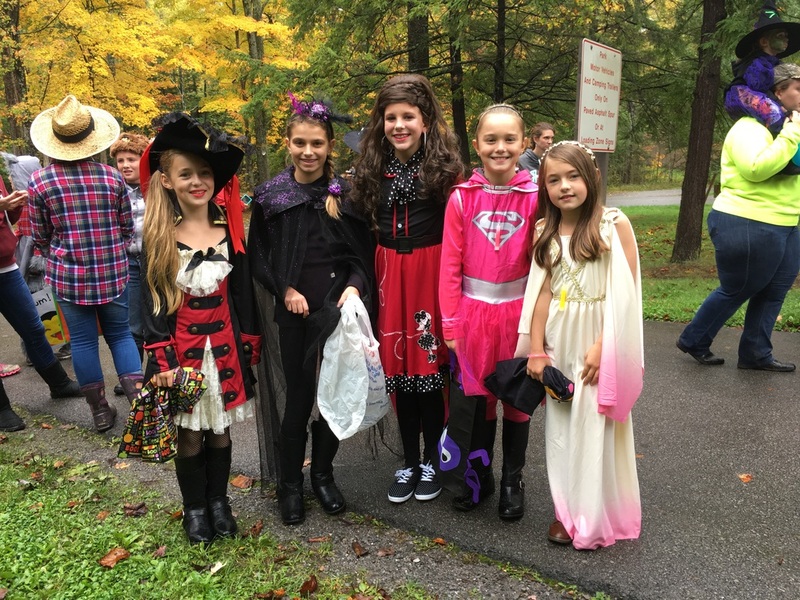 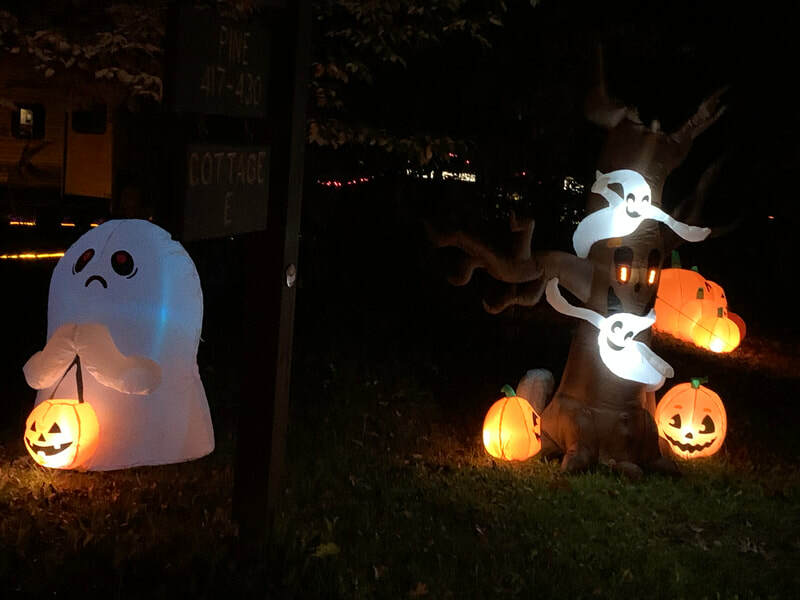 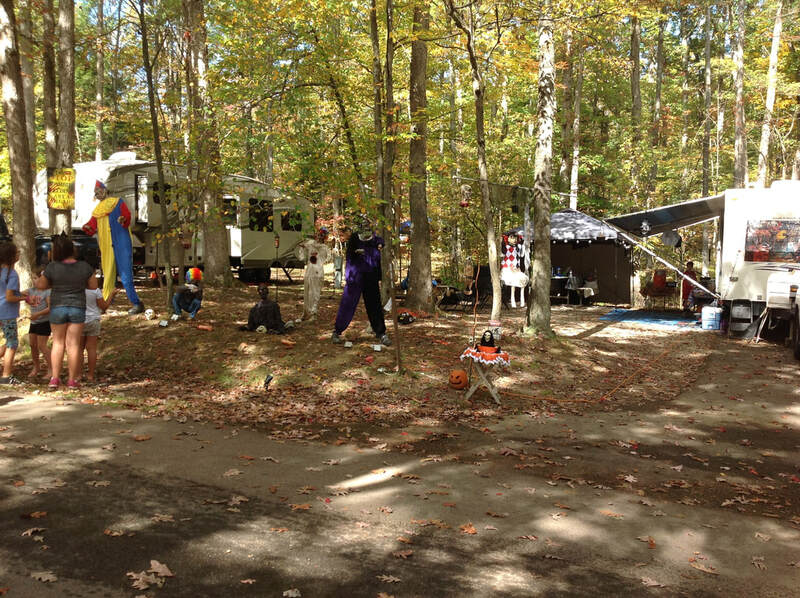 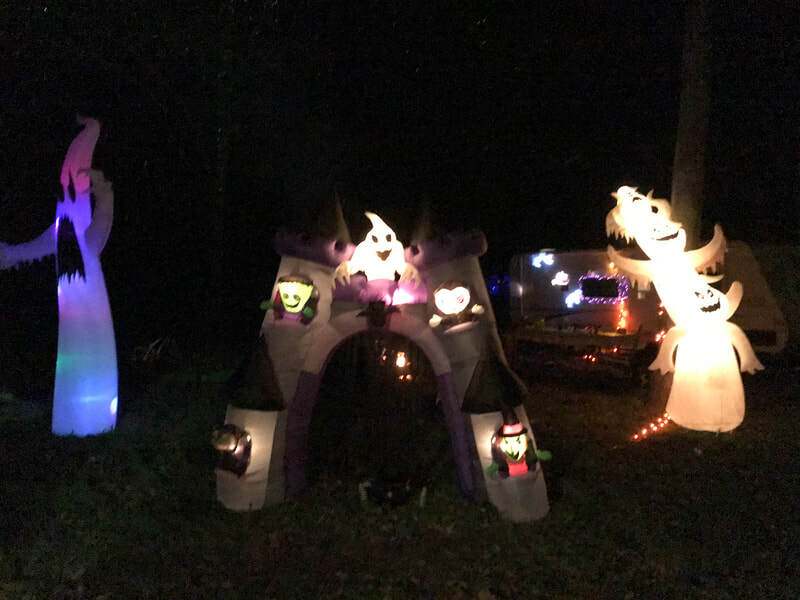 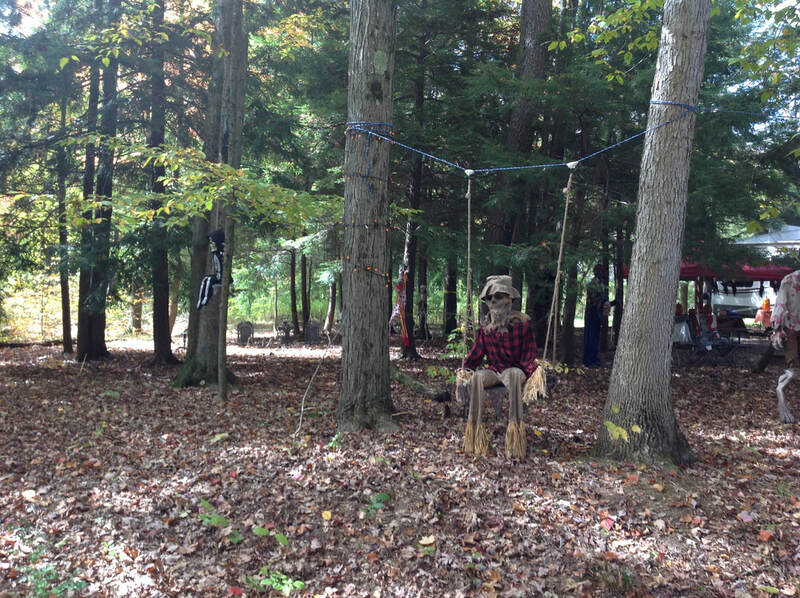 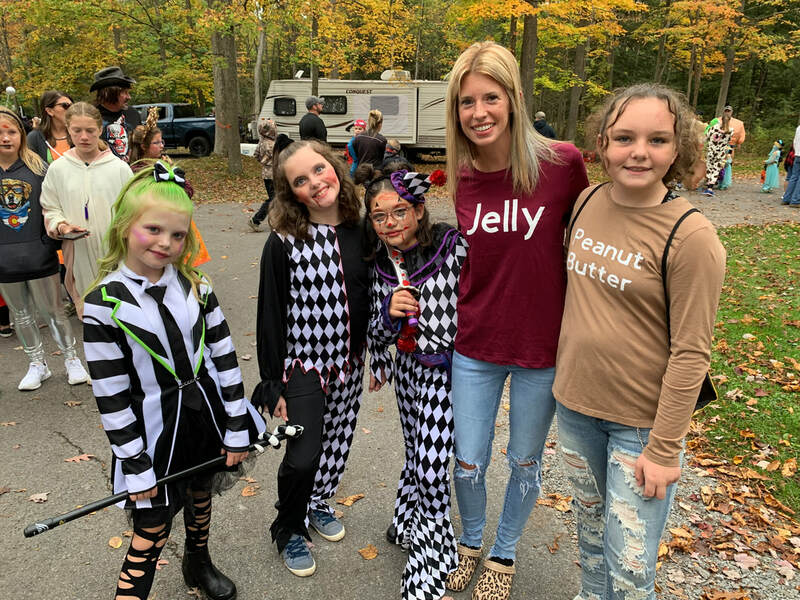 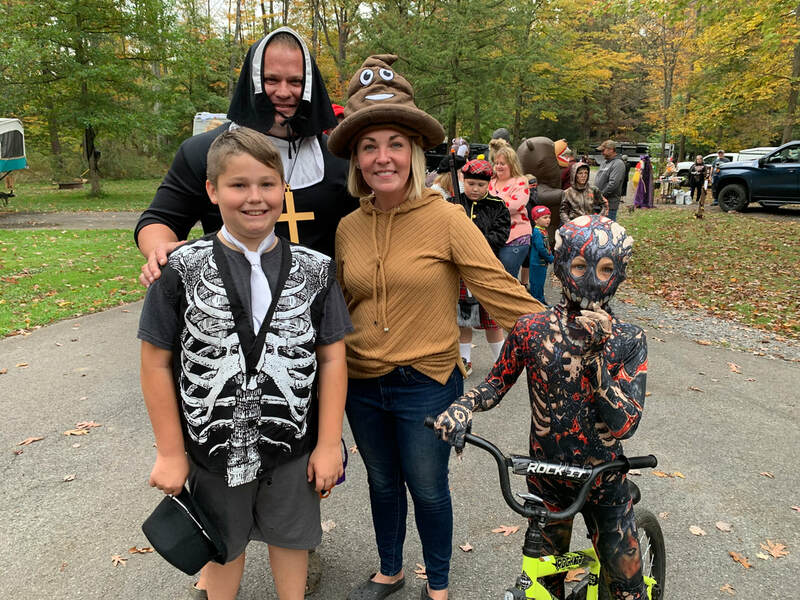 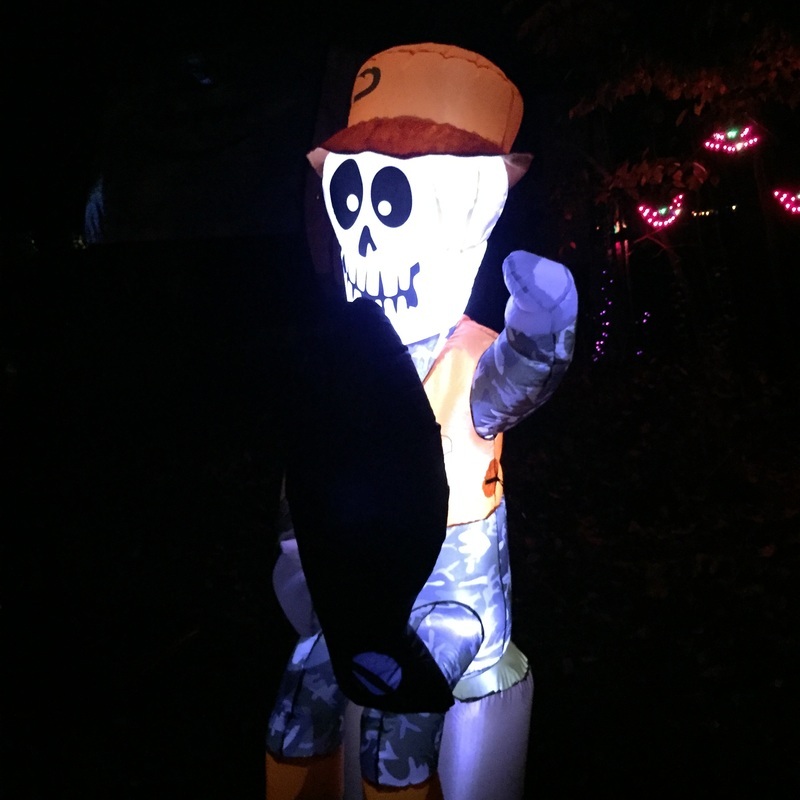 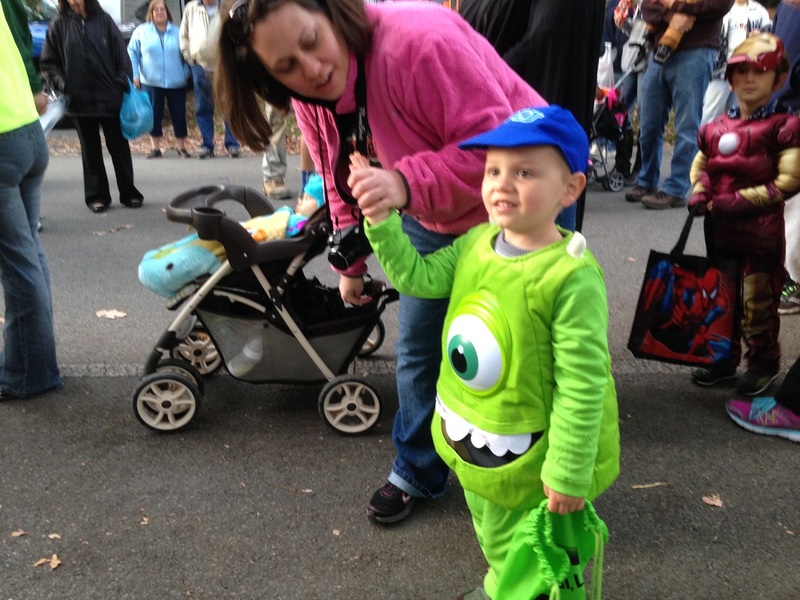 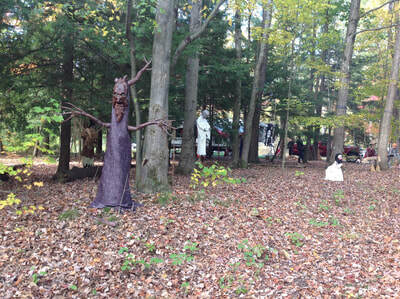 The children's costume parade at Crooked Run Campground. 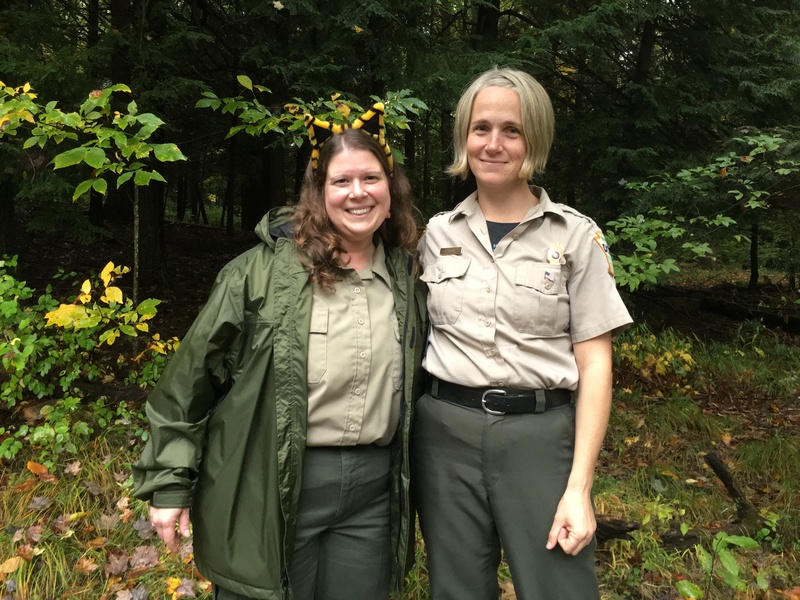 From left to right, Beth Garner, the Park's Environmental Education Specialist and Jessica (Jess) Lavelua, Park Manager. 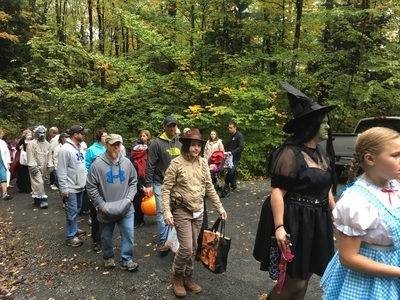 Click on pictures below for a larger image. 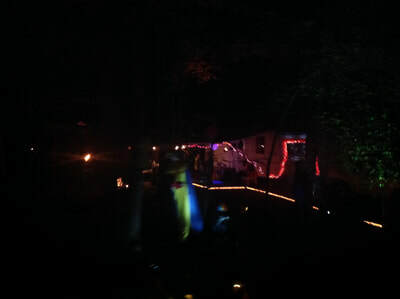 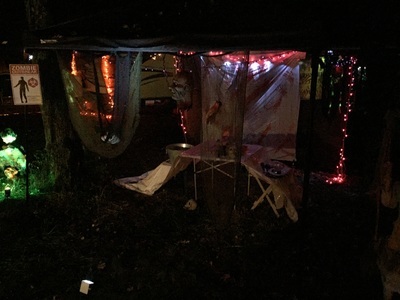 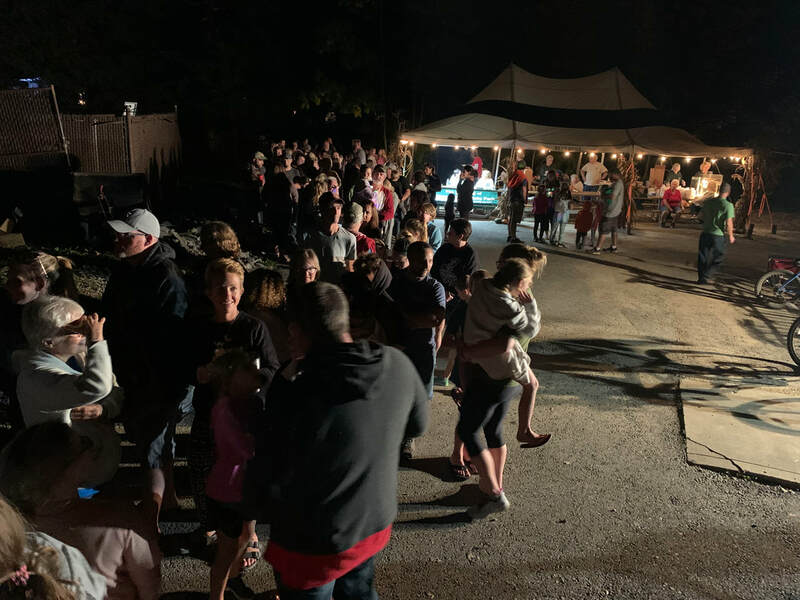 After parade nighttime activities. 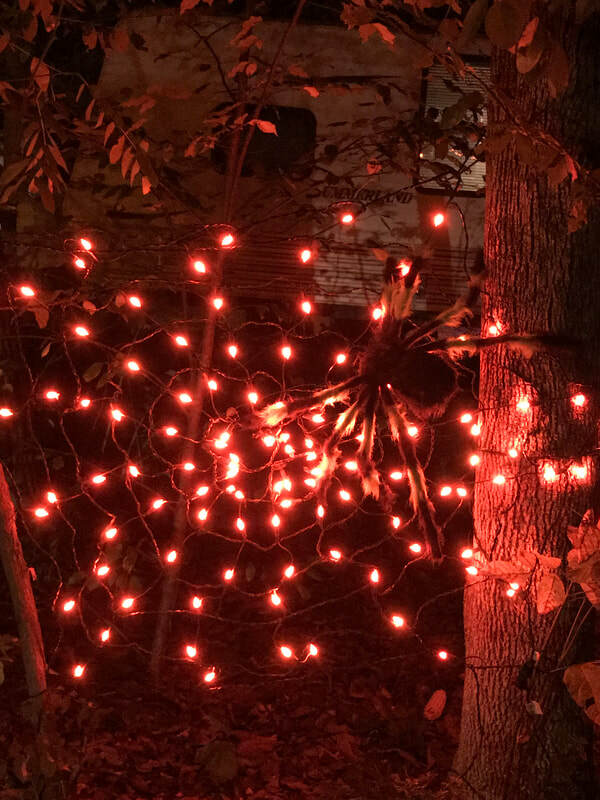 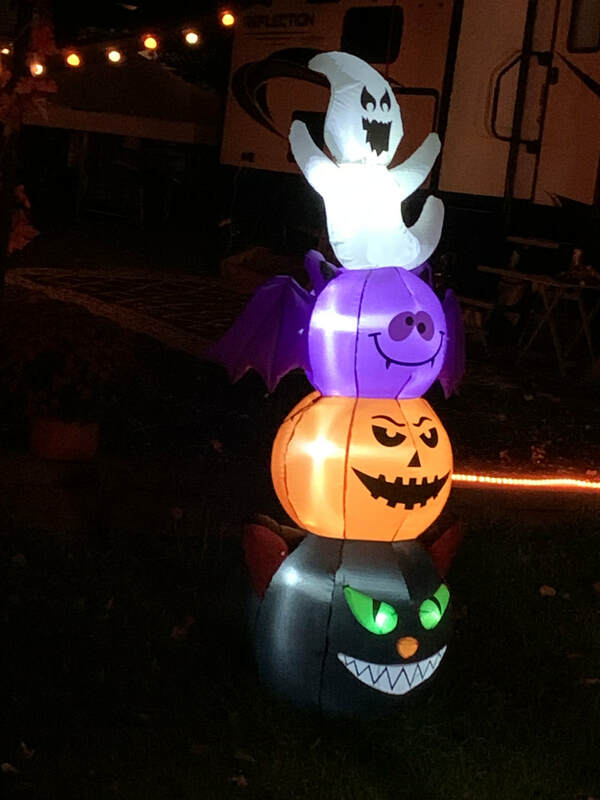 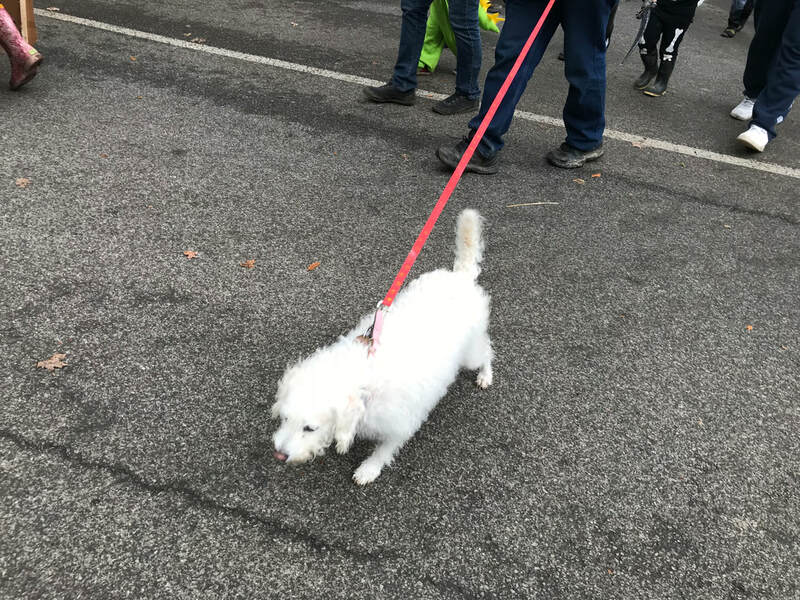 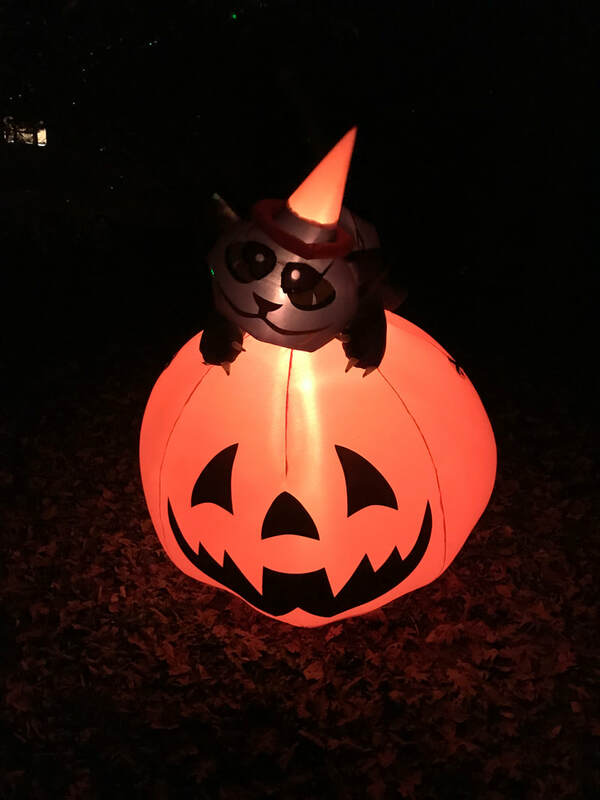 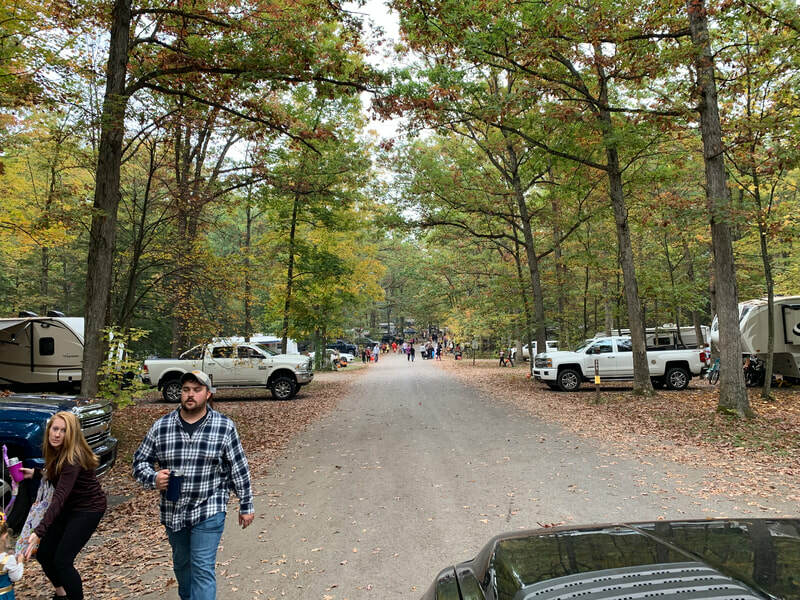 Click on pictures below for a larger image.